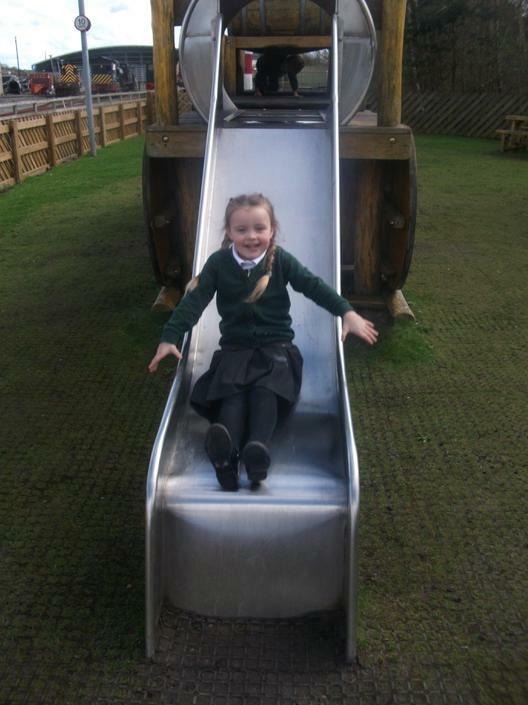 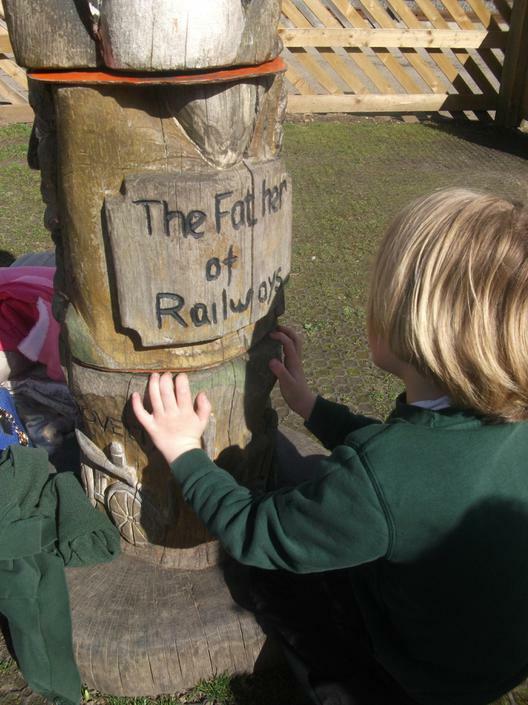 The Year One curriculum is very similar to Reception, particularly at the beginning of the year. 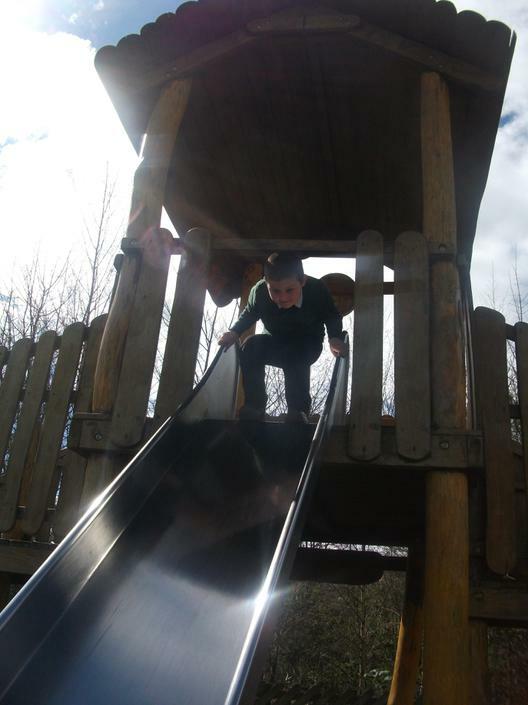 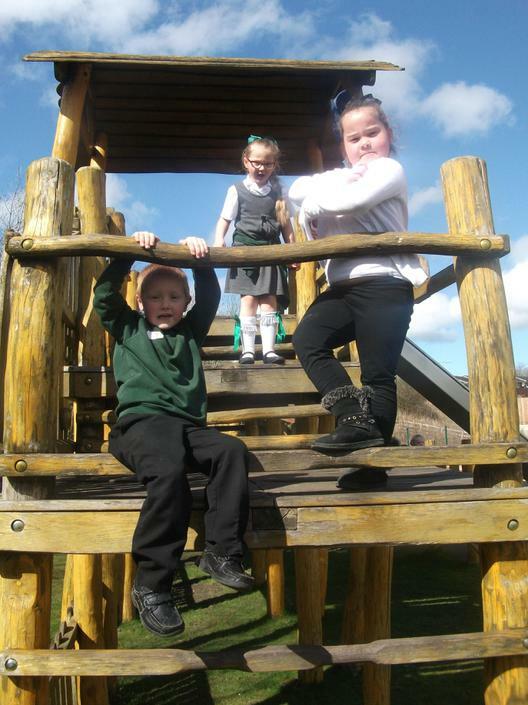 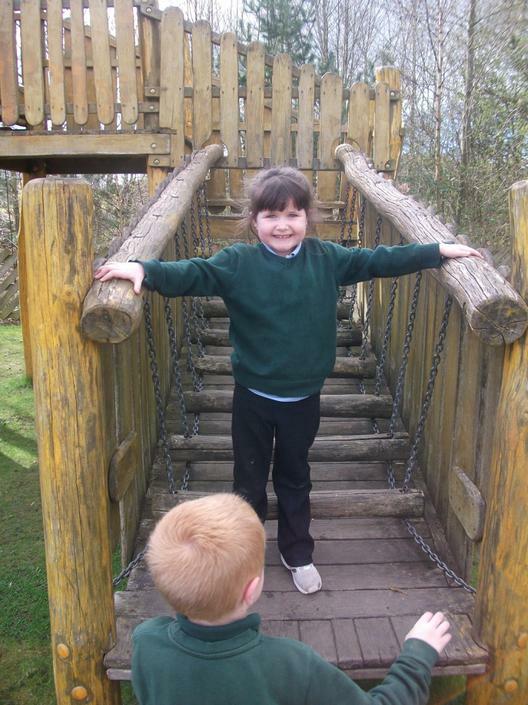 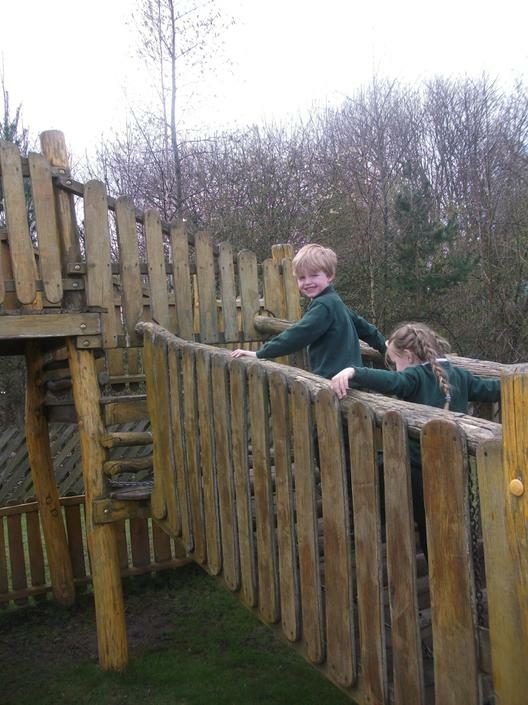 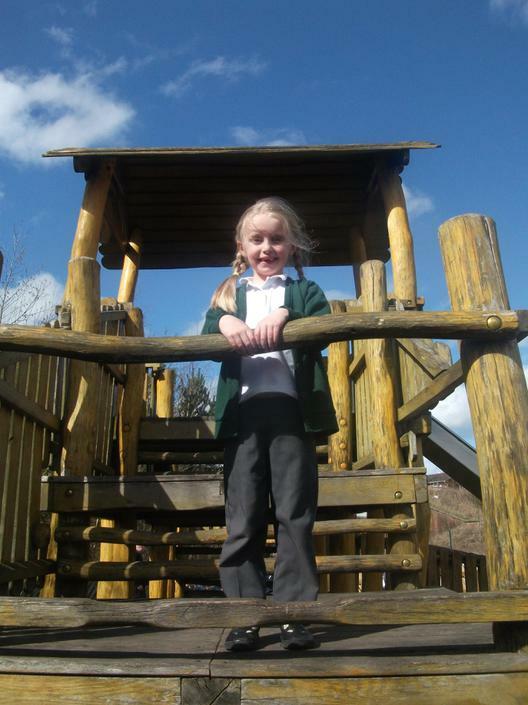 Children’s learning takes the form of play, through which they are provided with a variety of carefully tailored challenges. 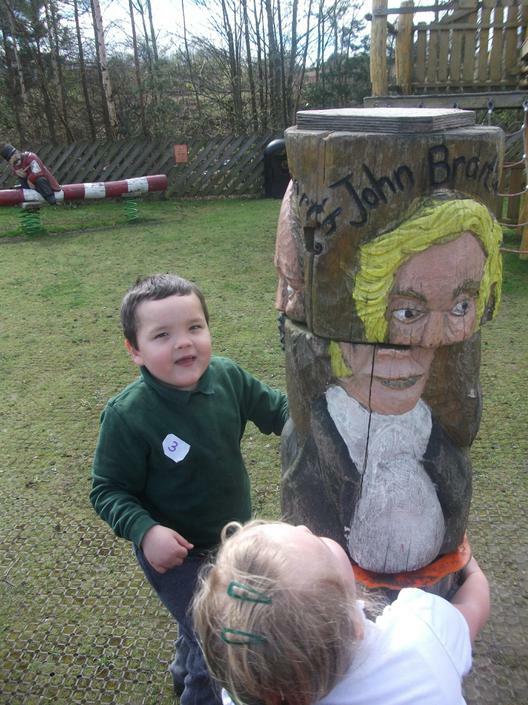 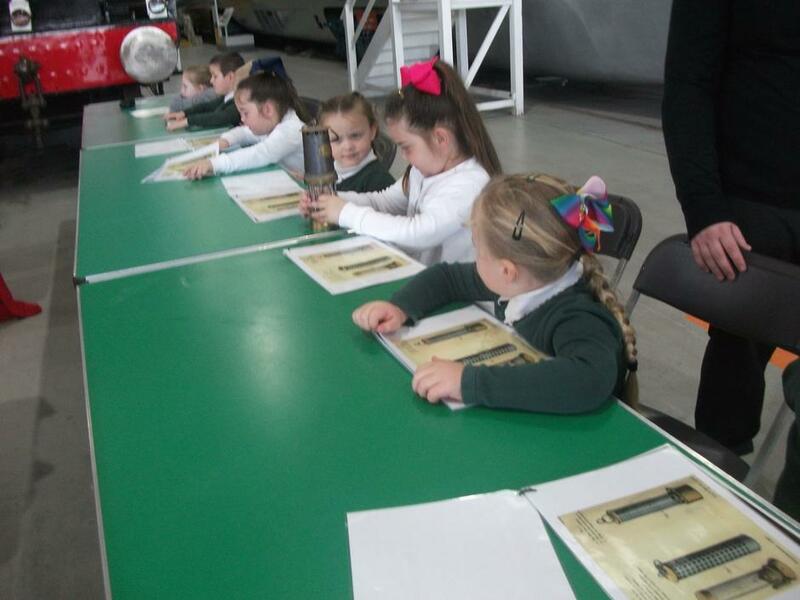 While these challenges will often be linked to the current topic, the curriculum is very flexible and may change in order to closely follow children's needs and interests, while also covering the National Curriculum objectives for Year One. 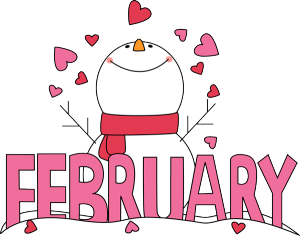 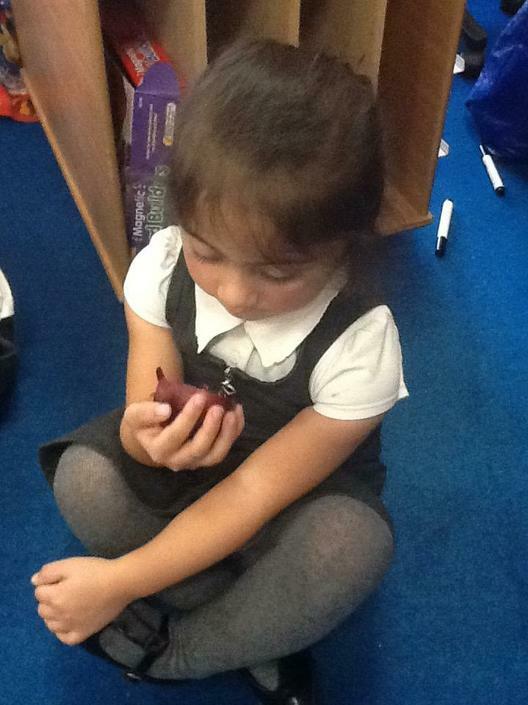 In Year One, your child continues to build upon the reading and writing skills that began to develop in Reception by taking part in daily phonics lessons which follow the Read, Write Inc programme. 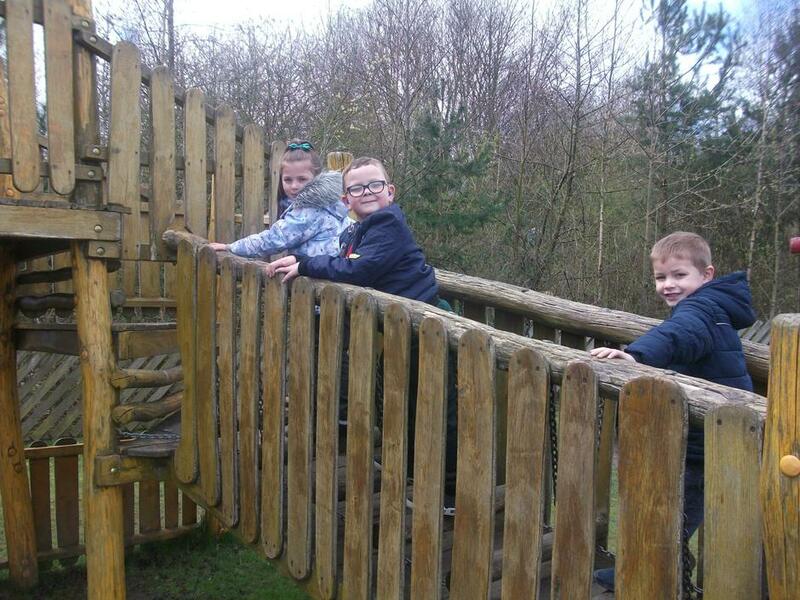 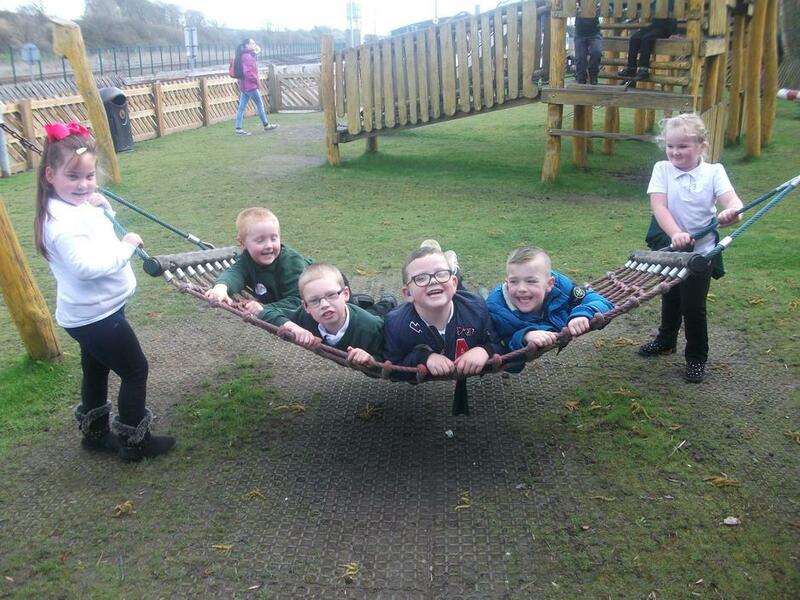 Please access the web-link below in order to find out more about the programme and how you can support your child at home. 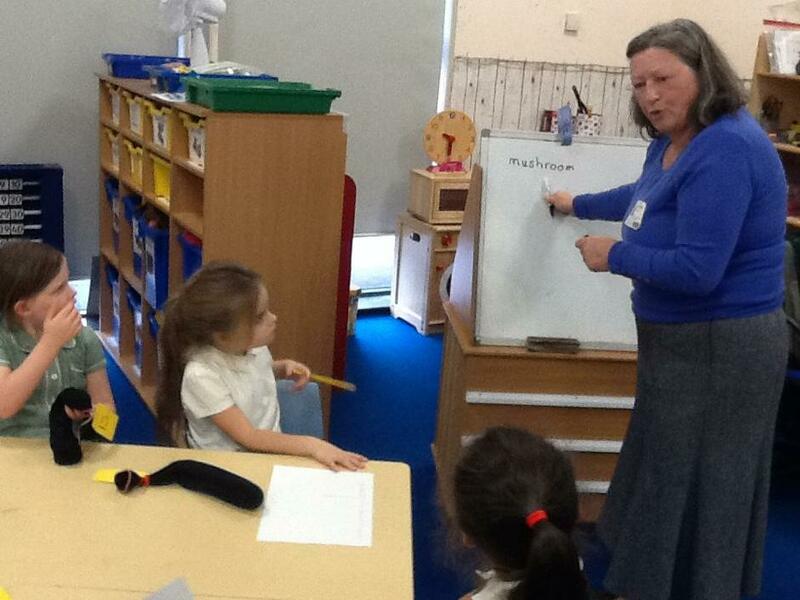 Mrs Myers would love to help if you have any queries or concerns about your child's progress in phonics. 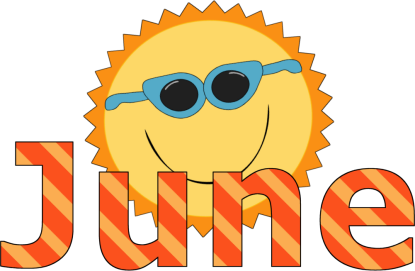 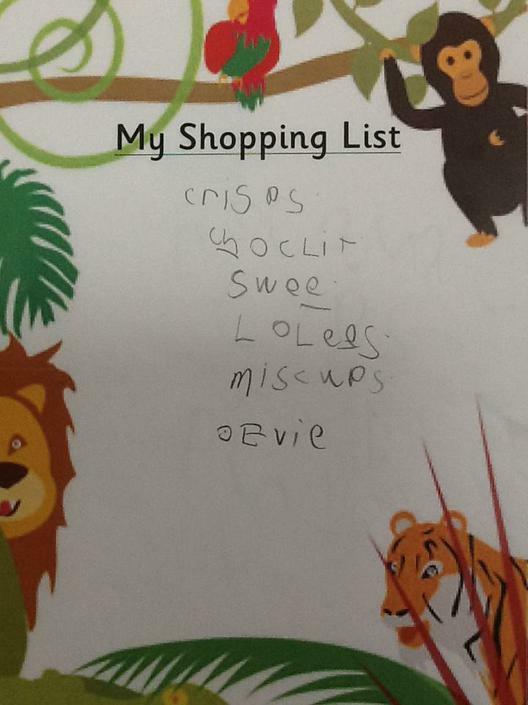 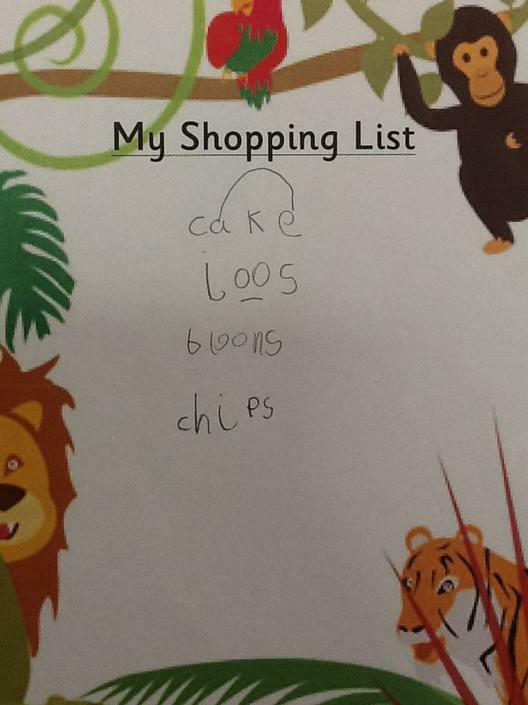 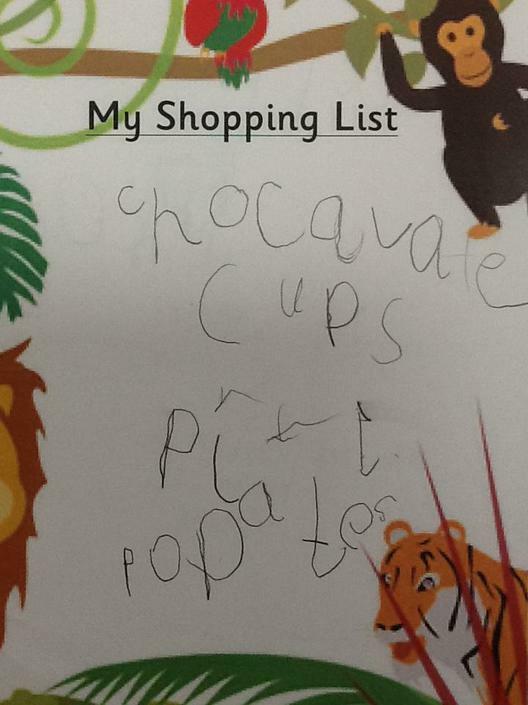 Read, Write Inc Information for parents about the programme used to teach your child phonics. 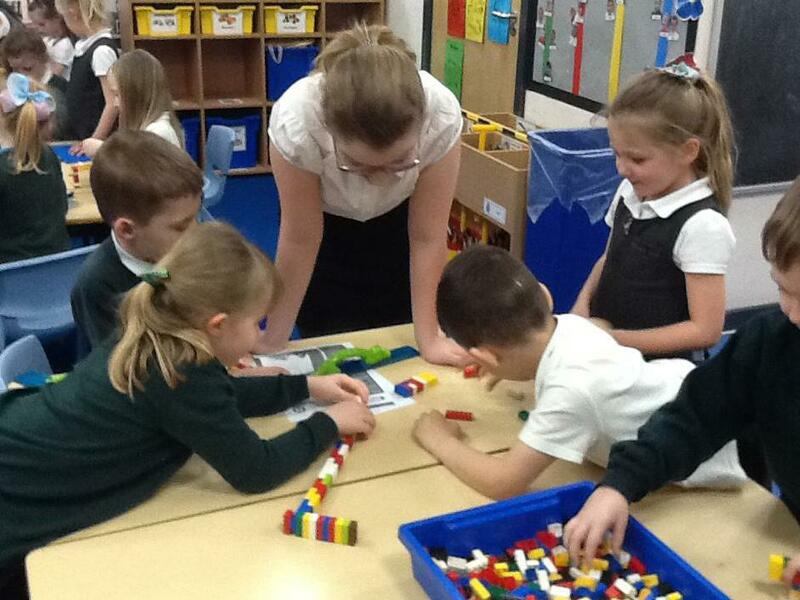 By the time your child leaves Year One they must demonstrate a secure understanding of the value of numbers to 100. 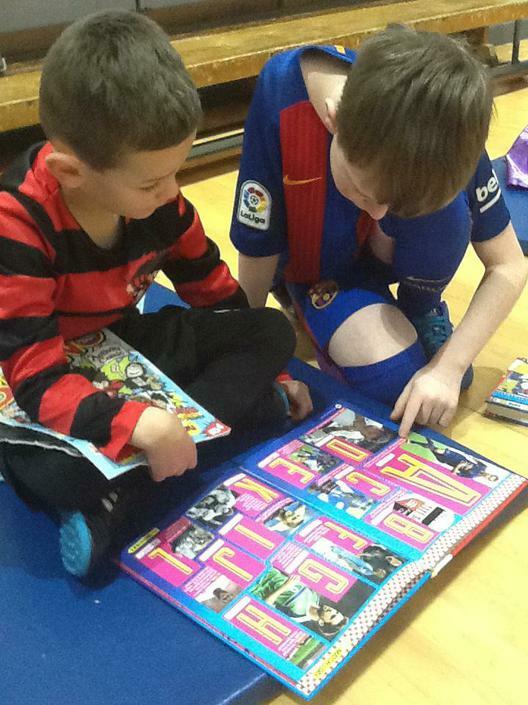 You can help your child by talking about the numbers around you every day - reading them; writing them; discussing their value. 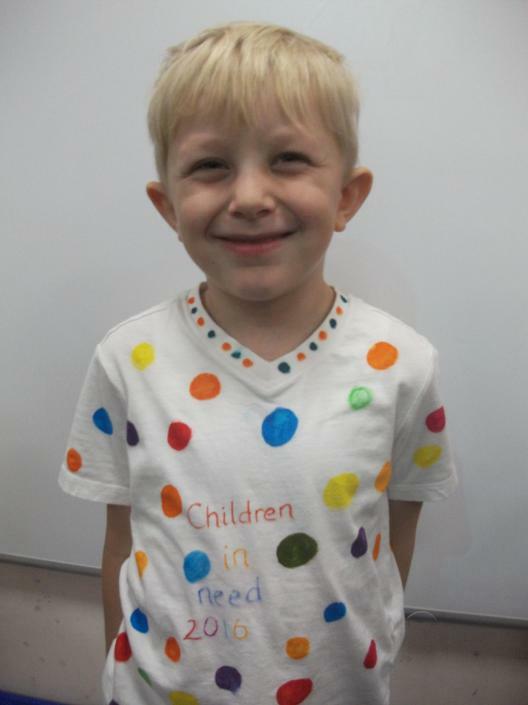 Follow the links below to find games and songs which can help engage your child in number activities. 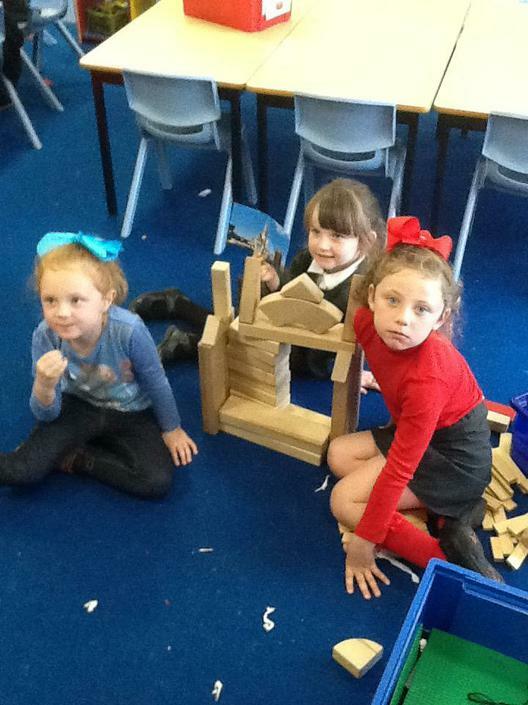 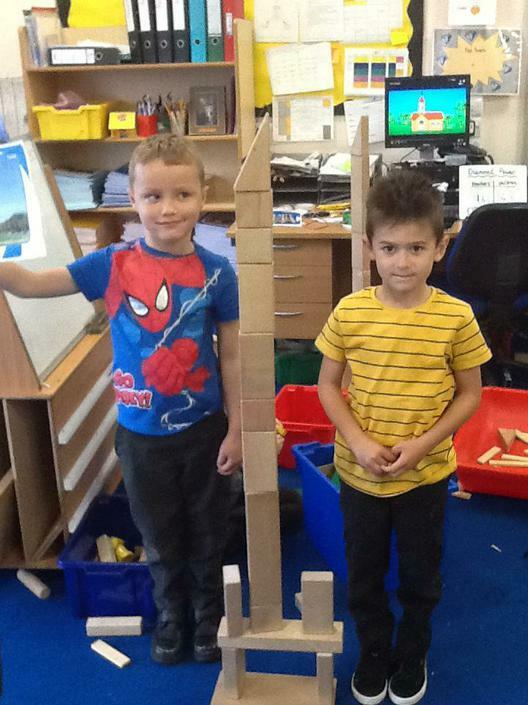 We have been investigating how to make the Straw House stronger!! 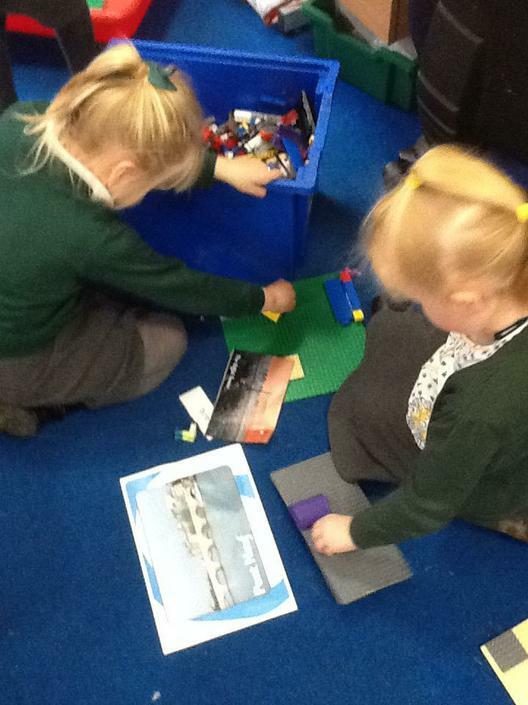 Year One have been thinking about how to stop pollution in the sea. 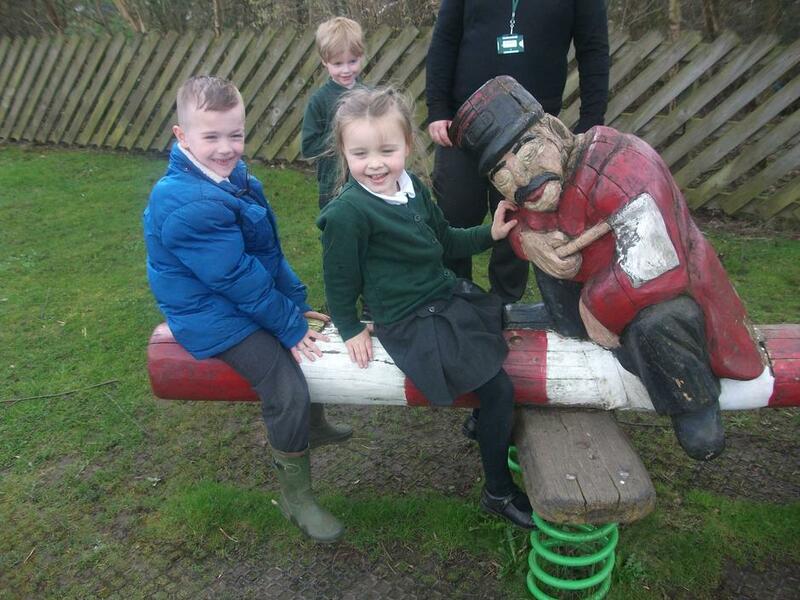 Today Year One went on an Autumn walk. 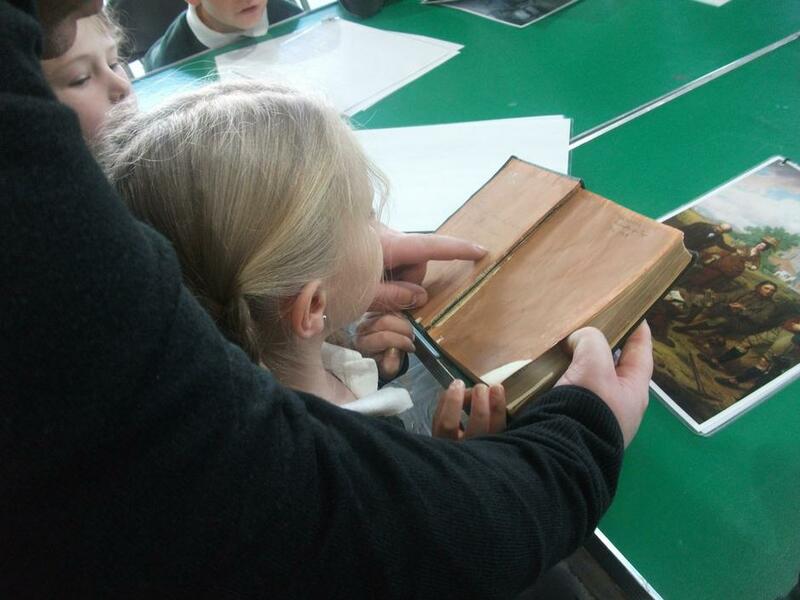 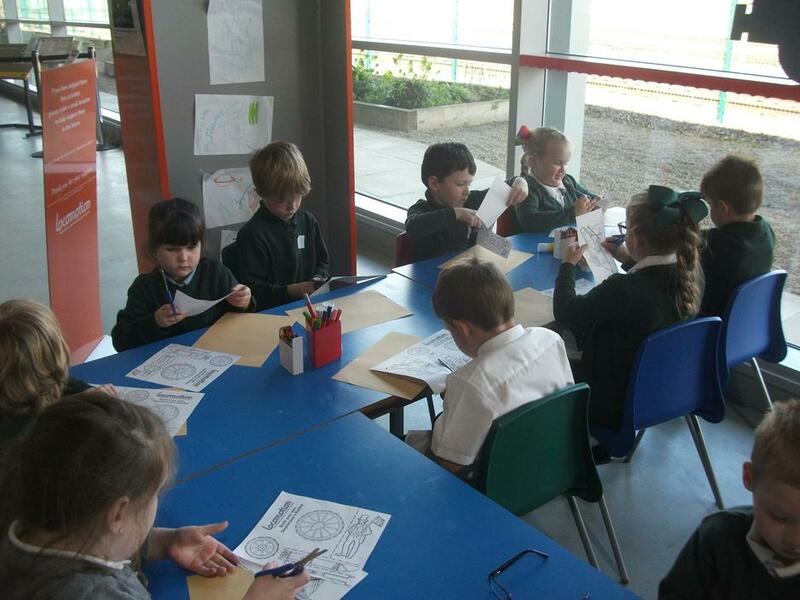 We then wrote about our walk and did some leaf printing. 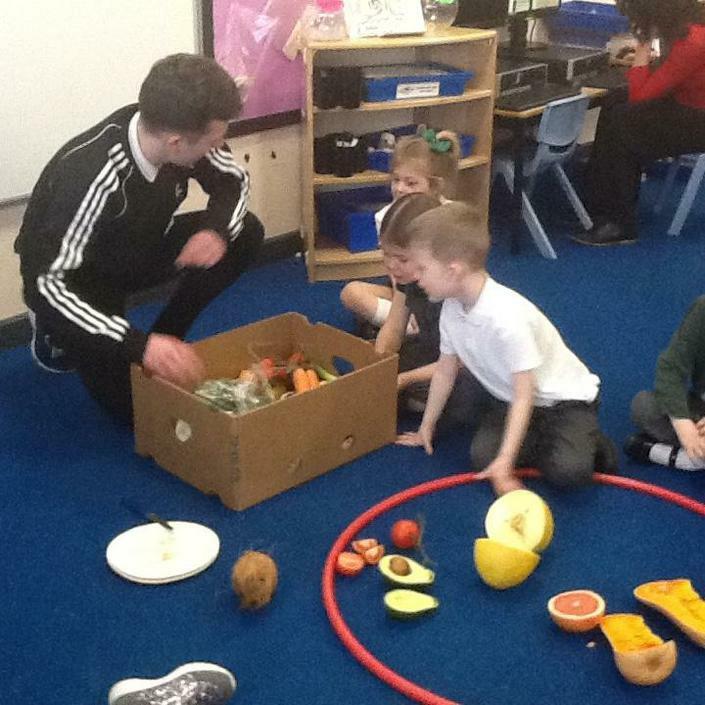 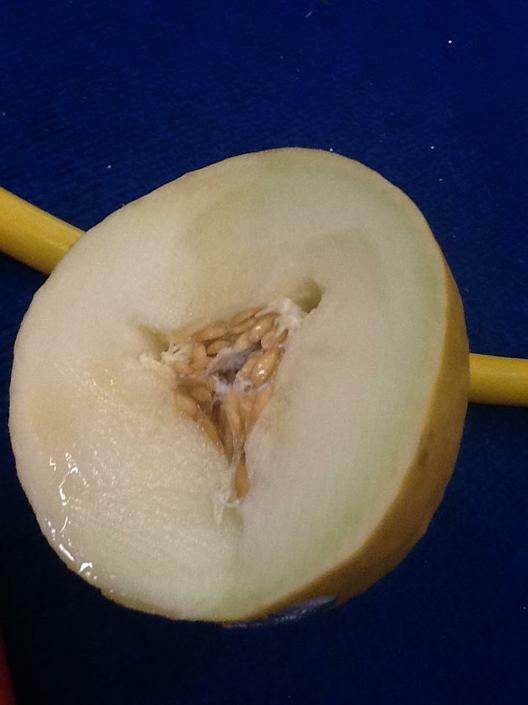 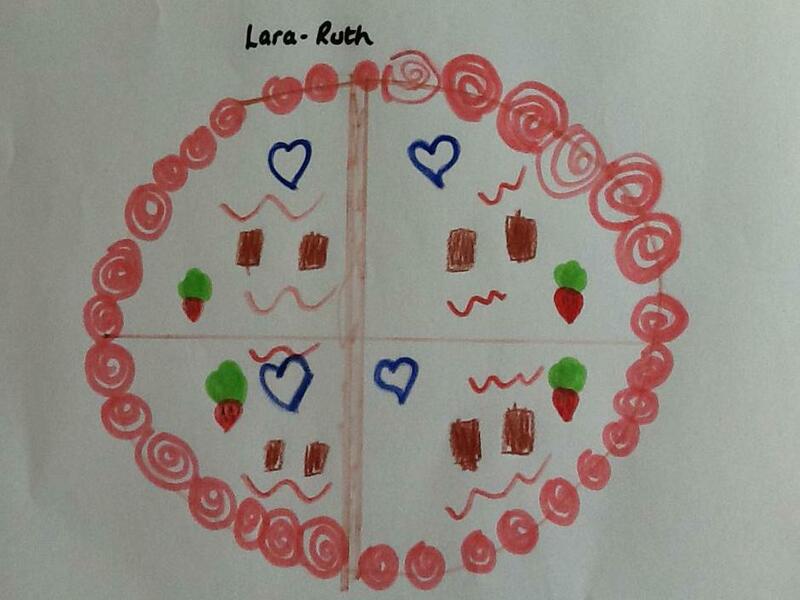 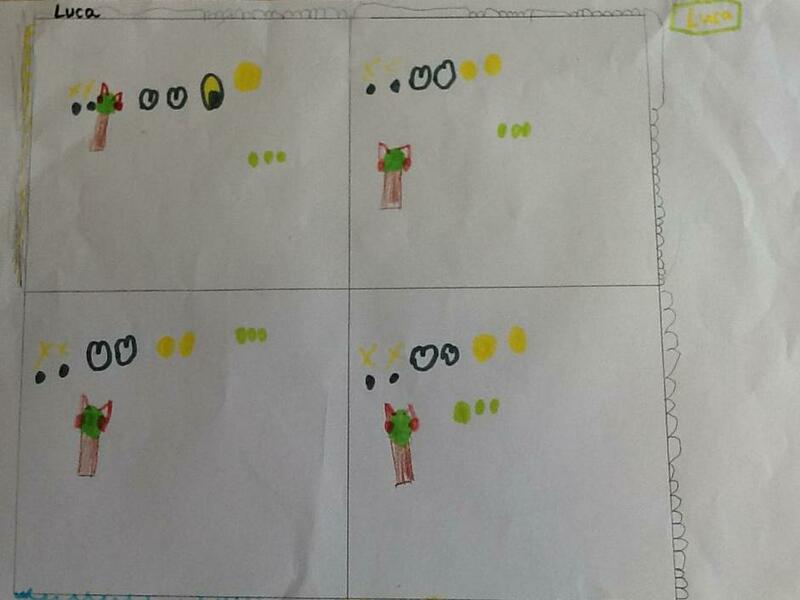 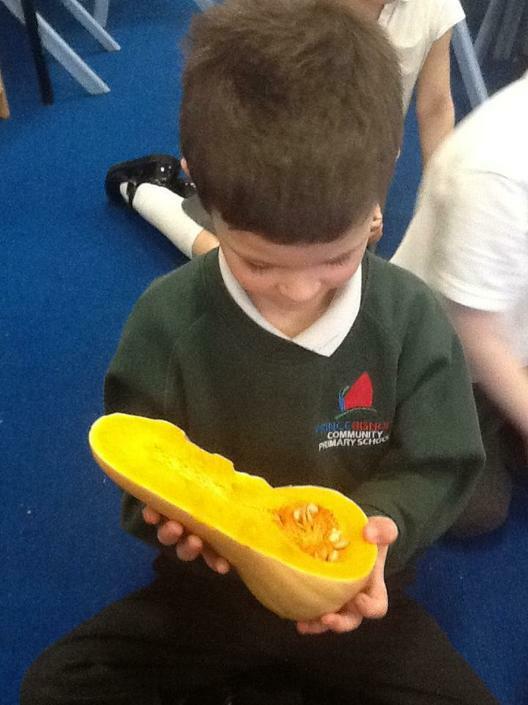 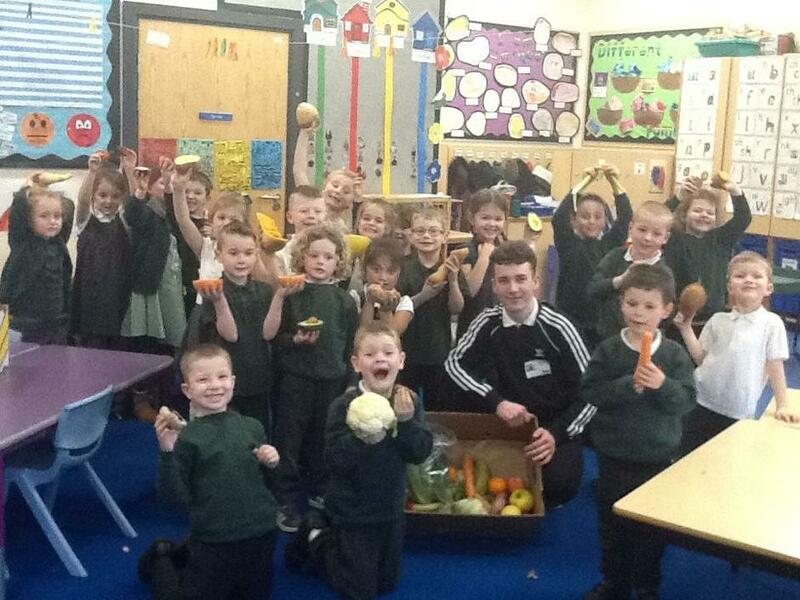 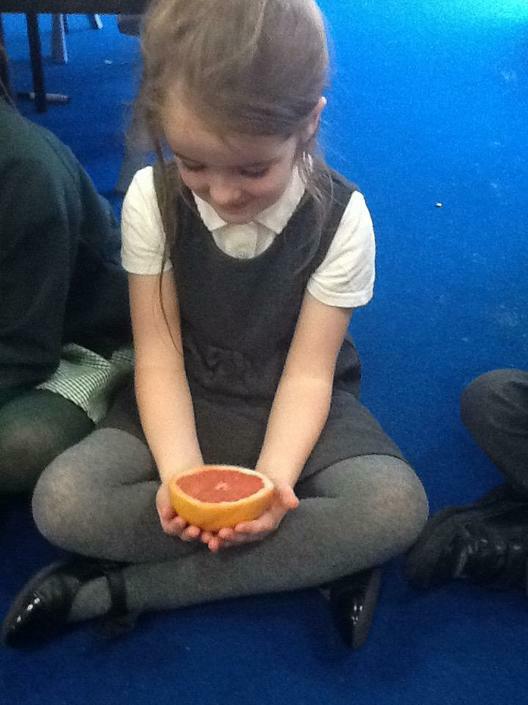 Year One have been thinking about Harvest. 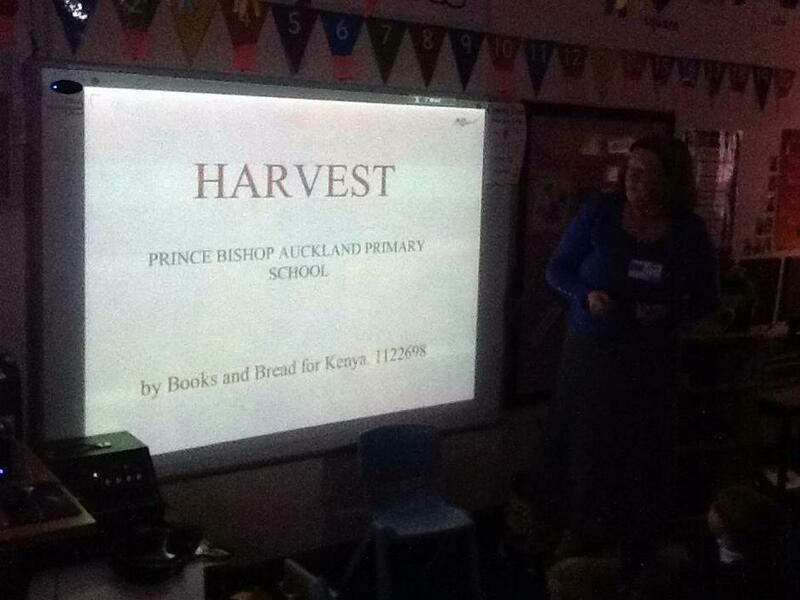 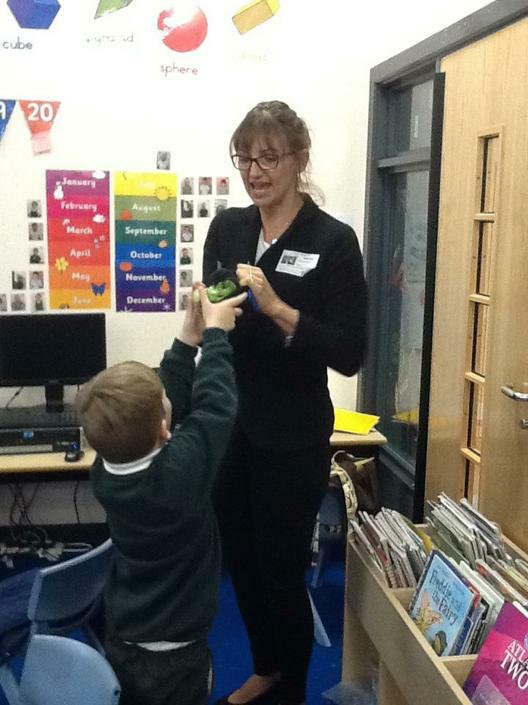 Maureen and Caroline from the charity 'Bread and Books for Kenya' came to school to talk to us about how their charity helps the children of Kenya to grow and sell their own food. 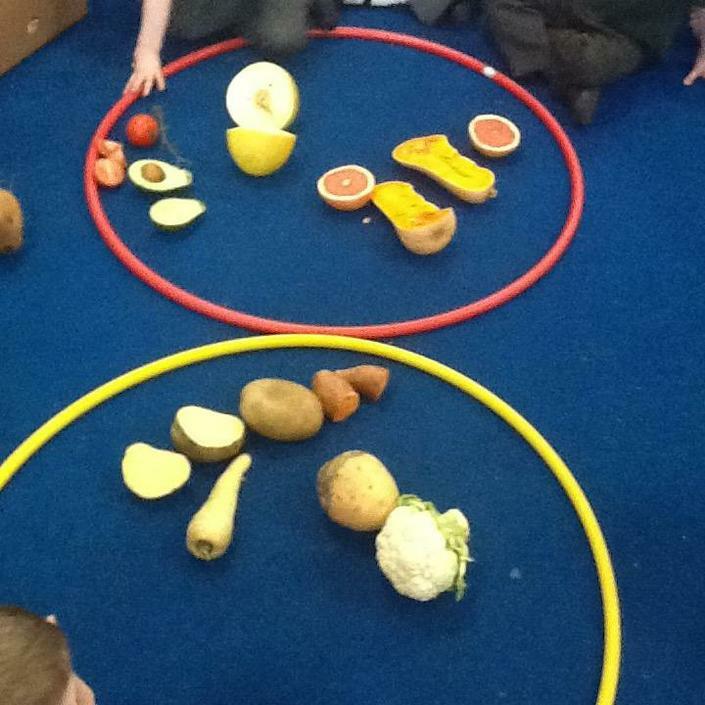 They told us a bible story, showed us lots of fantastic pictures from Kenya, and played 'Guess the fruit and veg in the sock'! 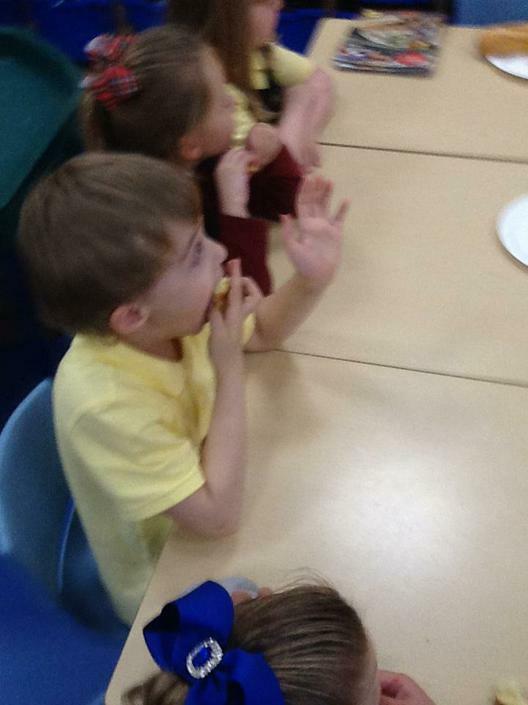 The children thoroughly enjoyed their visit and have deciedde to organise a cake sale to raise some money for the charity. 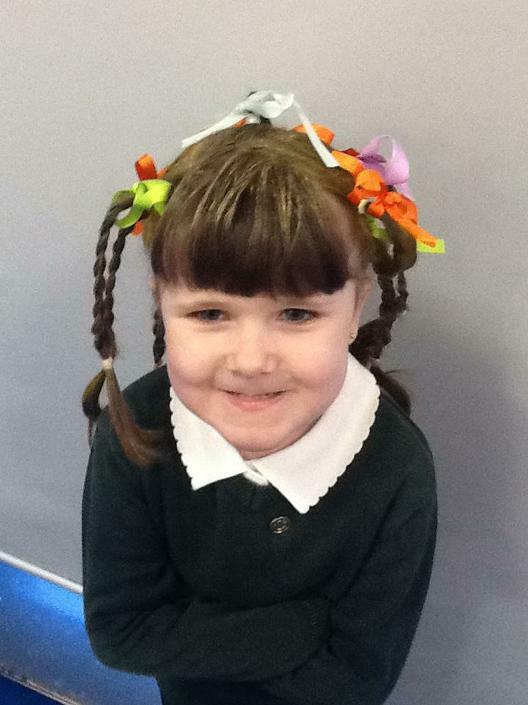 Year One were extremely excited today because Scarlett Moffatt and Miss Emma came into school!! 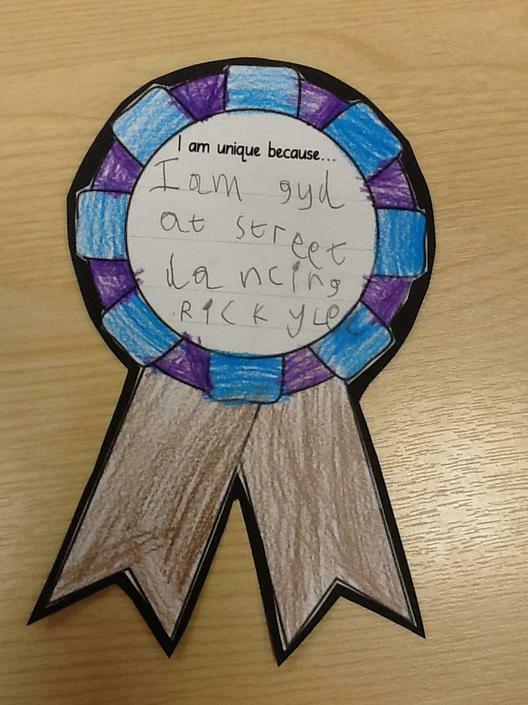 They judged our Pride week fashion show and talked to us about how important it is to be yourself and be kind. 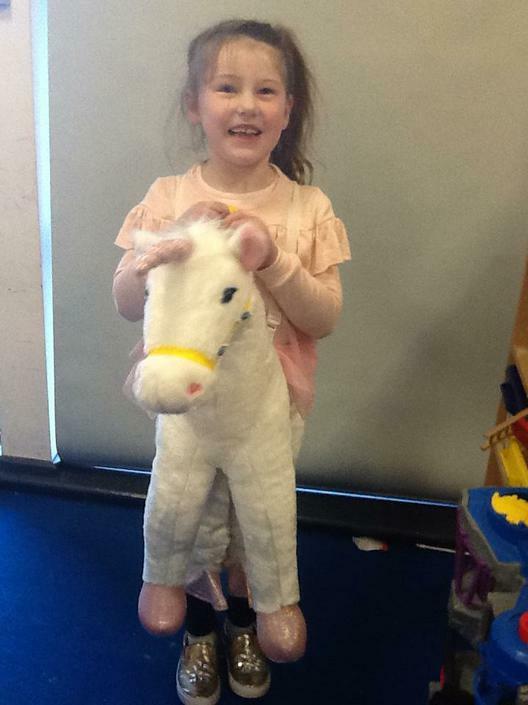 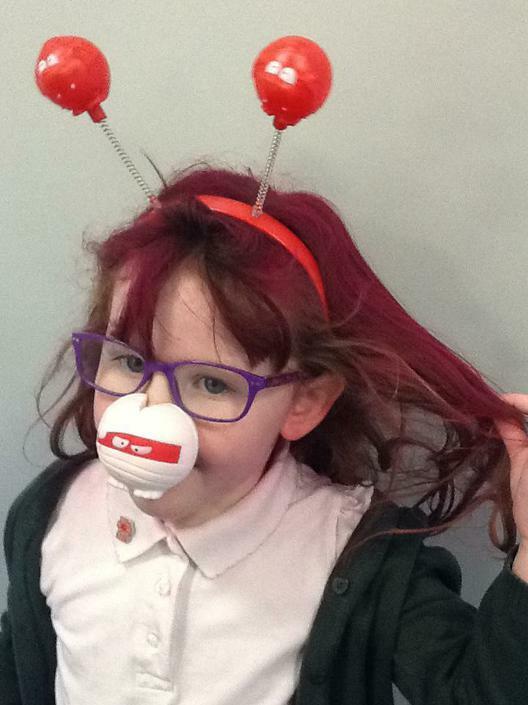 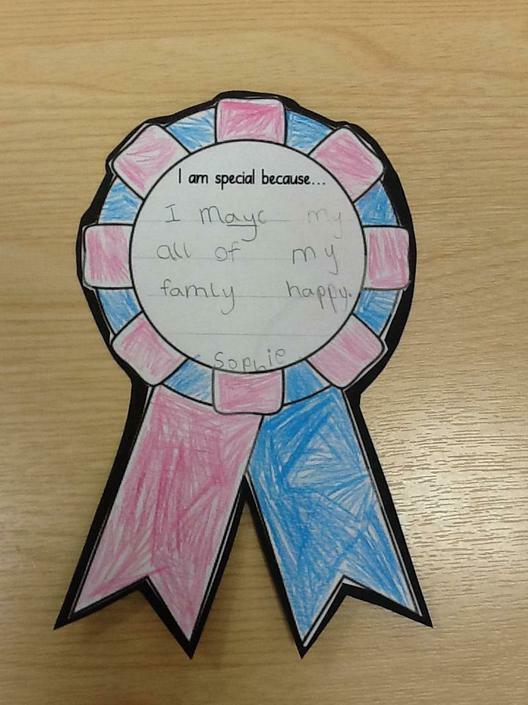 "Thank you Scarlett and Miss Emma"
To celebrate IDAHOBIT (international day against homophobia, biphobia and transphobia) the Year One children thoroughly enjoyed taking part in the school colour run. 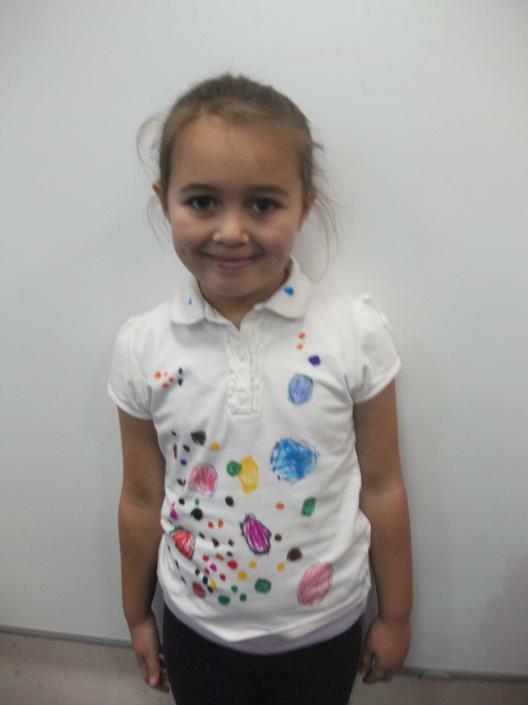 They all got suitably 'painted' and are looking forward to decorating their newly coloured T shirts tomorrow. 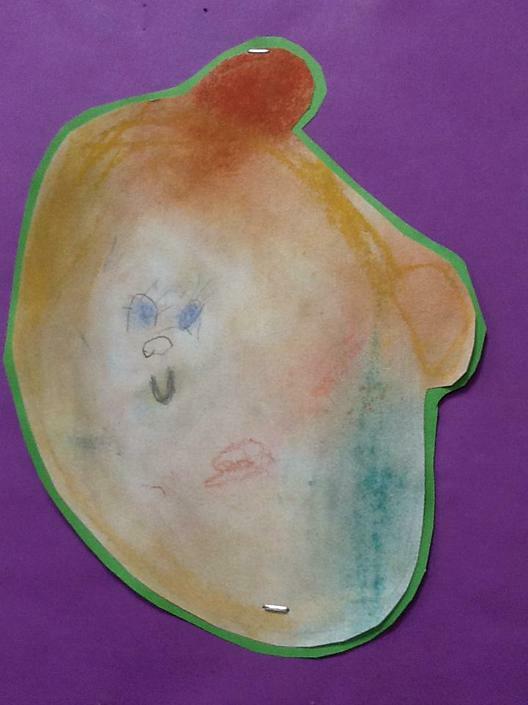 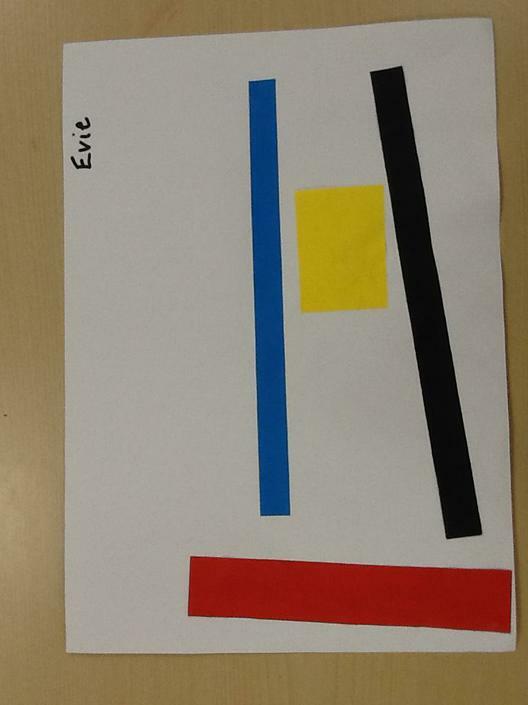 We have been reading Elmer By David McKee. 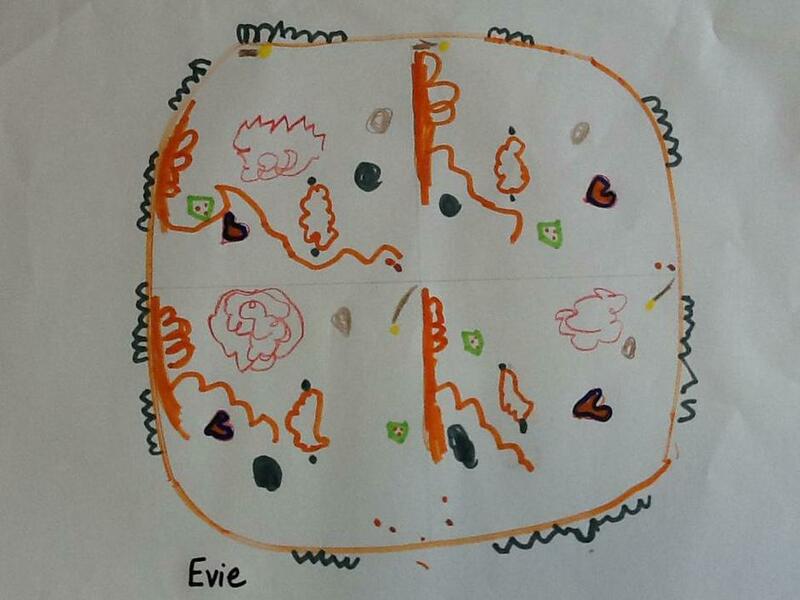 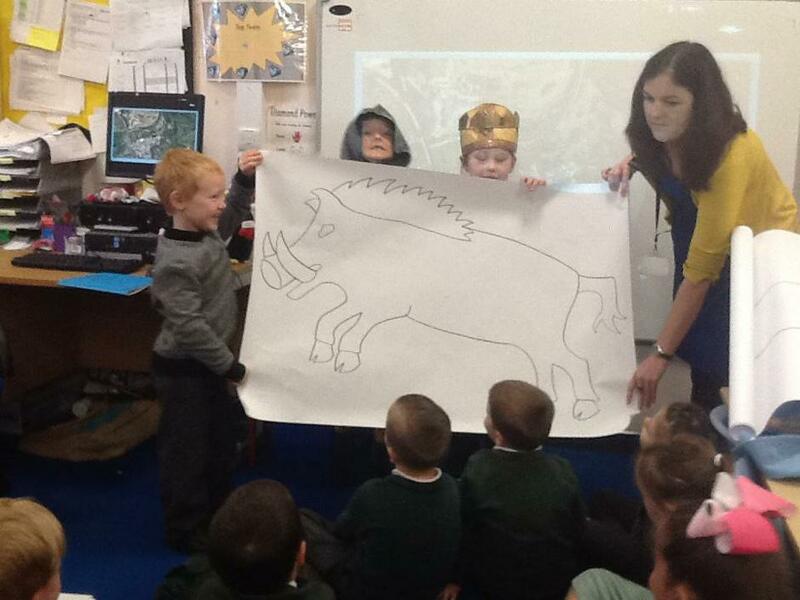 We explored how Elmer was different to all the other elephants and how this made him feel. 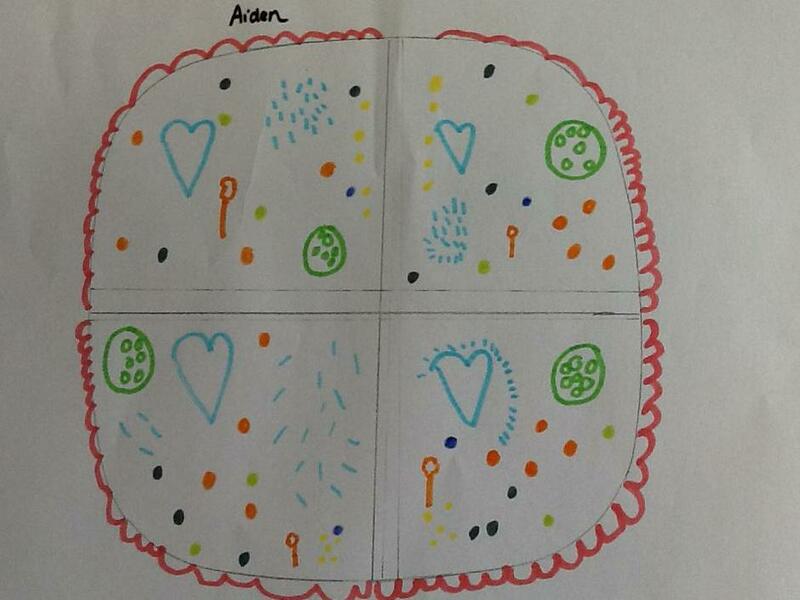 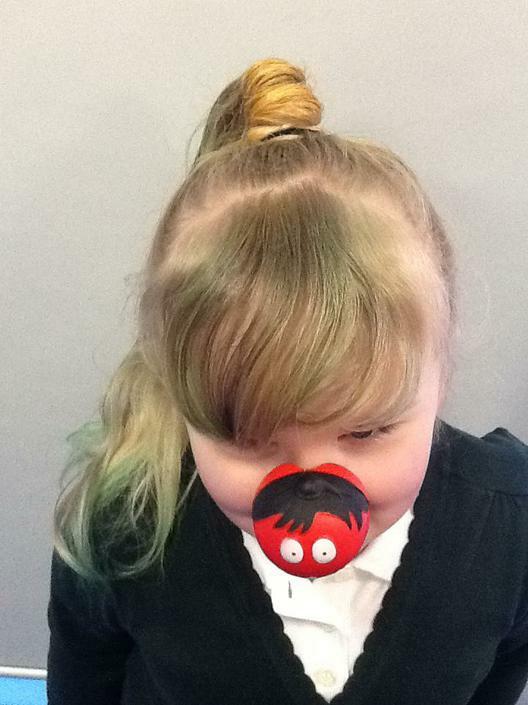 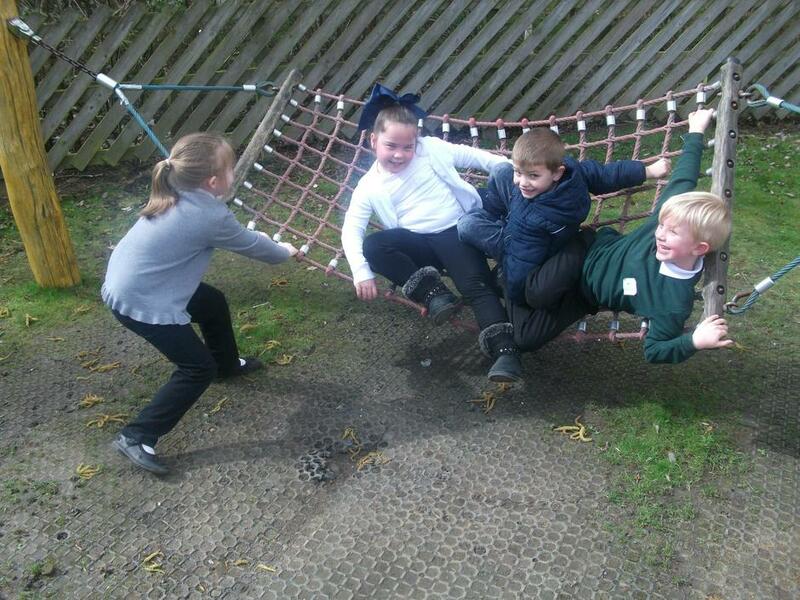 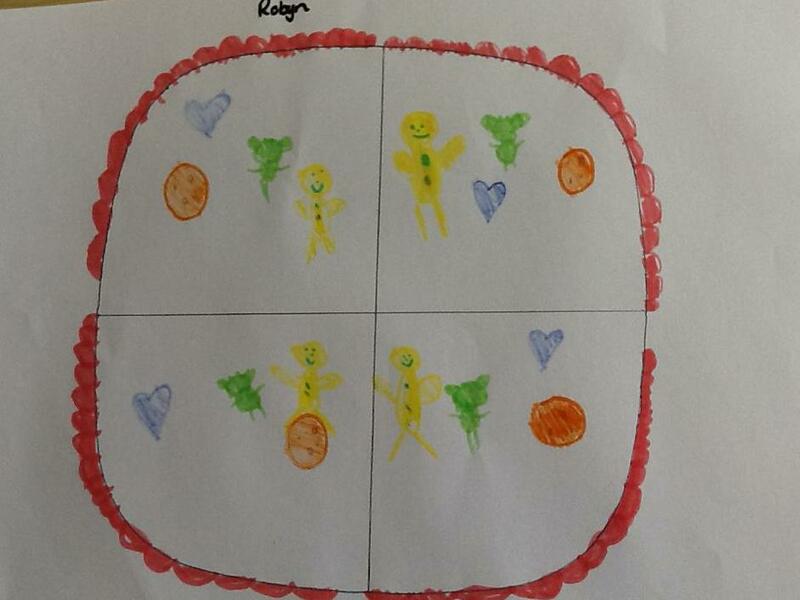 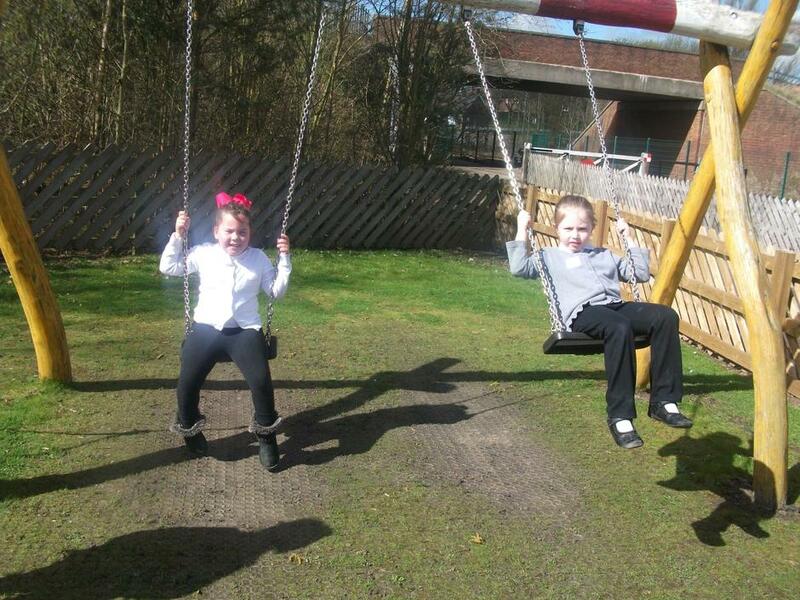 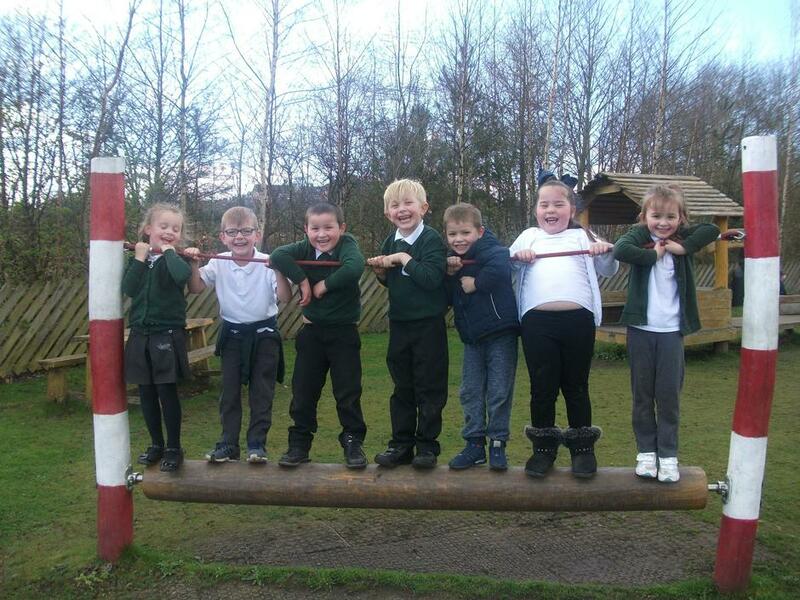 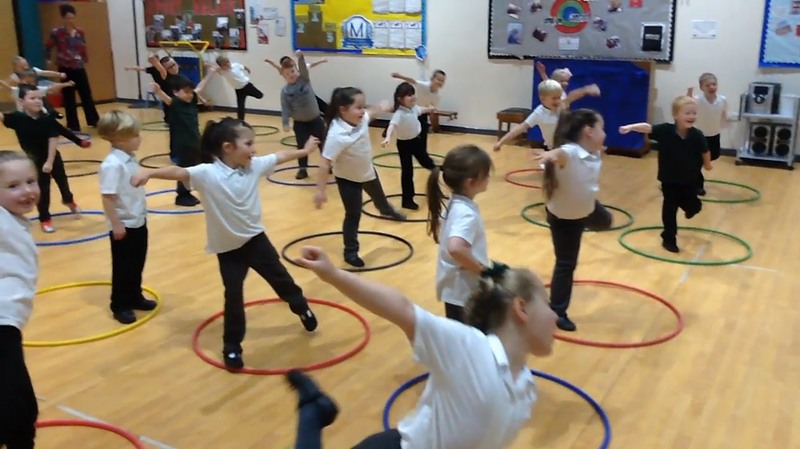 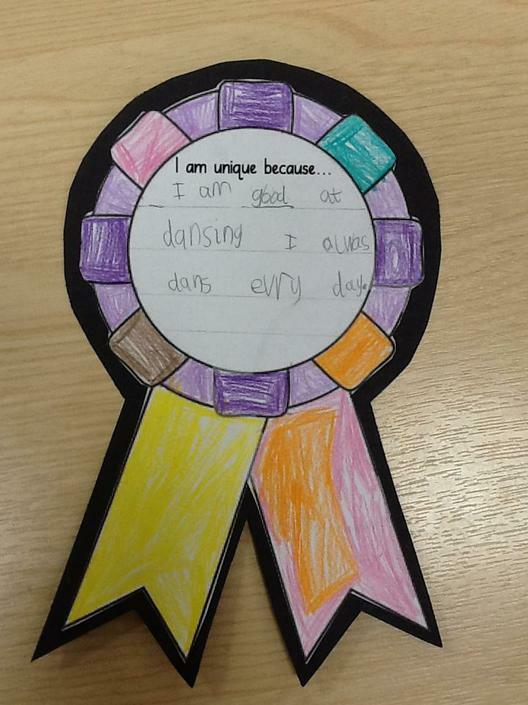 We recognised being different as a positive thing and we learnt about the importance of "showing our true colours." 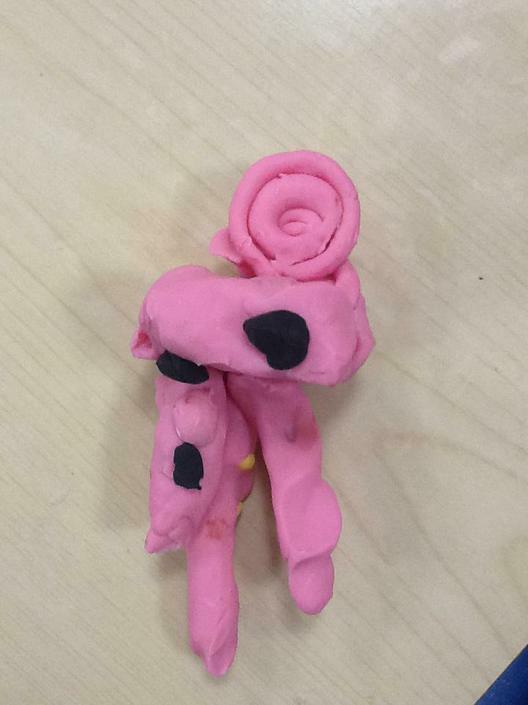 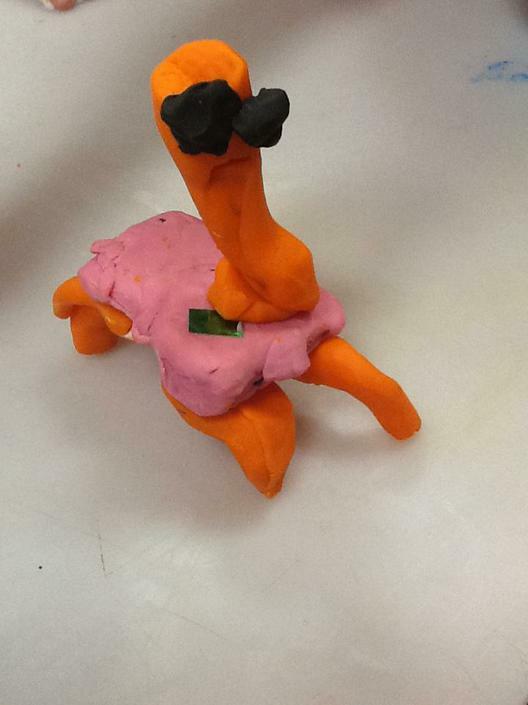 We designed our own elephants, competing to try and design the most different and unique from all the others. 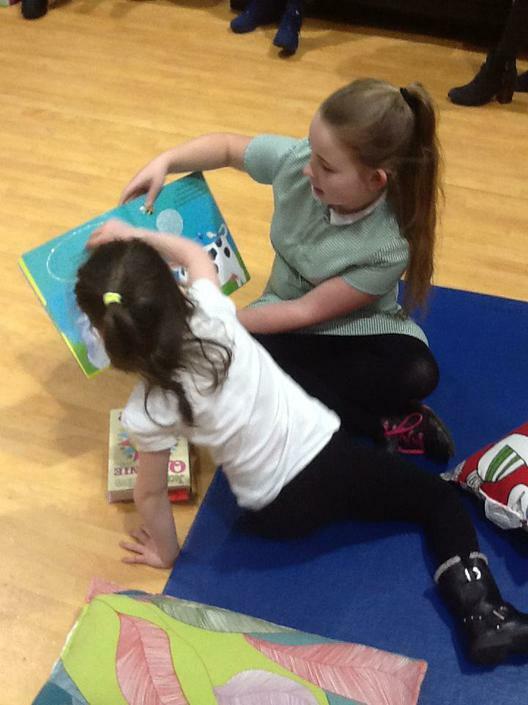 We have also enjoyed reading Giraffes Can't Dance by Giles Andreae. 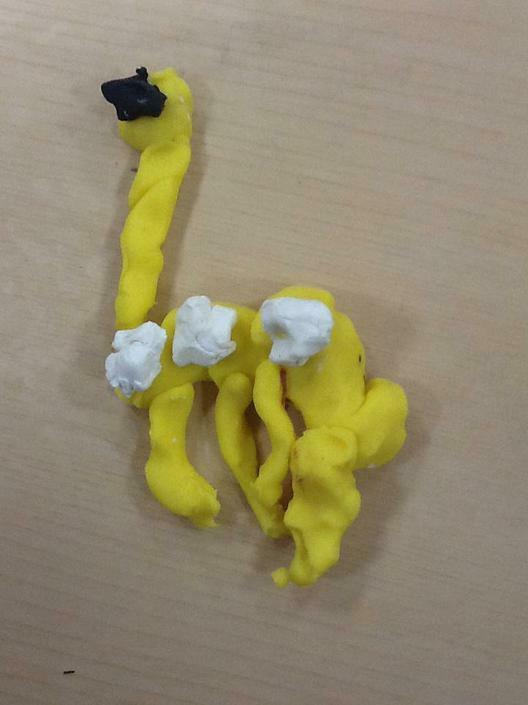 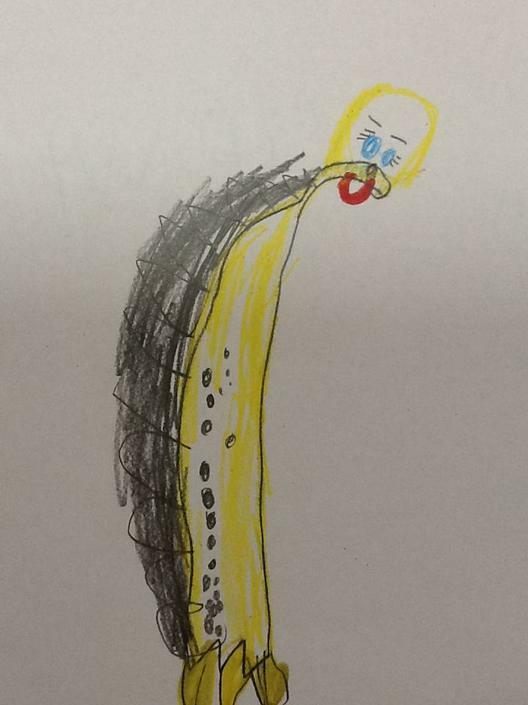 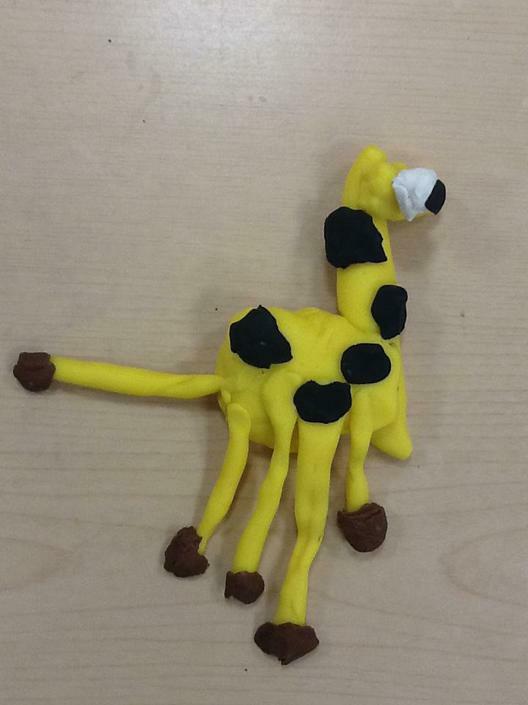 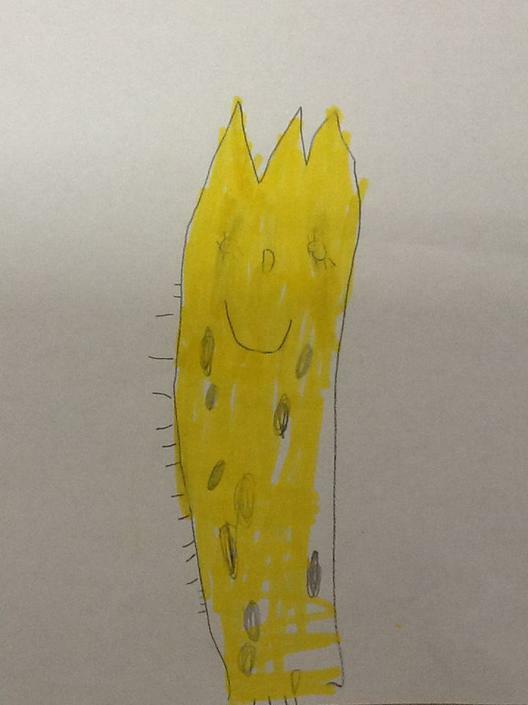 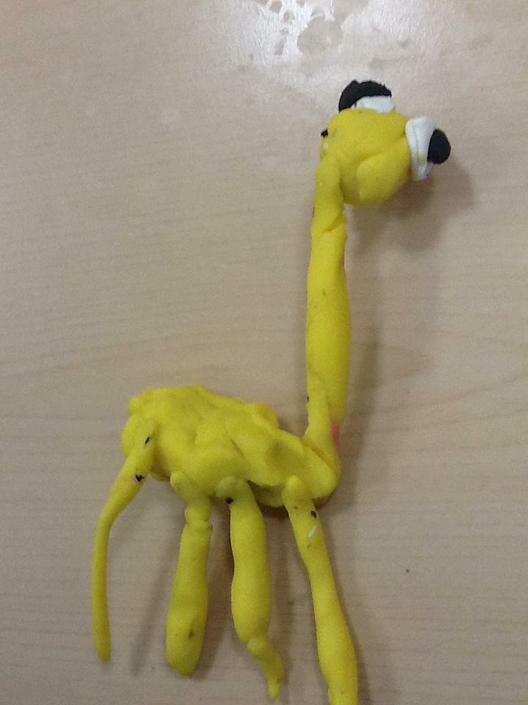 We talked about what made Gerald the Giraffe different from all the other animals and we explored how differences make us unique and special. 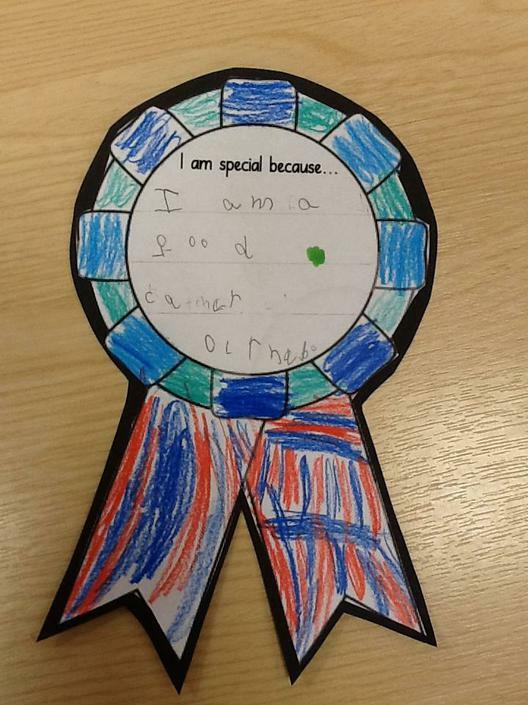 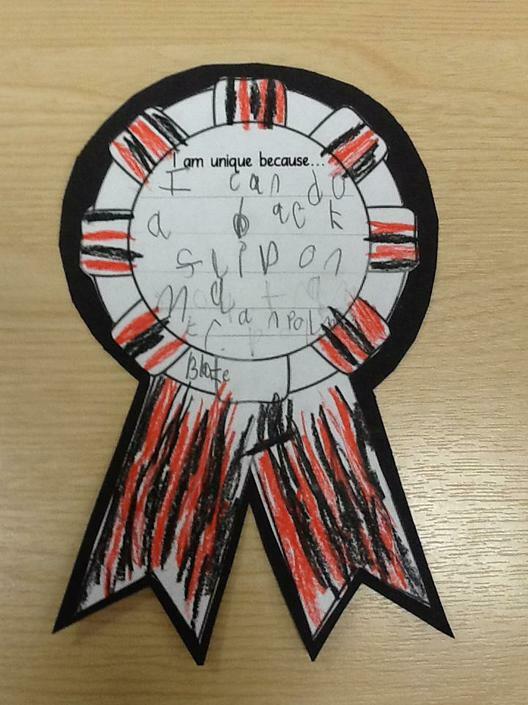 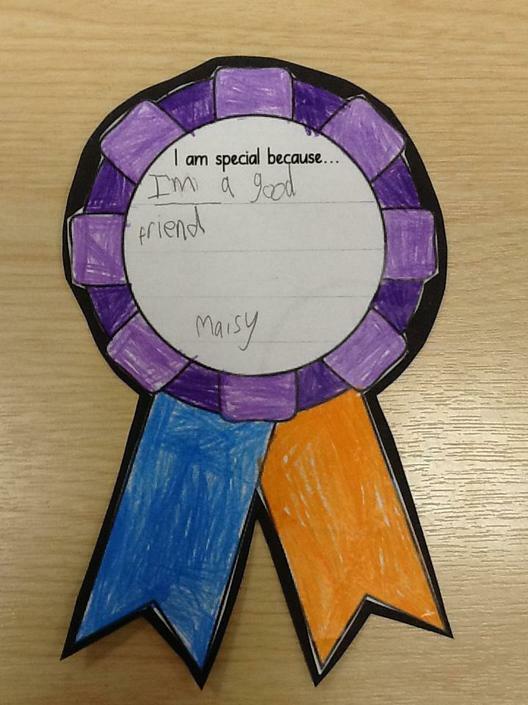 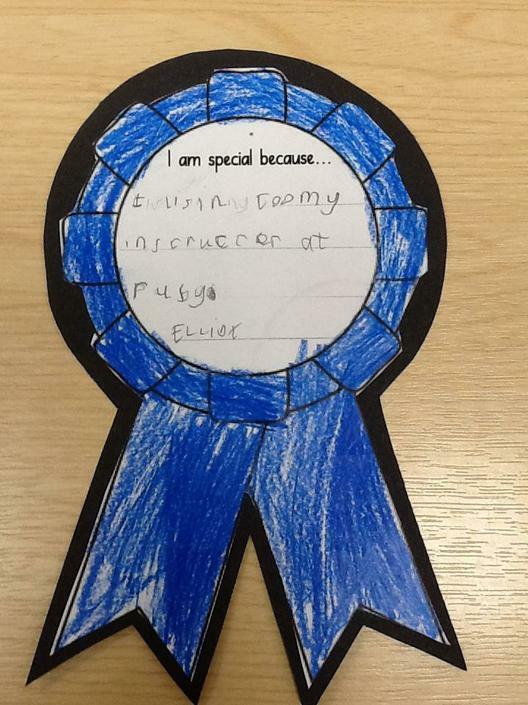 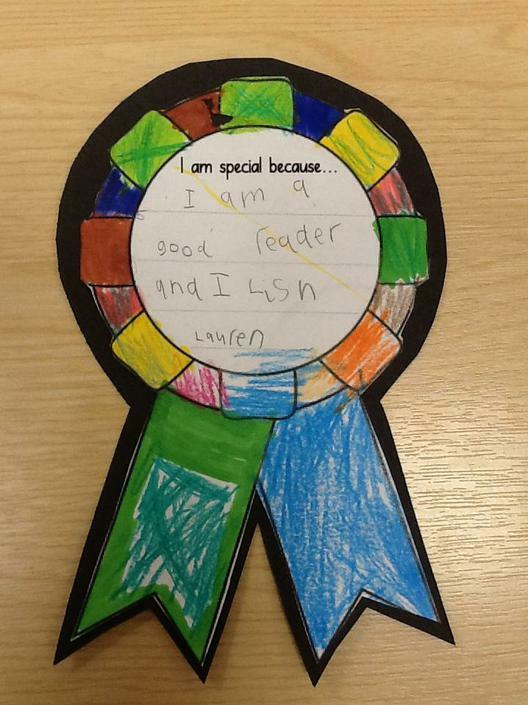 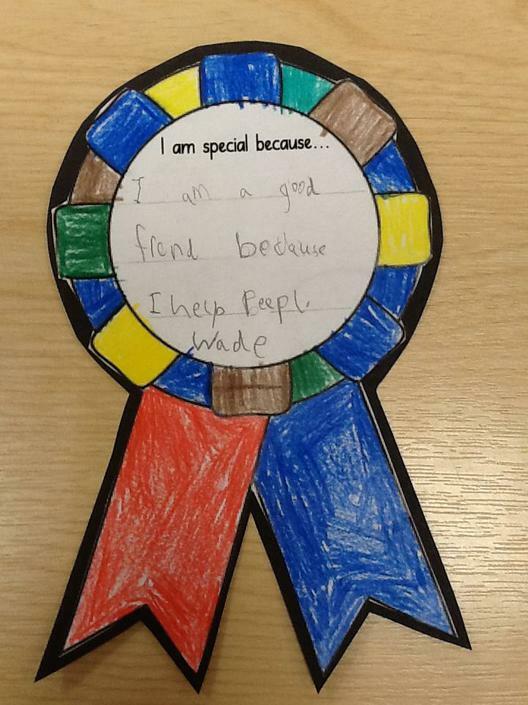 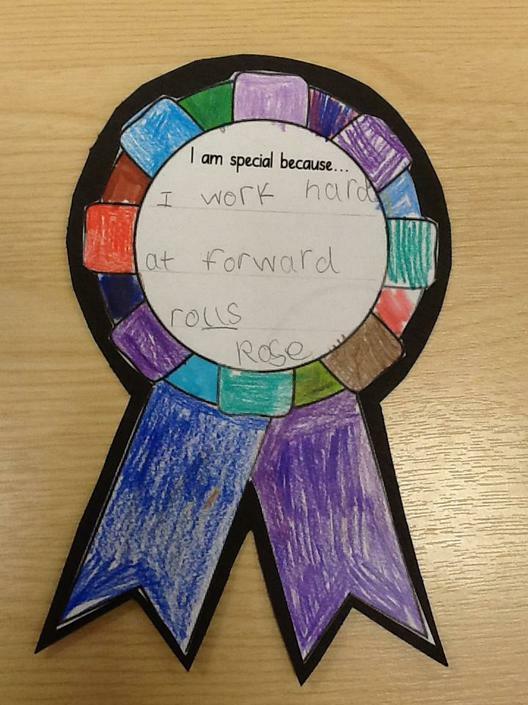 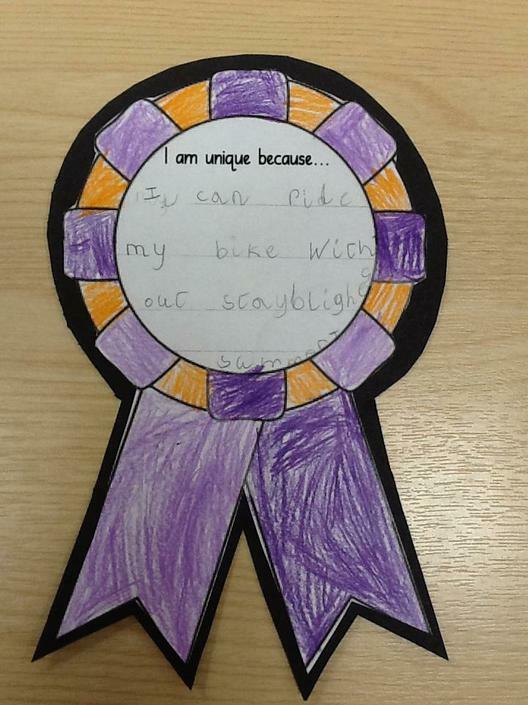 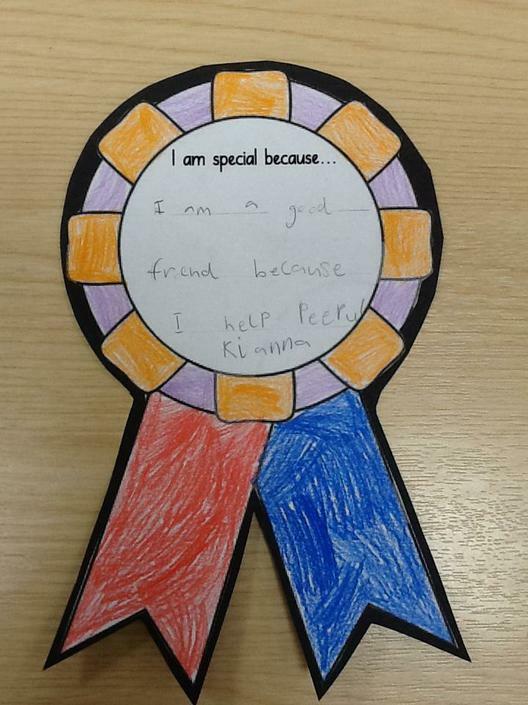 We talked about what makes us different from our friends in Year One and we celebrated our unique qualities with pride. 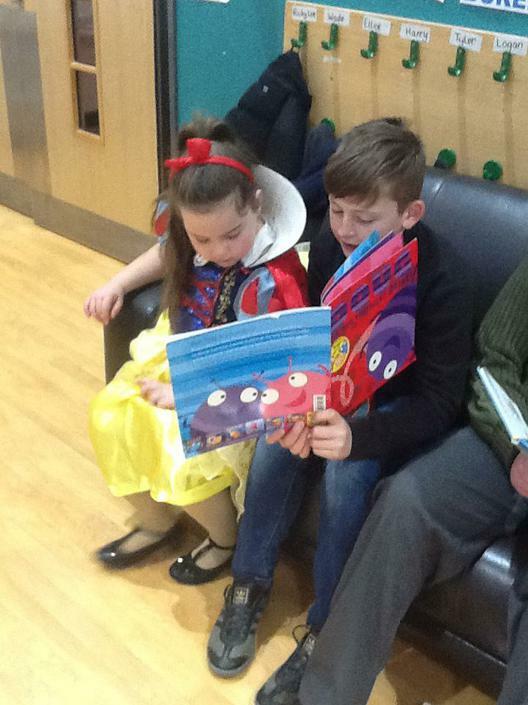 Enjoy the story again with your child. 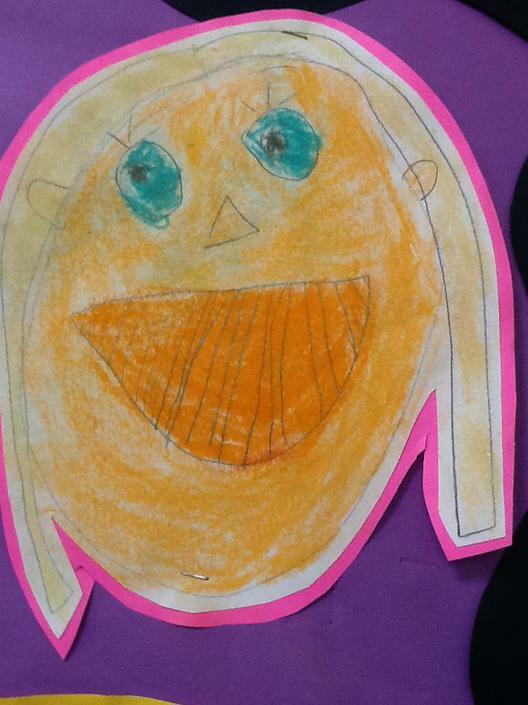 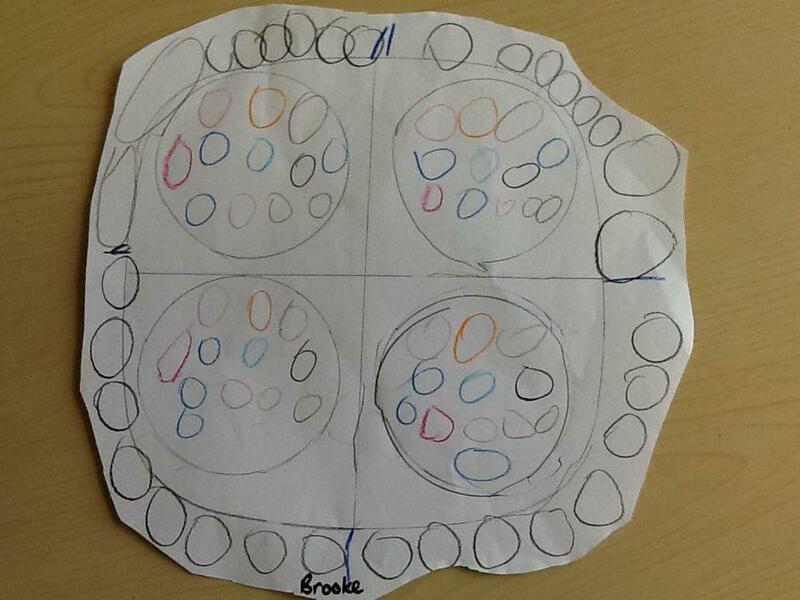 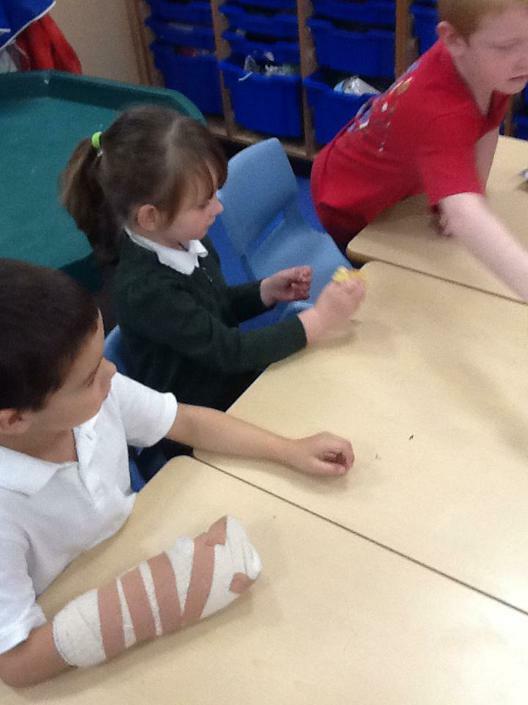 We have been considering what "family" means and sharing the types of family that we come from in Year One. 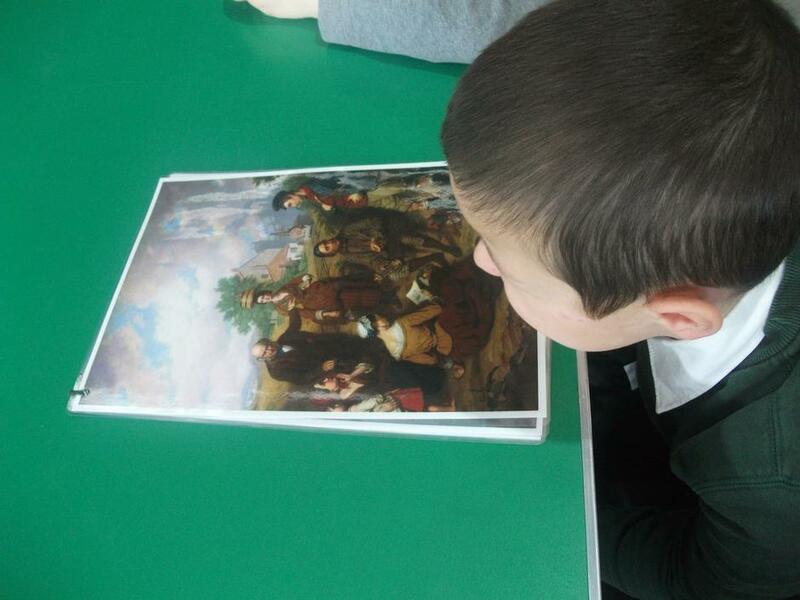 We have also been exploring types of family that we are less familiar with and then we challenged ourselves to see how many different types of family we could think of. 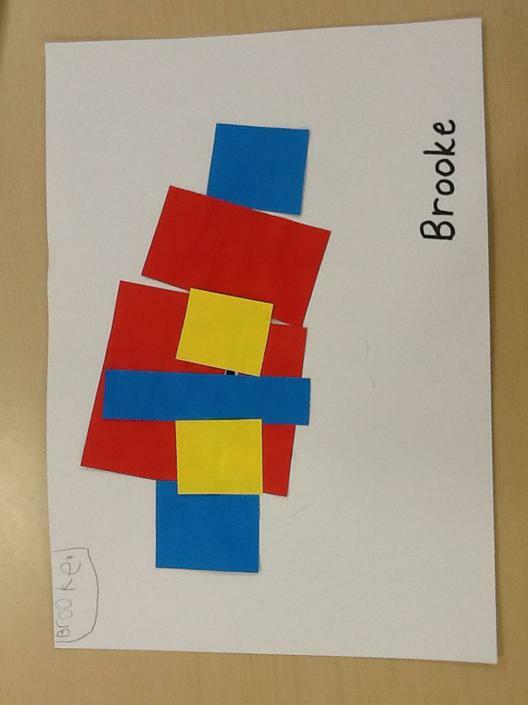 We represented some of these families by making collages of coloured birds. 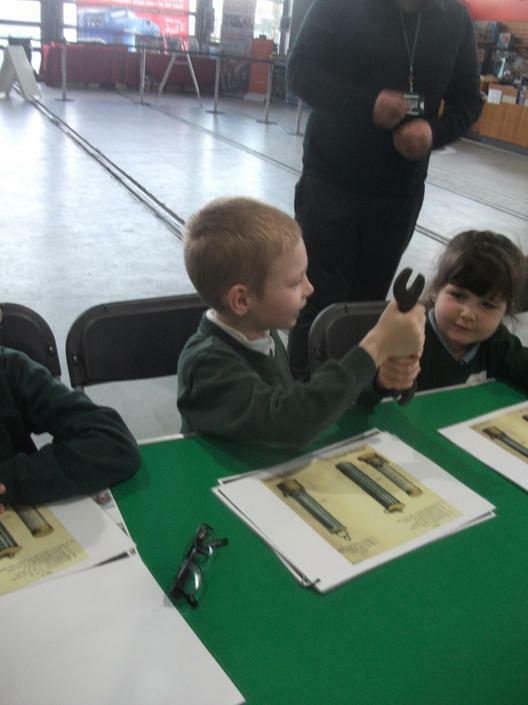 SCIENCE DAY 'We broke the world record!!' 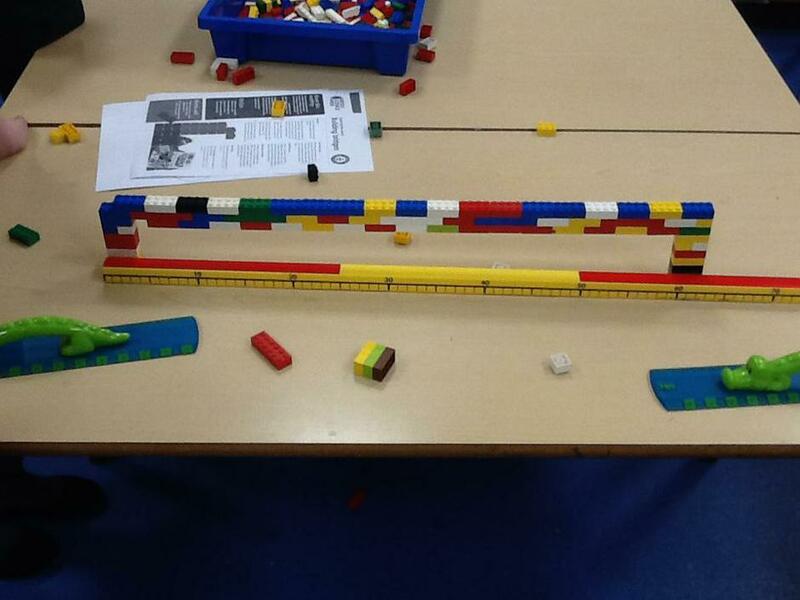 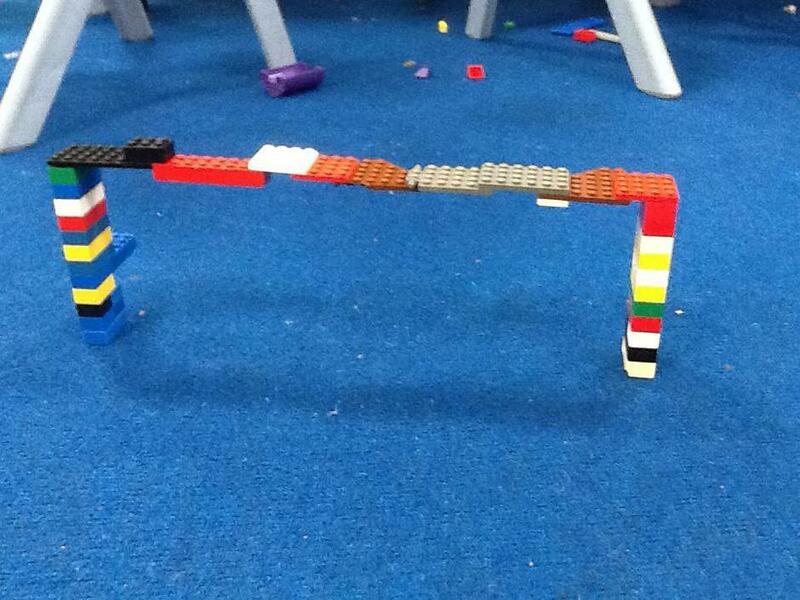 Using lego the children made a bridge - some did it within 3 MINUTES!! 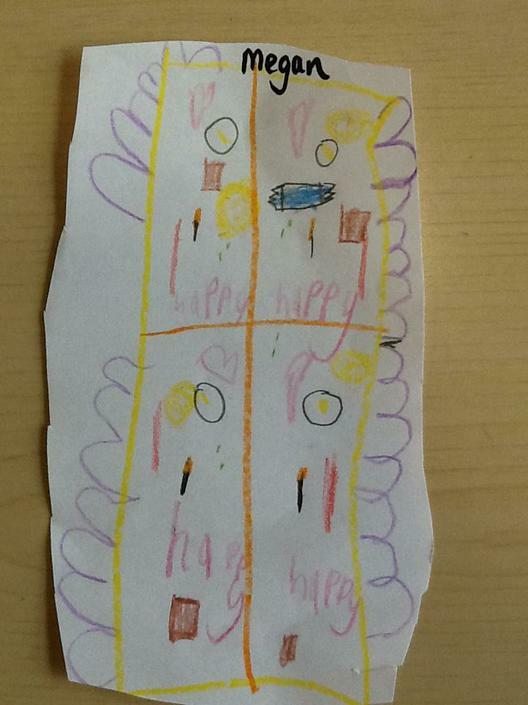 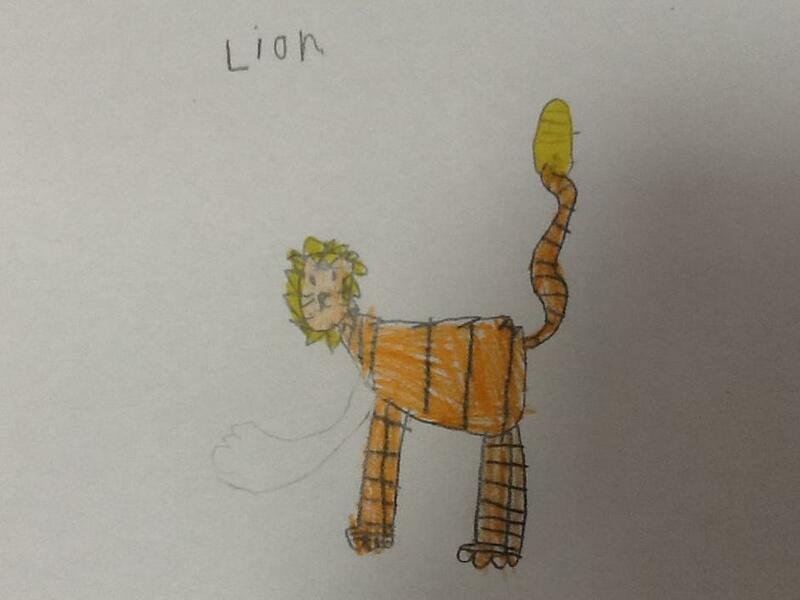 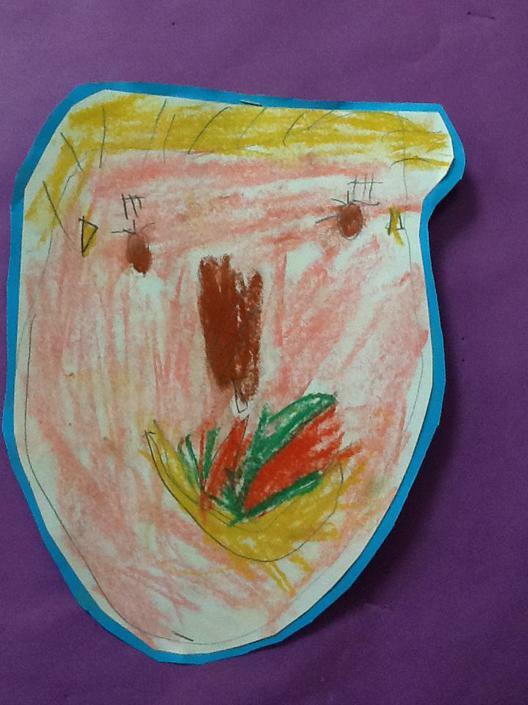 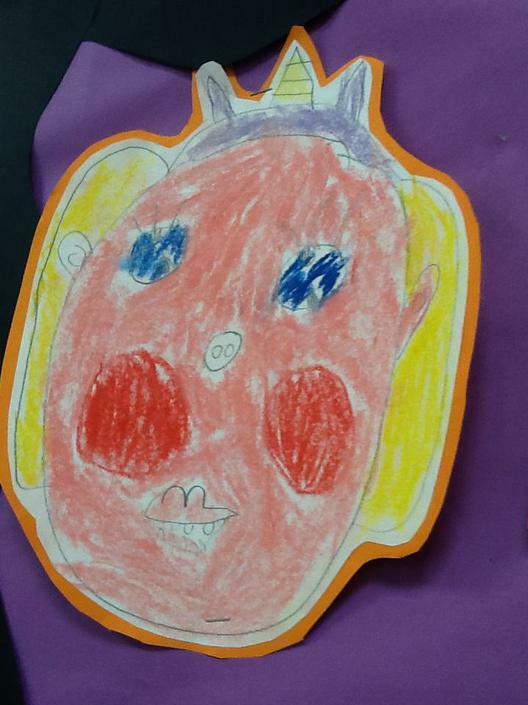 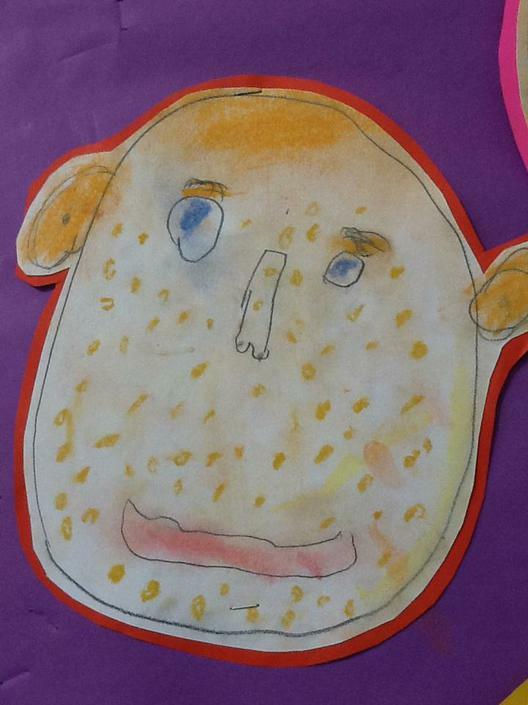 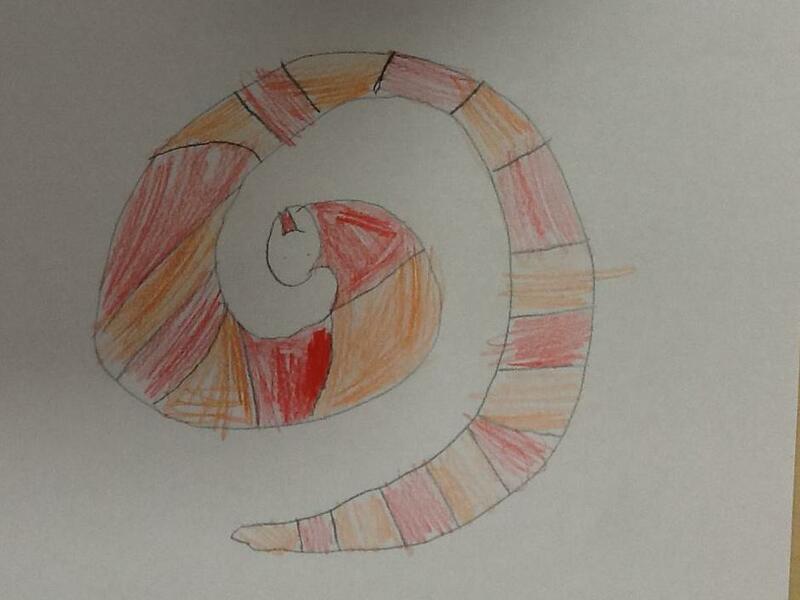 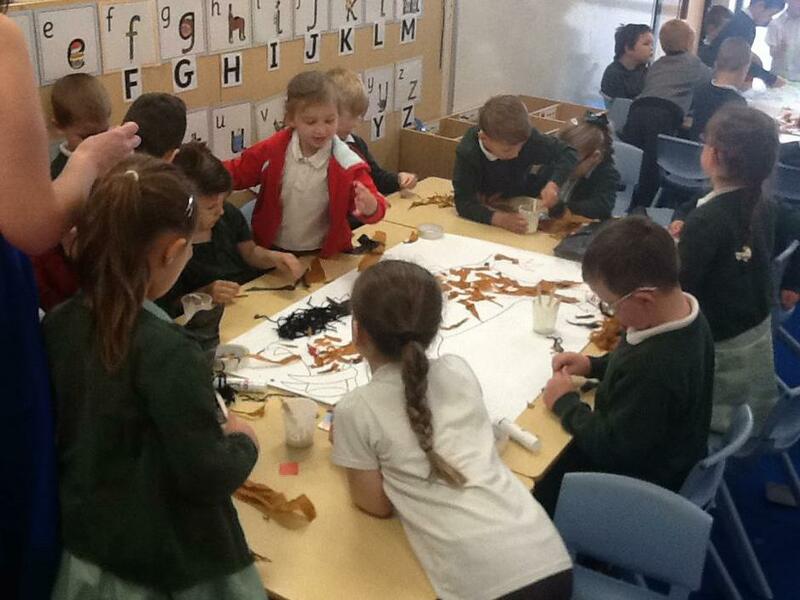 In Year One, we were fascinated by the customs and traditions associated with Chinese New Year. 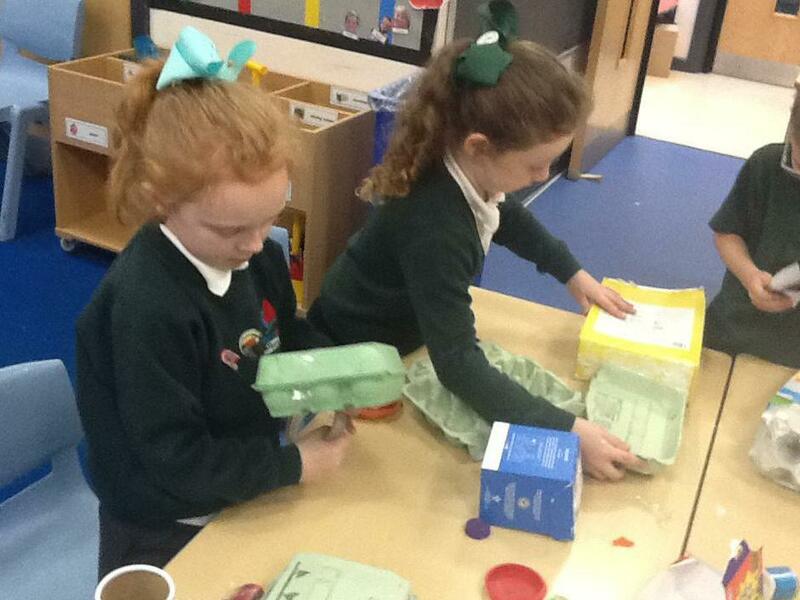 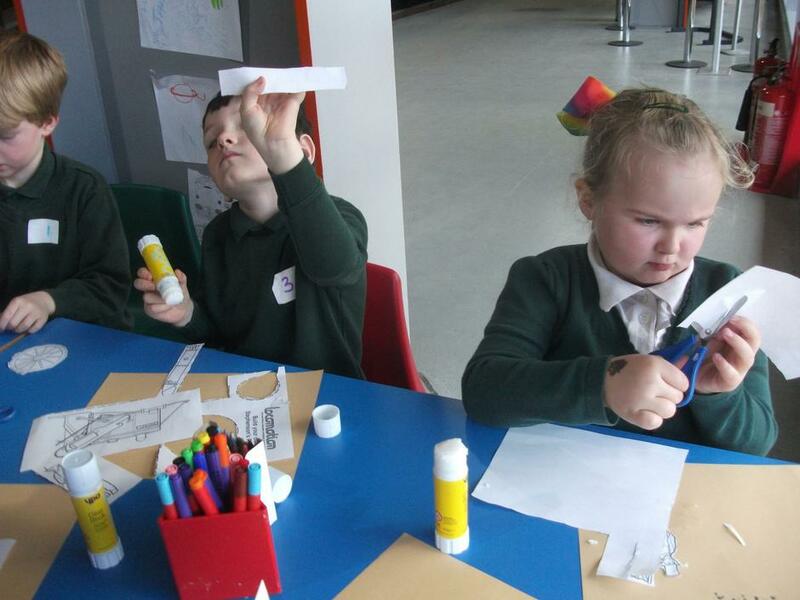 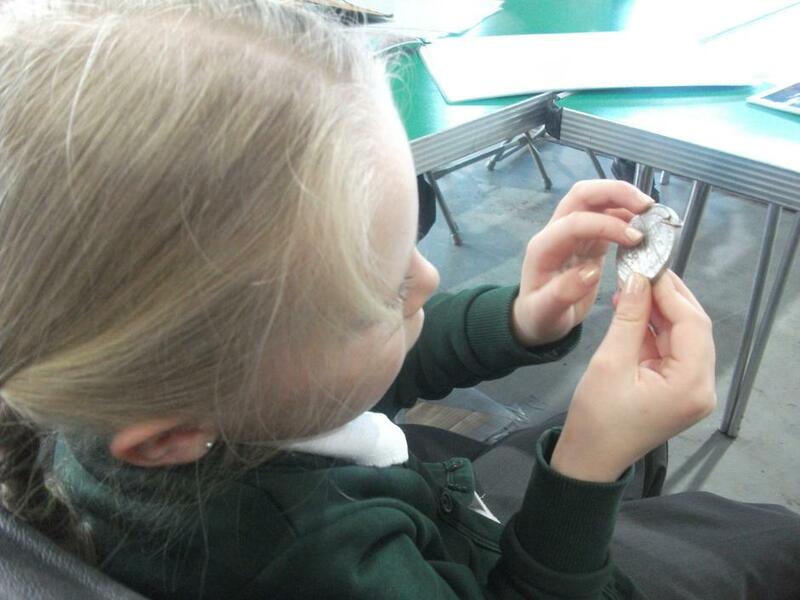 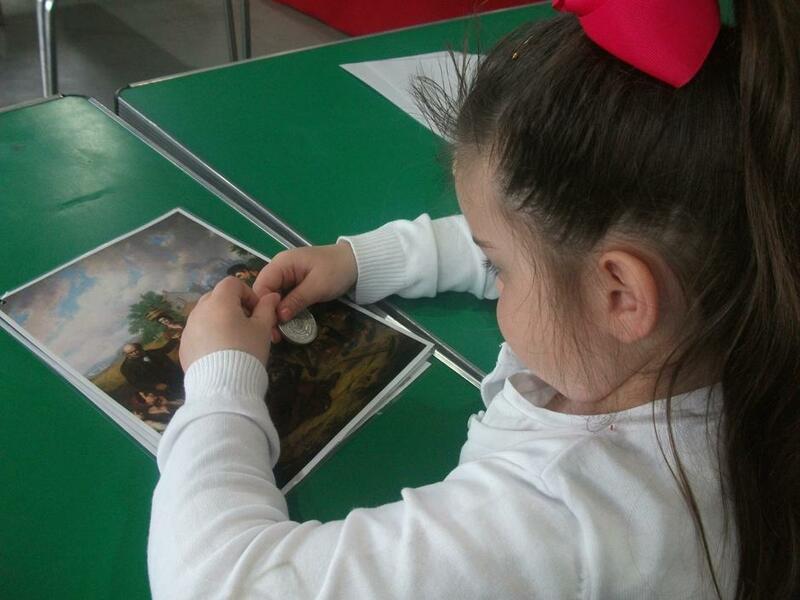 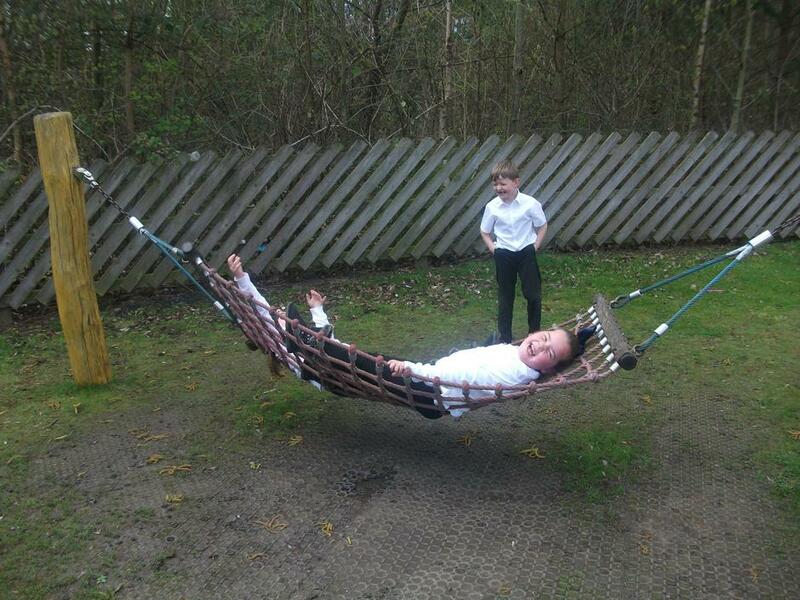 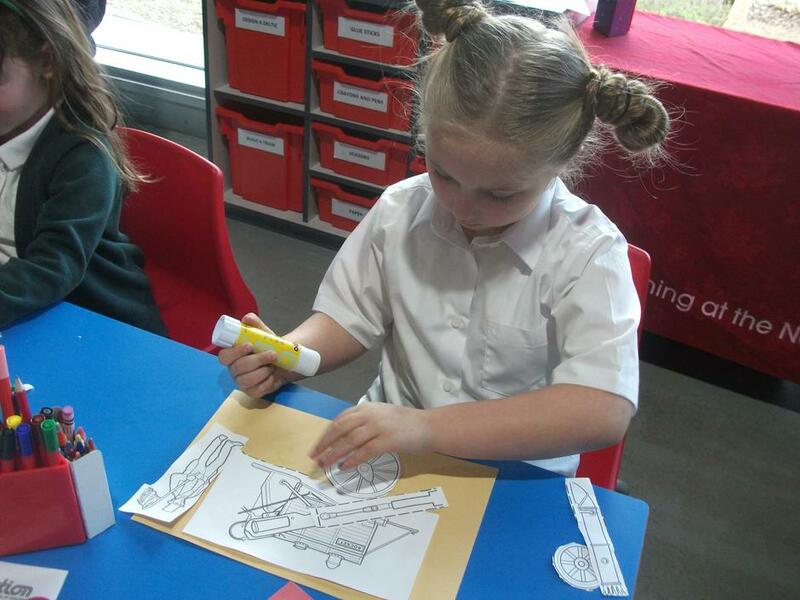 Along with the rest of the school, we took part in a carousel of craft activities in order to find out more. 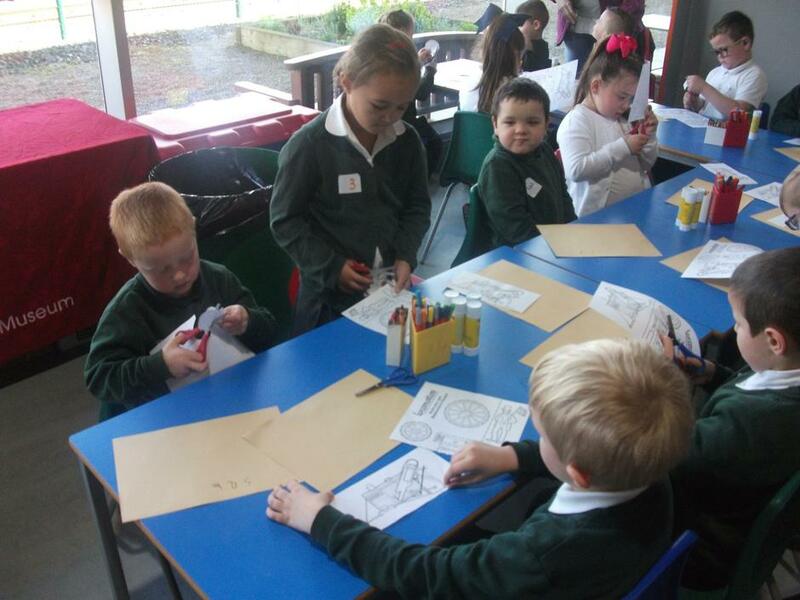 We loved creating our own lucky red envelopes, paper lanterns and Chinese symbols and discovering the meanings and relevance behind them. 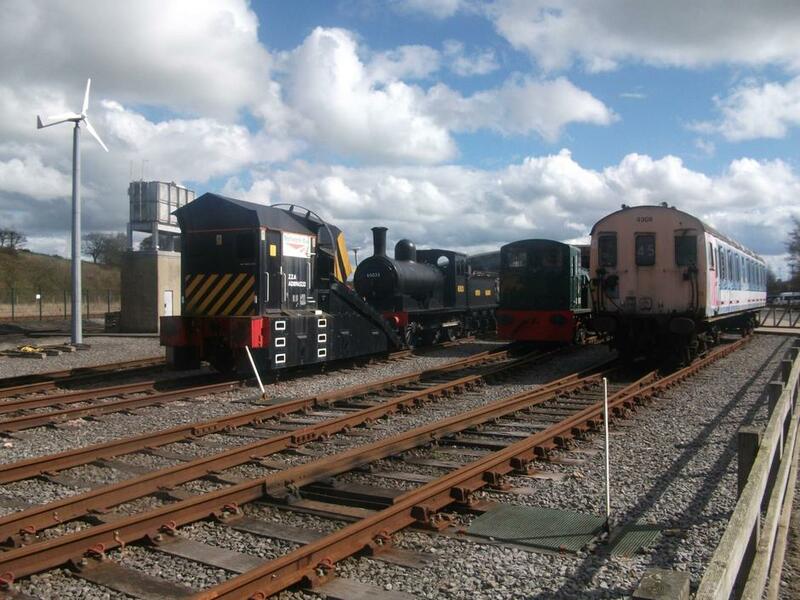 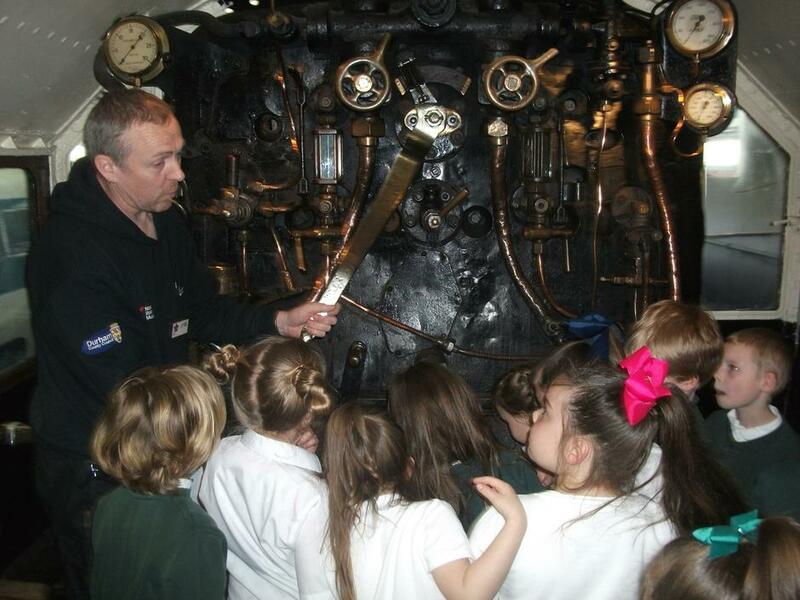 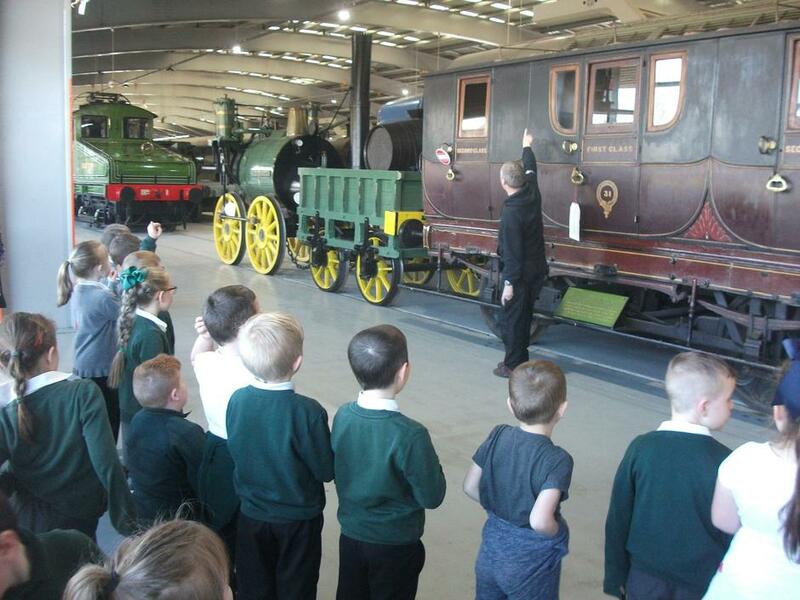 This half term we are thinking about 'trains'. 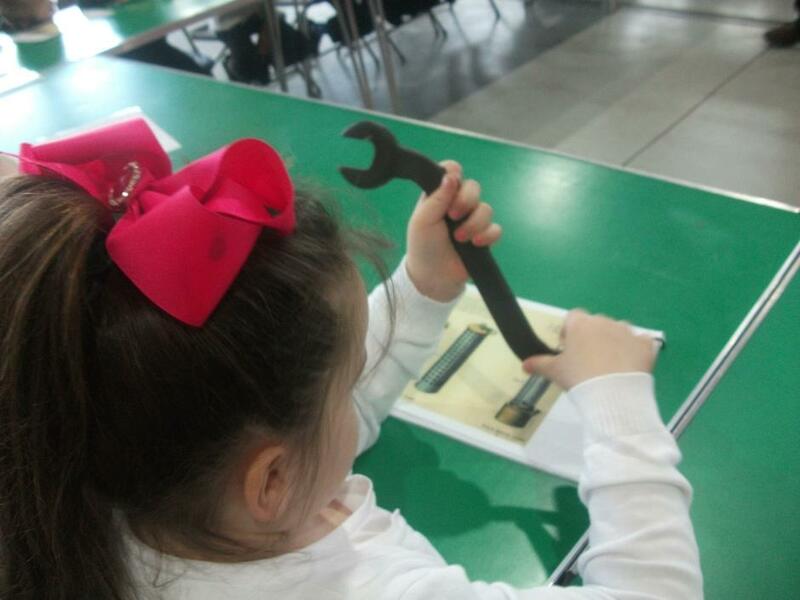 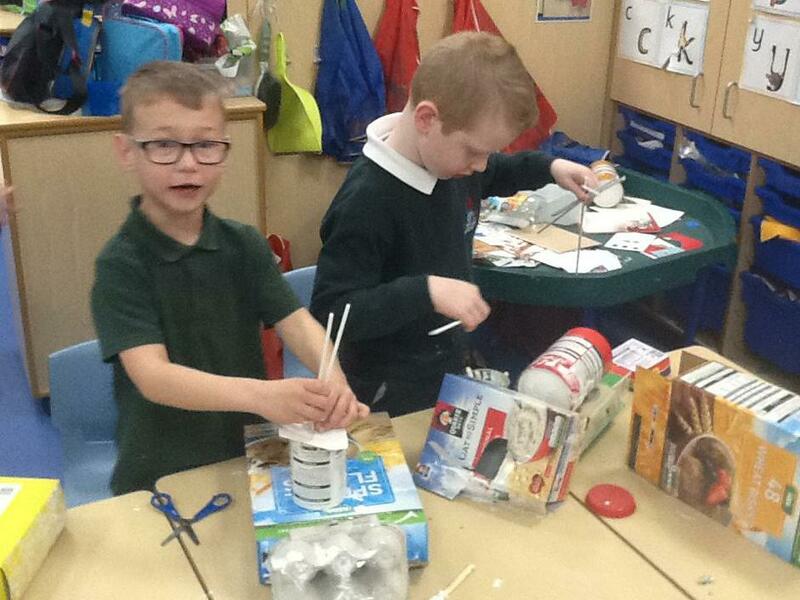 We have learned a little bit about George Stephenson and are now designing and making our own trains using junk. 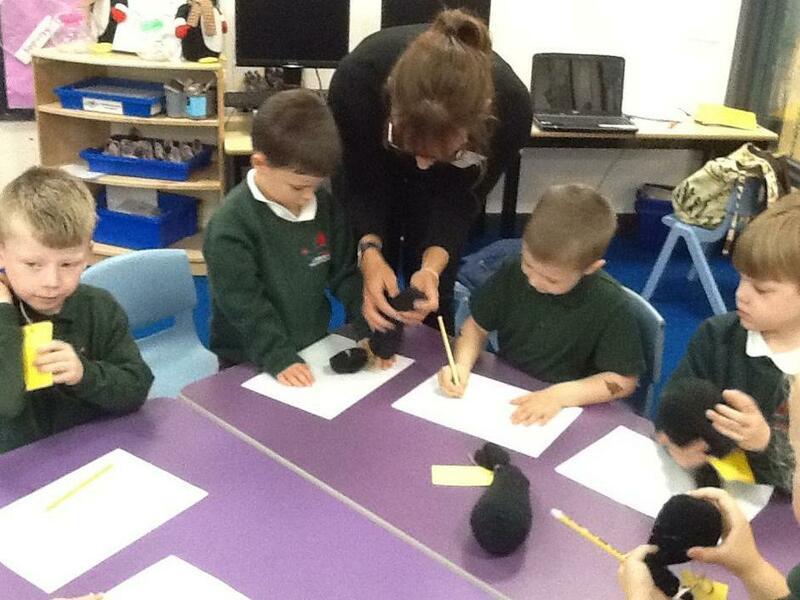 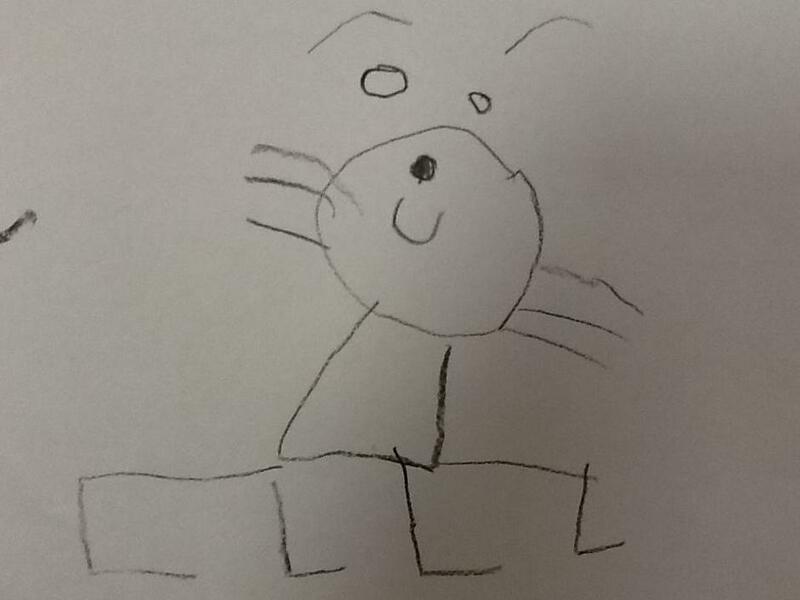 Class One have had a visitor today. 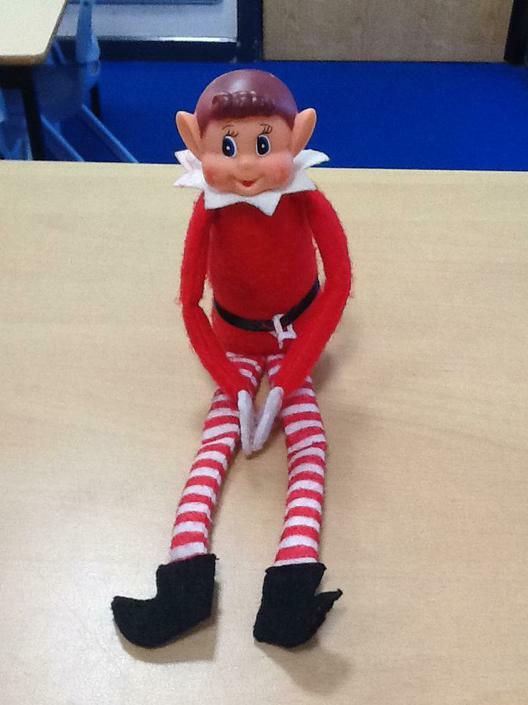 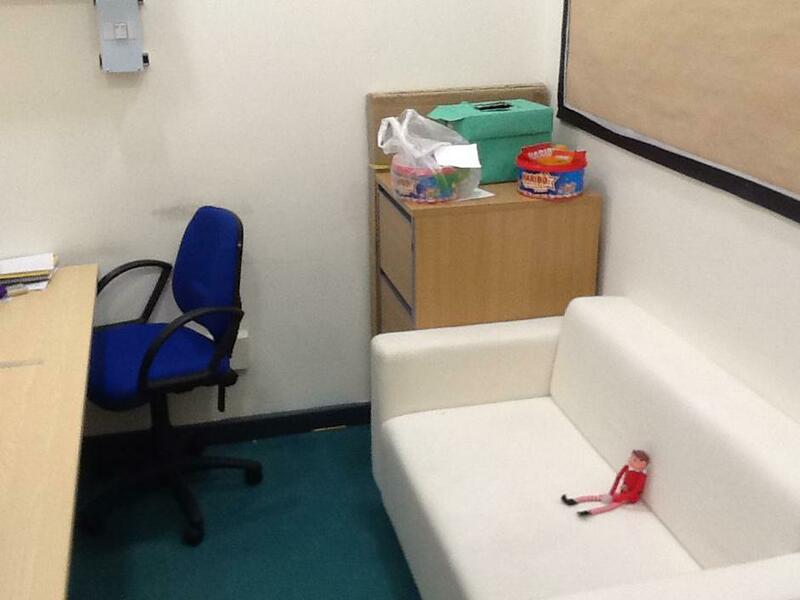 Unfortunately this elf wasn't very well behaved!! 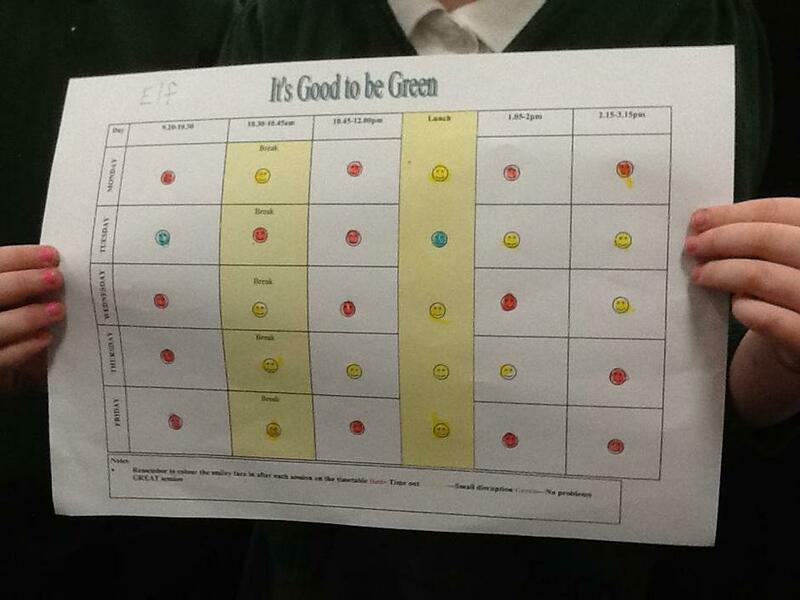 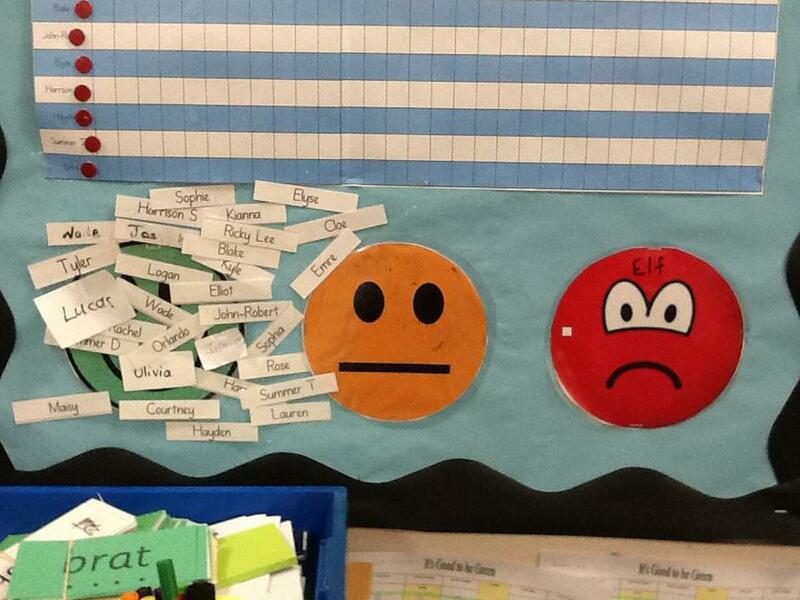 We had to send him to Mark's office for a bit of thinking time, and he was put on a behaviour, Good to be Green, chart. 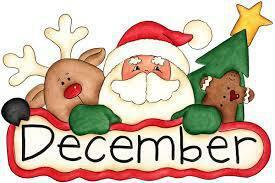 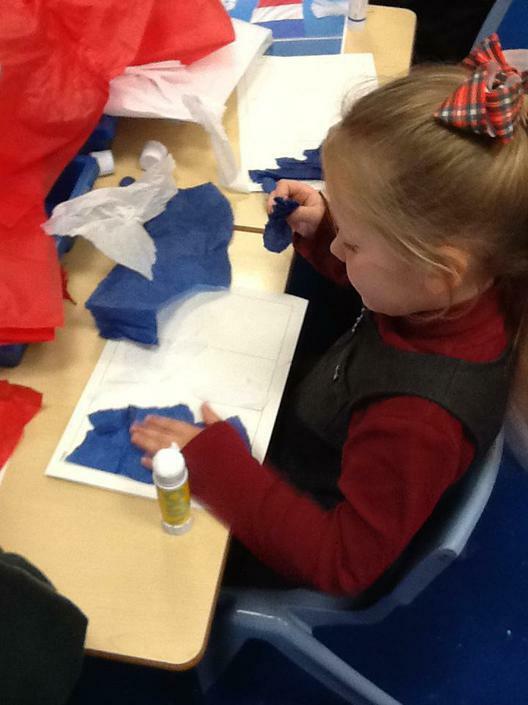 Christmas has arrived in Year One!! 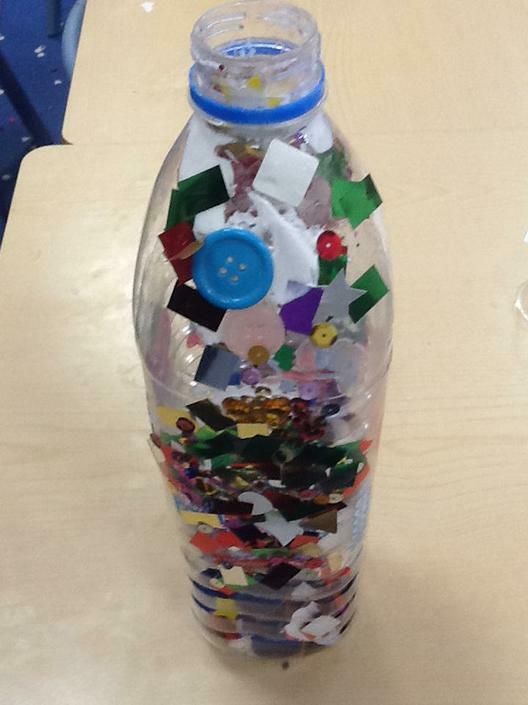 We made some fantastic decorations for our tree. 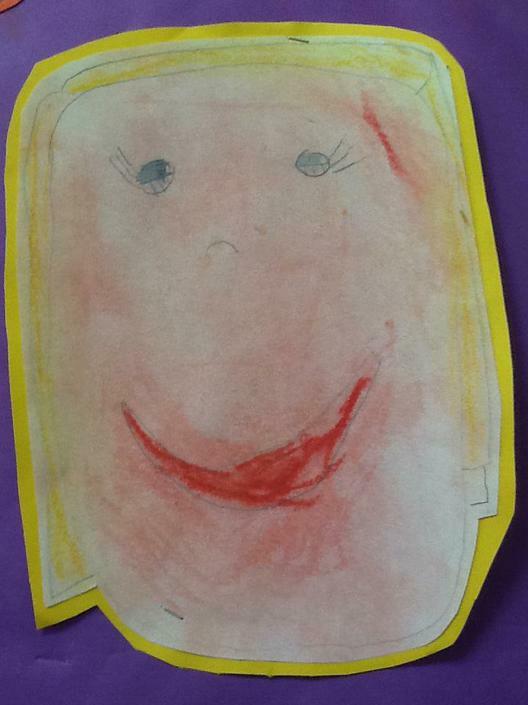 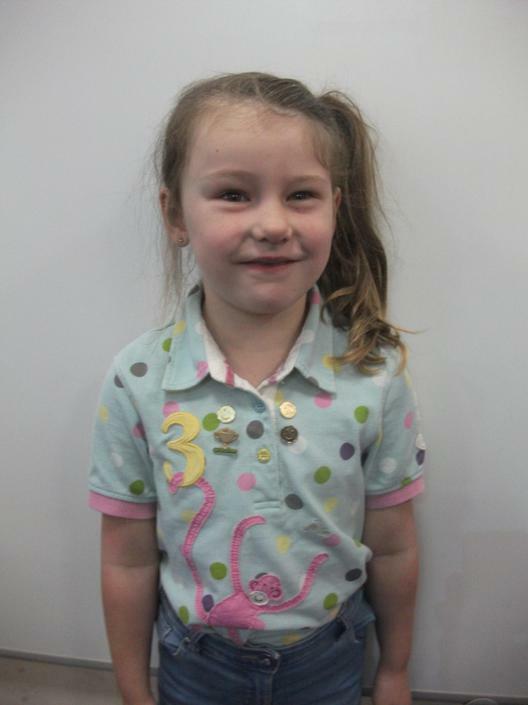 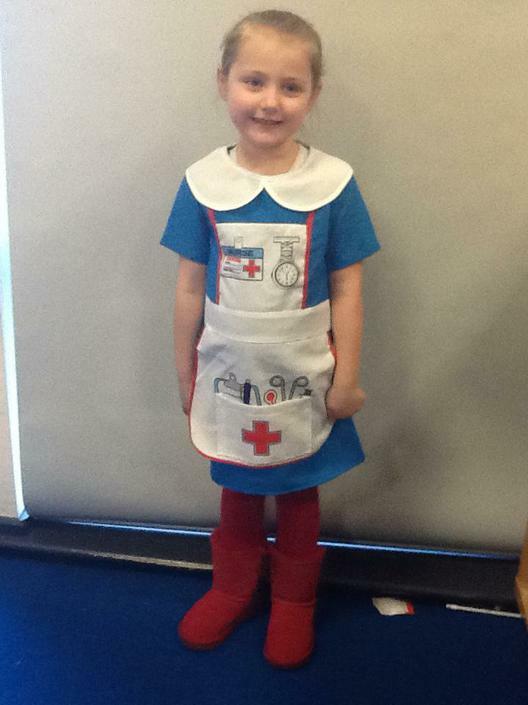 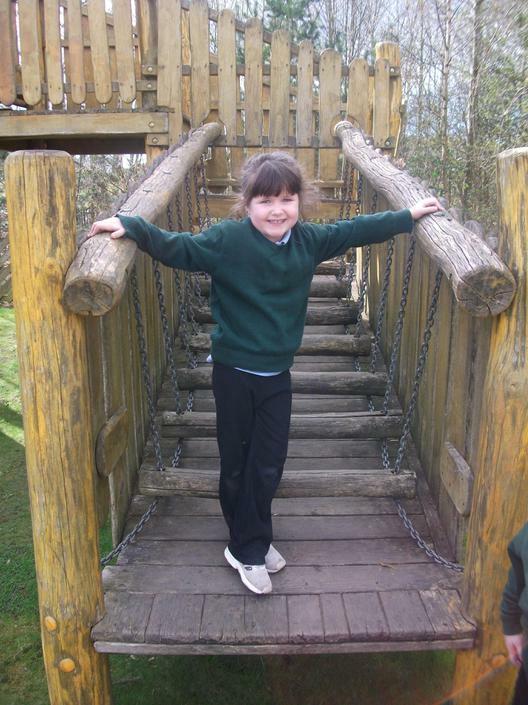 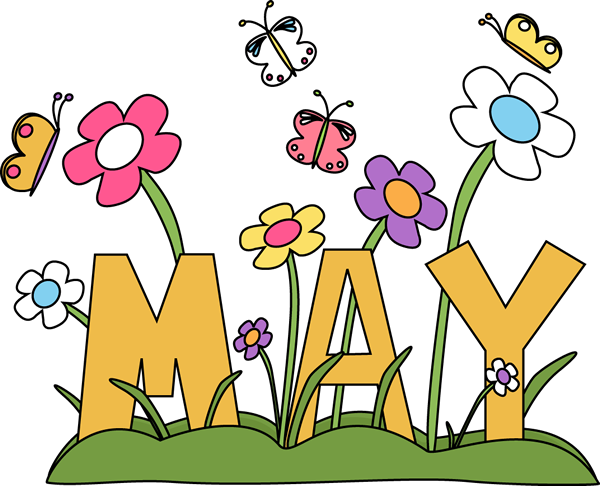 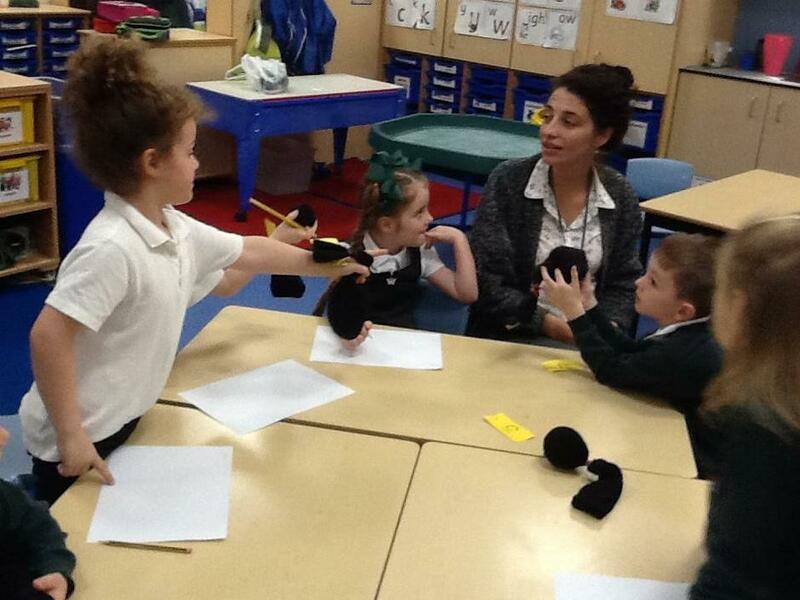 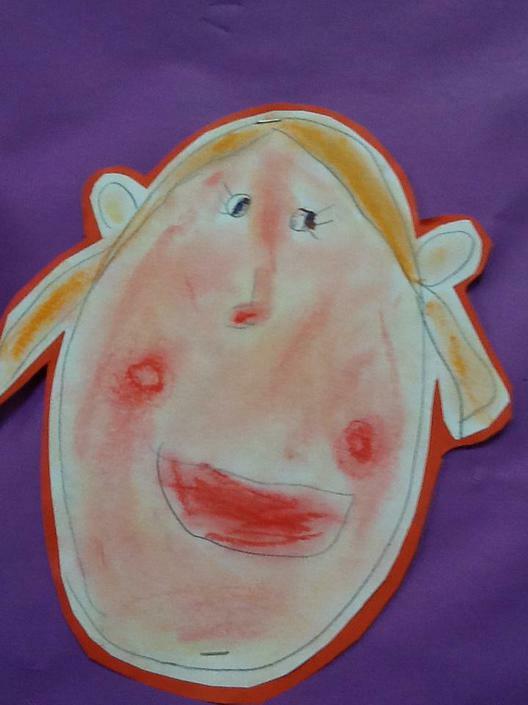 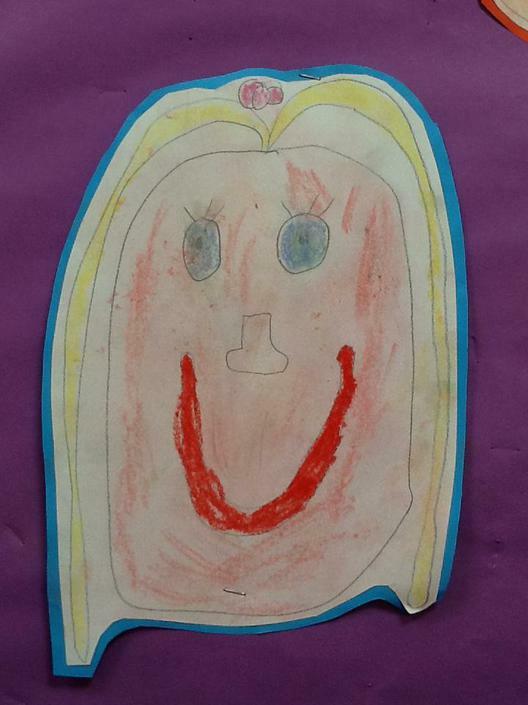 In Year One today we were 'taken over' by a new teacher, teaching assistant, learning mentor and first aider!! 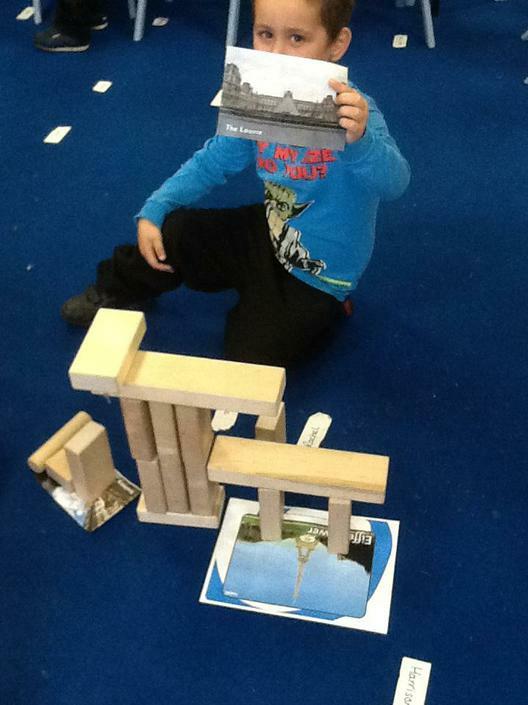 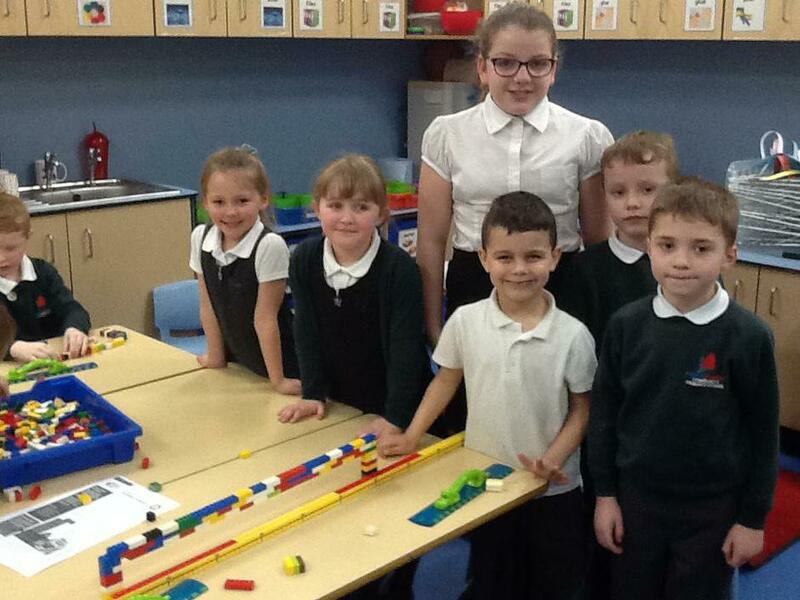 They did a fantastic job and we learned lots of new things. 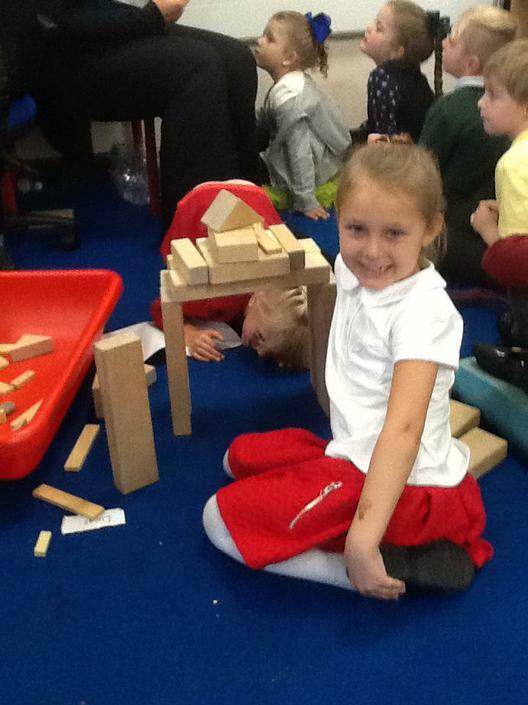 Rose has made a fantastic gingerbread house at home. 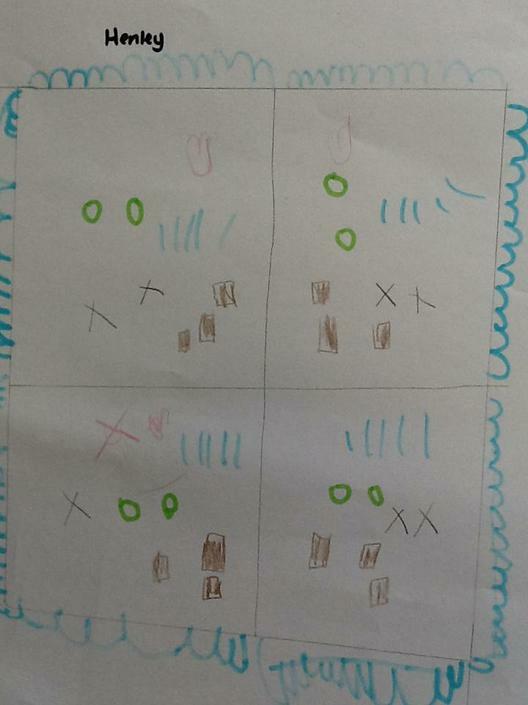 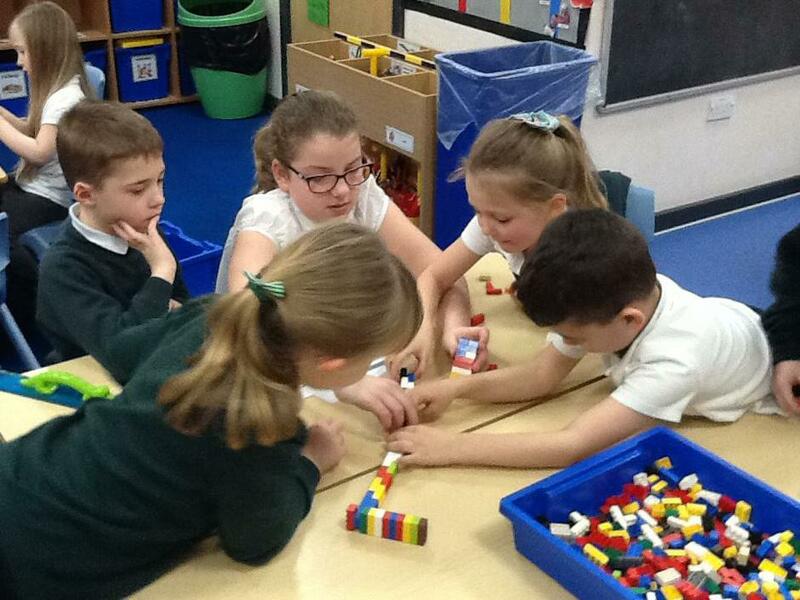 In Maths, we have been exploring pairs of numbers which have the same total. 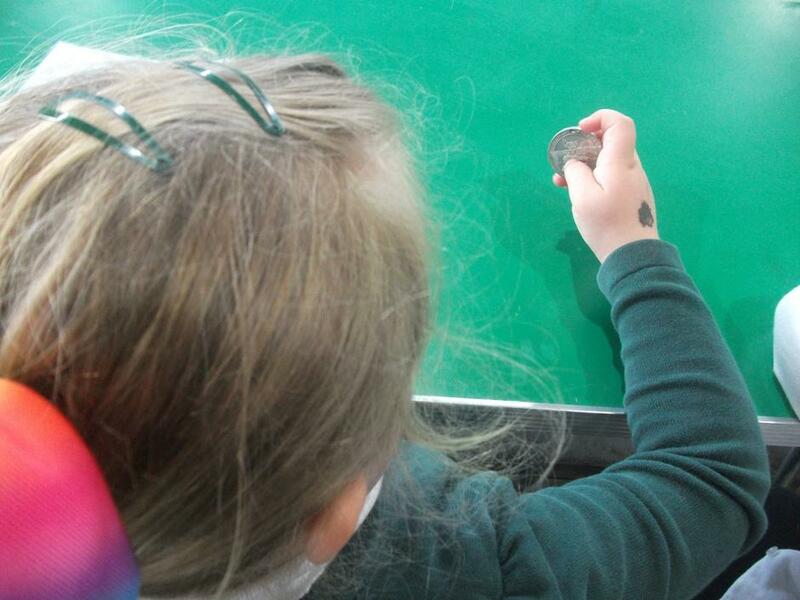 By learning the number bonds which make 10 off by heart, we can do more challenging calculations quickly as we get older. 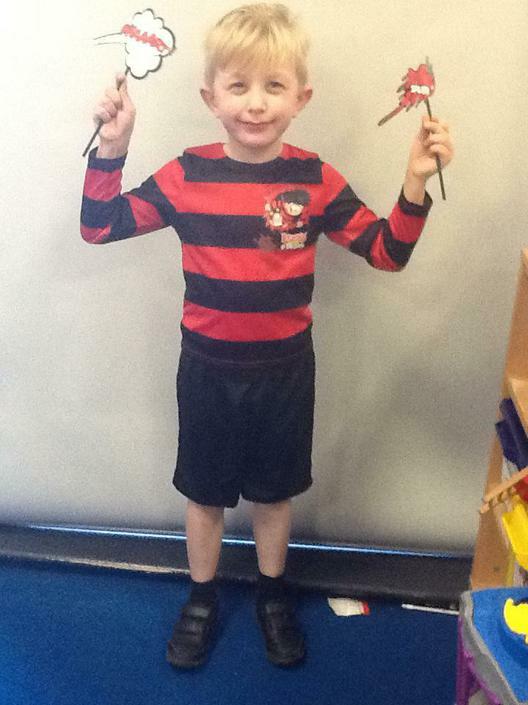 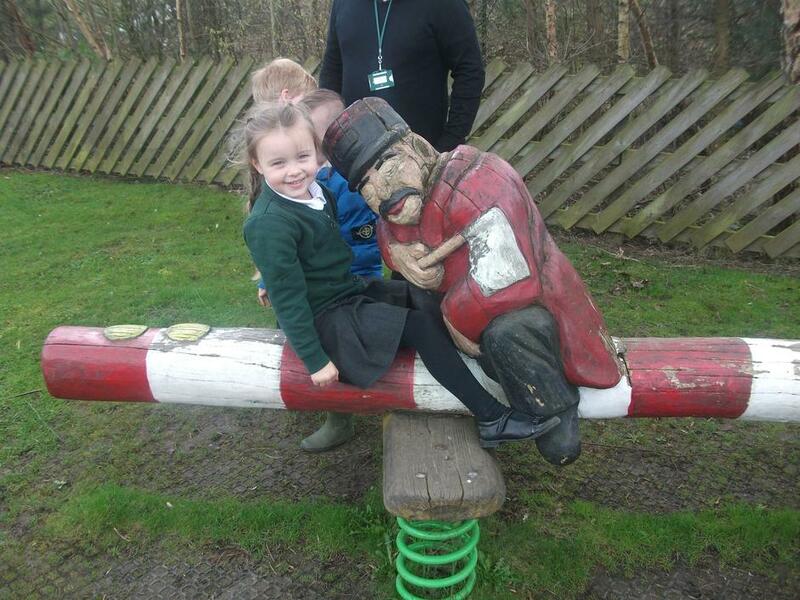 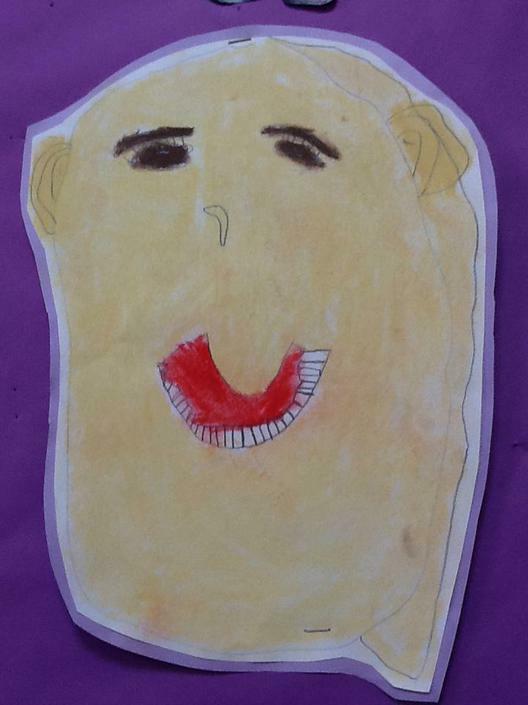 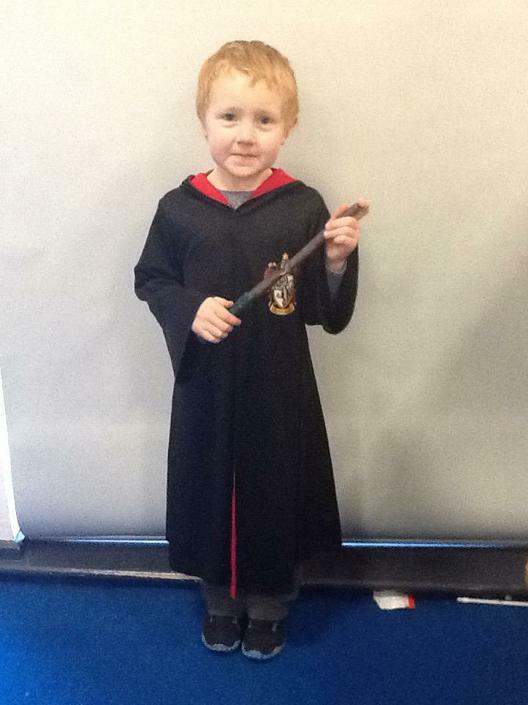 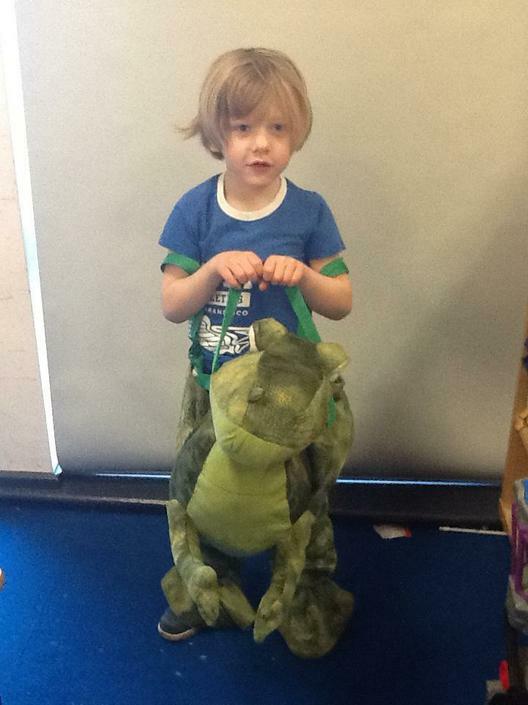 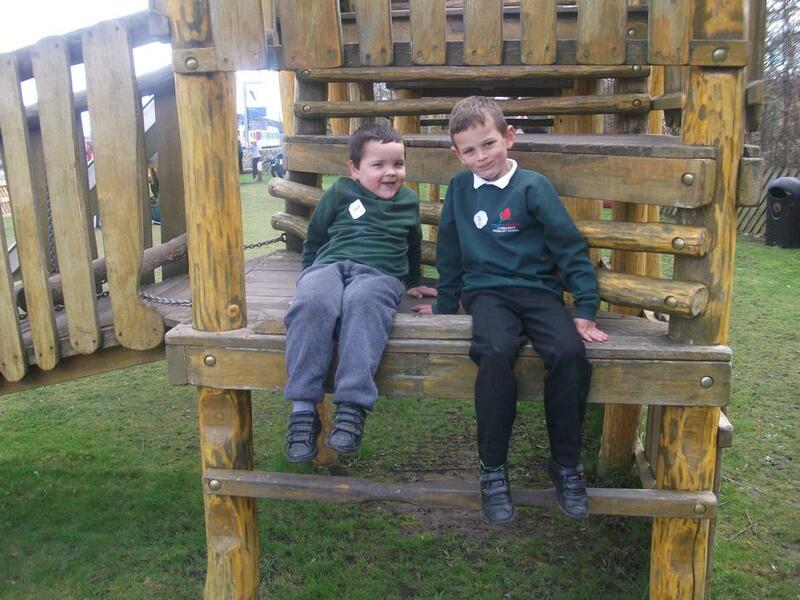 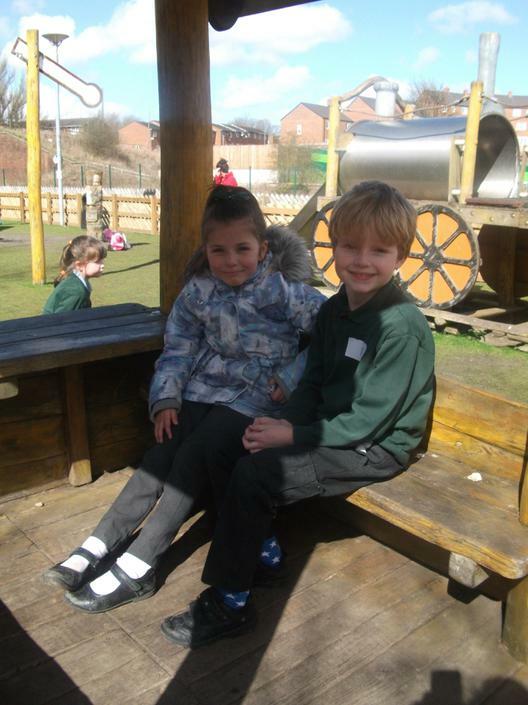 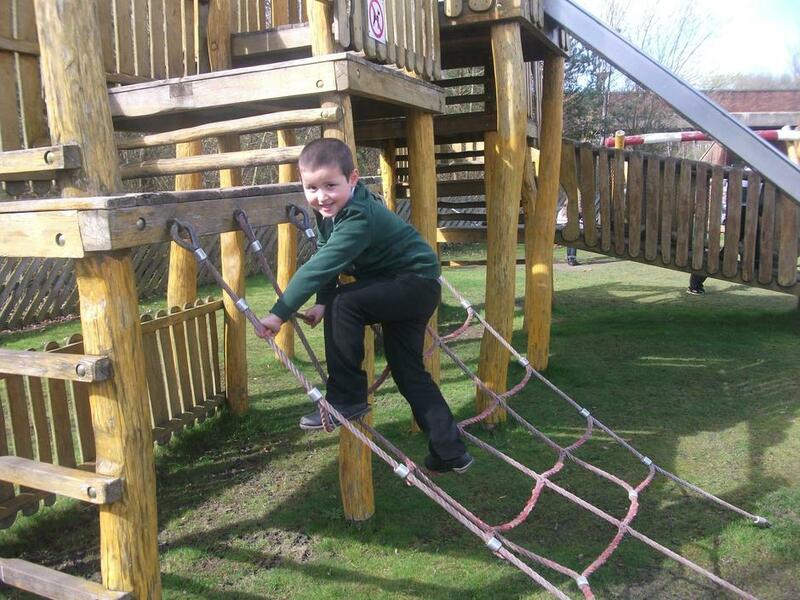 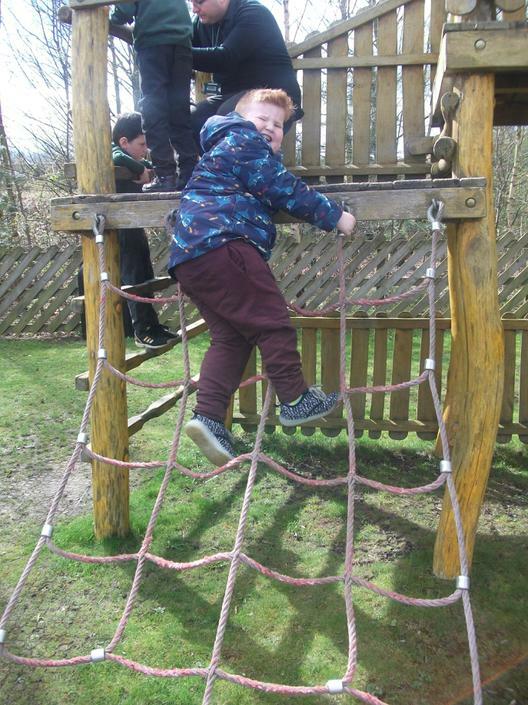 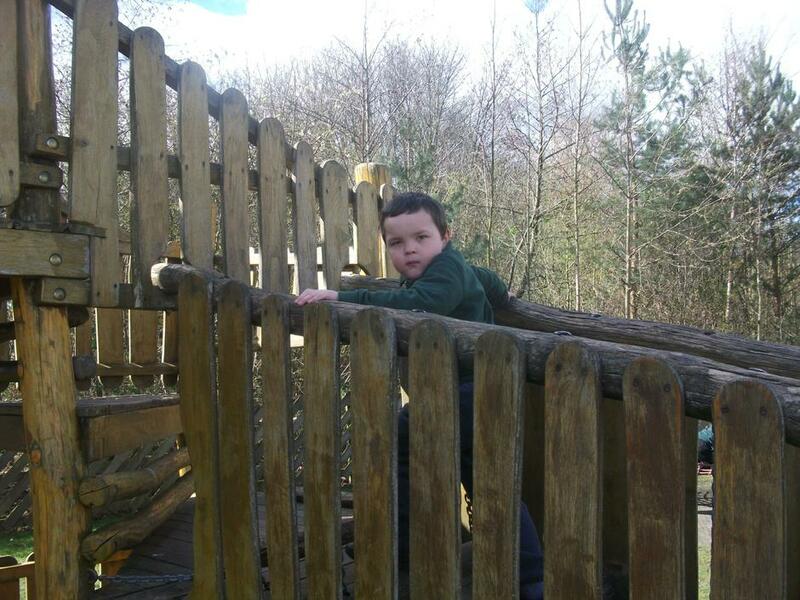 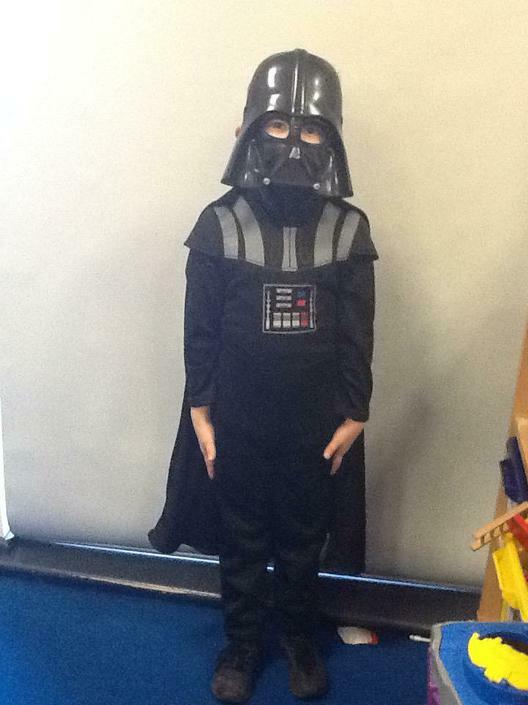 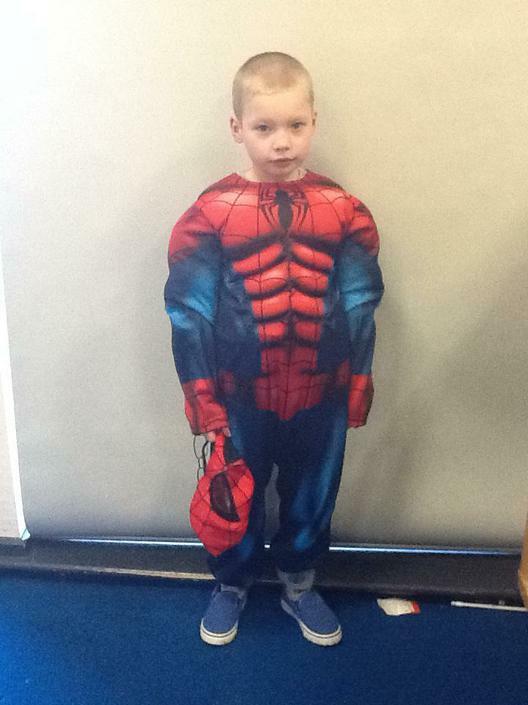 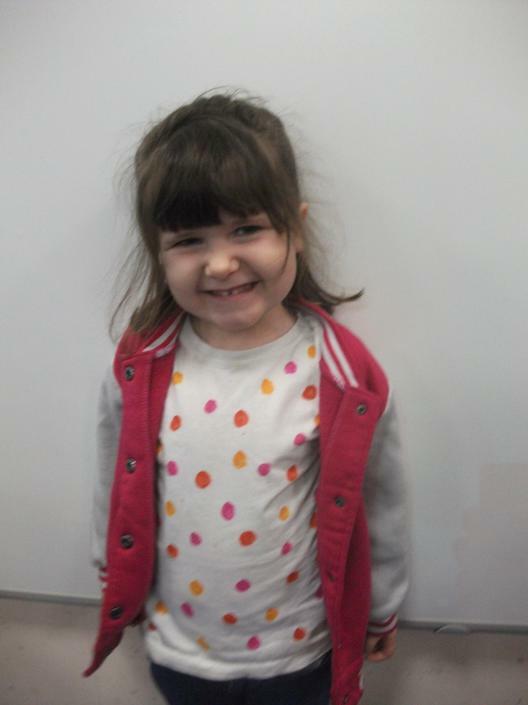 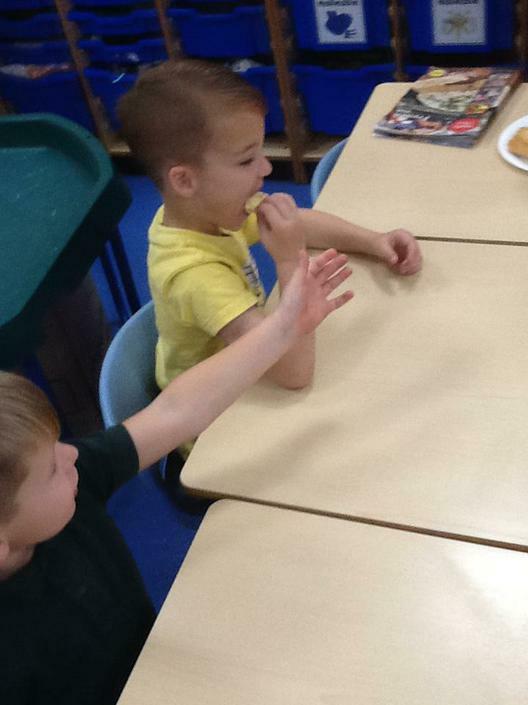 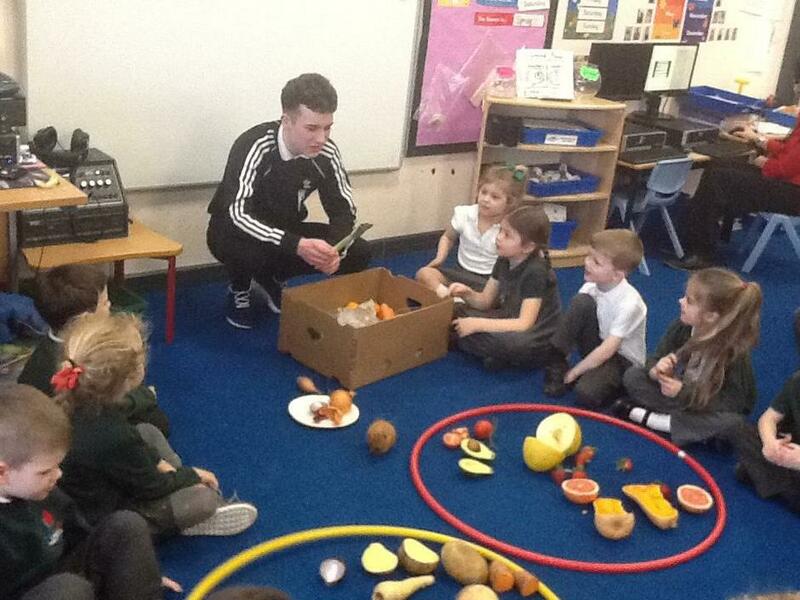 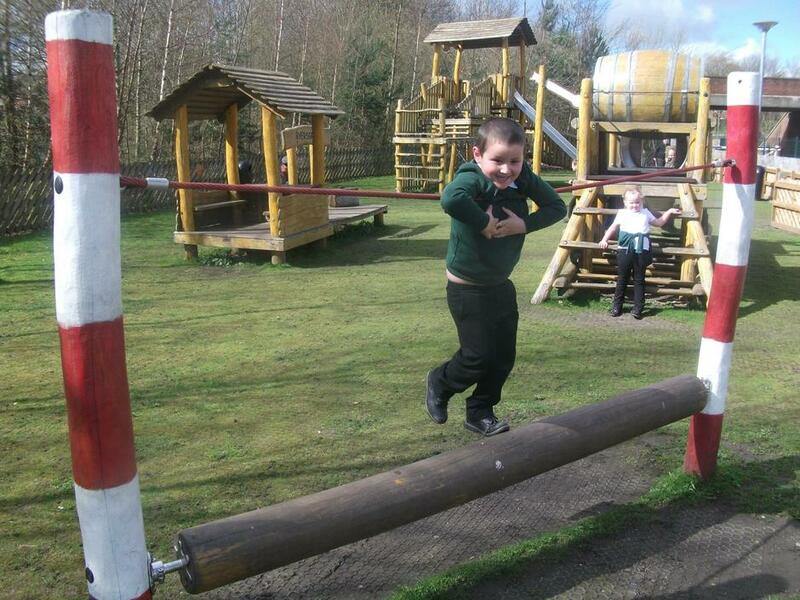 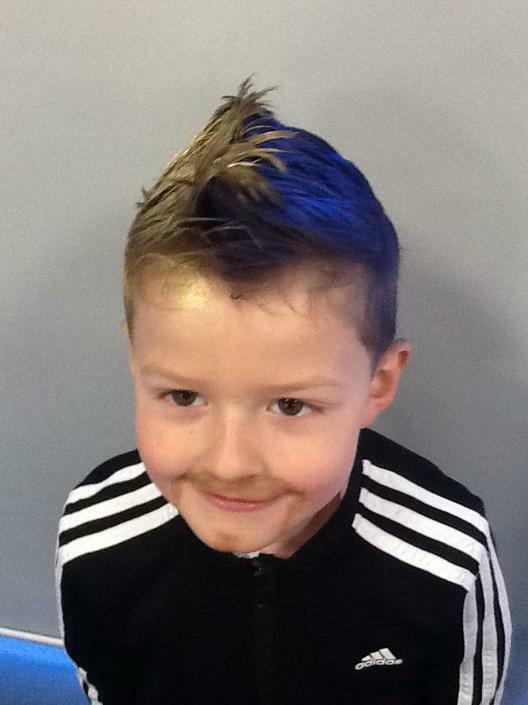 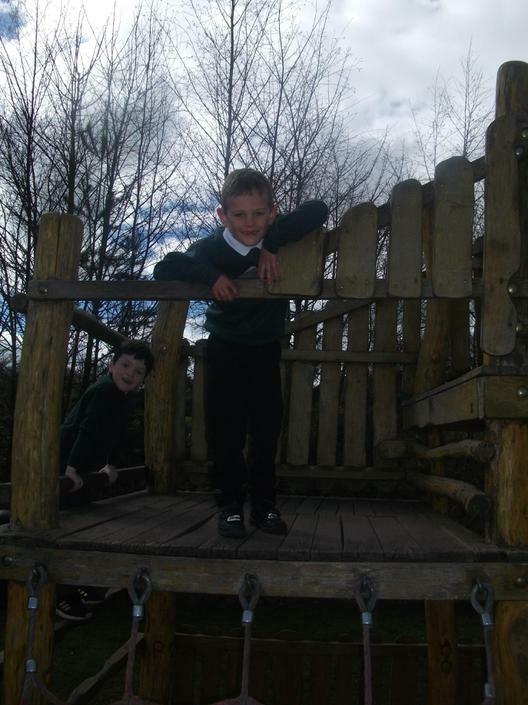 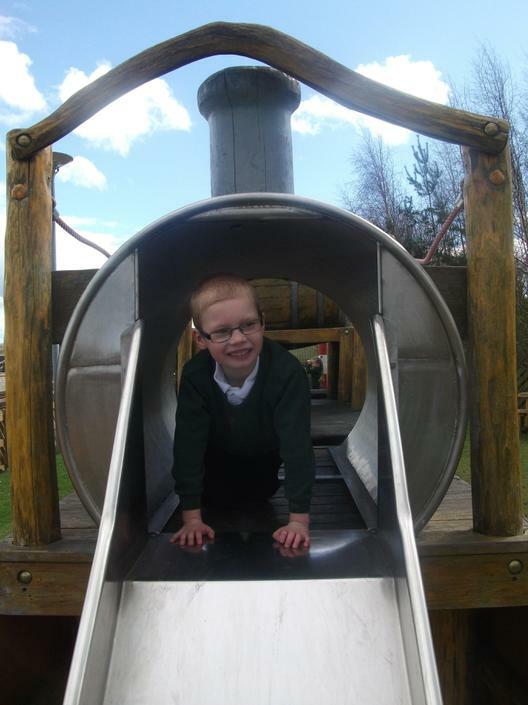 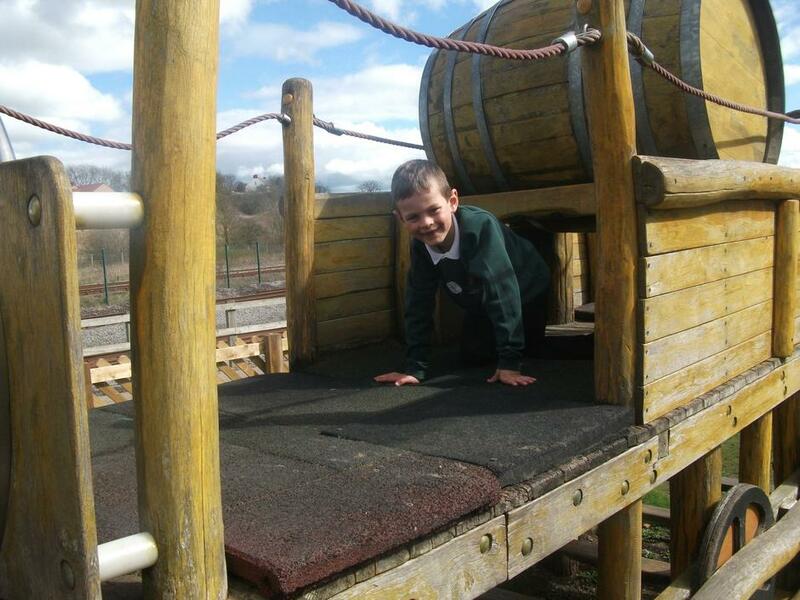 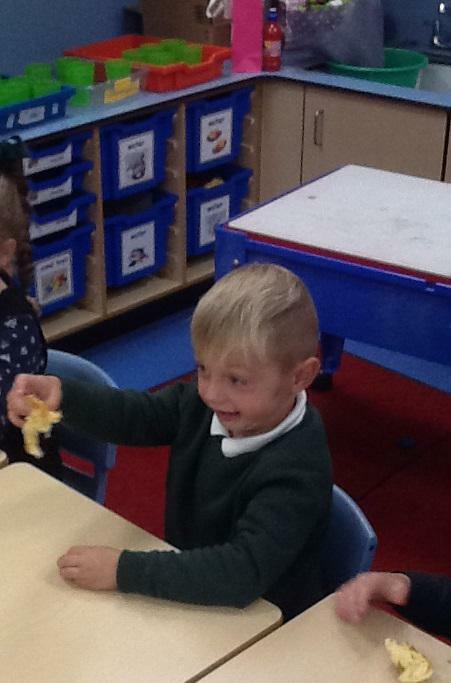 Harry has really impressed everyone in Year One with his excellent attitude and enthusiasm towards learning. 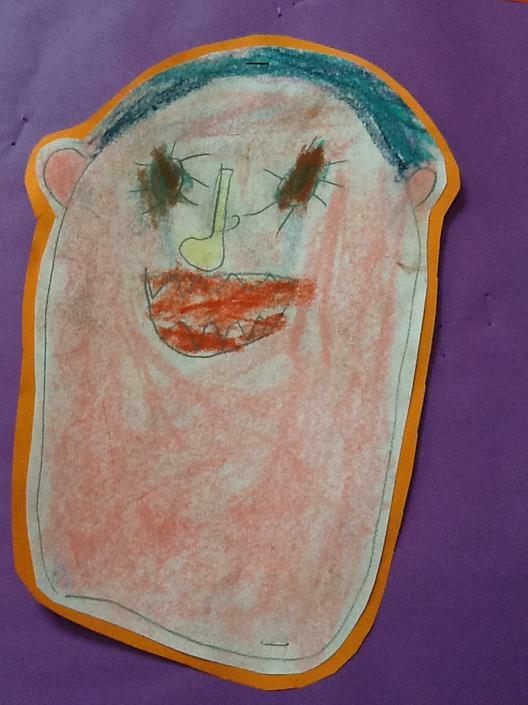 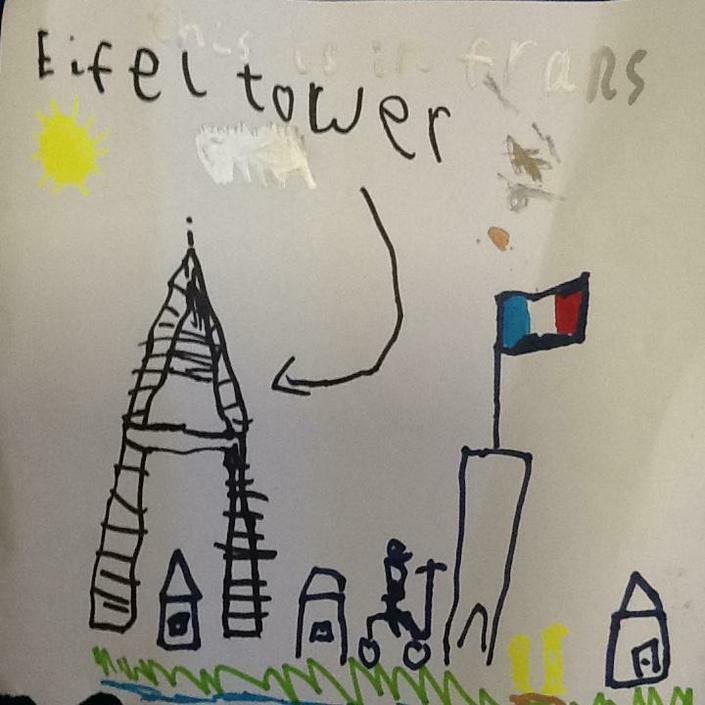 Not only has he completed his weekly class homework tasks, he has also chosen to make this fabulous picture, linked to our learning about France. 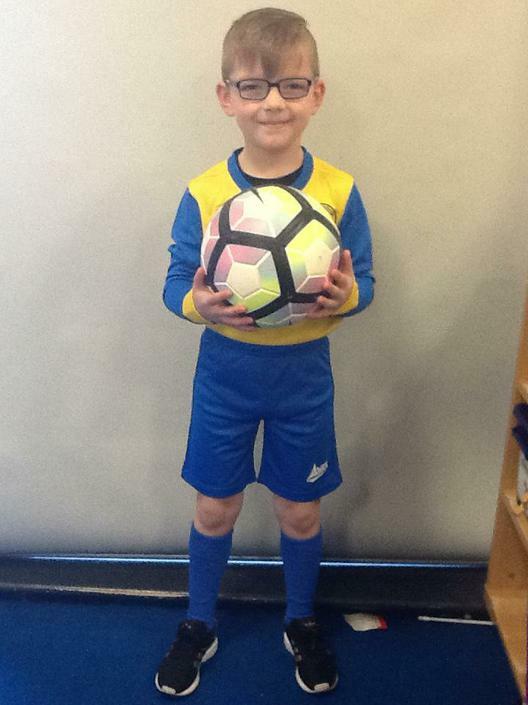 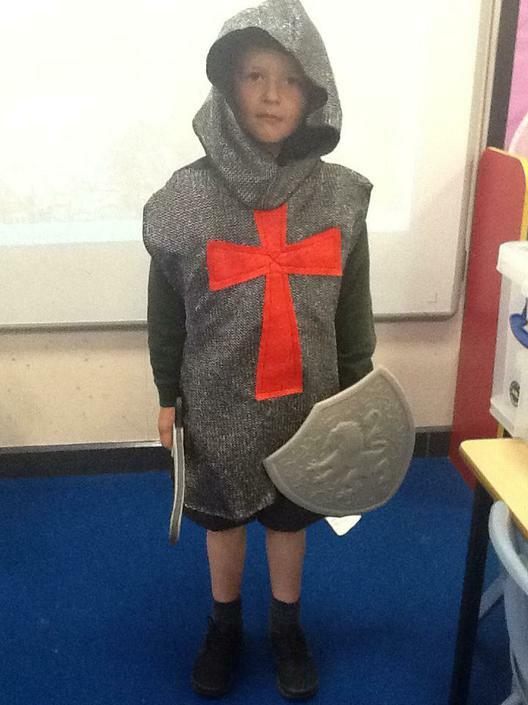 What a homework hero! 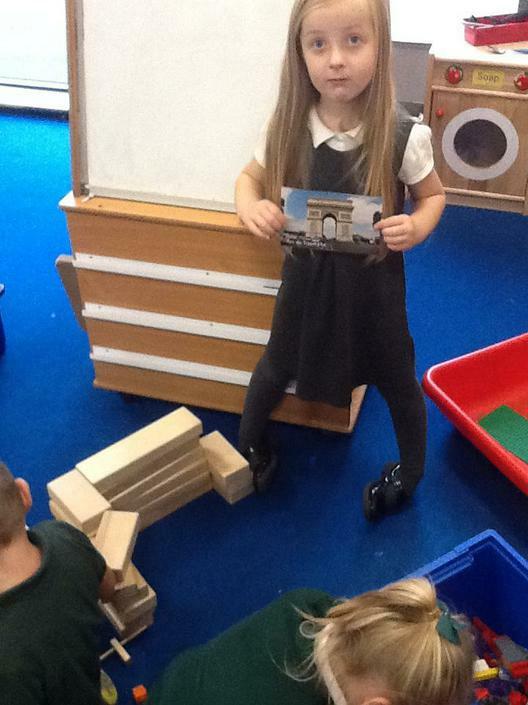 Inspired by Harry, Jasmine now joins him in the Homework Hall of Fame with her fabulous picture of Paris. 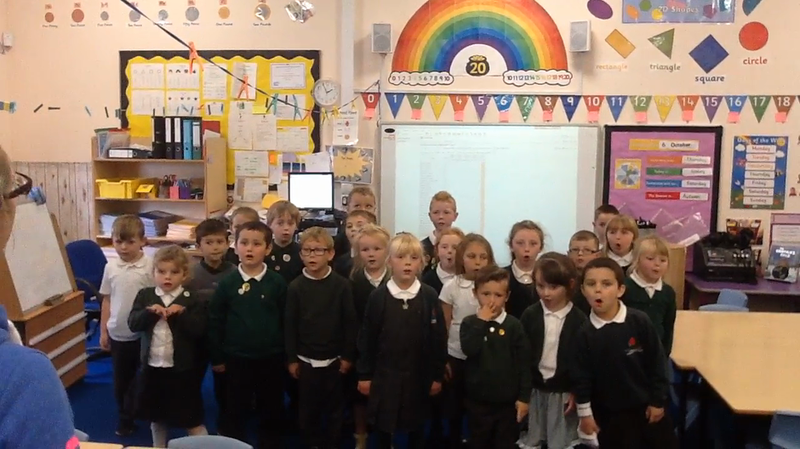 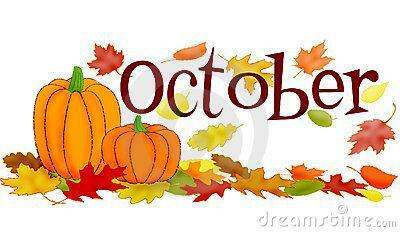 Following our interest in The European Day of Languages and our enthusiasm towards singing, we have combined the two! 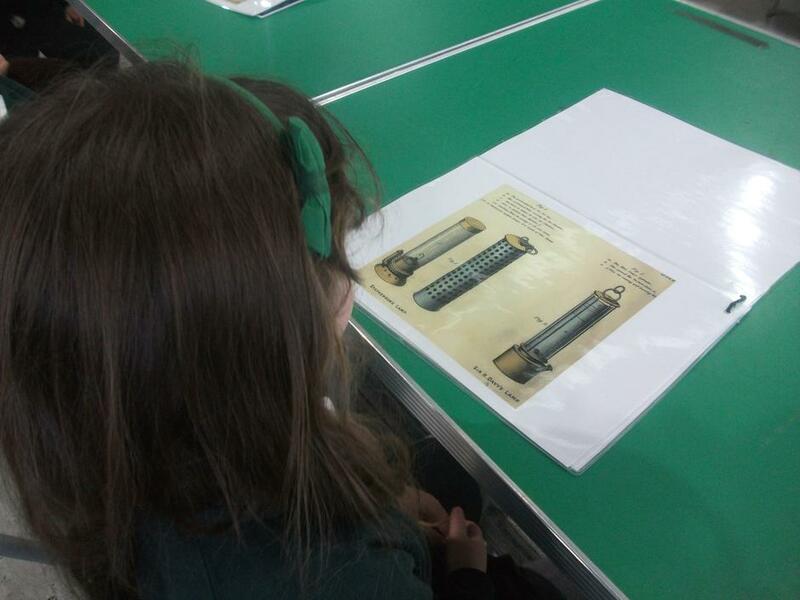 We practised singing Frère Jacques as a group and then we learnt how to sing it in rounds. 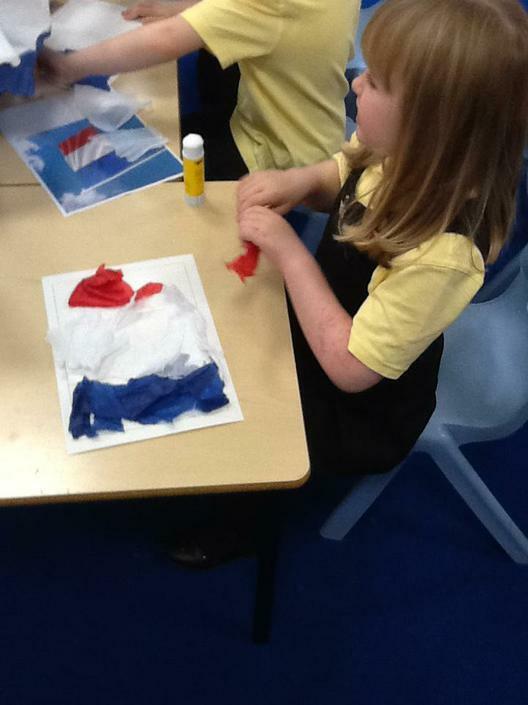 In order to celebrate the European Day of Languages at Prince Bishops, we threw ourselves into learning all about other countries. 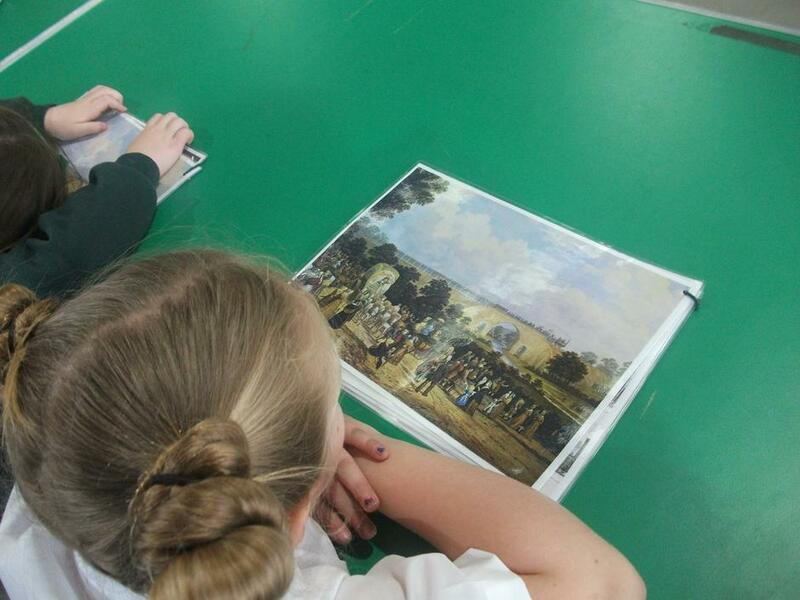 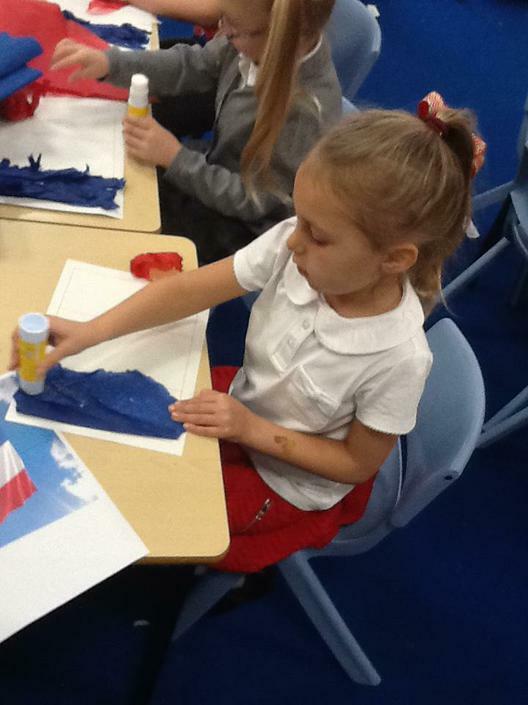 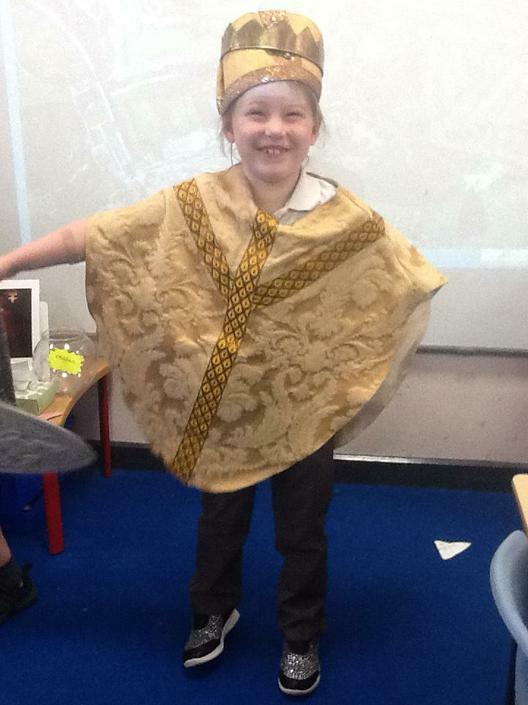 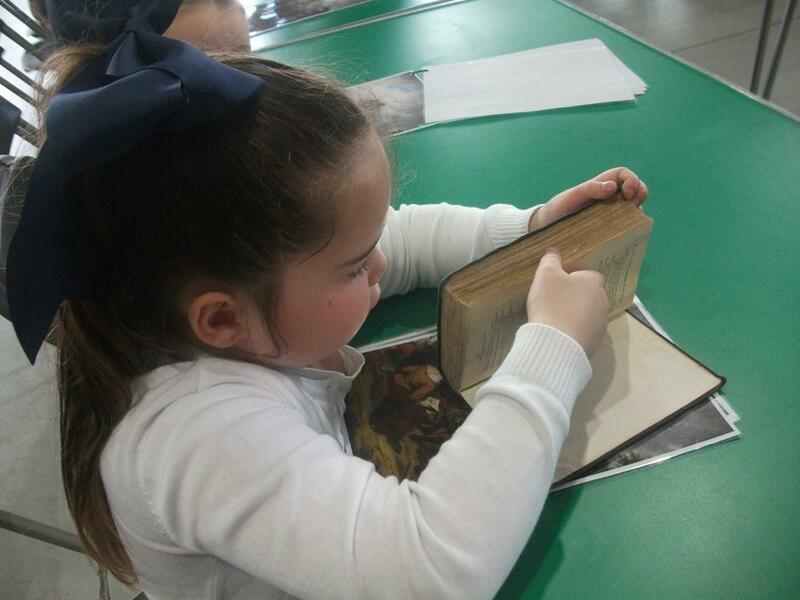 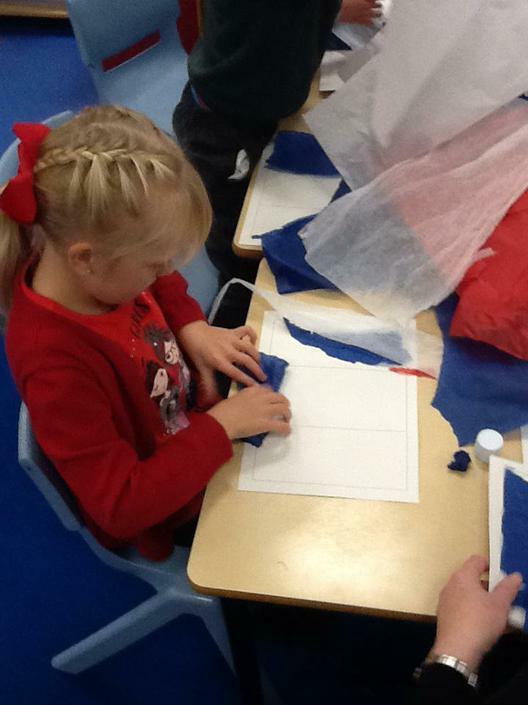 In Year One, we chose to learn more about France. 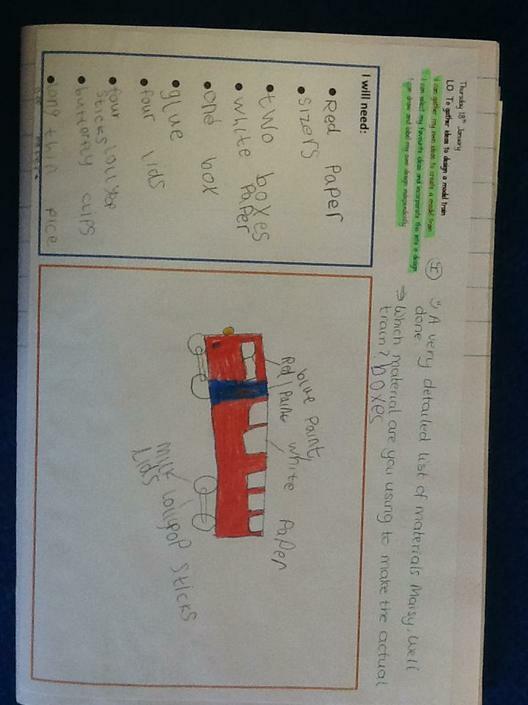 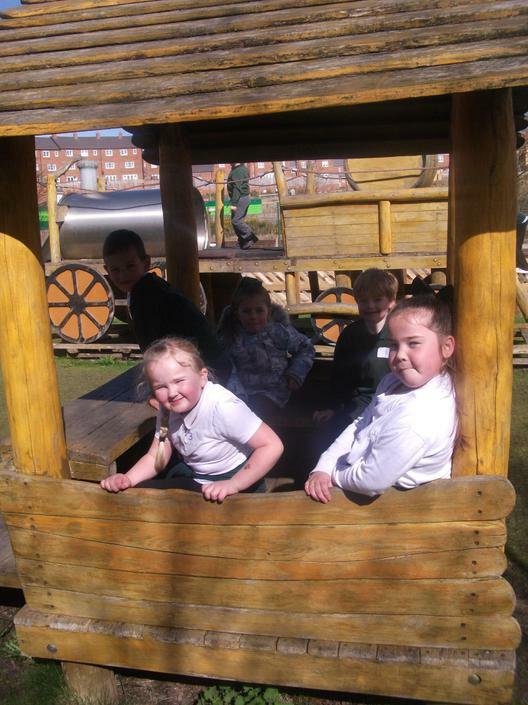 We explored its location using Google Earth and decided on the best forms of transport to get us there. 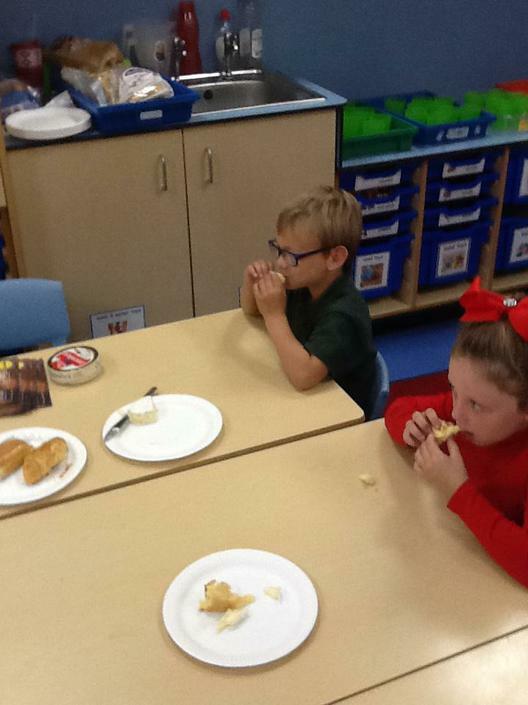 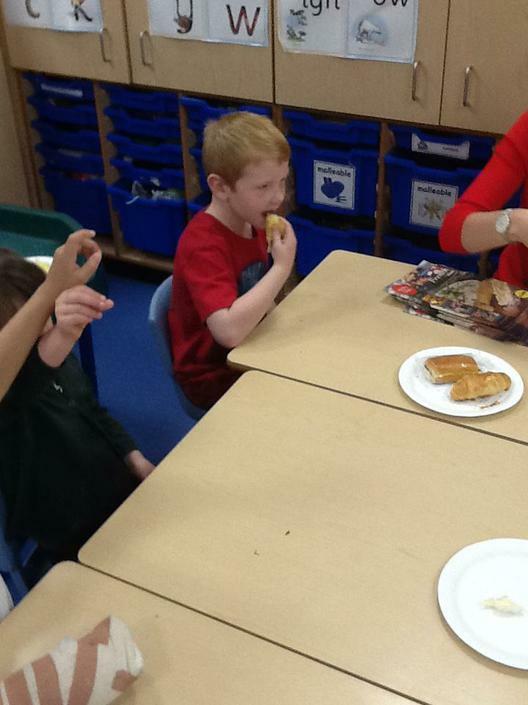 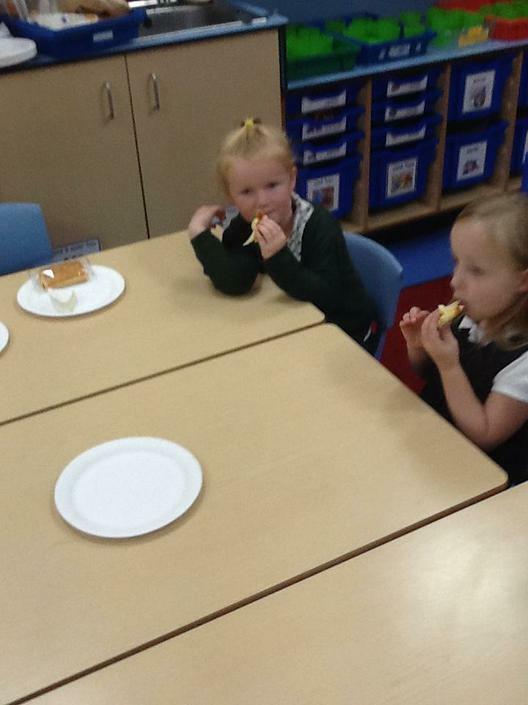 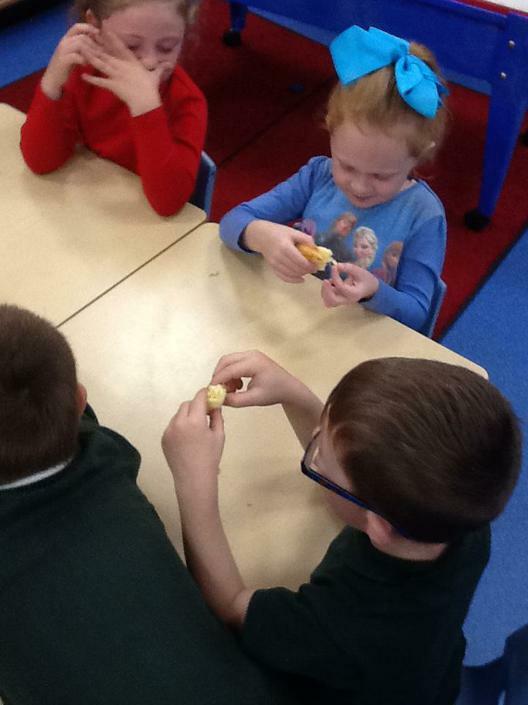 We tasted lots of French food - even some strong smelling French cheese! 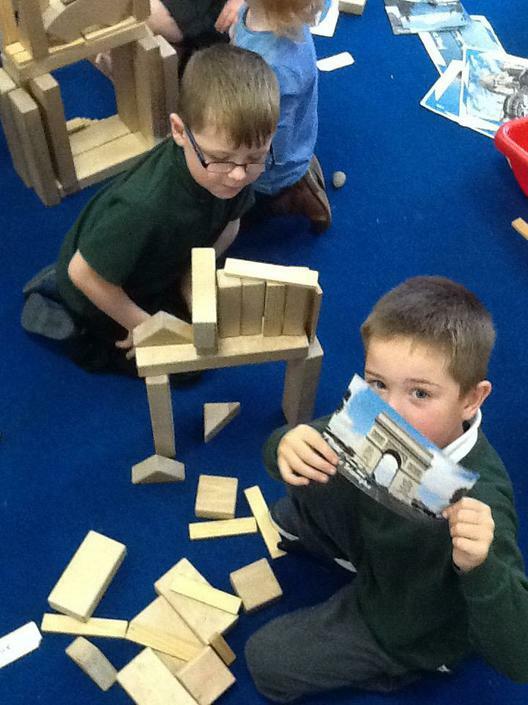 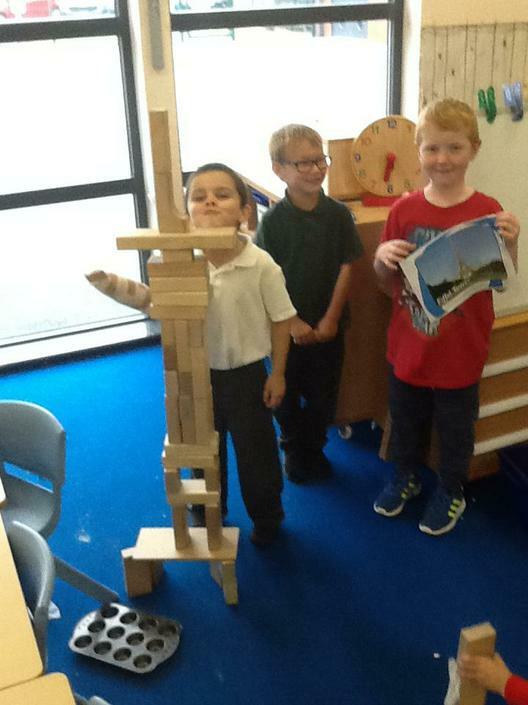 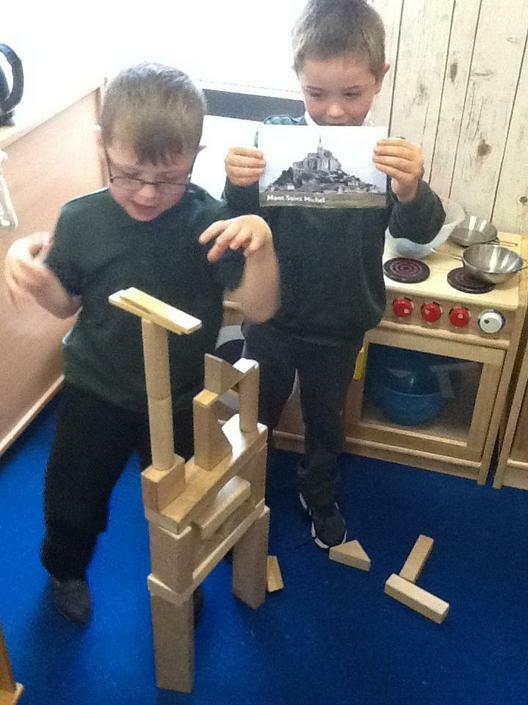 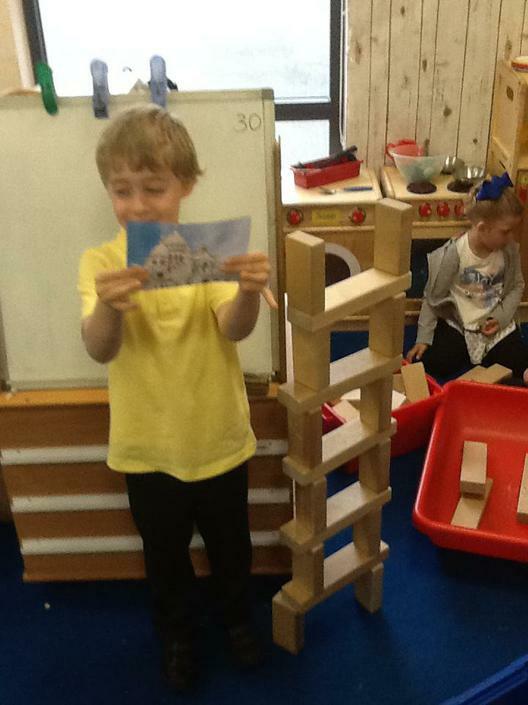 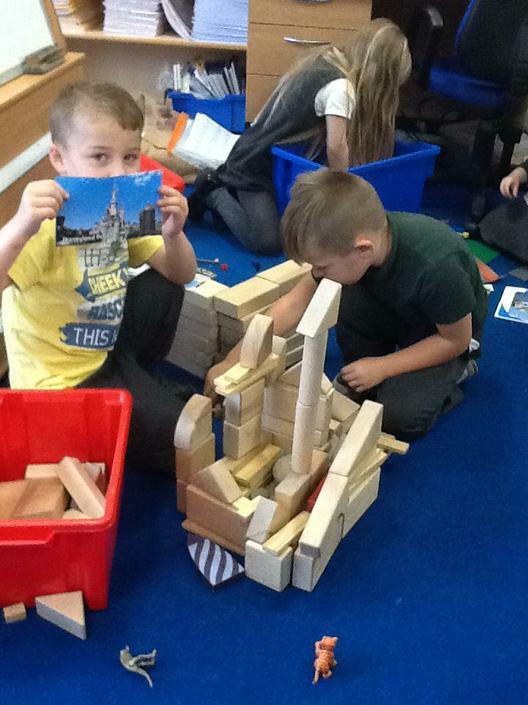 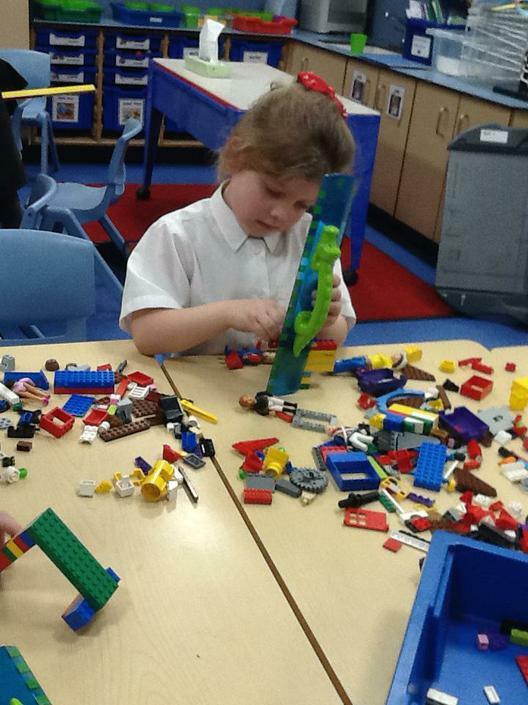 We made our own French flags and we looked at photographs of famous French landmarks so we could recreate them using building blocks. 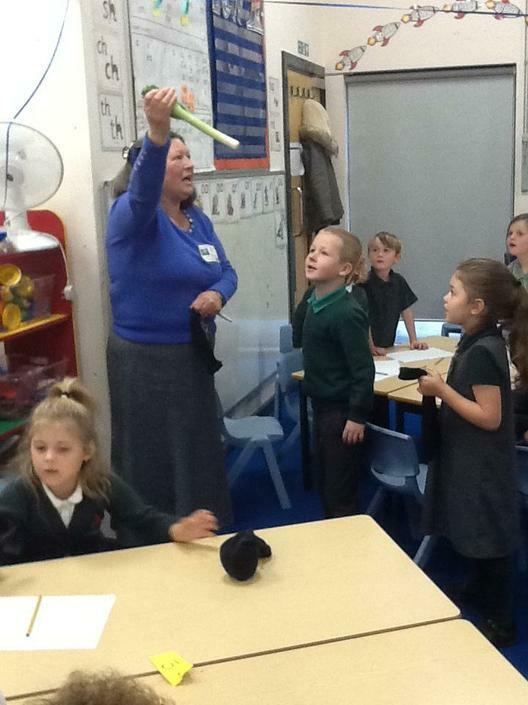 We also learnt how to sing Frère Jacques, completely in French! 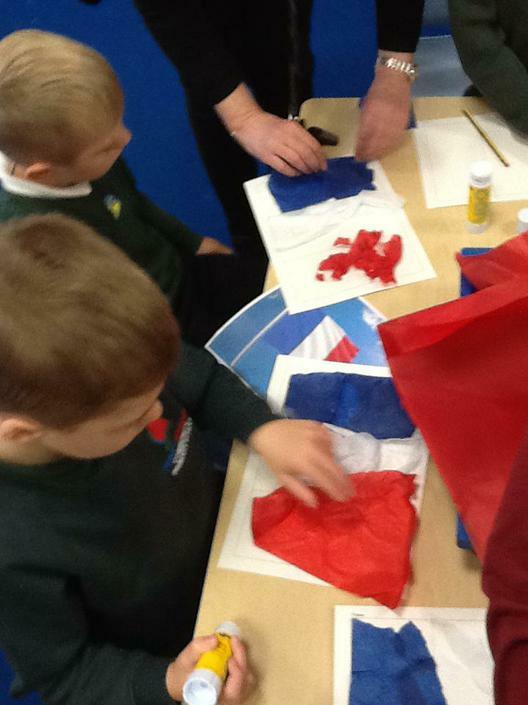 In fact, we enjoyed it so much that we also learnt some French greetings so that we can do our morning register in French. 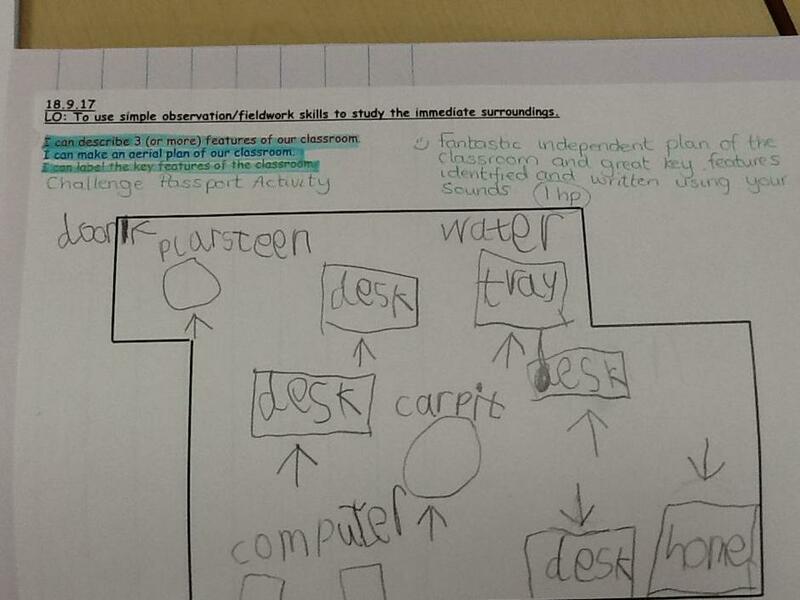 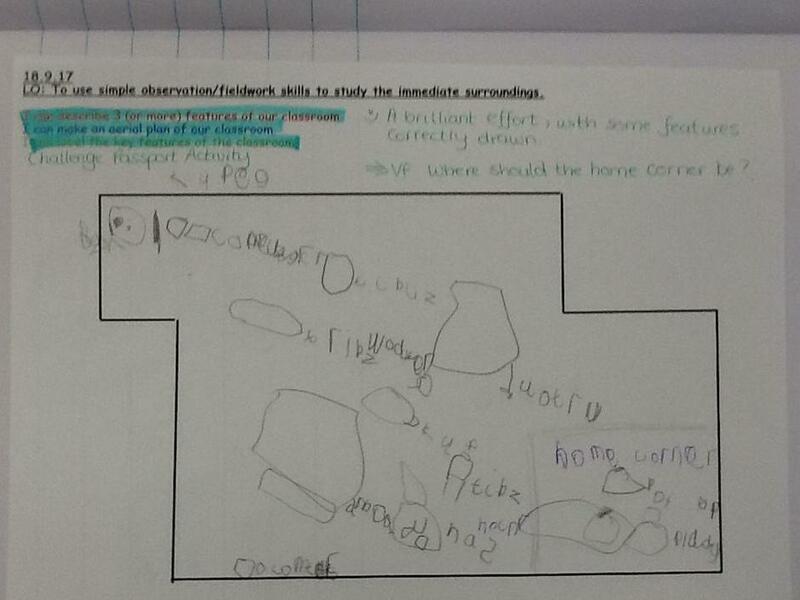 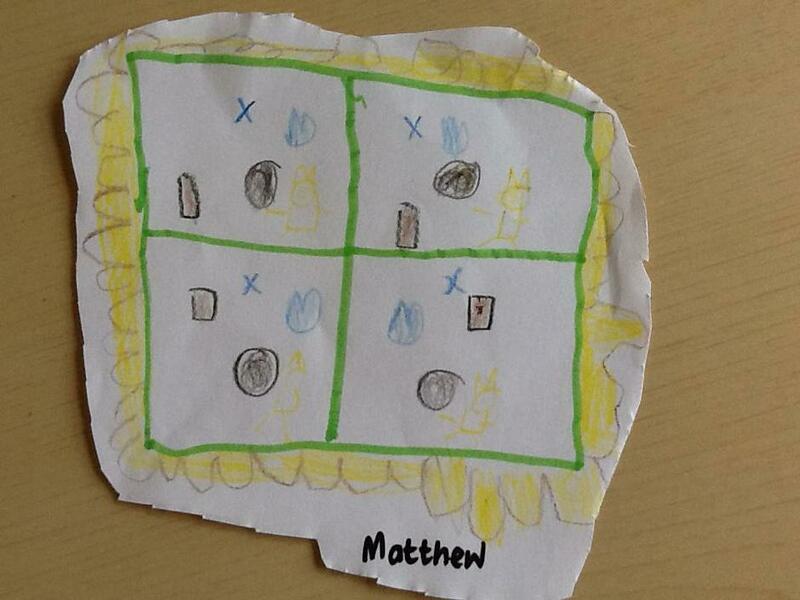 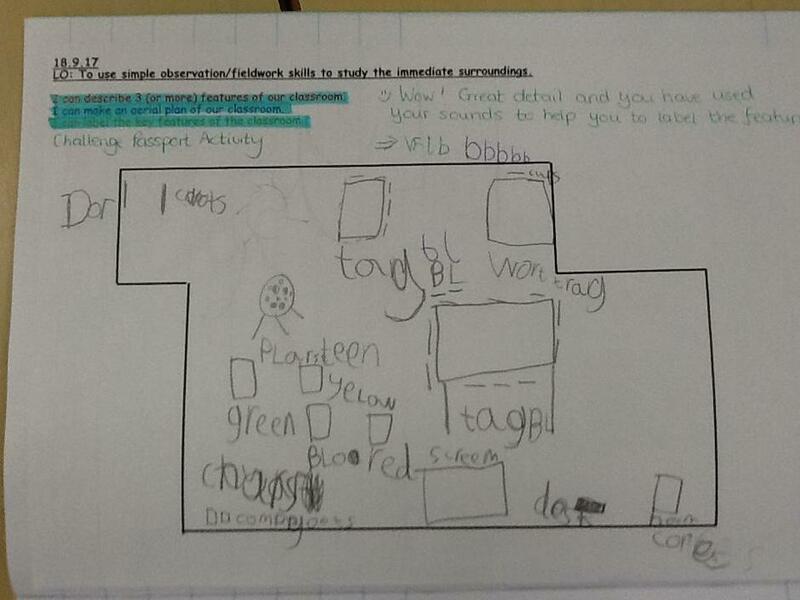 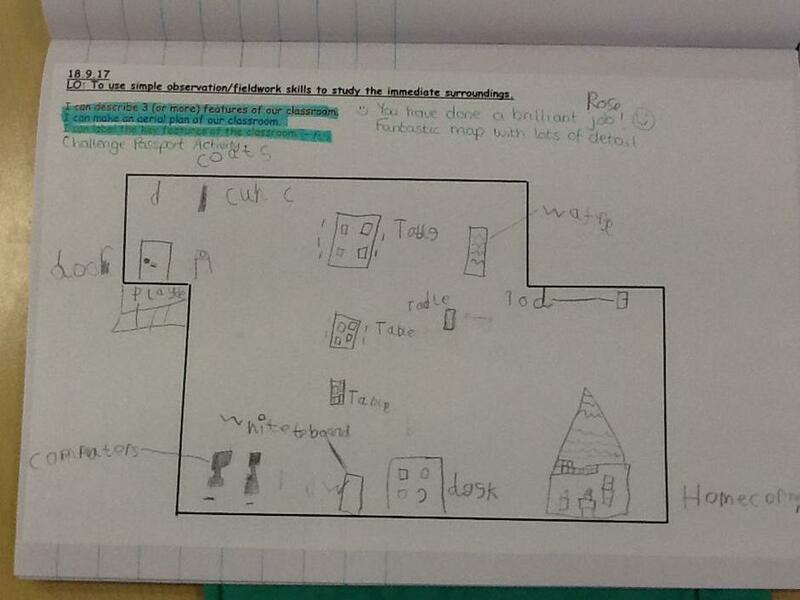 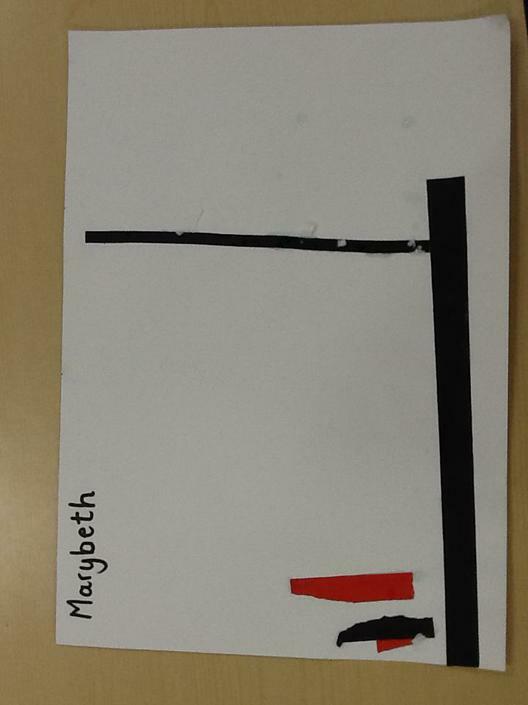 We have been making maps of our classroom. 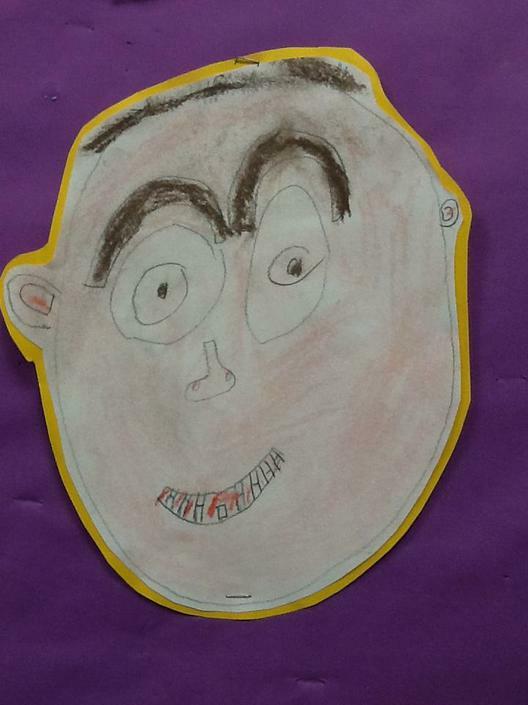 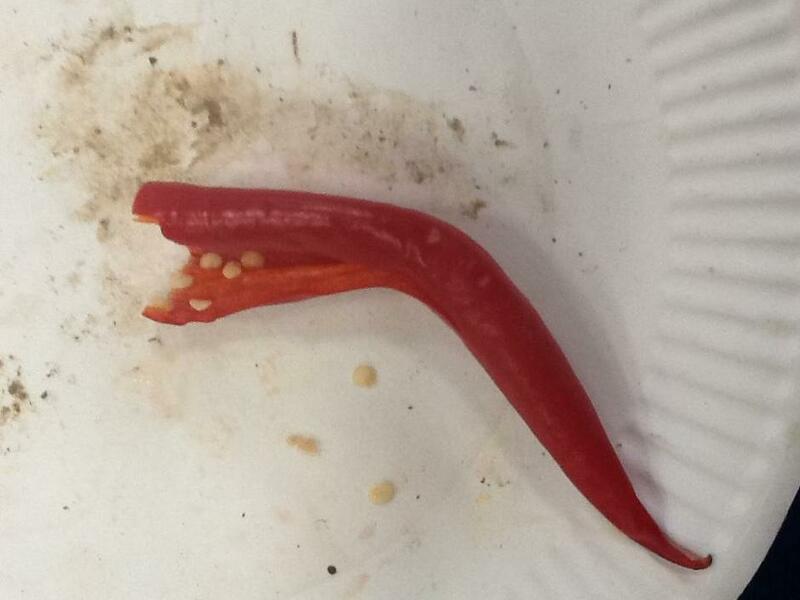 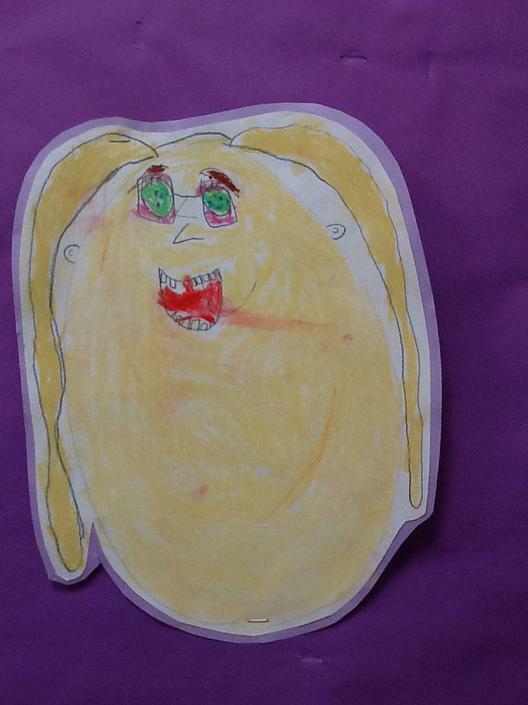 Meet Billy O, our new new class pet! 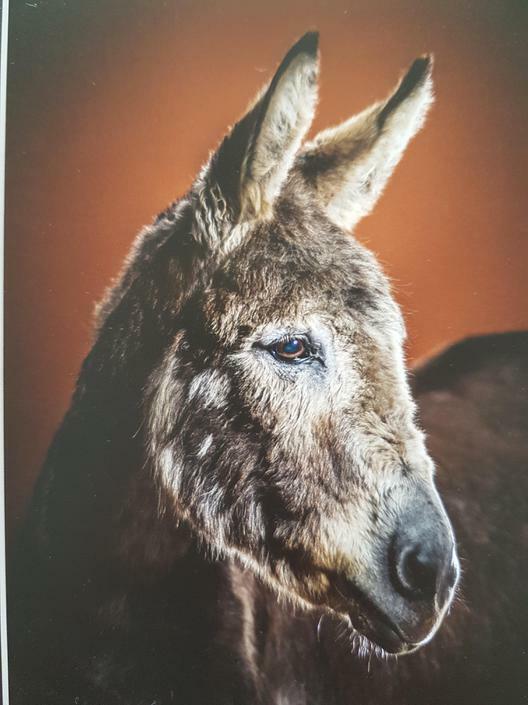 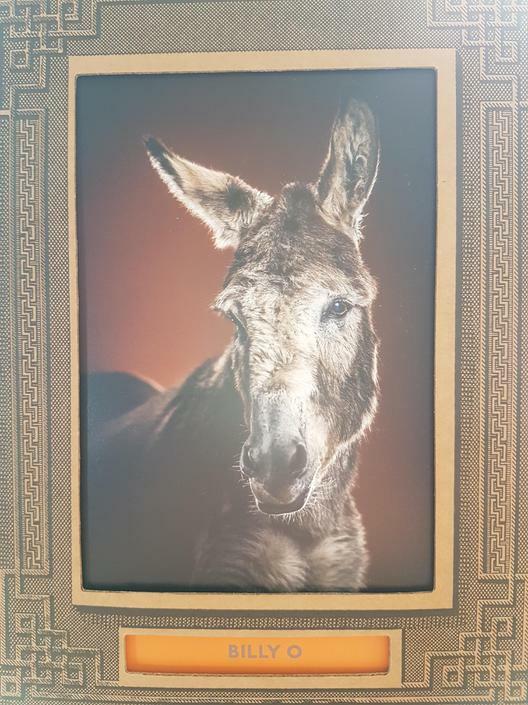 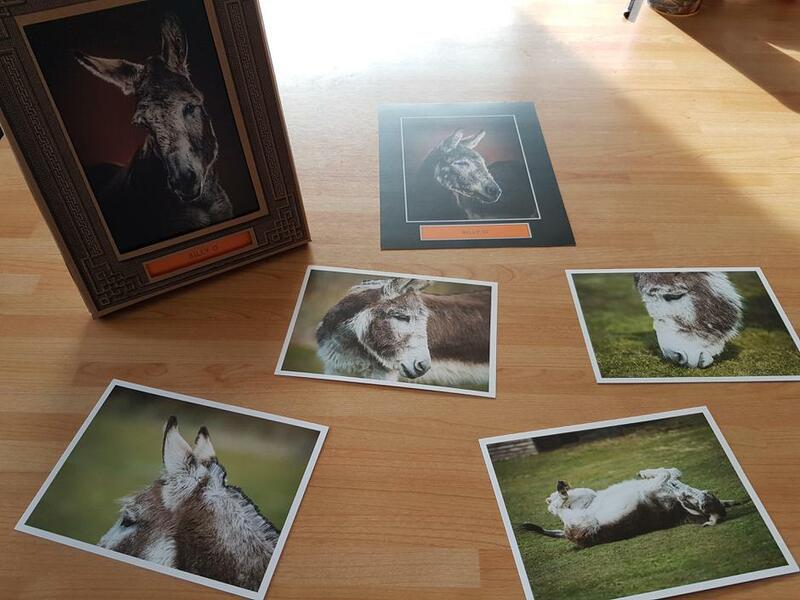 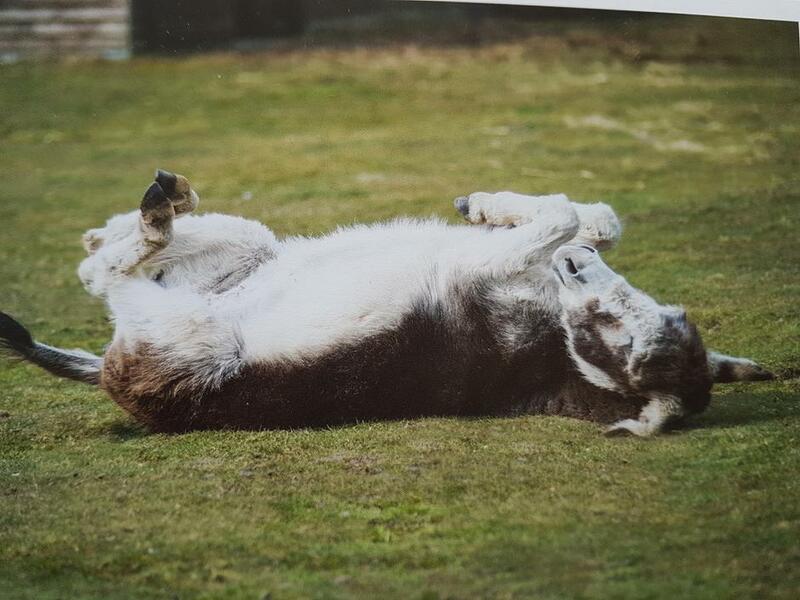 He is a thirteen year old donkey, who Mrs Bell kindly adopted for us, from The Donkey Sanctuary. 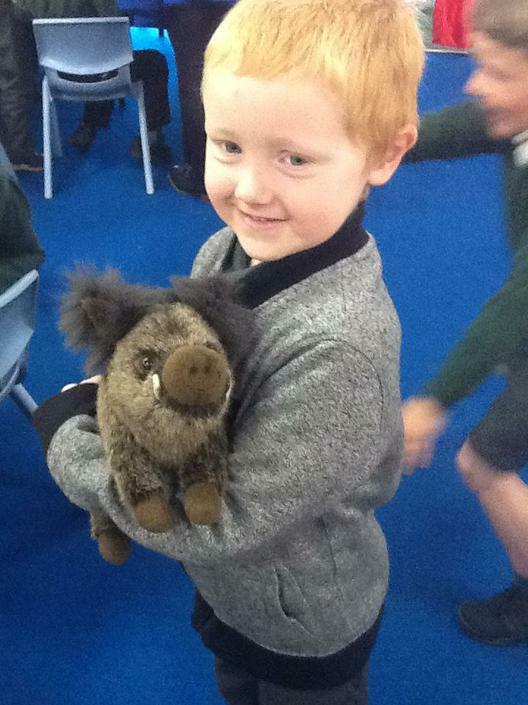 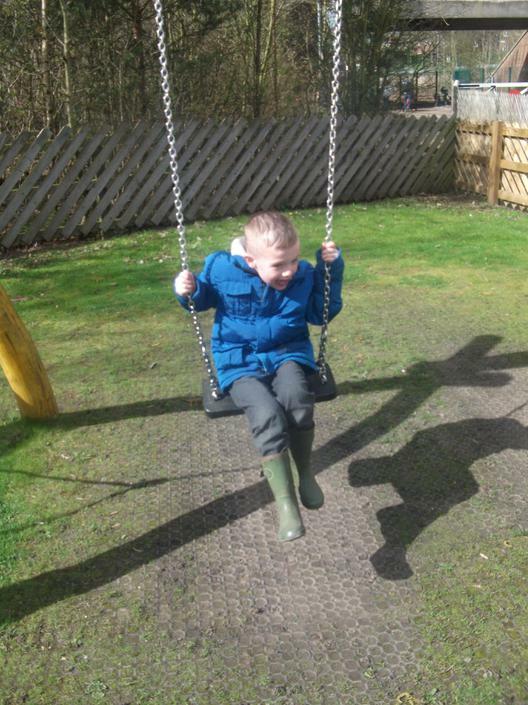 His best friend is Ollie and he especially likes playing welly tug of war with his friends. 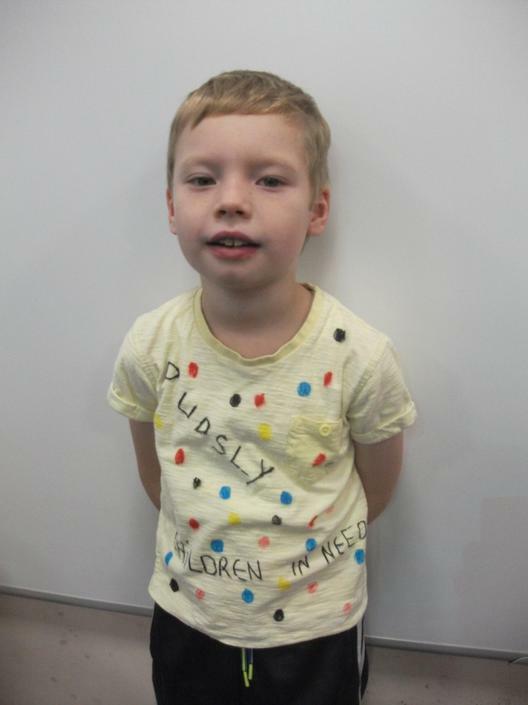 We love him already and are desperate to meet him. 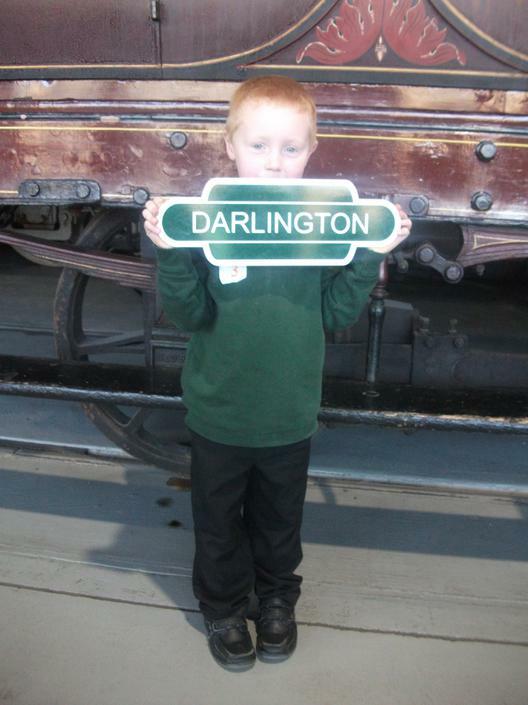 Unfortunately, he lives in Leeds (too far for a school trip!) 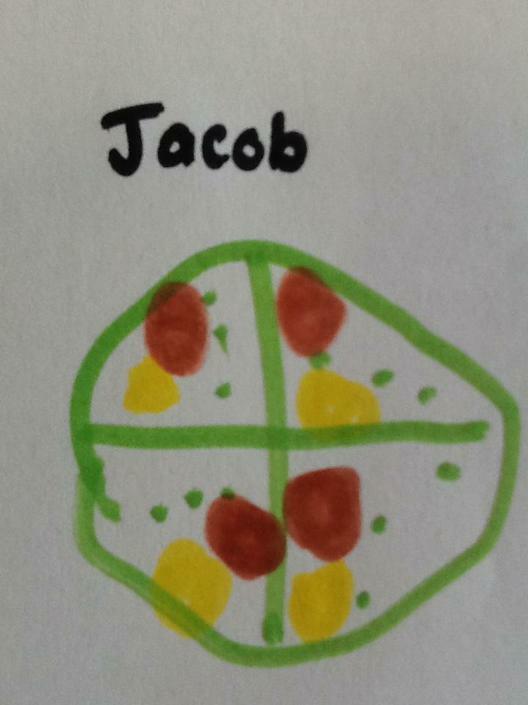 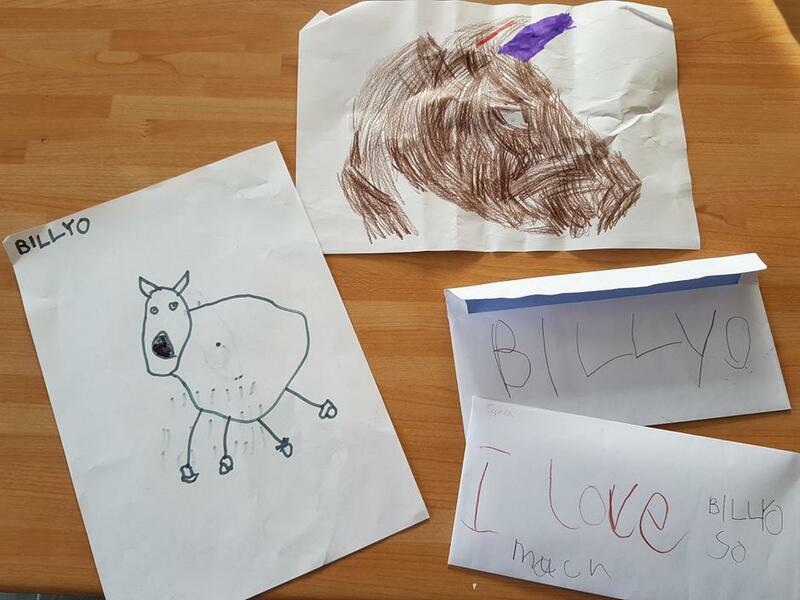 so we have decided to draw him pictures and write to him. 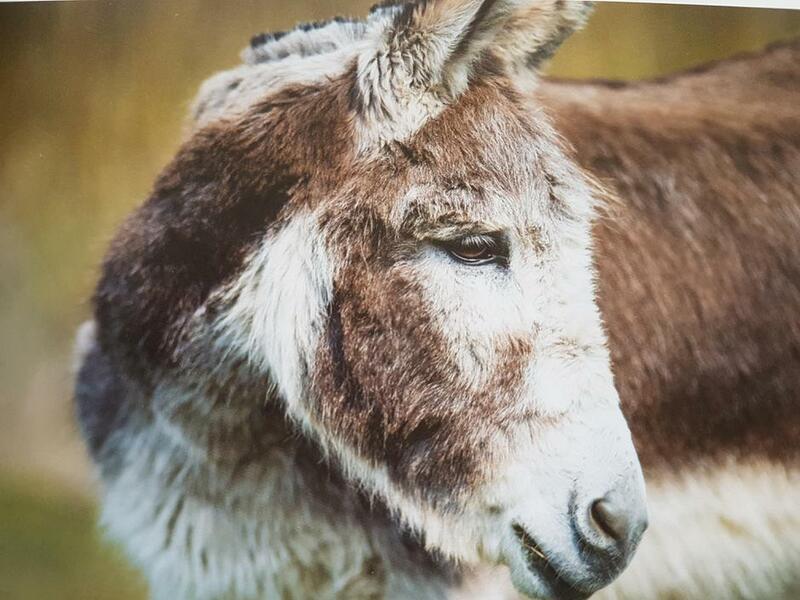 The Donkey Sanctuary Adopt your own donkey or find out more about this charity by following the web link. 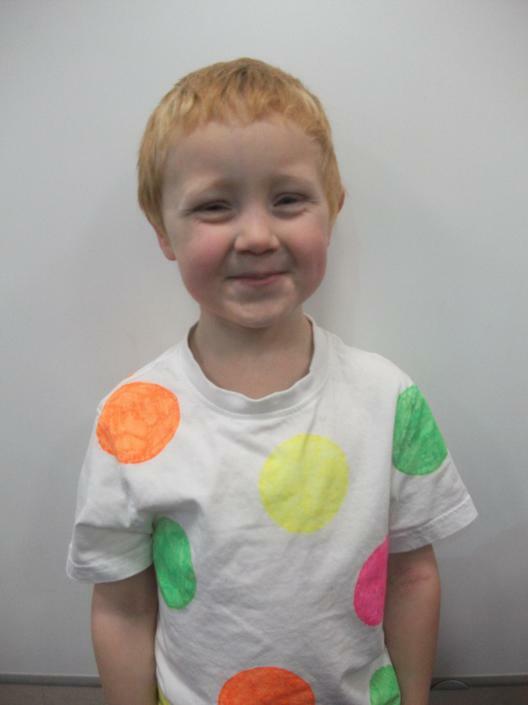 Help your child consolidate the counting they have been doing in class by joining Jack at the zoo and counting along in this count to 100 song at the zoo. 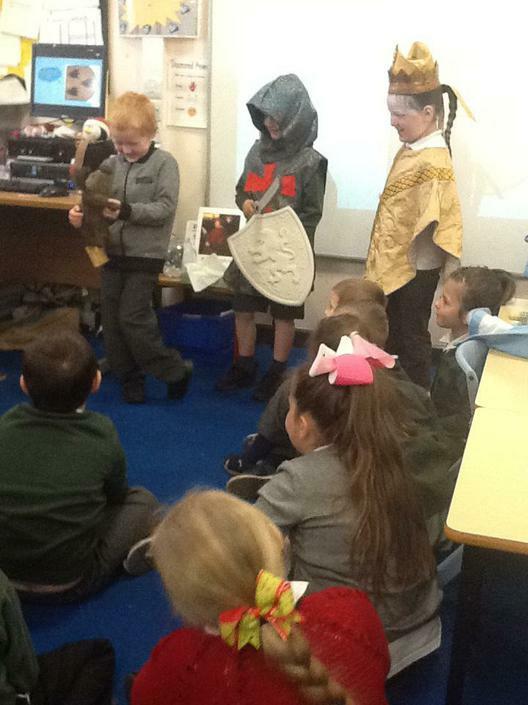 We were lucky enough to have a visitor from Auckland Castle come to tell us the story of a Prince Bishop, a knight called Pollard and a wild boar. 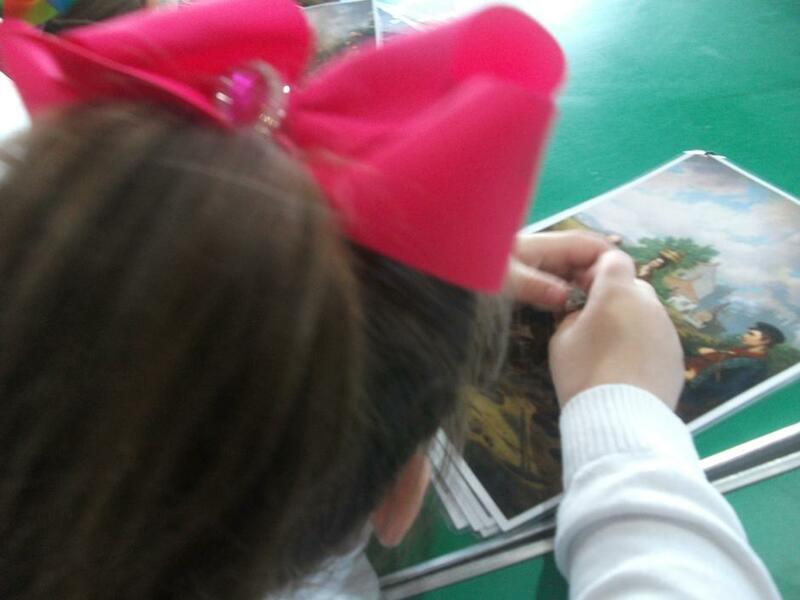 We acted out the story and made some collages to help tell the story. 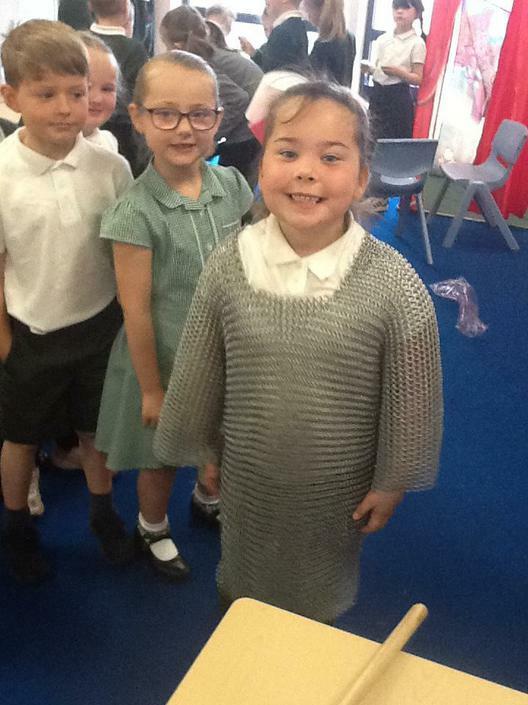 She also showed us some real chain-mail. 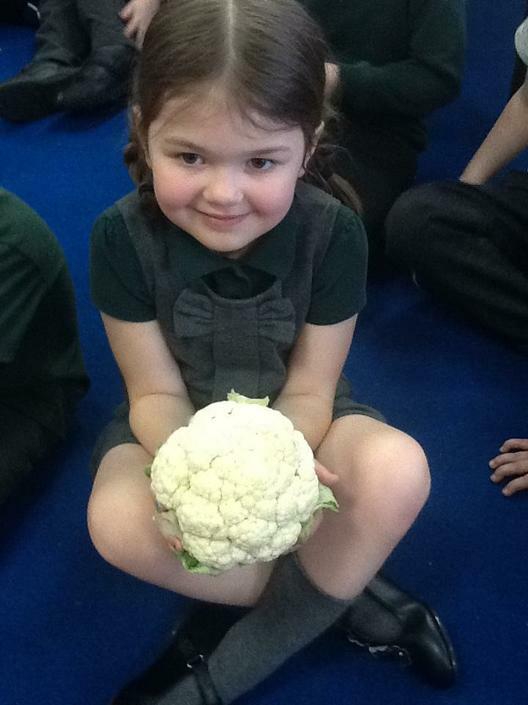 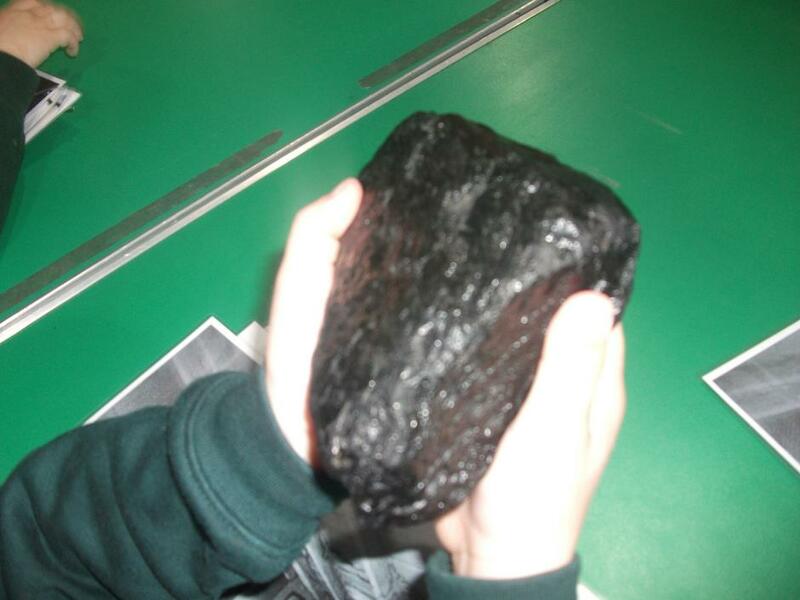 We couldn't believe how heavy it was! 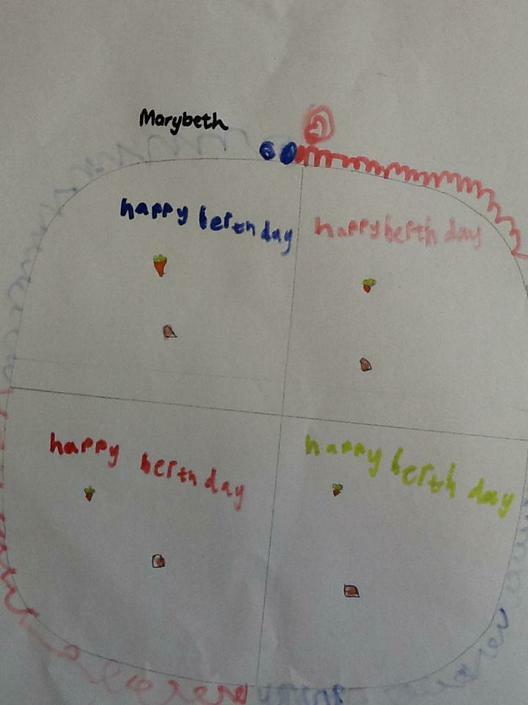 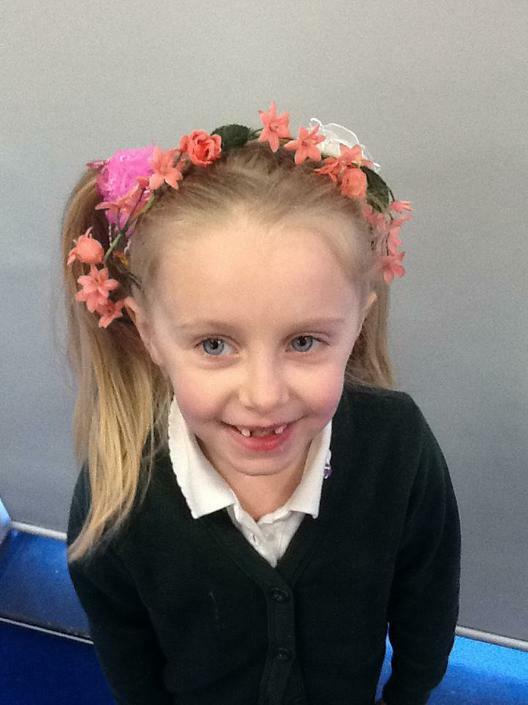 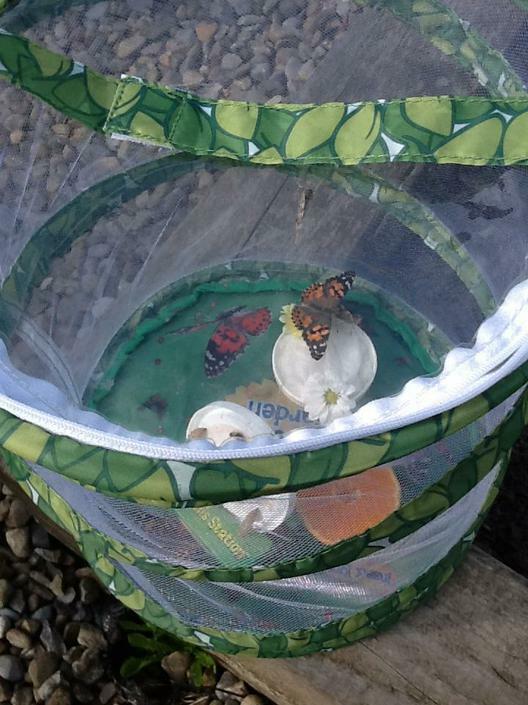 As a homework task, Megan chose to grow some butterflies from caterpillars. 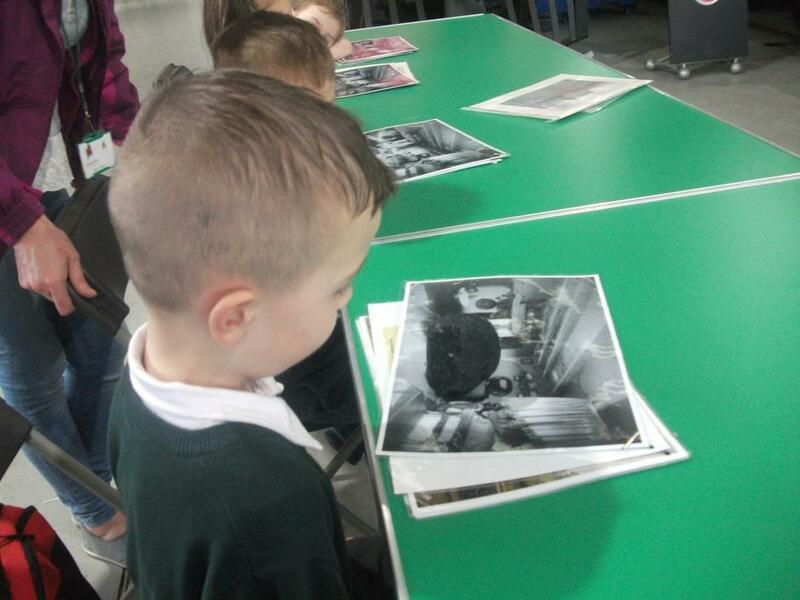 She created a beautifully written diary of the changes she noticed and used photographs to help show what had happened. 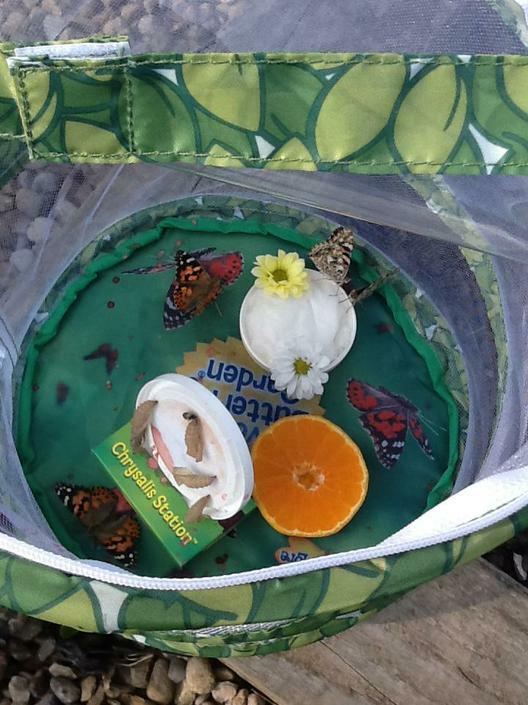 Once each butterfly had emerged from its chrysalis, Megan brought them to school and we read her diary to find out what she had been doing. 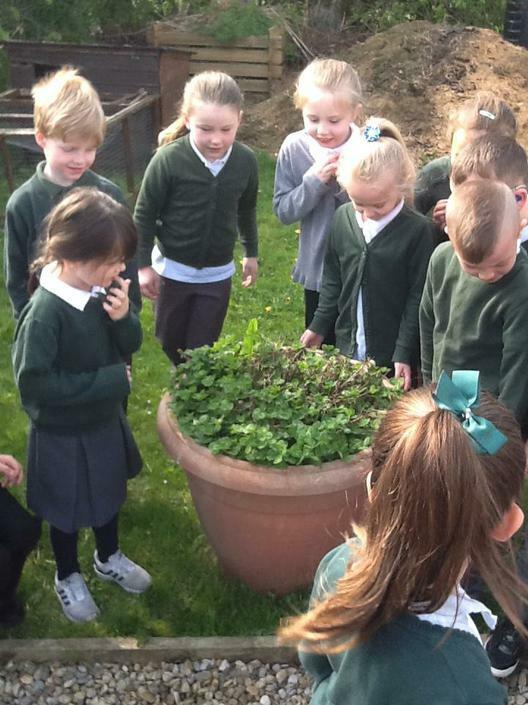 We were all fascinated by the changes we could see. 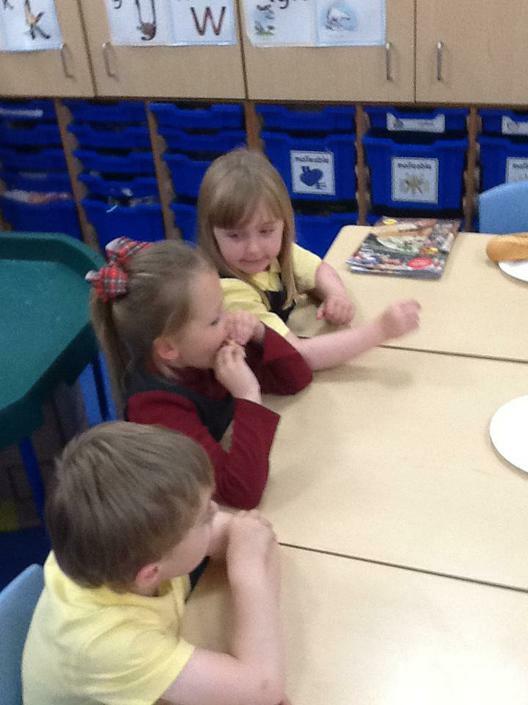 We talked about what butterflies like to eat and drink and where they might like to live. 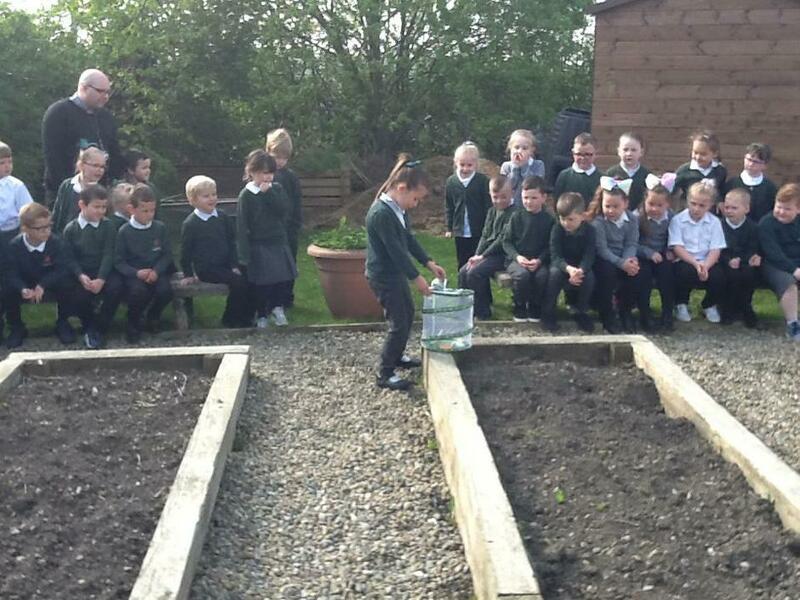 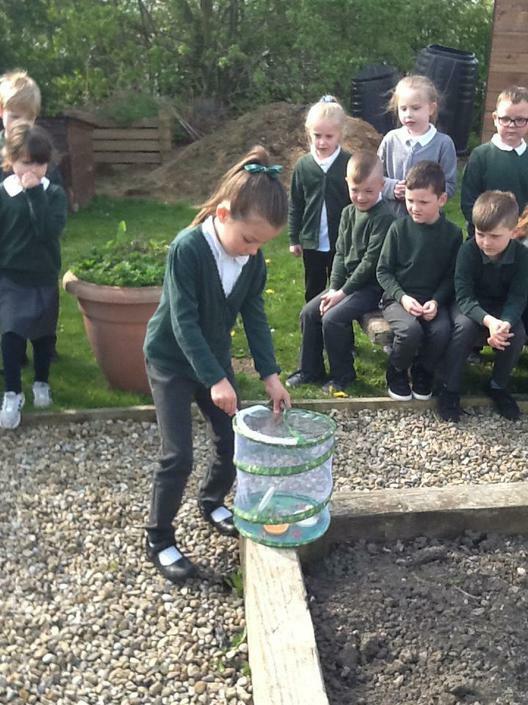 As a result, we decided to release them in the school garden. 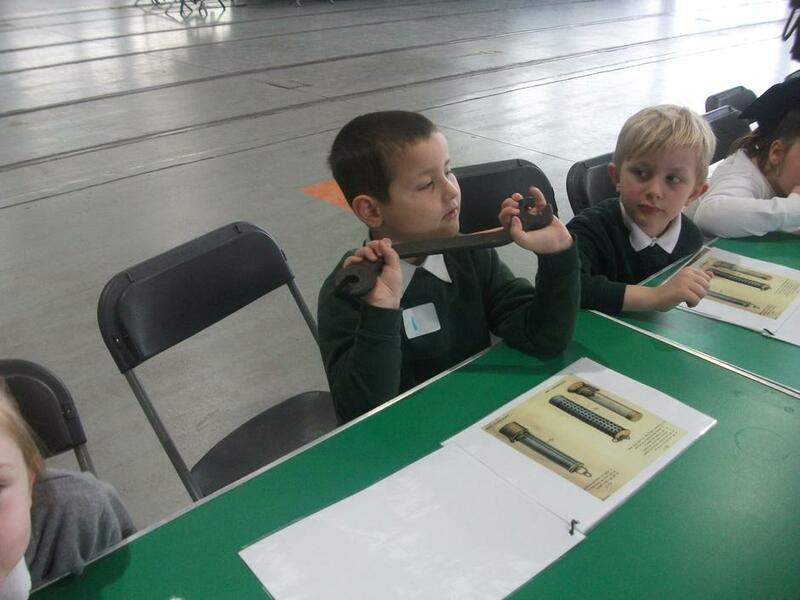 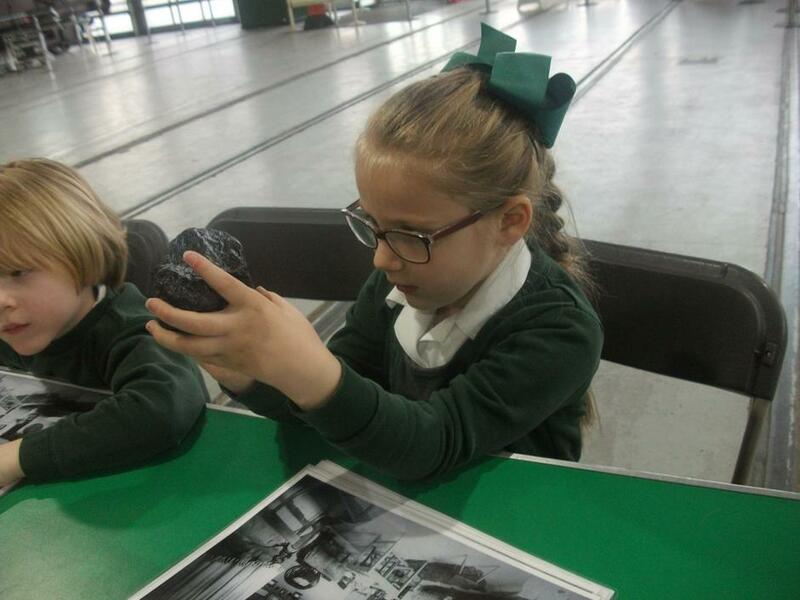 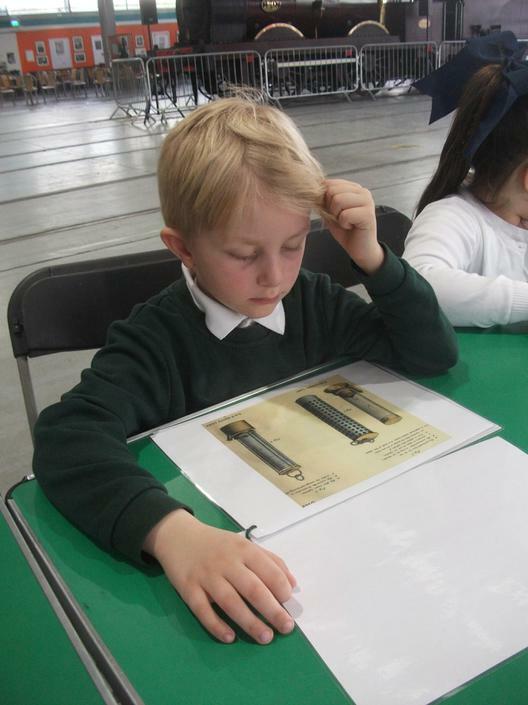 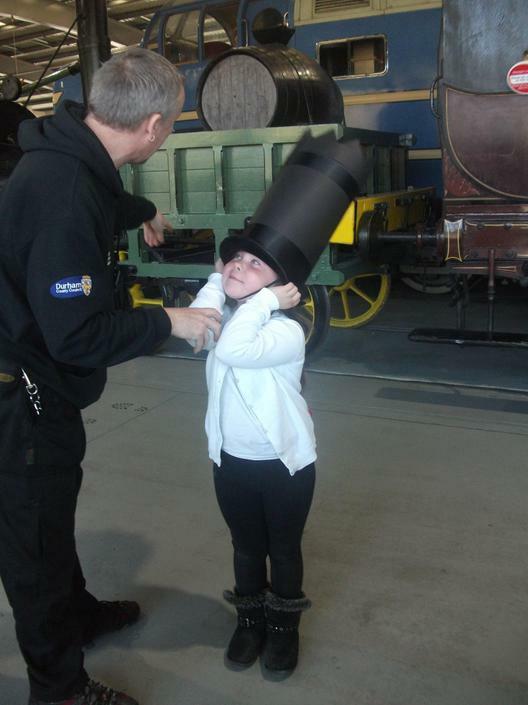 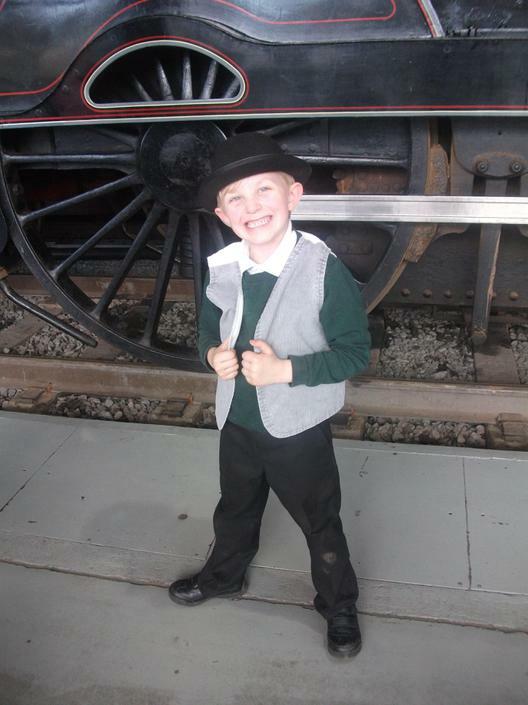 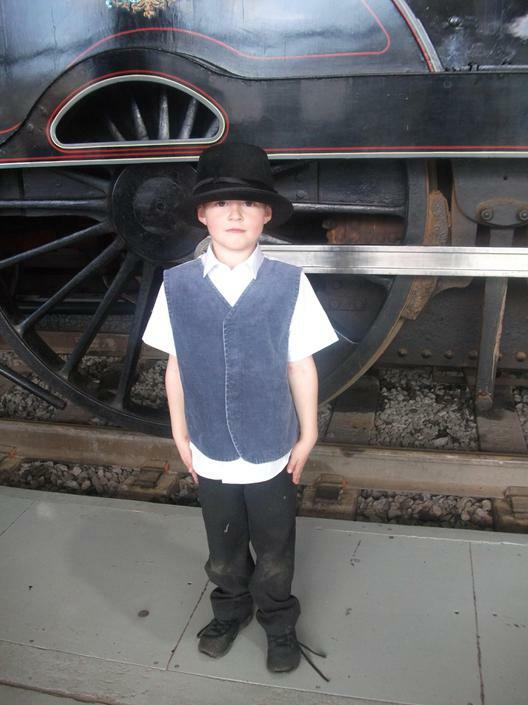 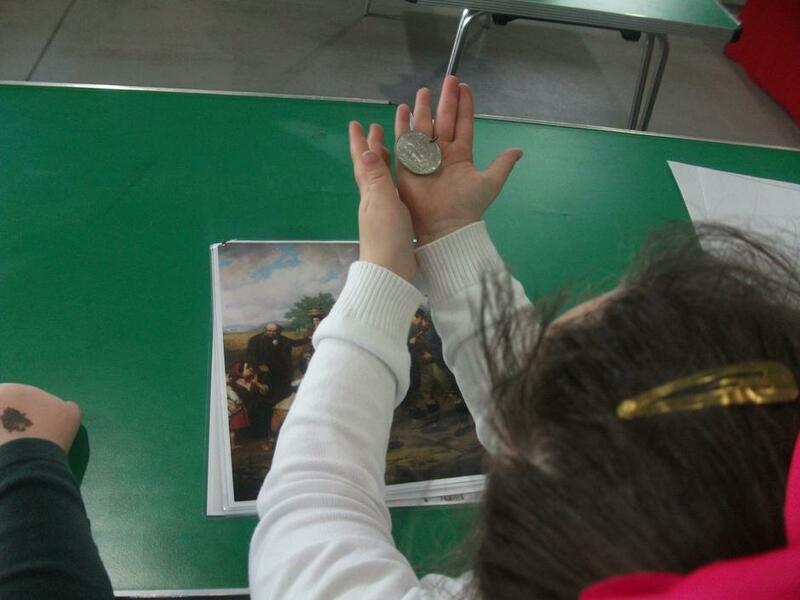 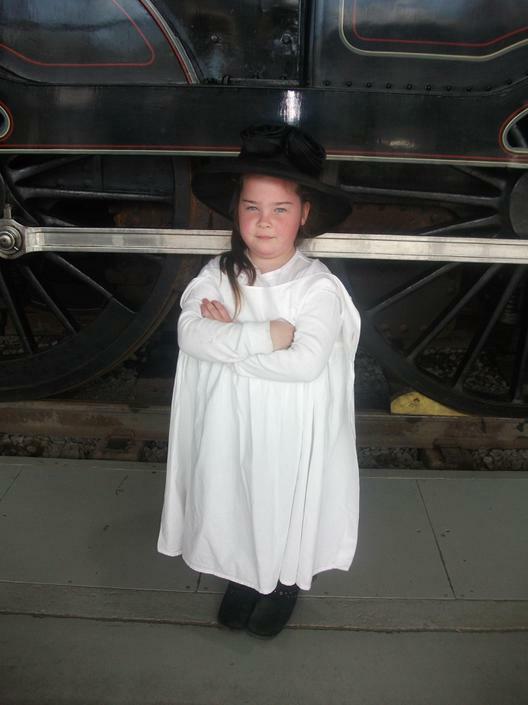 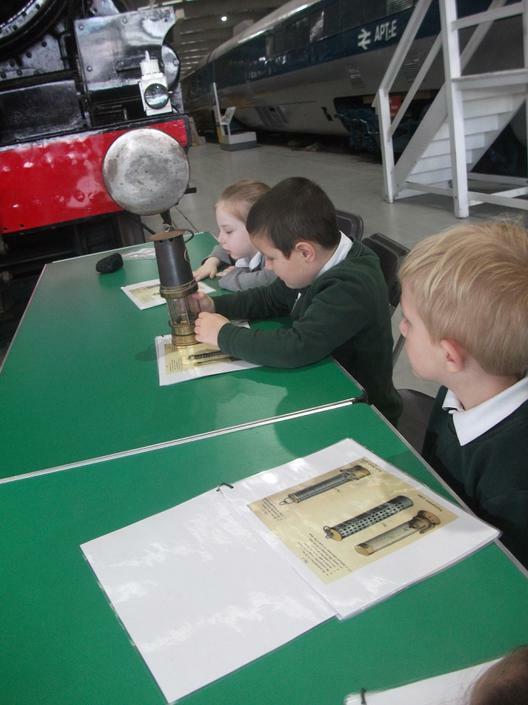 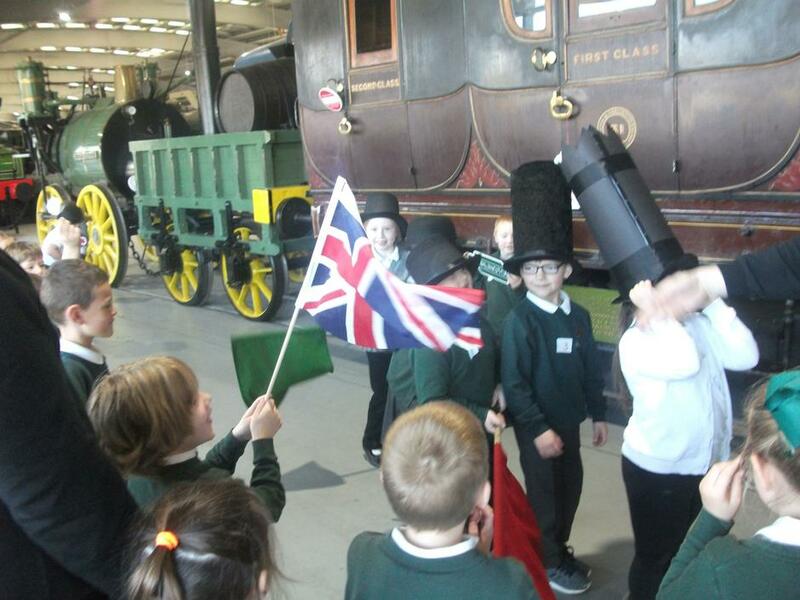 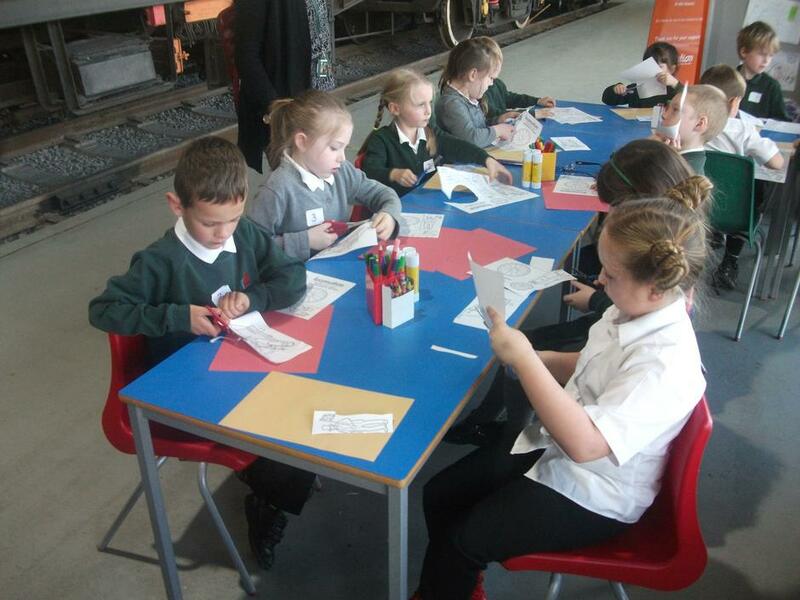 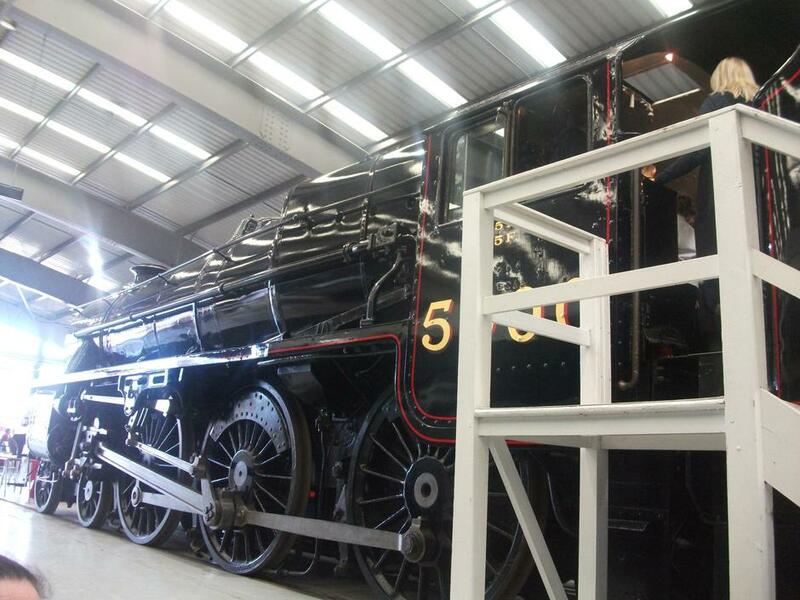 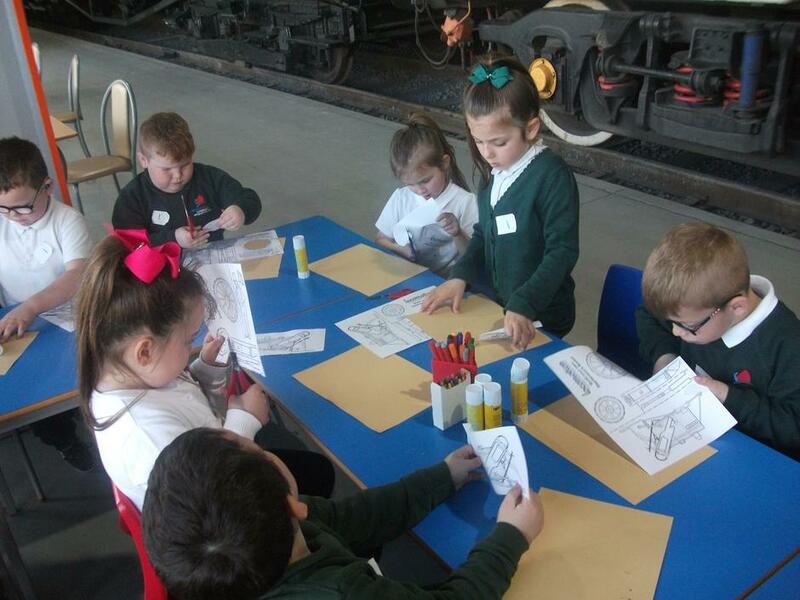 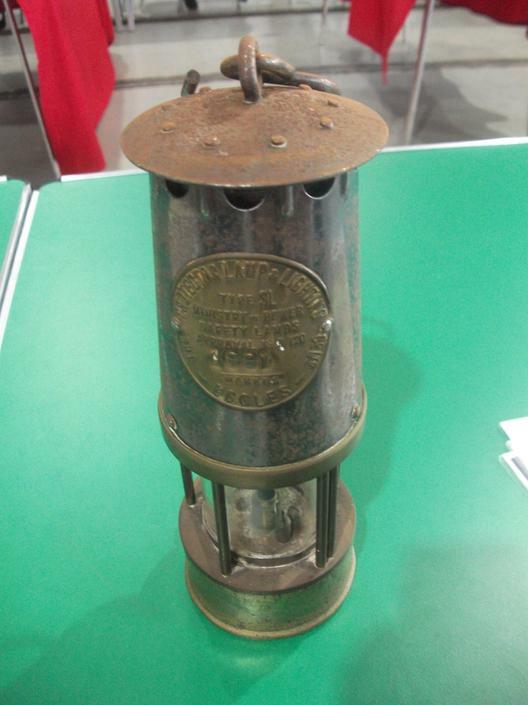 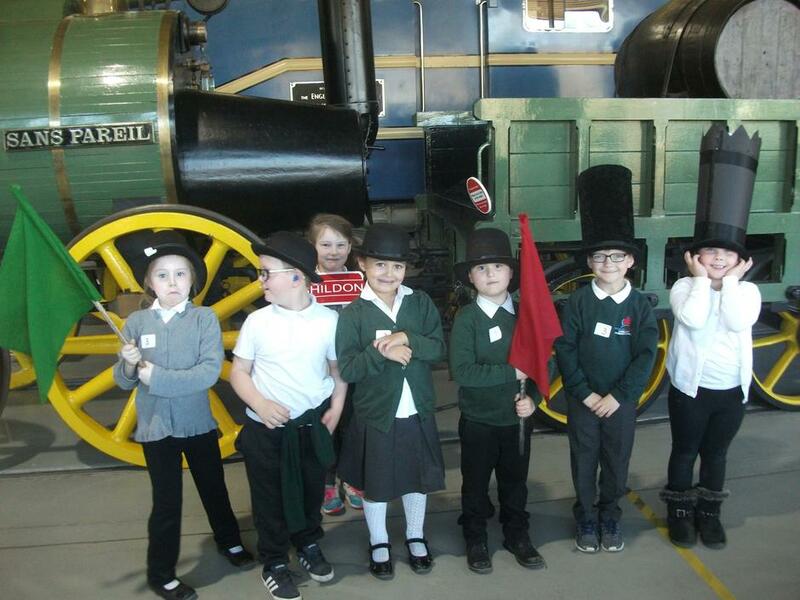 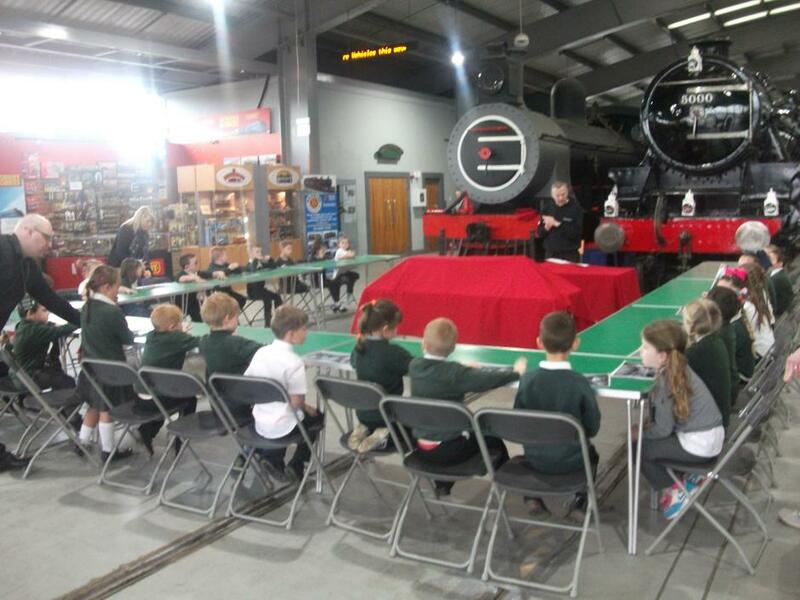 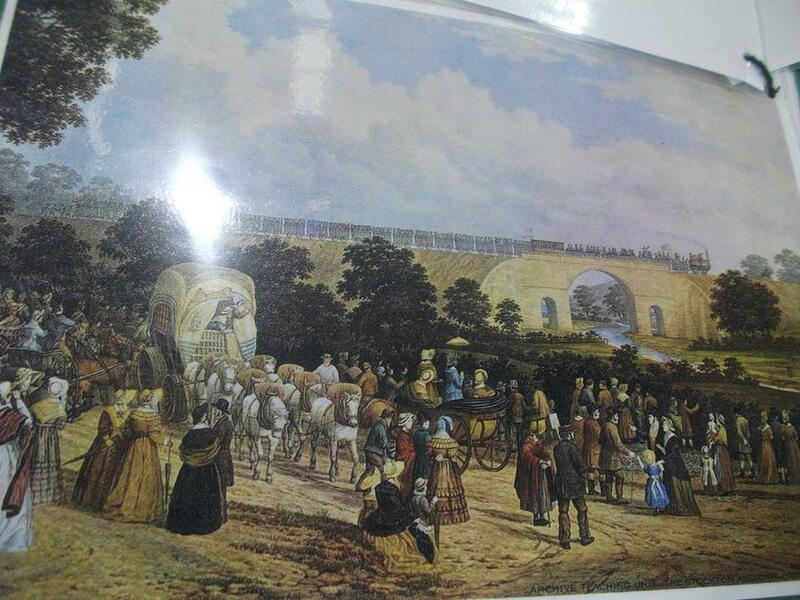 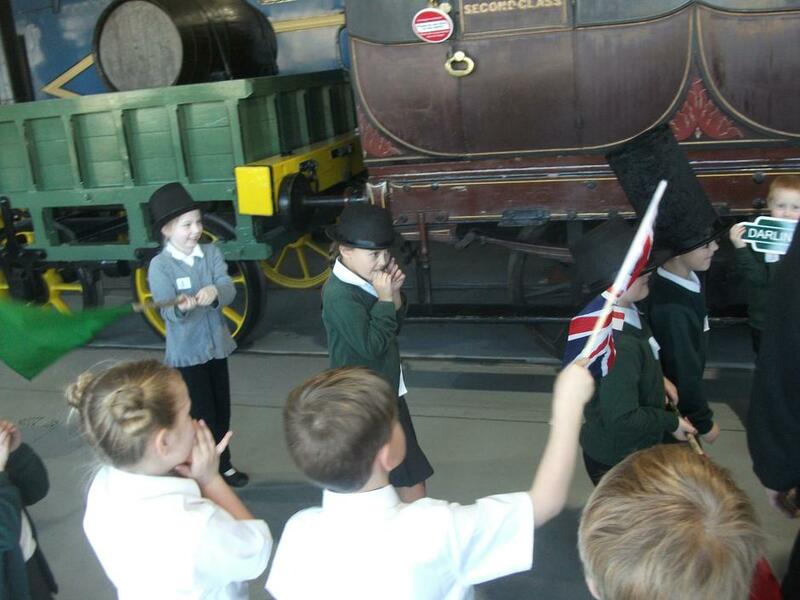 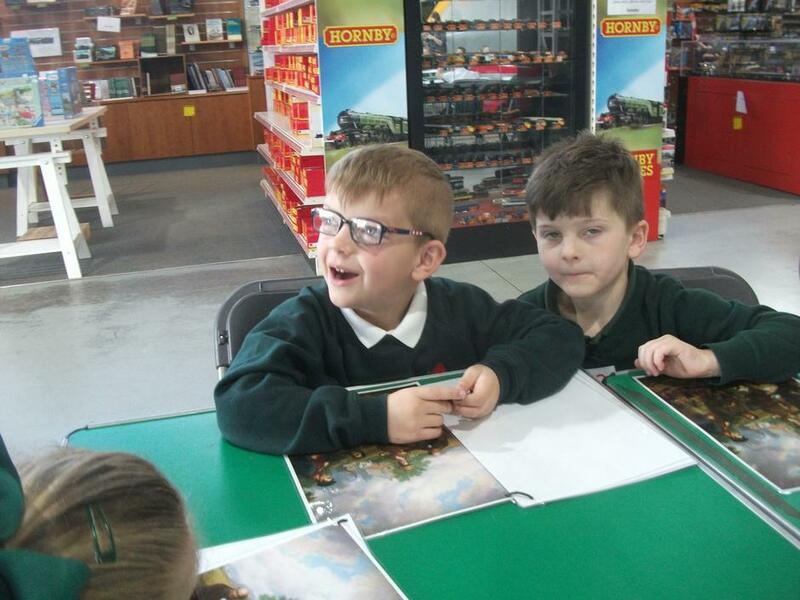 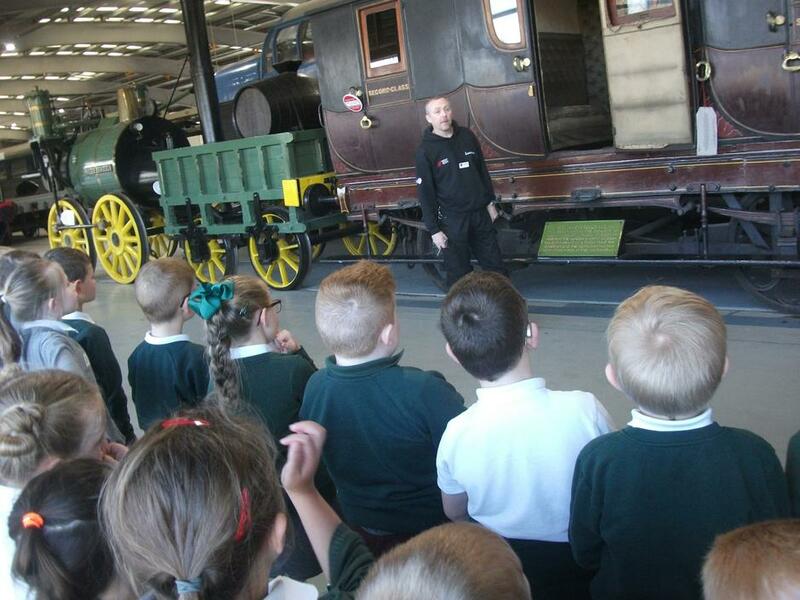 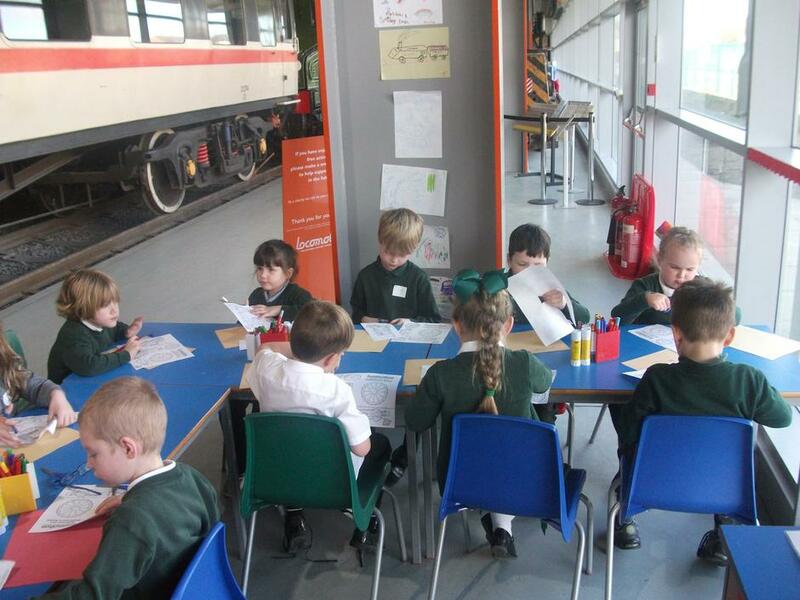 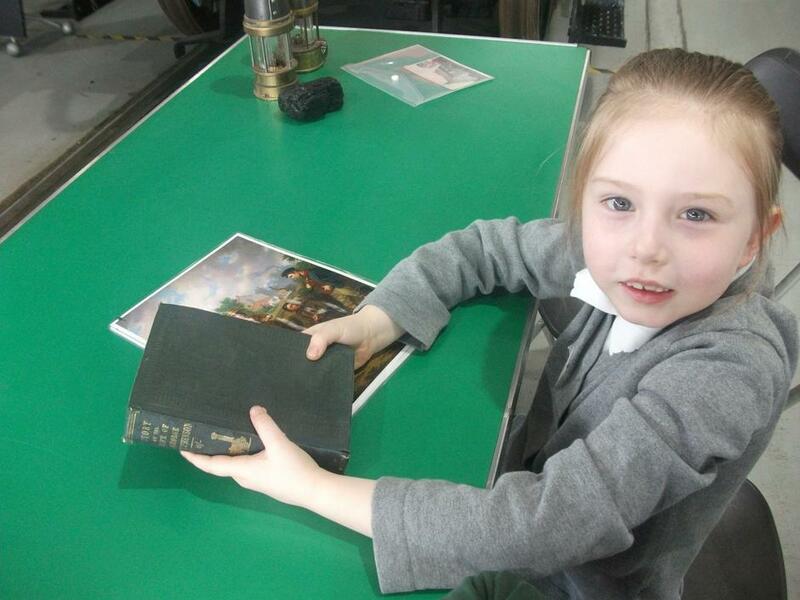 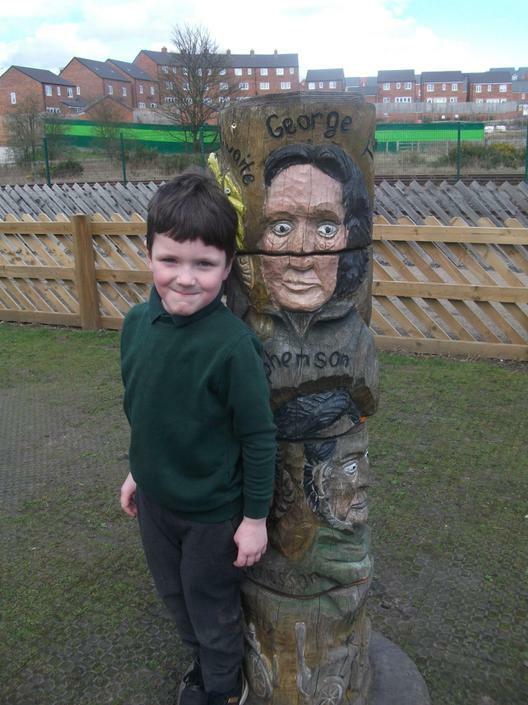 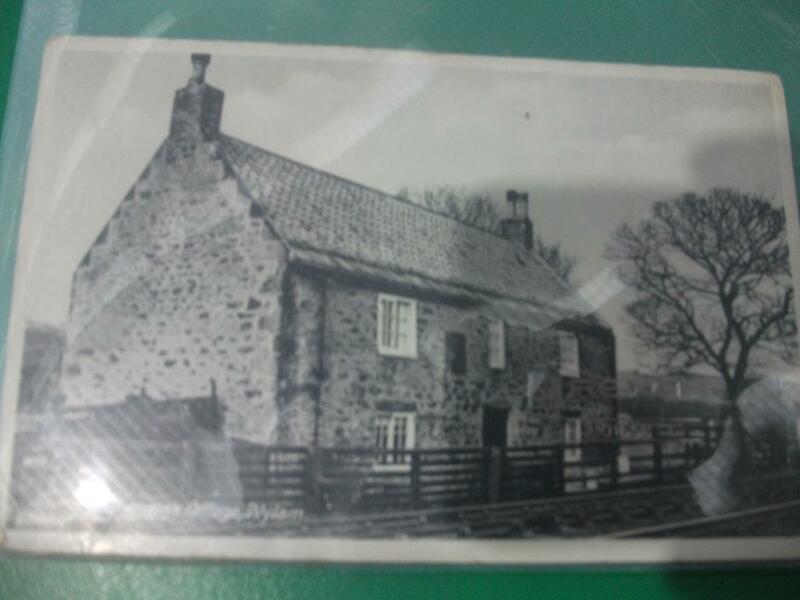 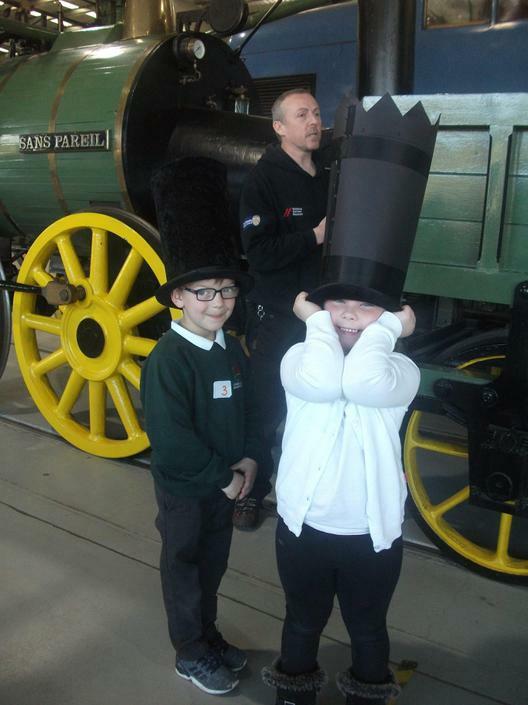 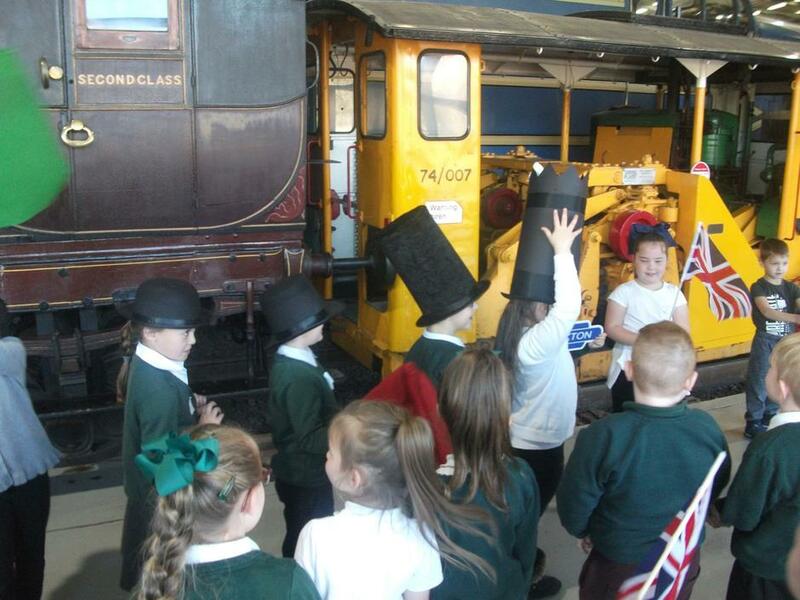 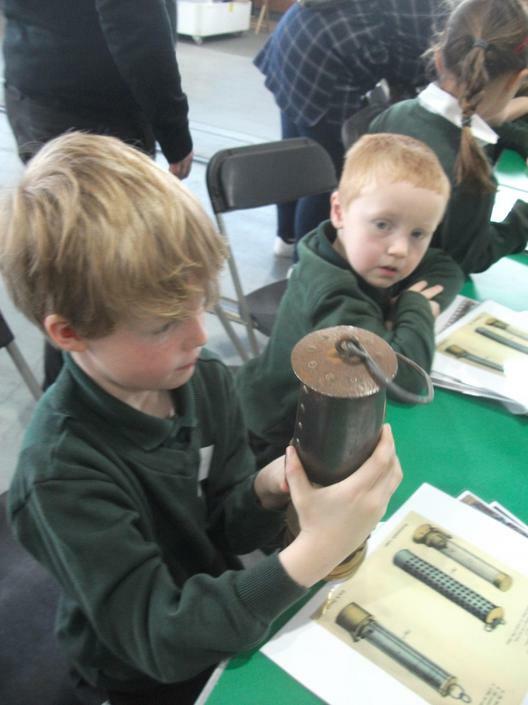 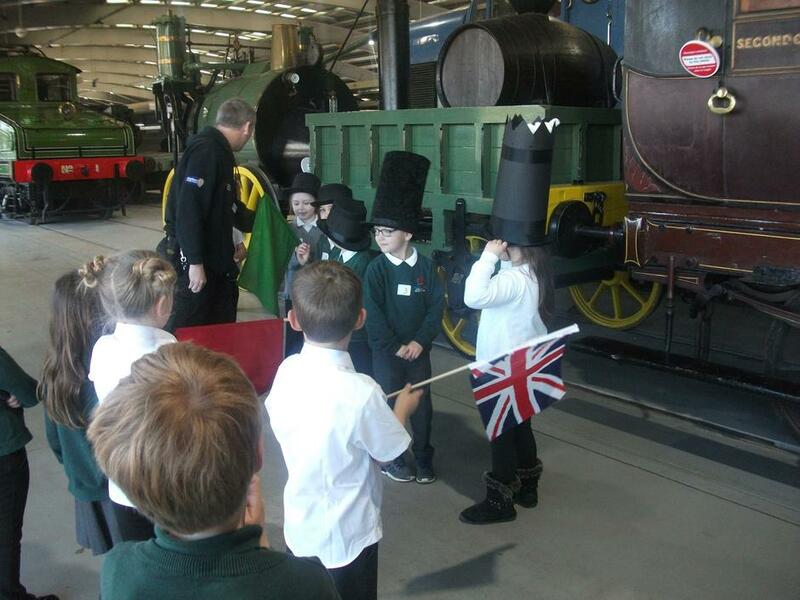 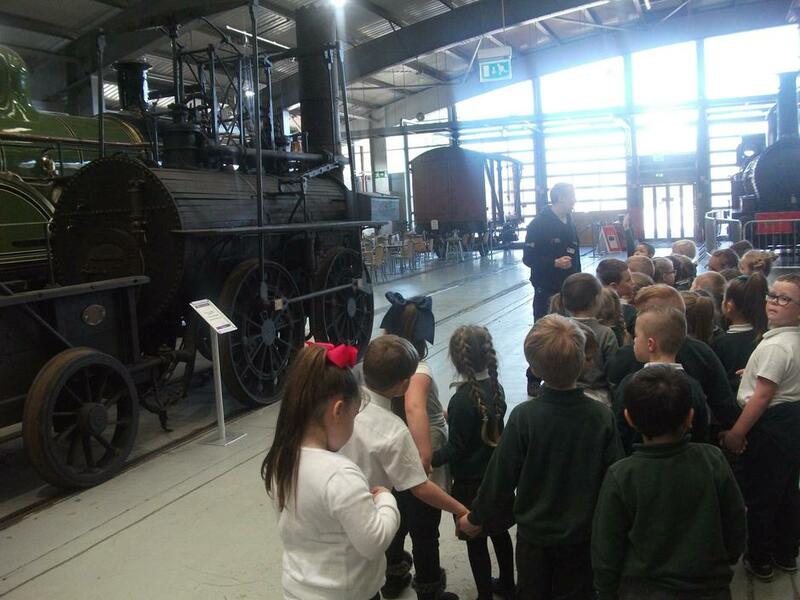 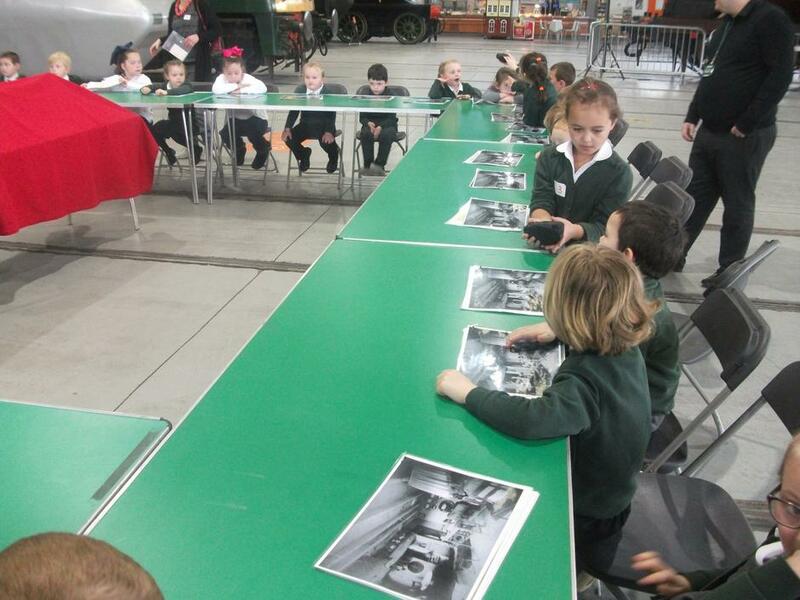 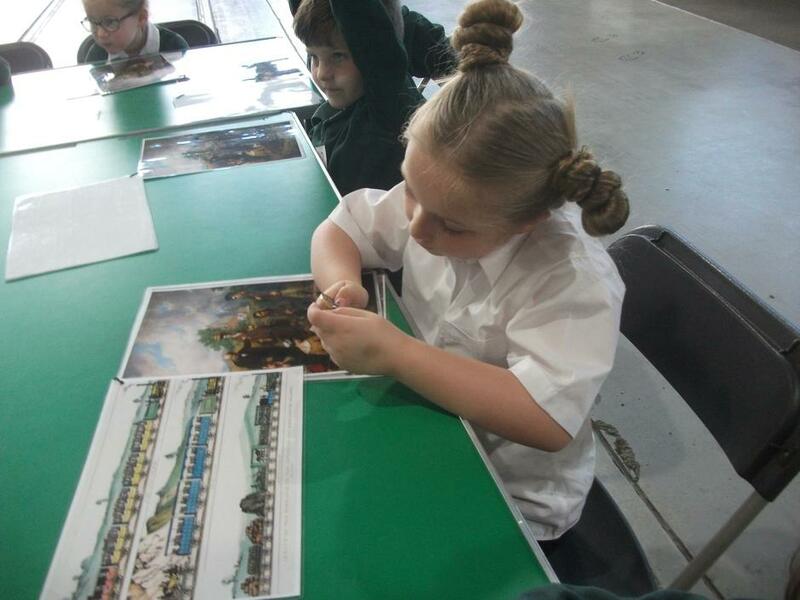 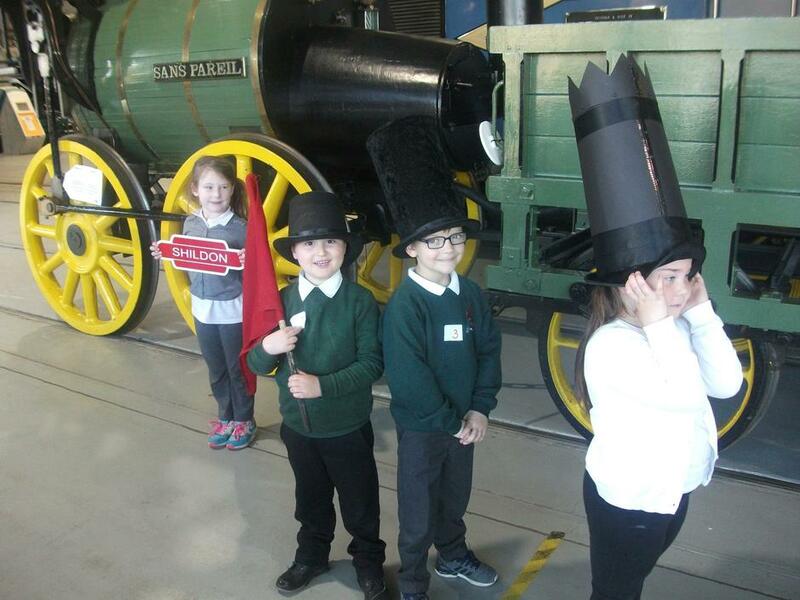 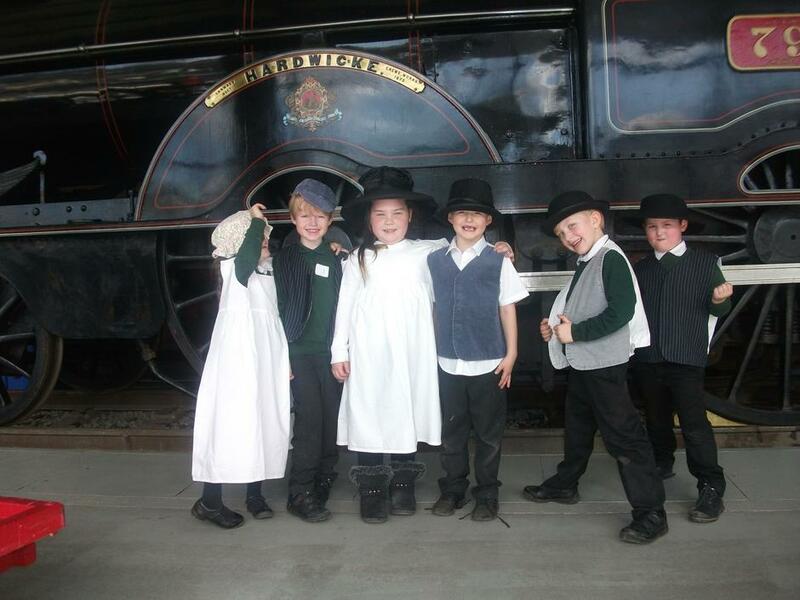 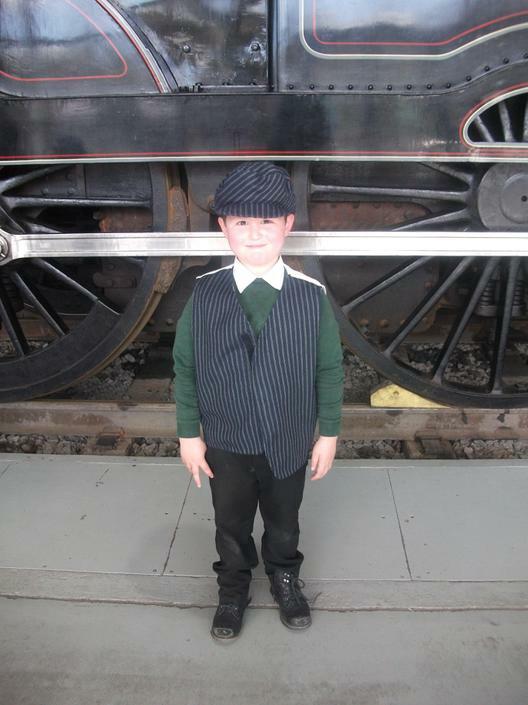 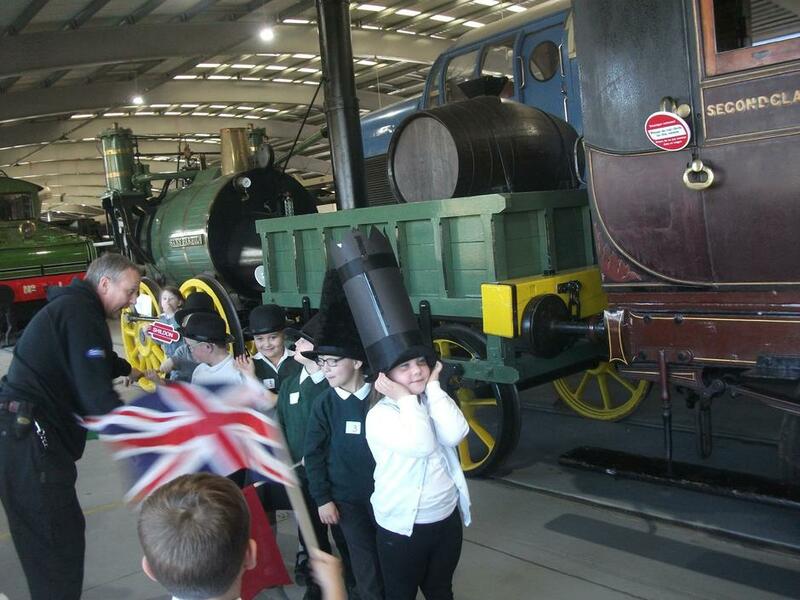 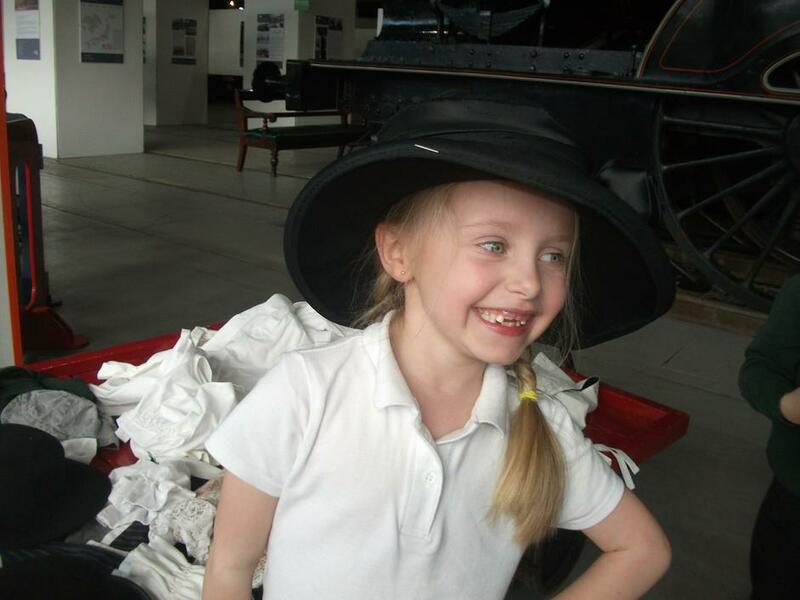 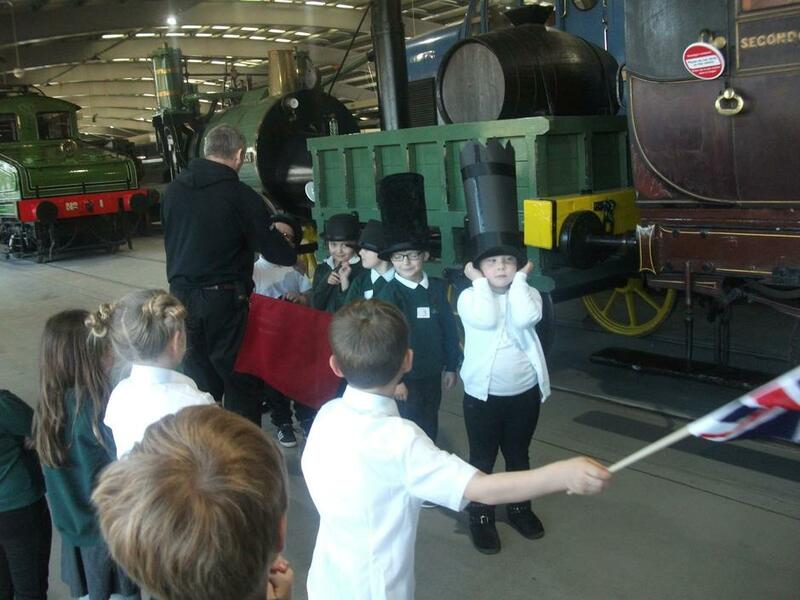 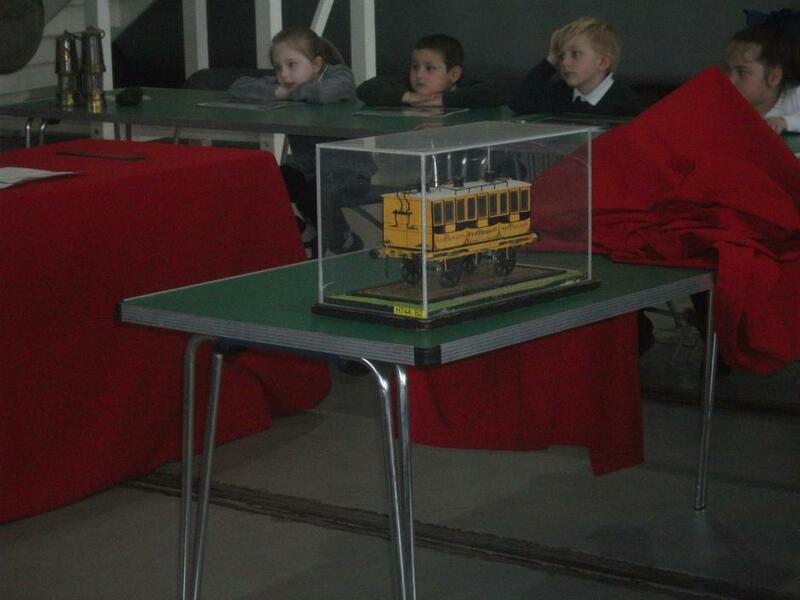 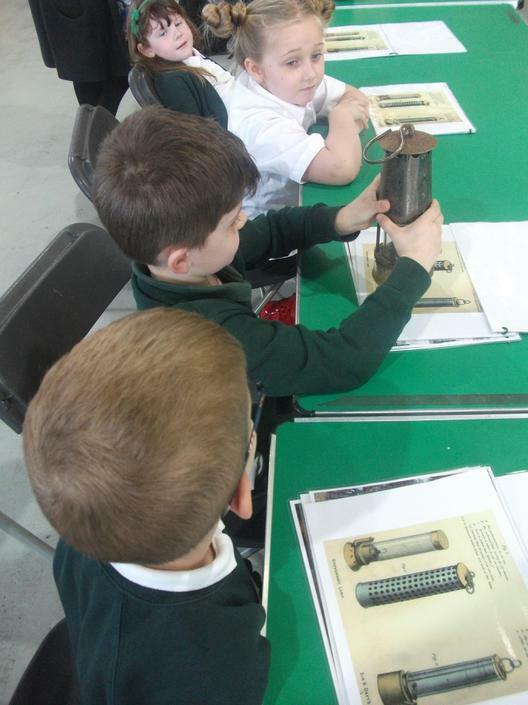 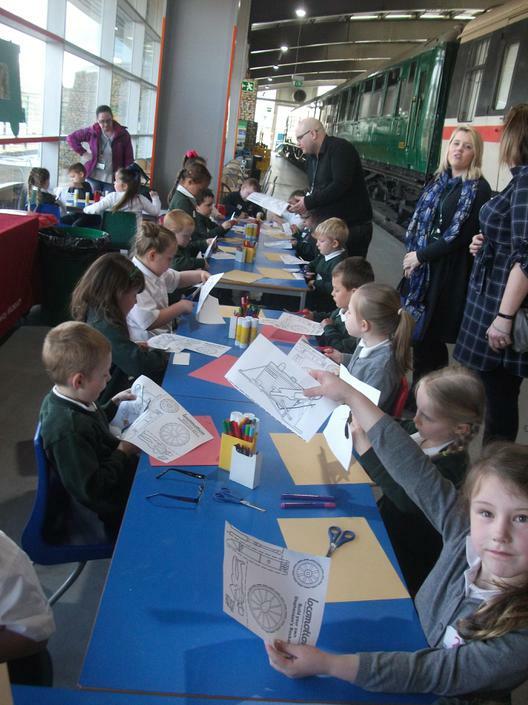 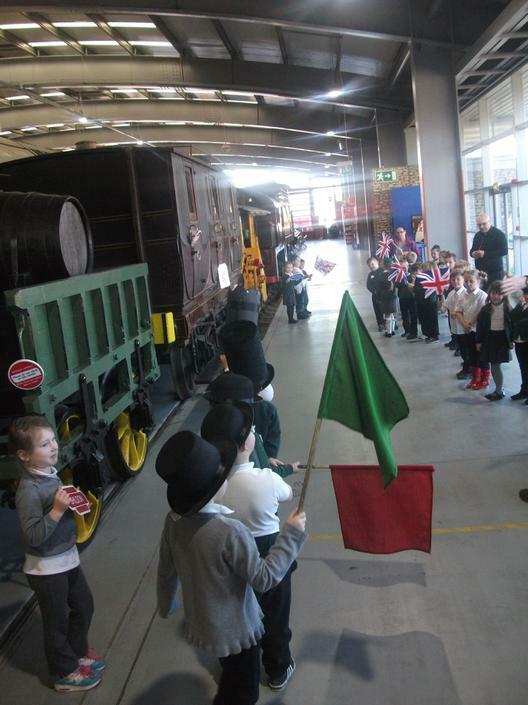 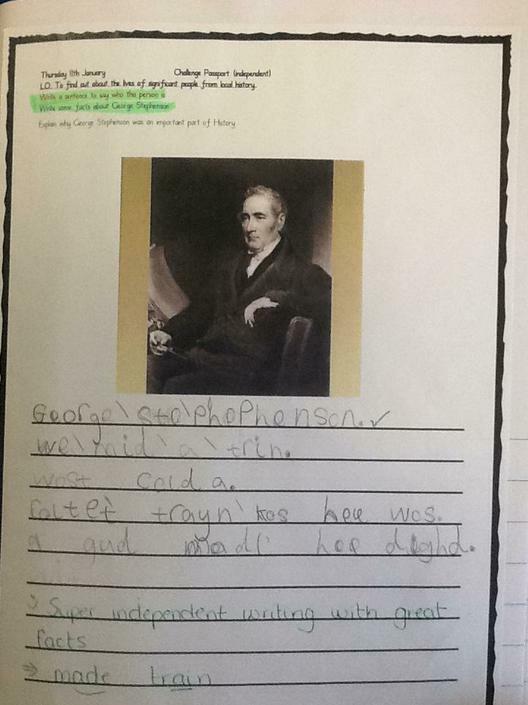 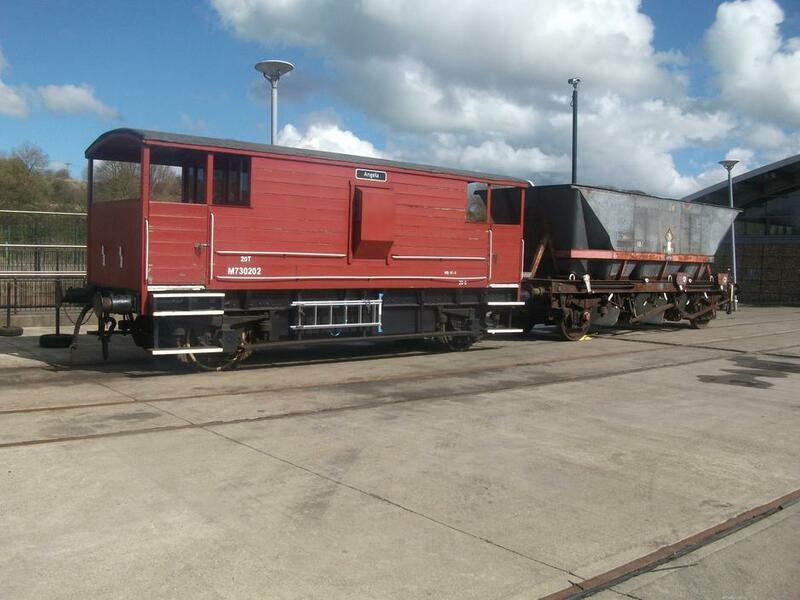 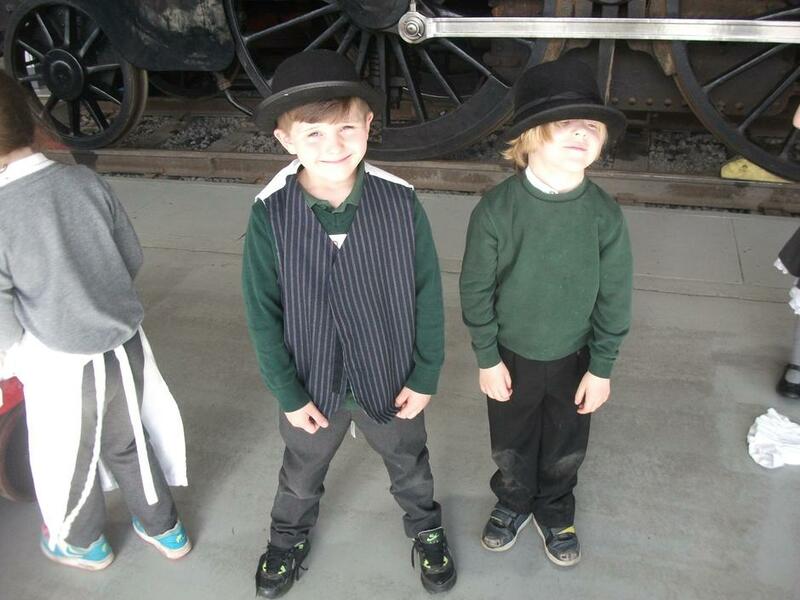 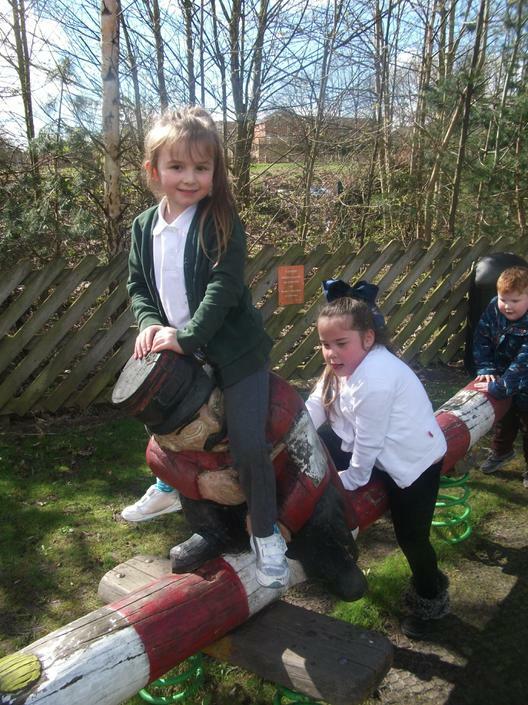 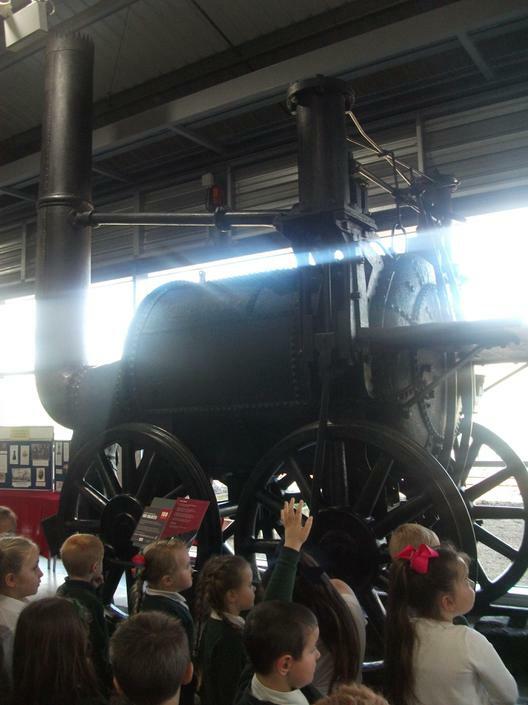 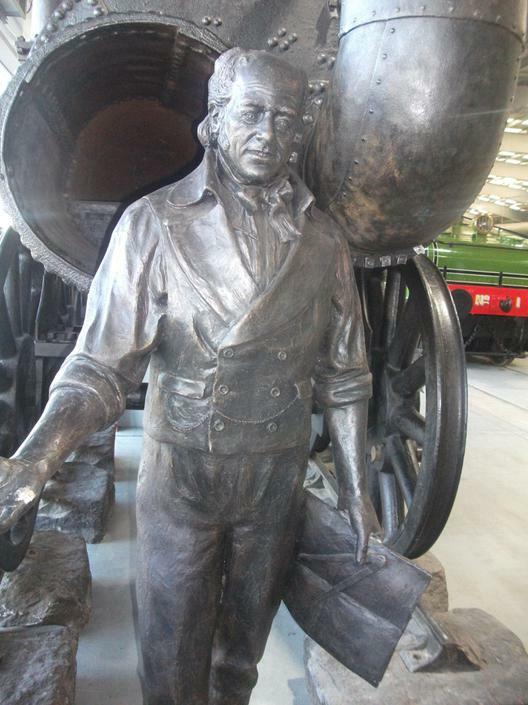 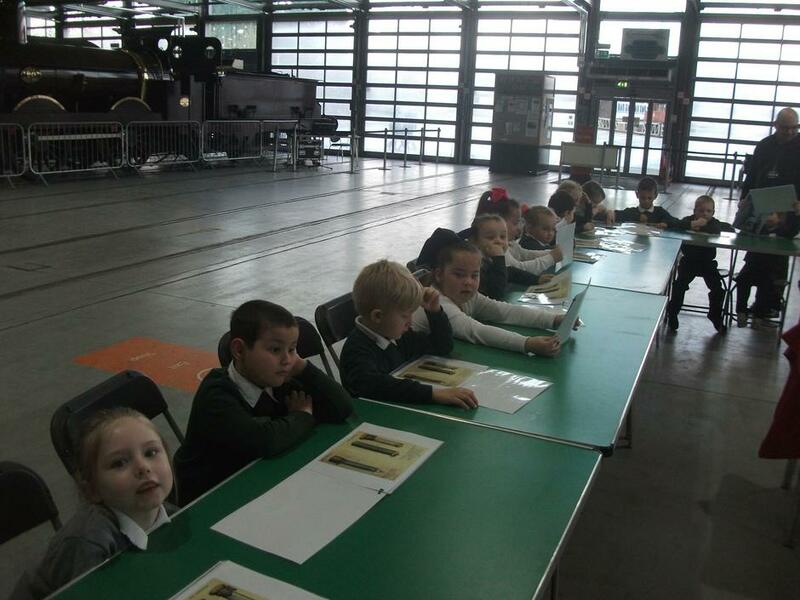 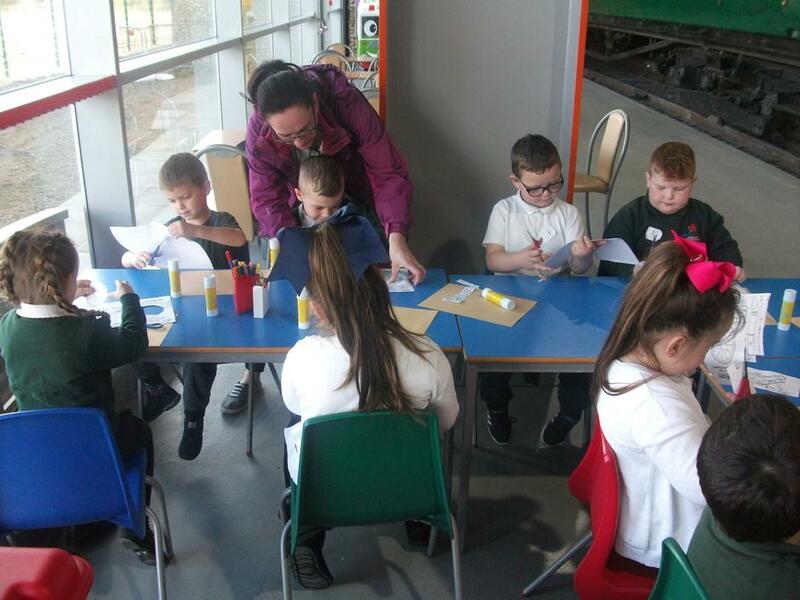 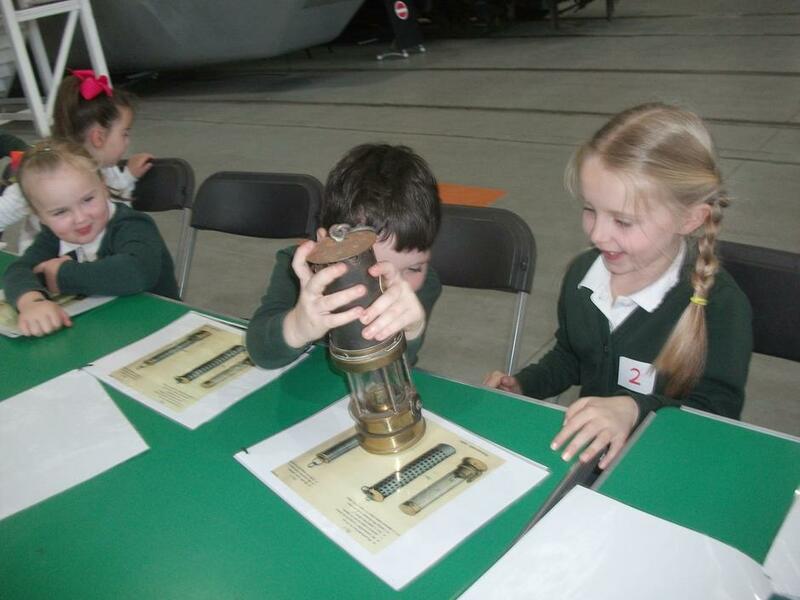 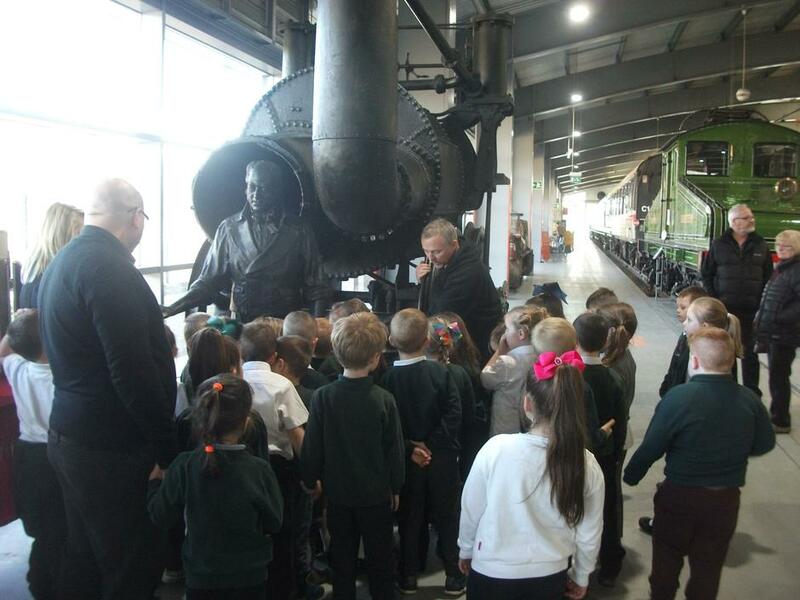 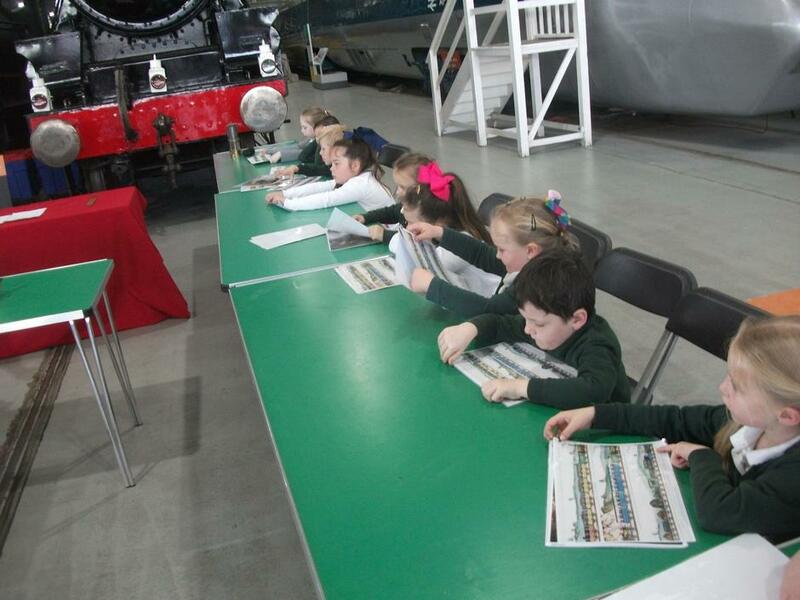 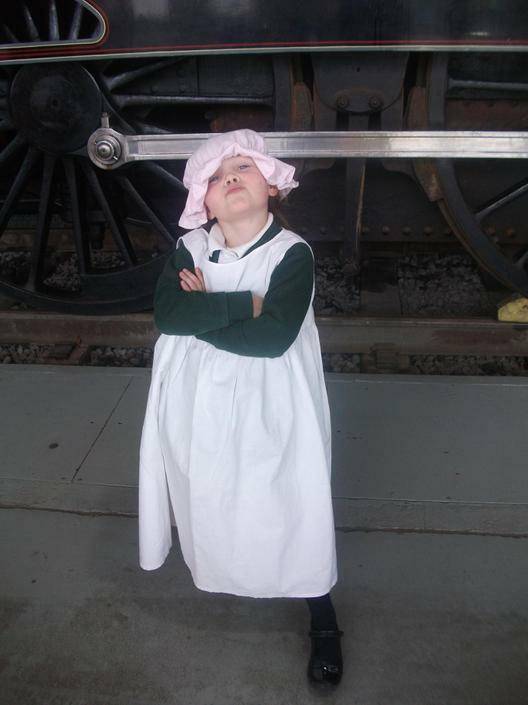 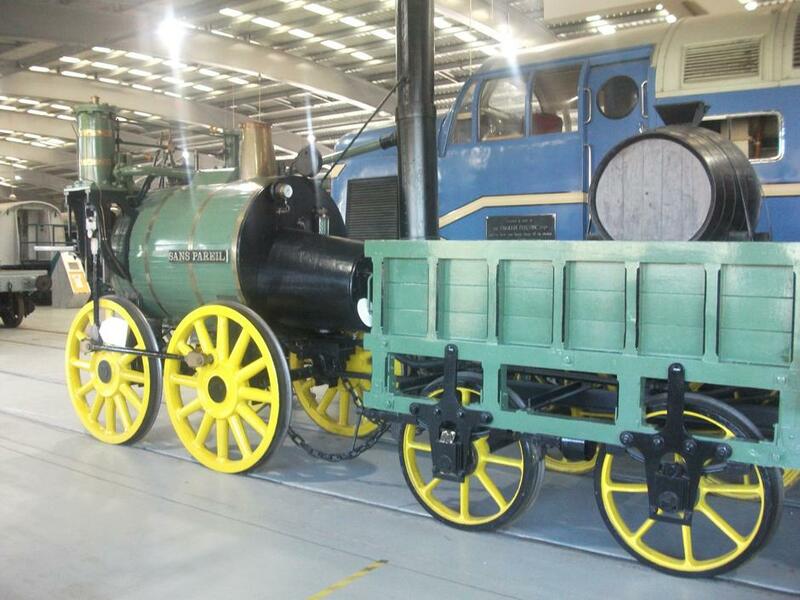 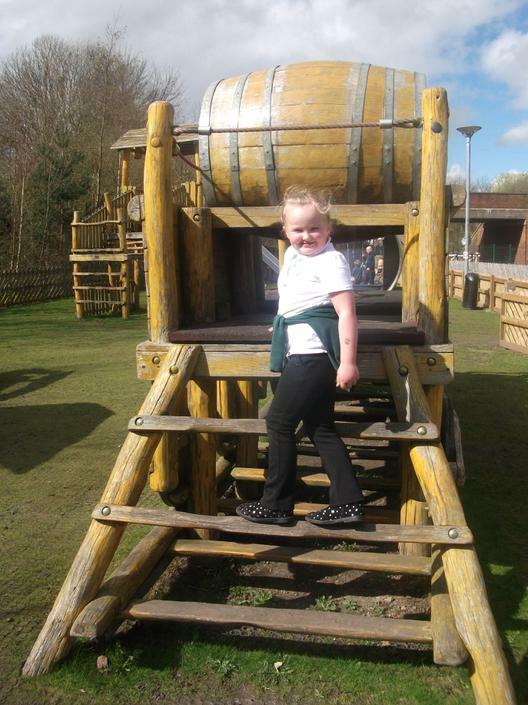 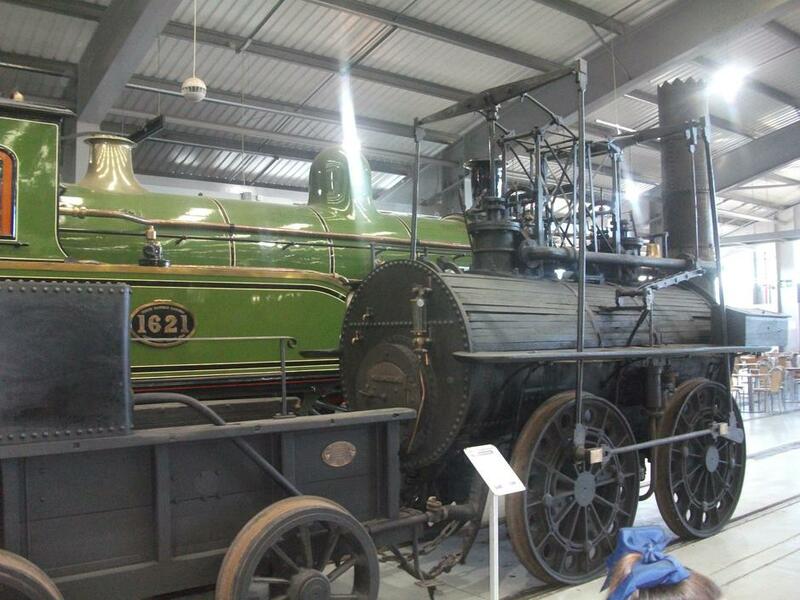 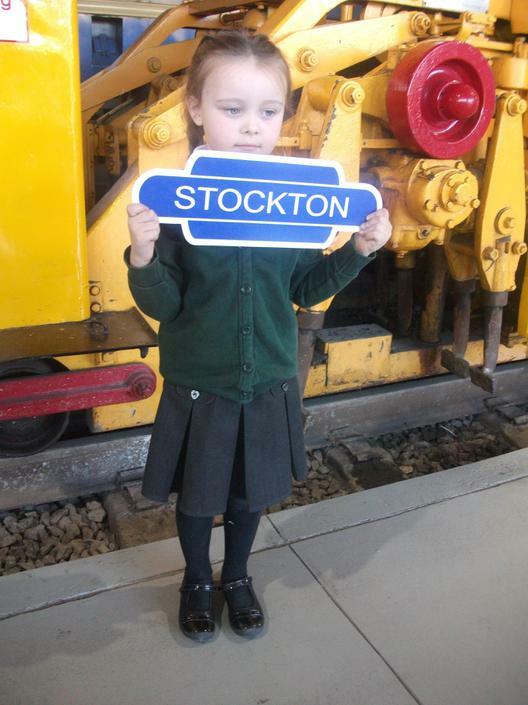 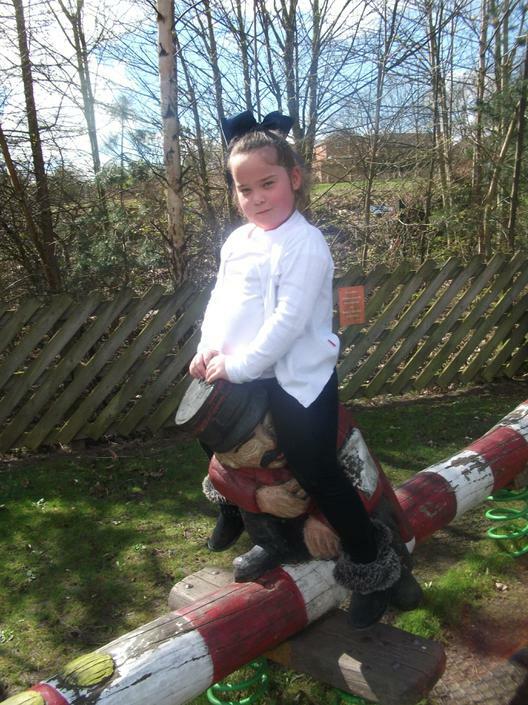 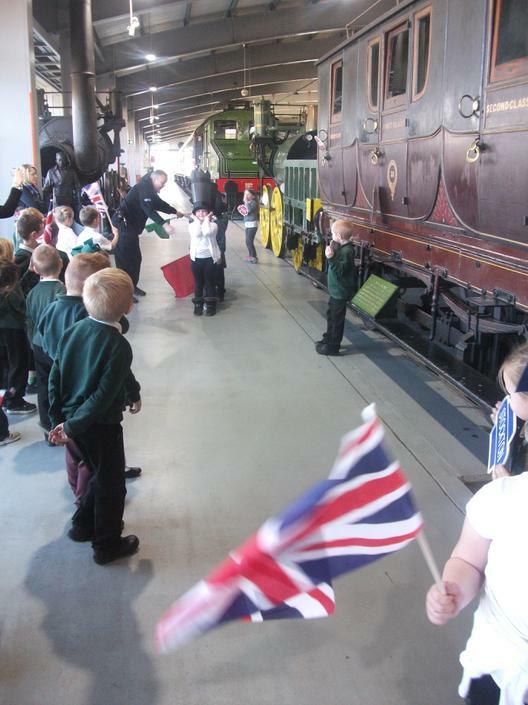 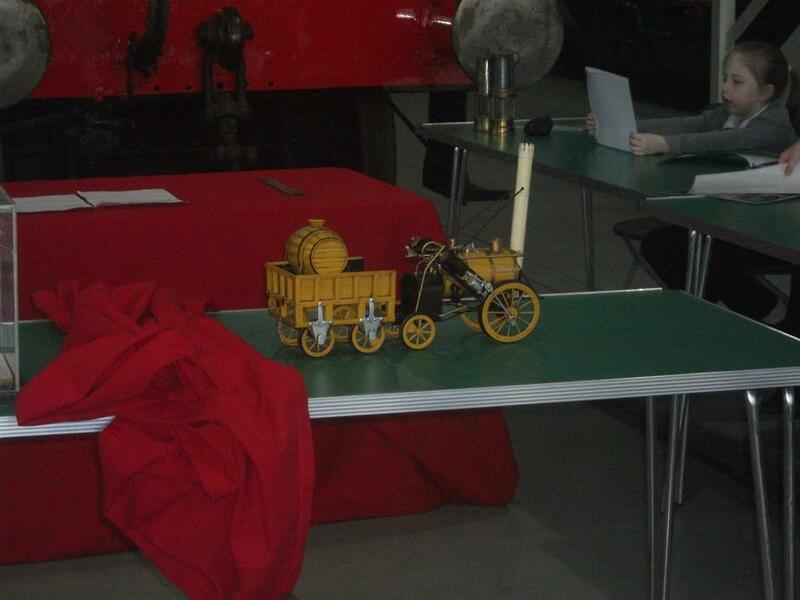 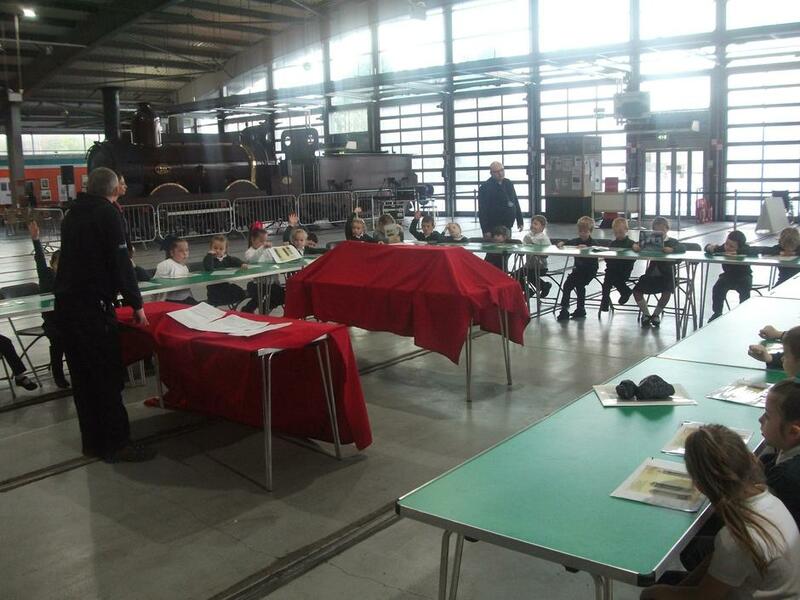 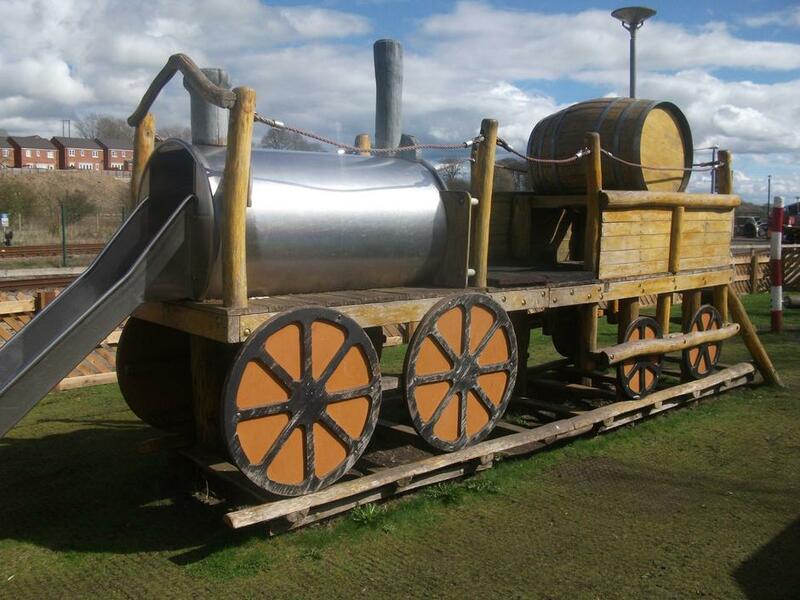 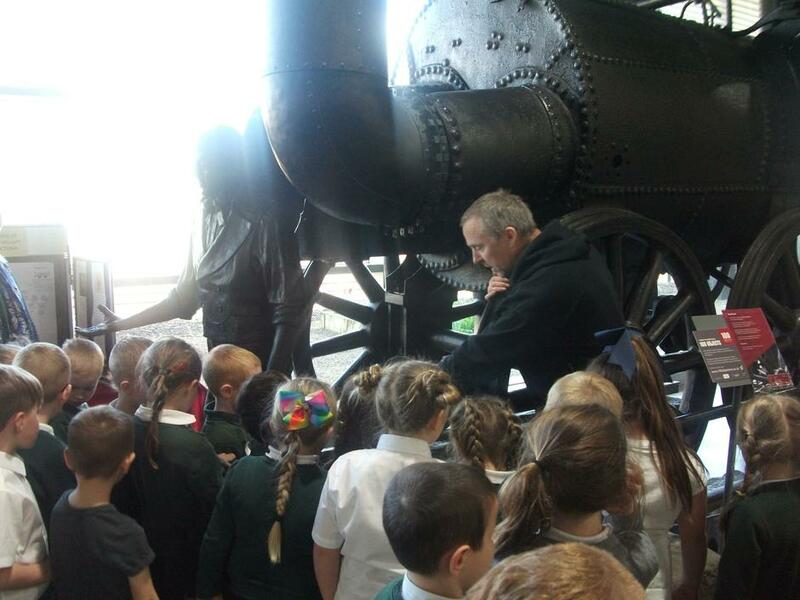 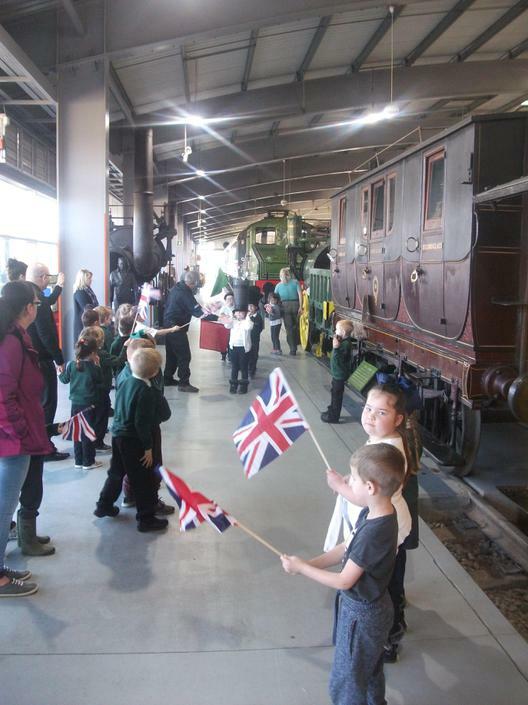 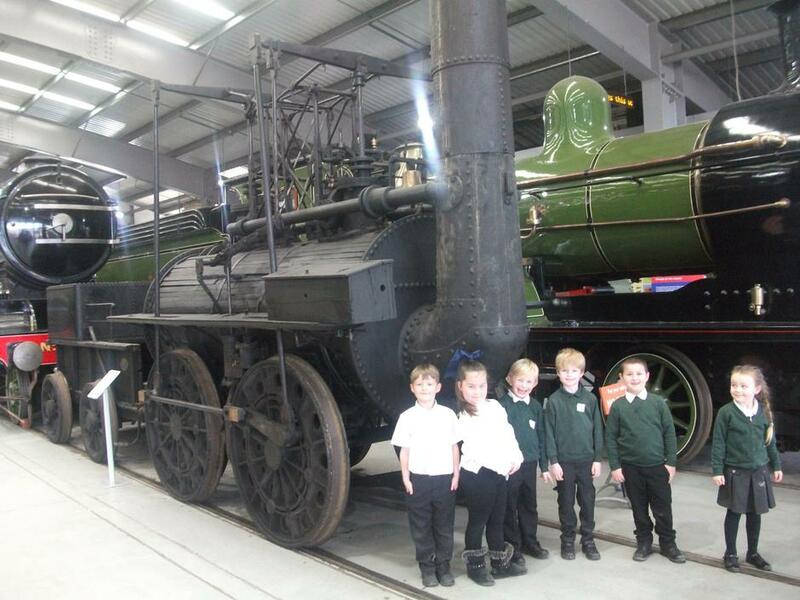 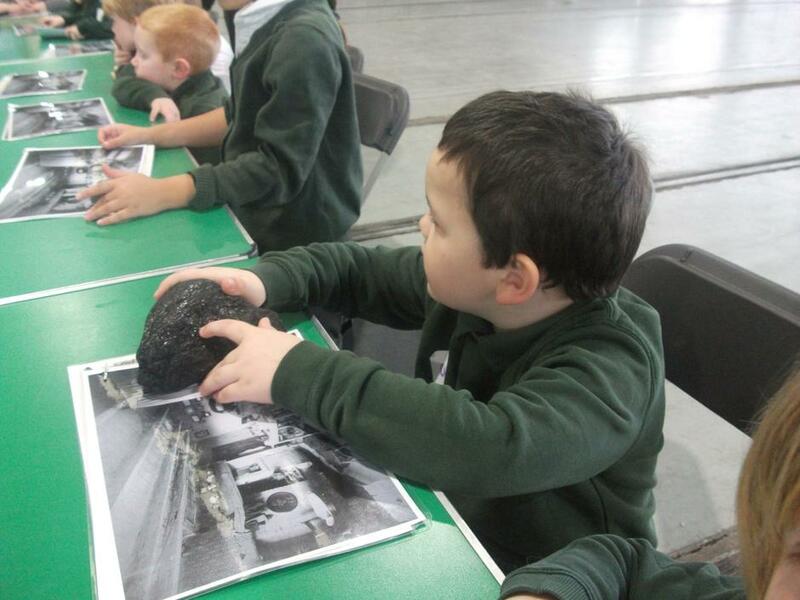 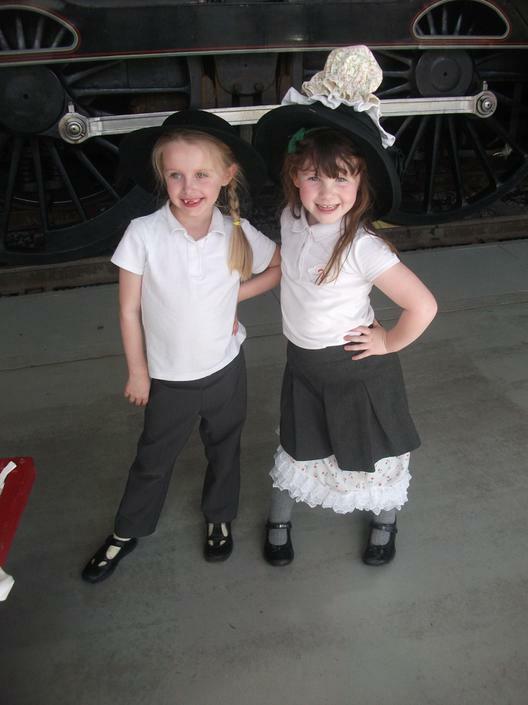 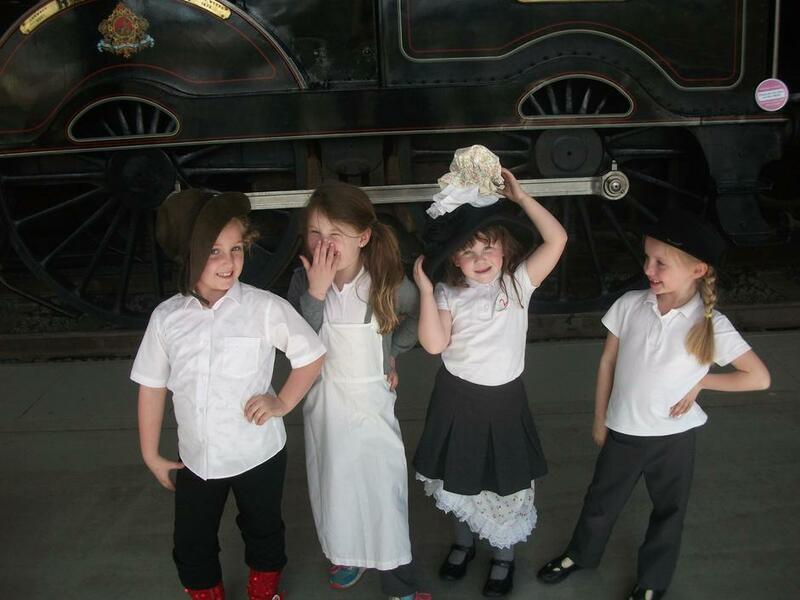 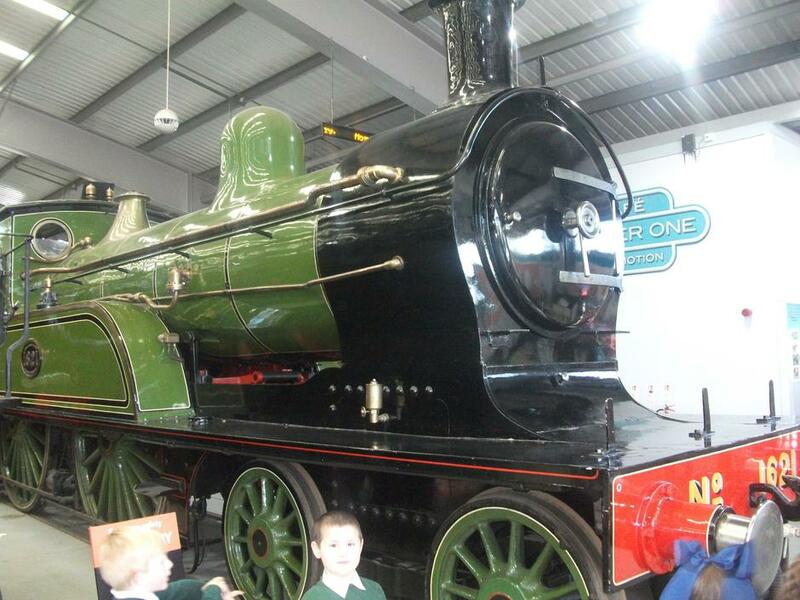 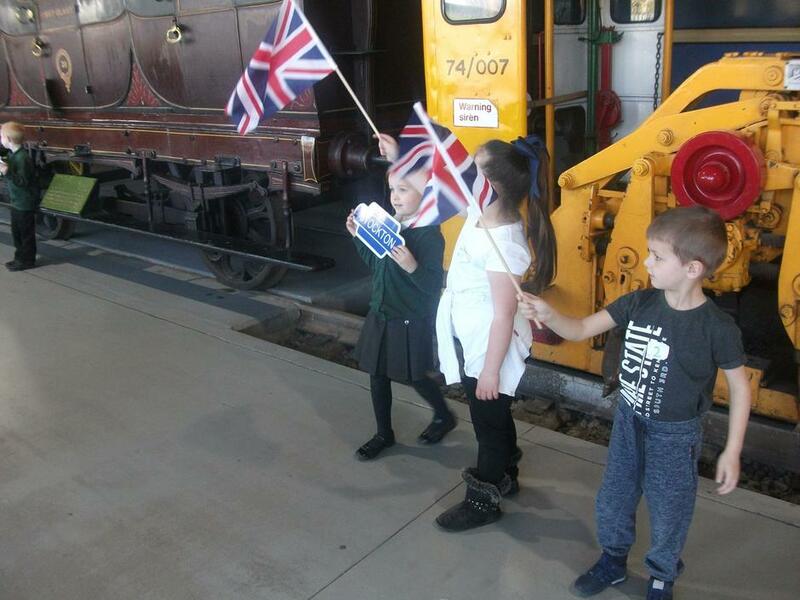 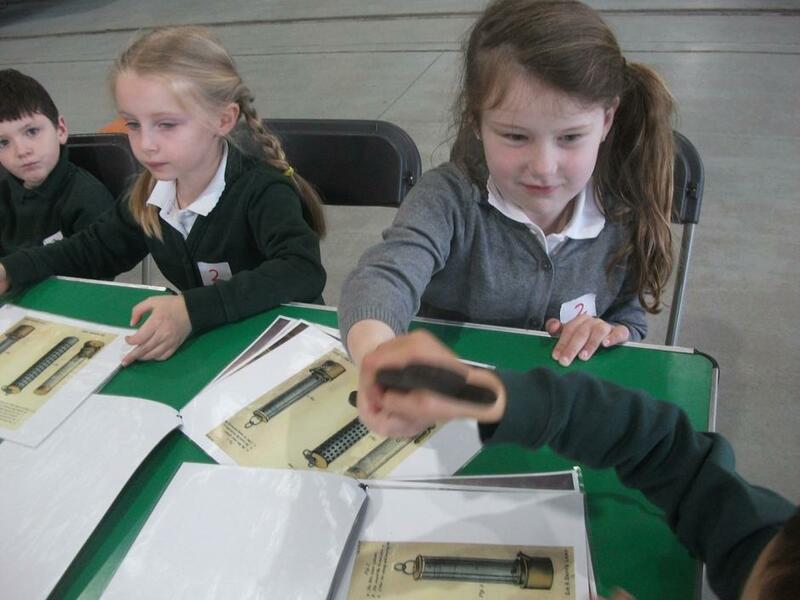 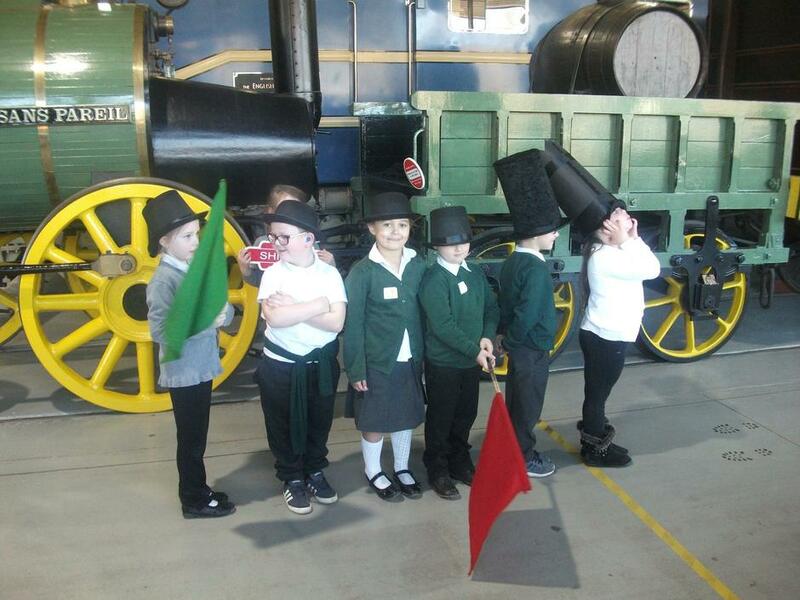 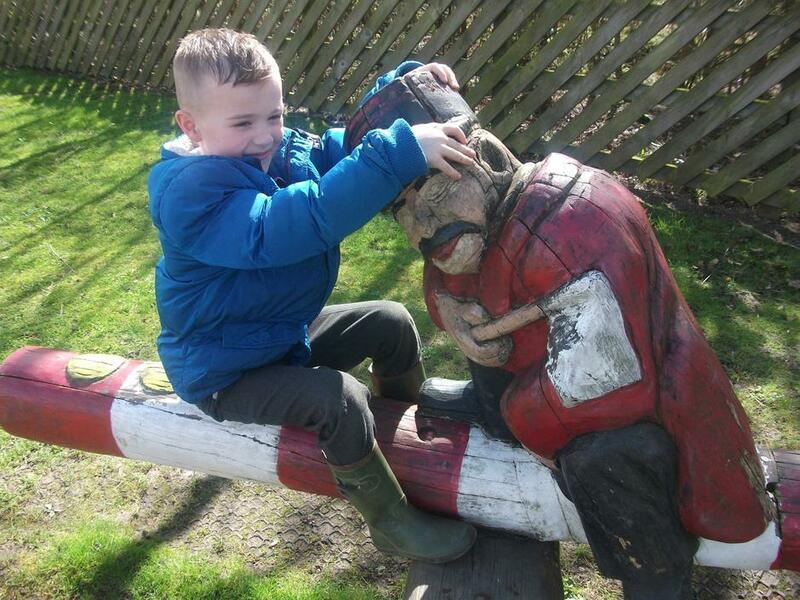 As part of our History topic, we visited Shildon Locomotion to find out about the lives and significance of George Stephenson and Timothy Hackworth. 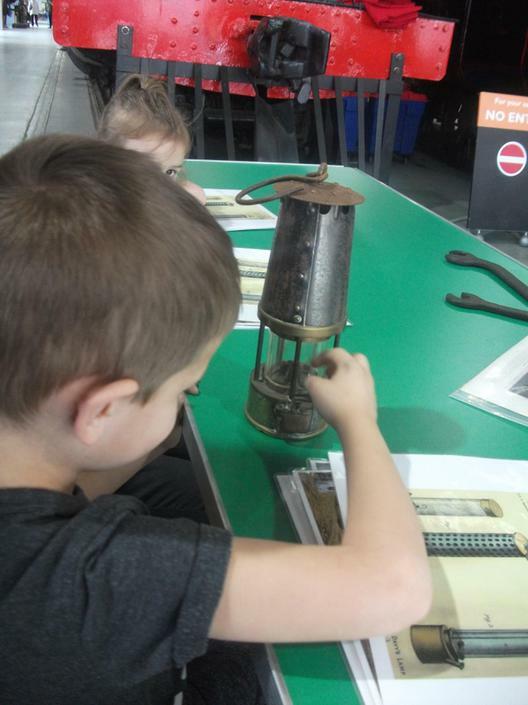 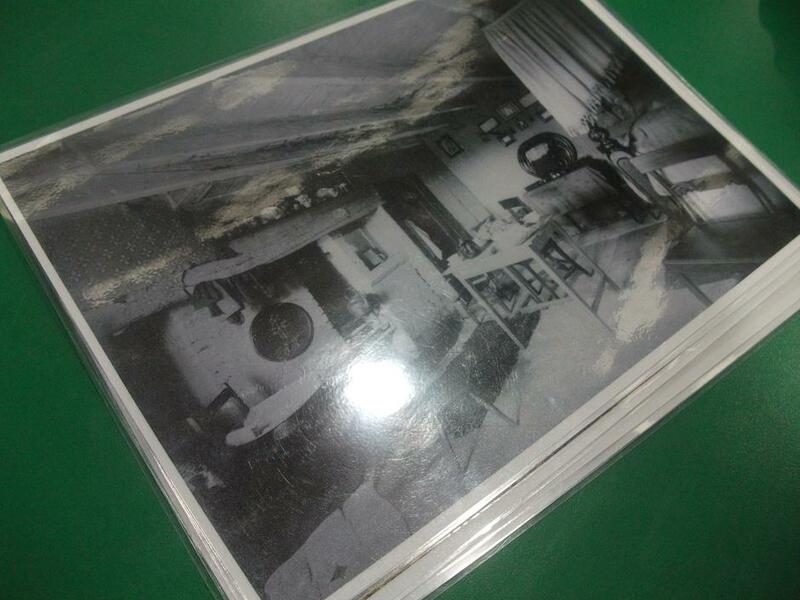 We handled artefacts and investigated pictures from the past to find out what their lives were like and we looked at replicas of the Locomotion, Sans Pareil and Rocket. 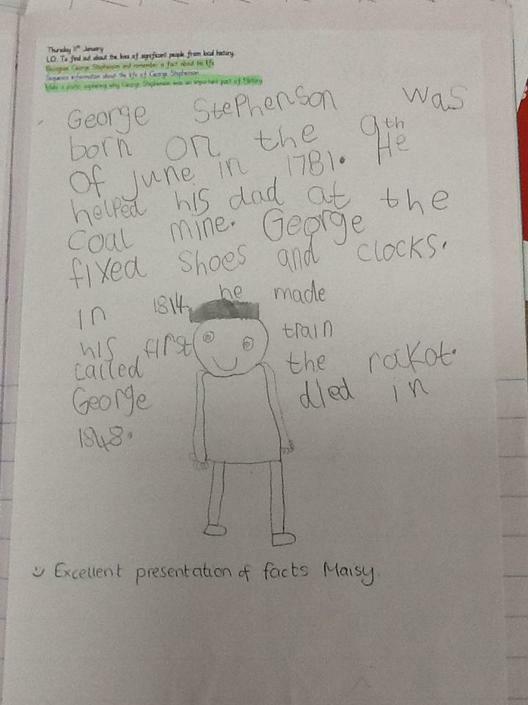 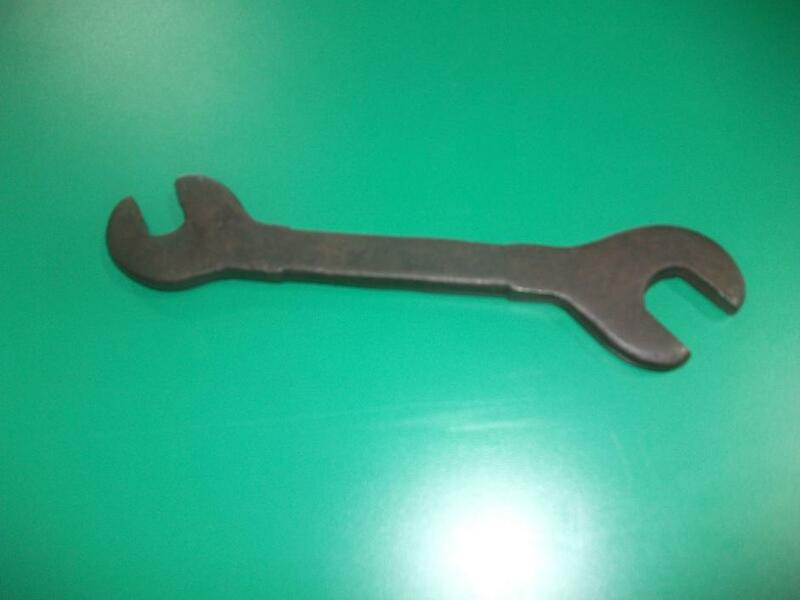 We used role play to find out more about the significance of the events surrounding these inventions and we completed craft activities to reinforce our learning. 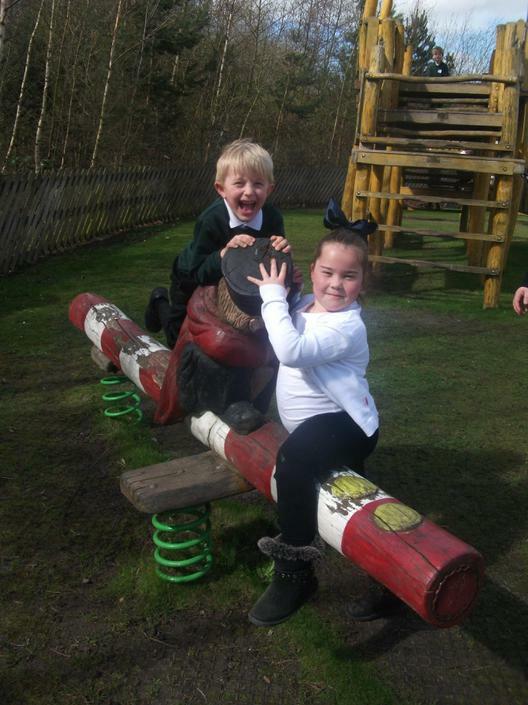 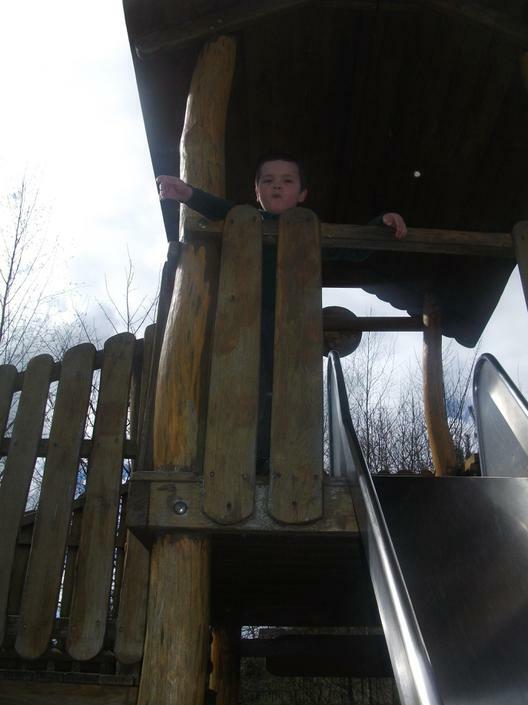 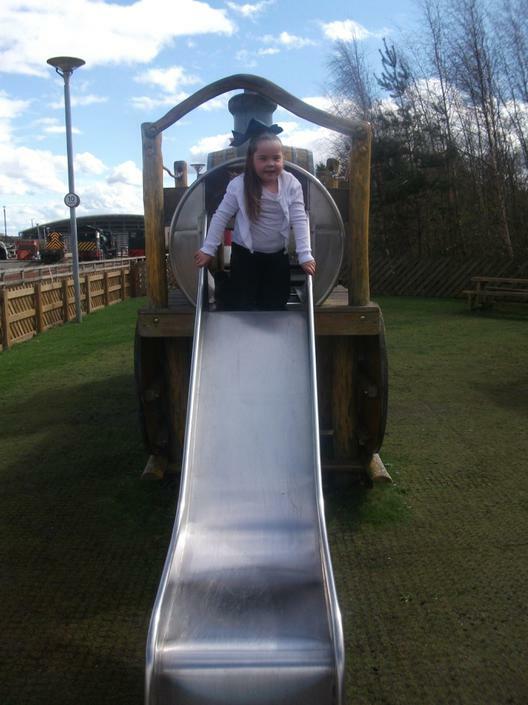 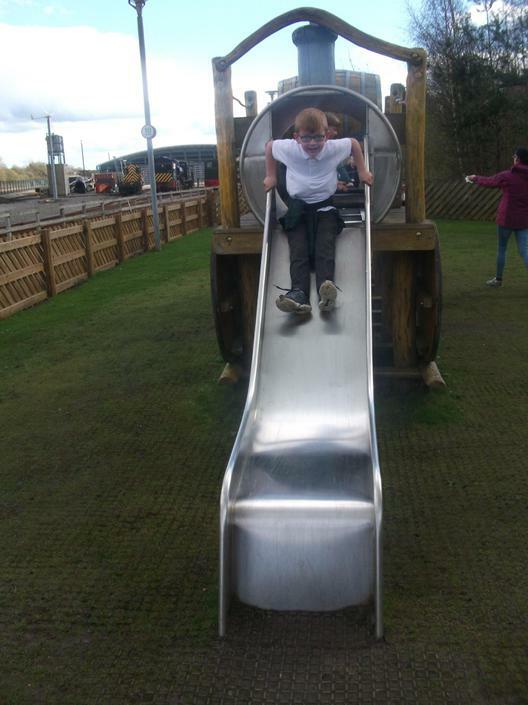 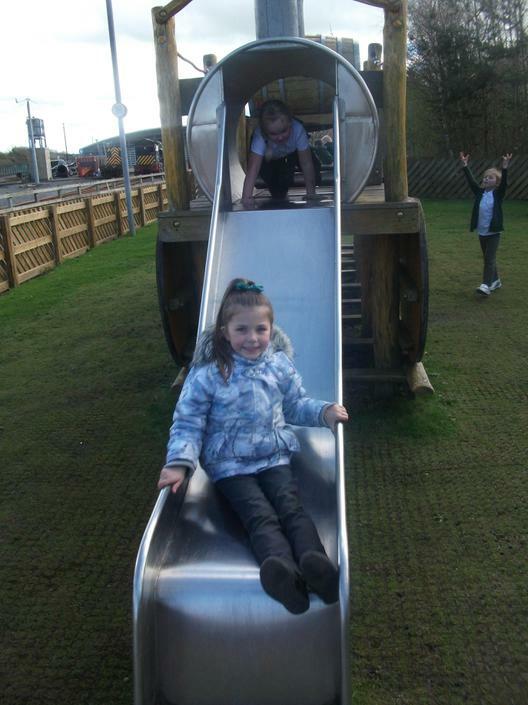 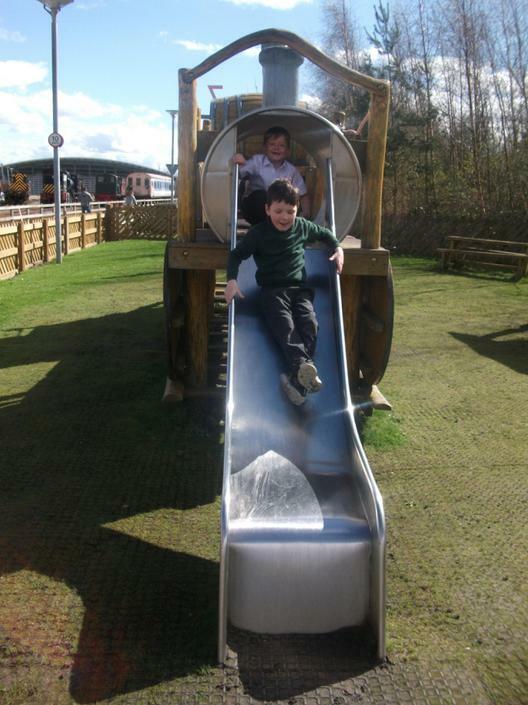 However, our favourite part of the trip was exploring all of the different trains and then letting off some steam in the play area! 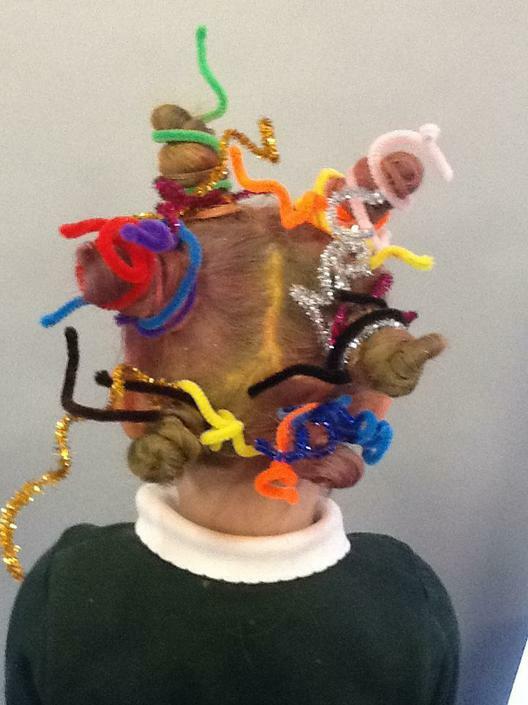 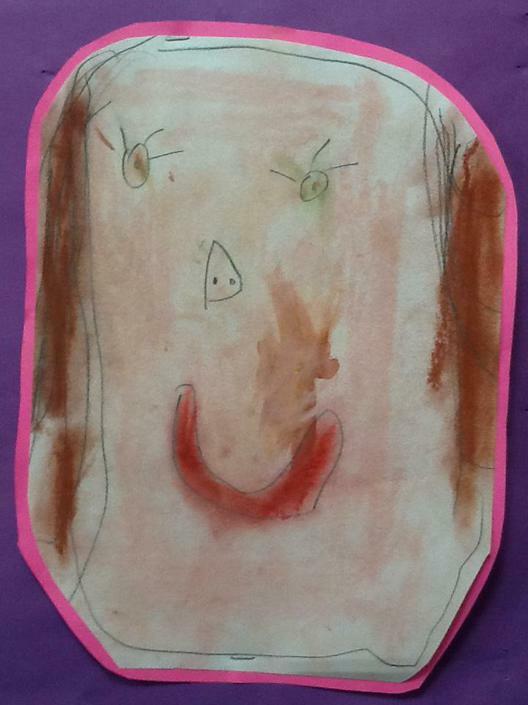 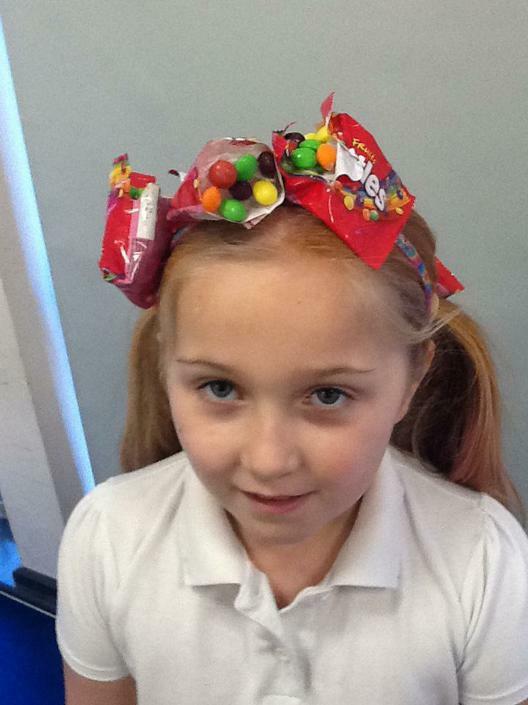 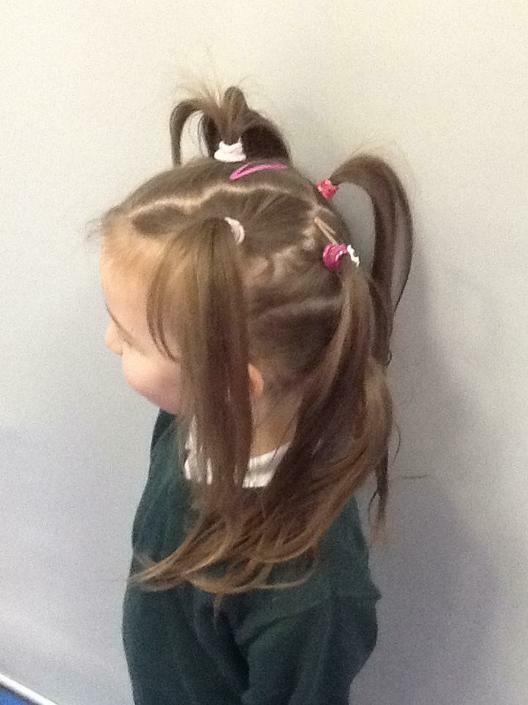 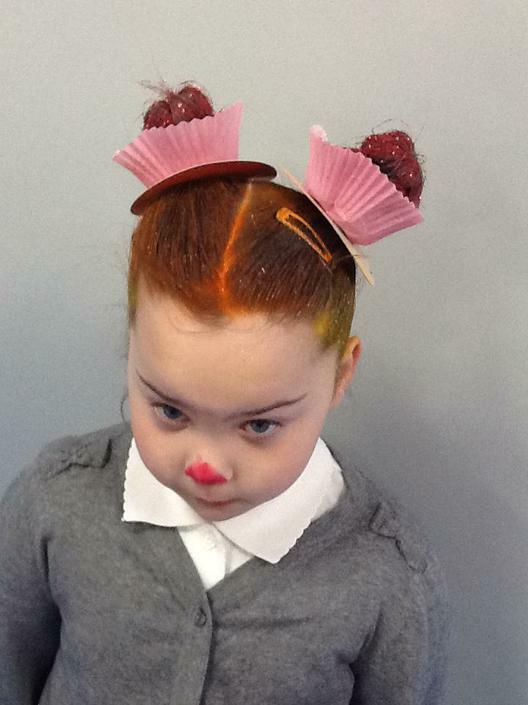 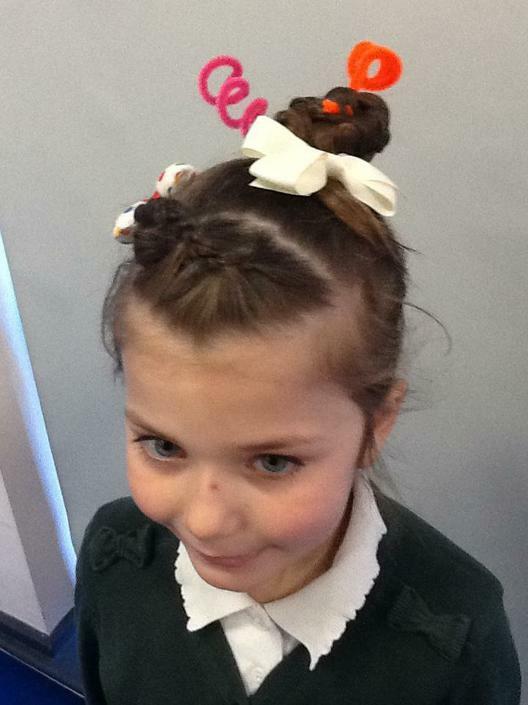 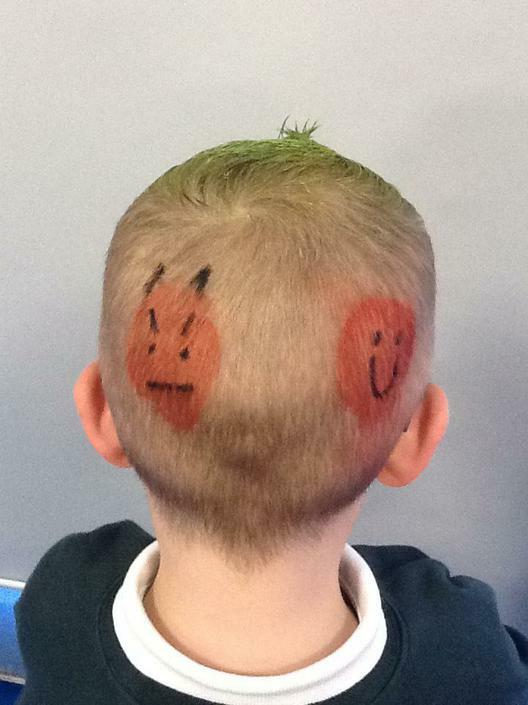 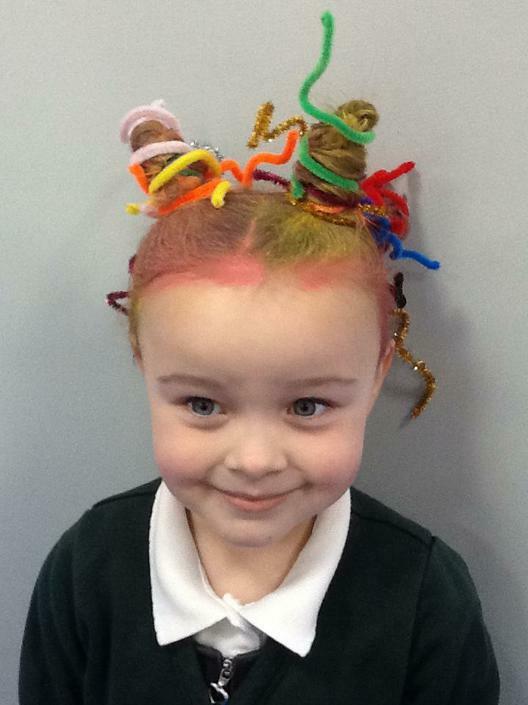 Year One enjoyed showing we care with our hair! 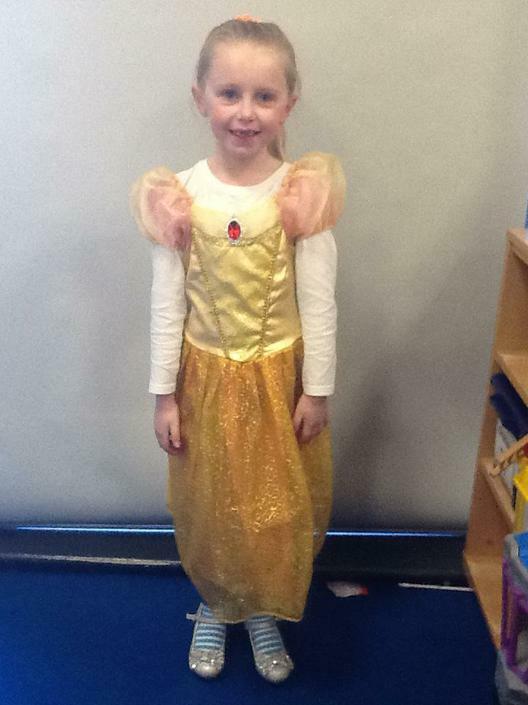 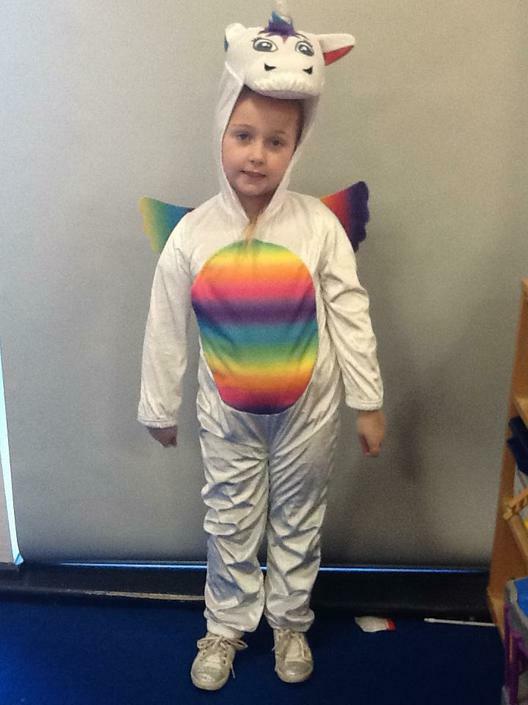 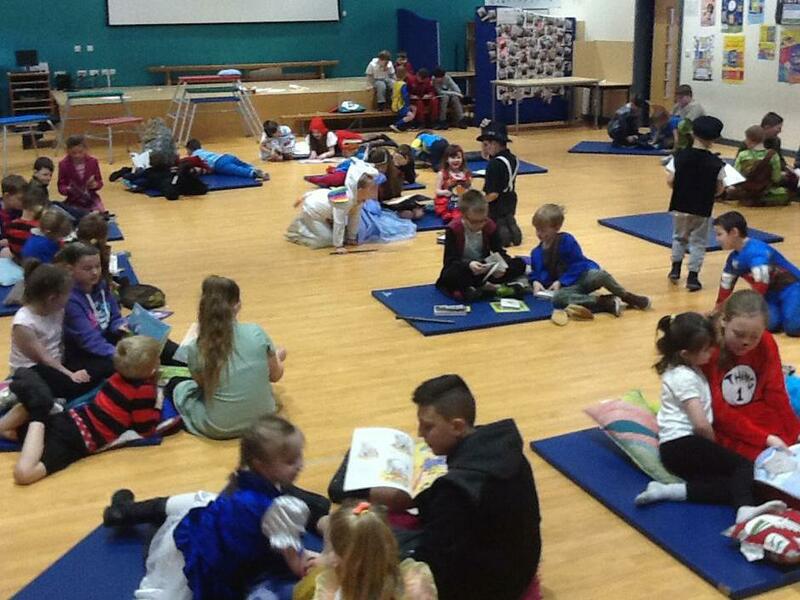 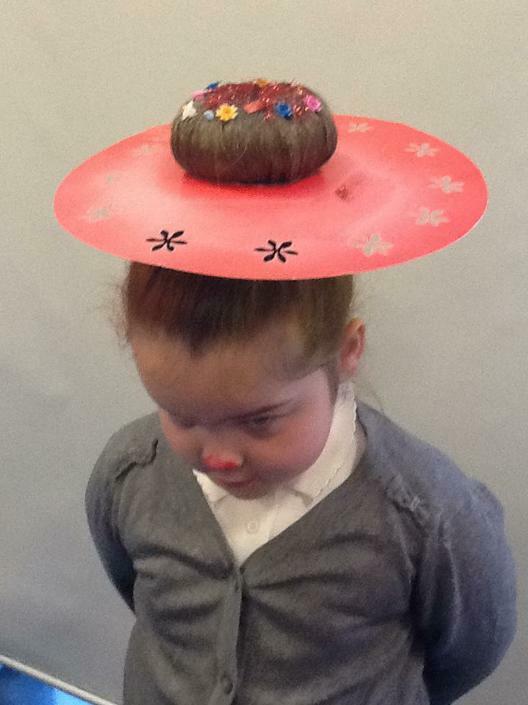 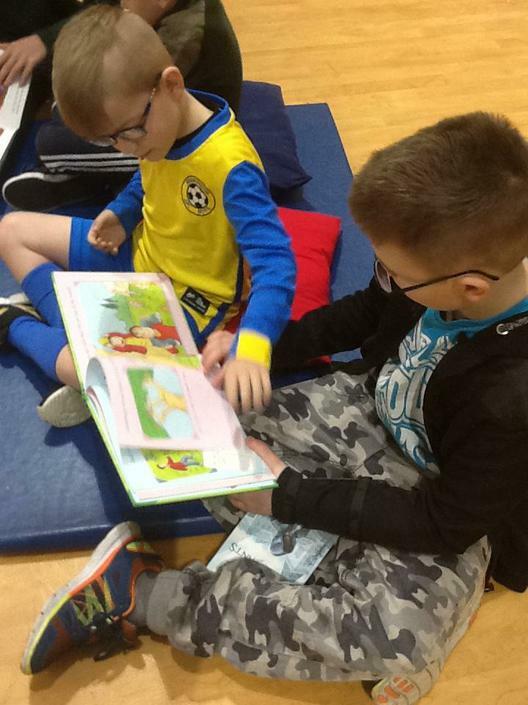 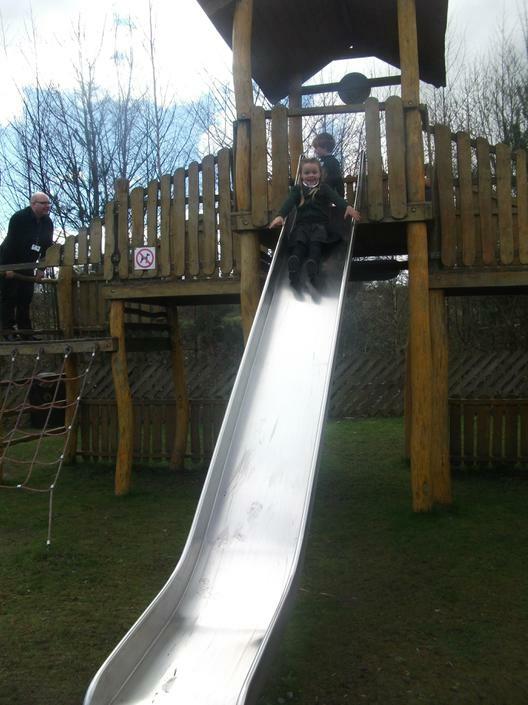 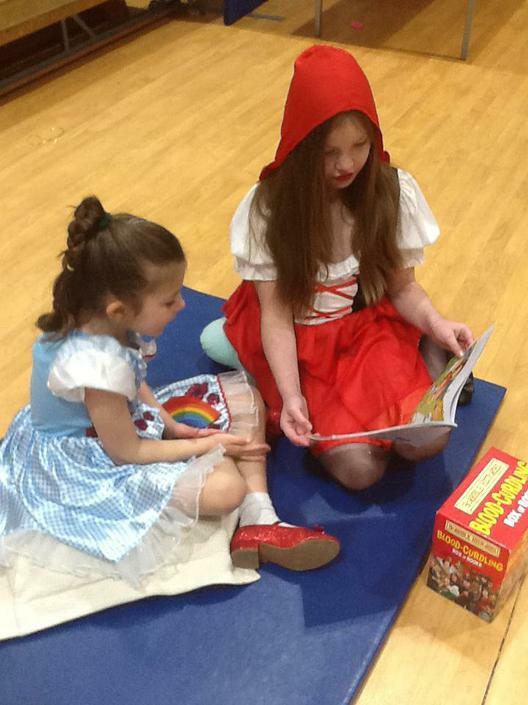 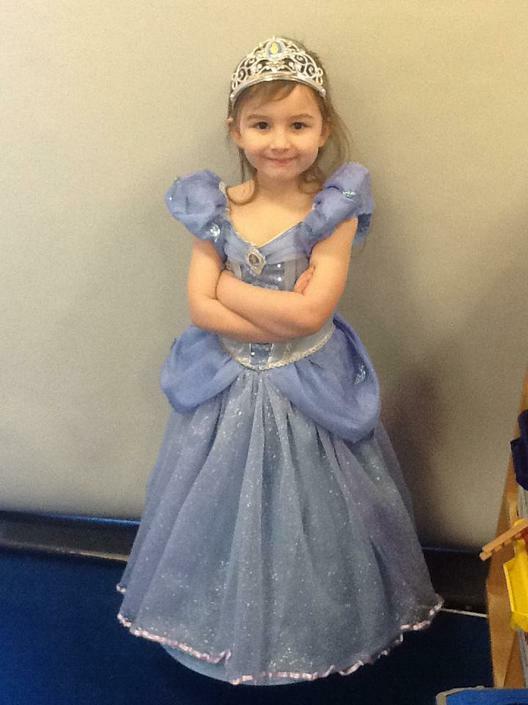 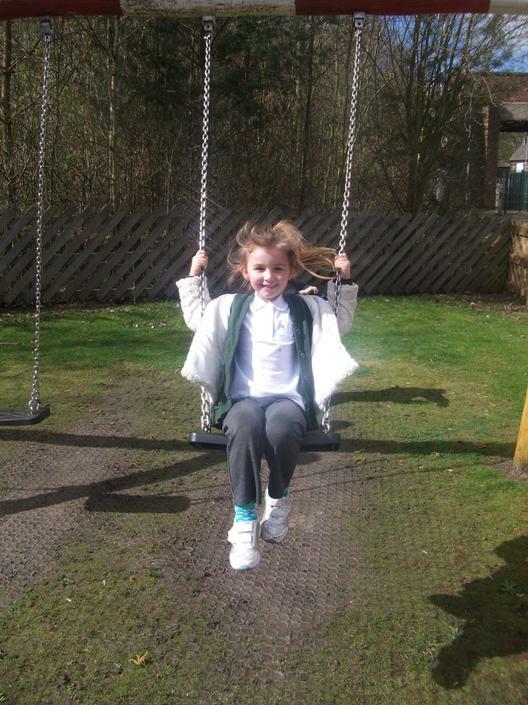 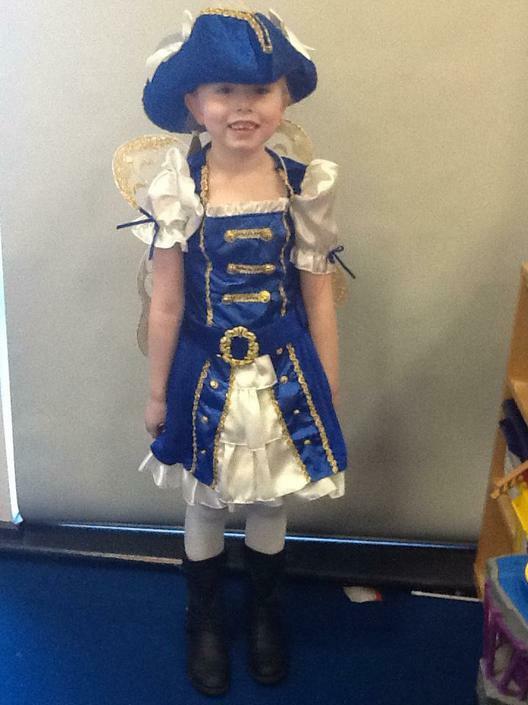 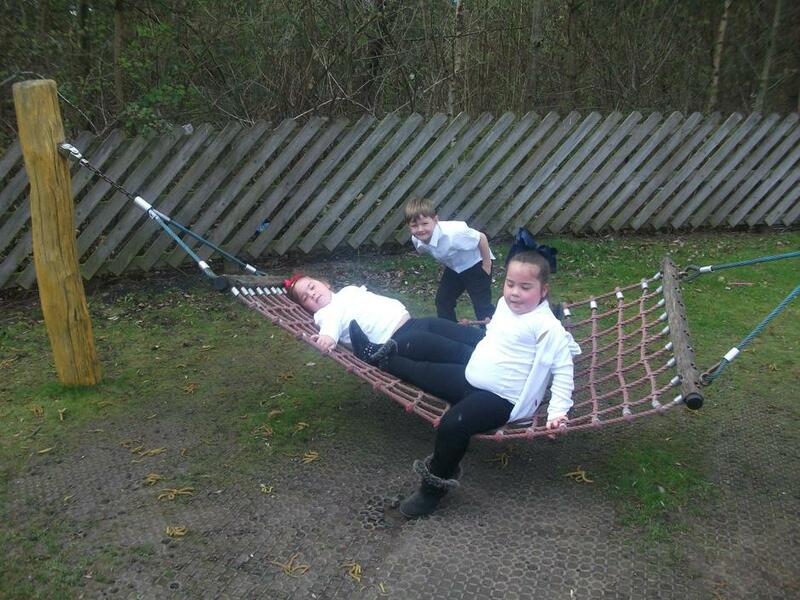 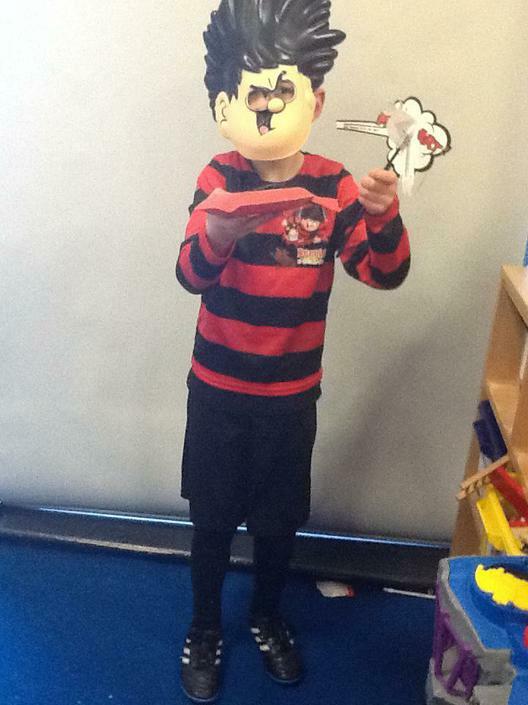 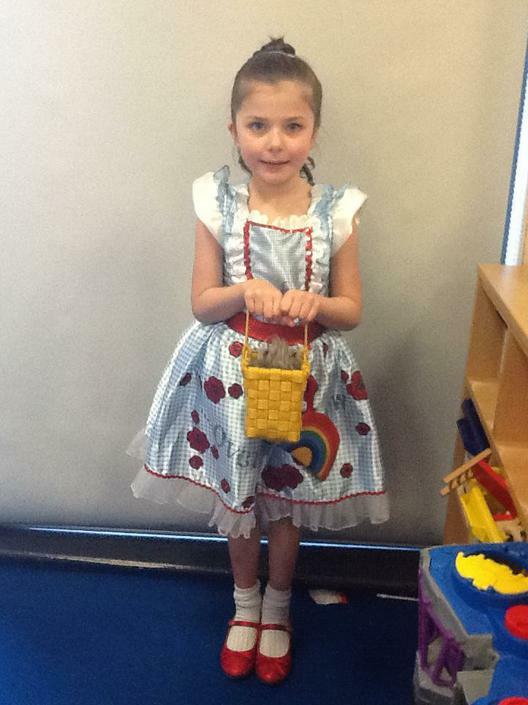 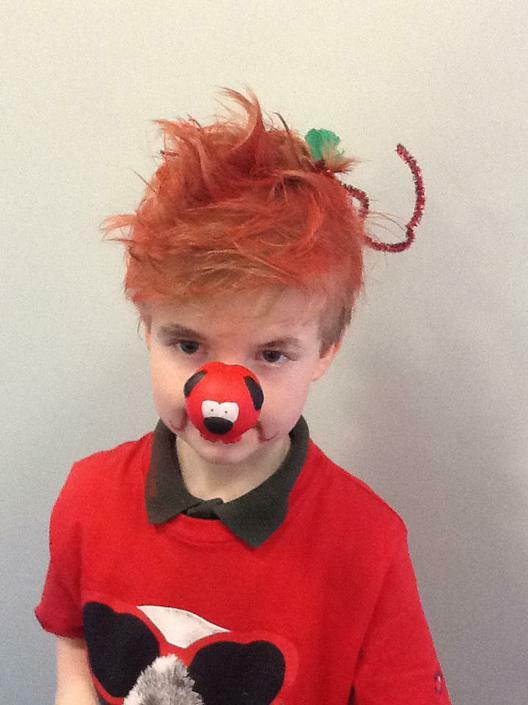 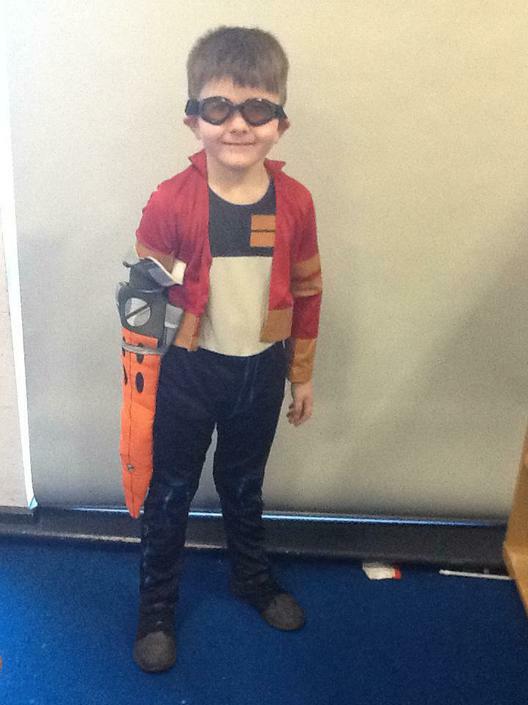 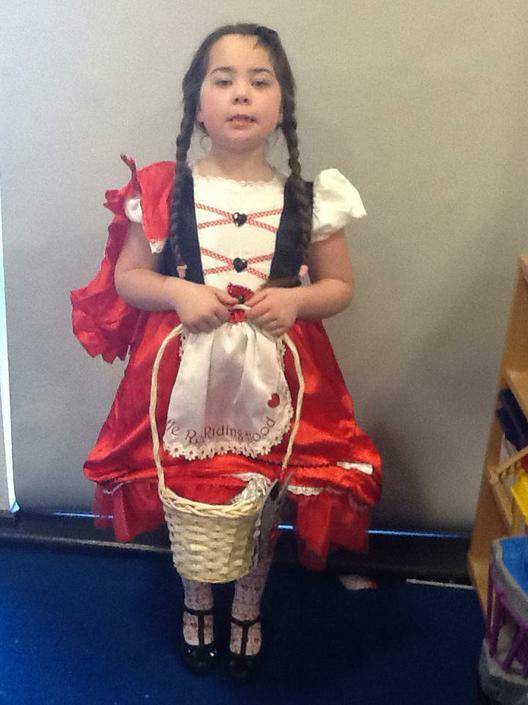 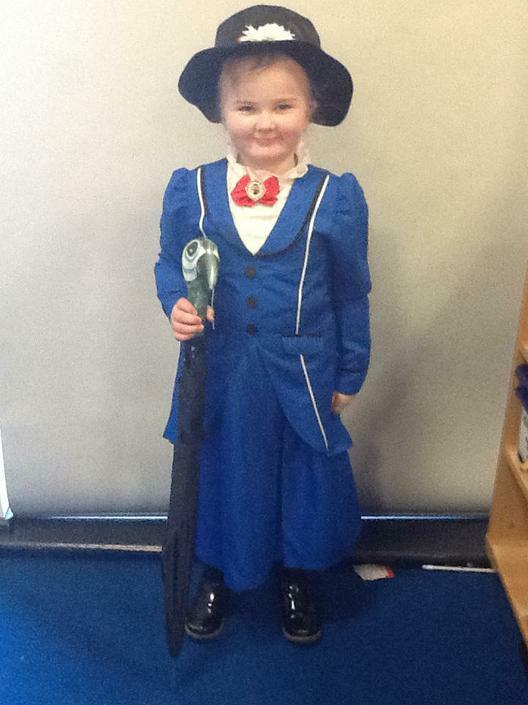 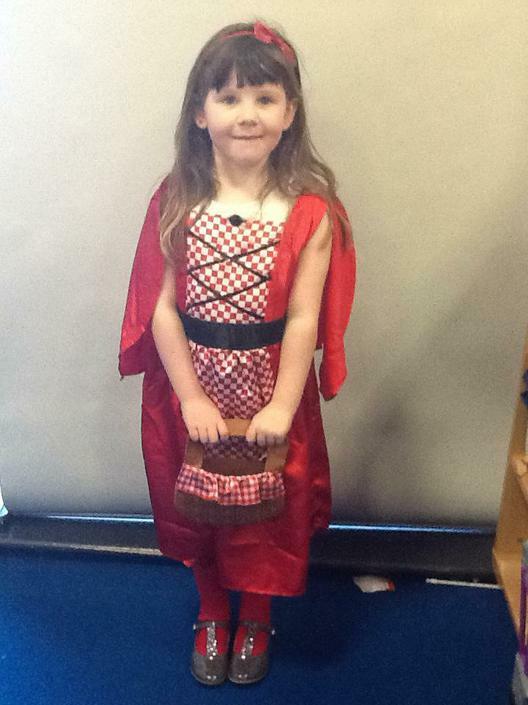 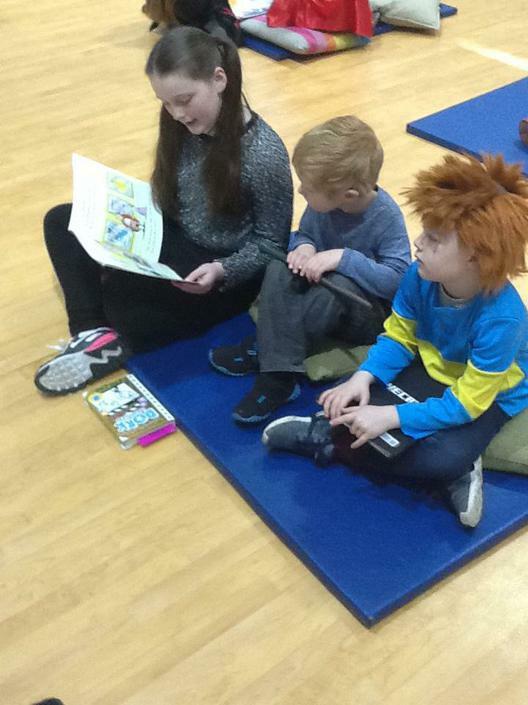 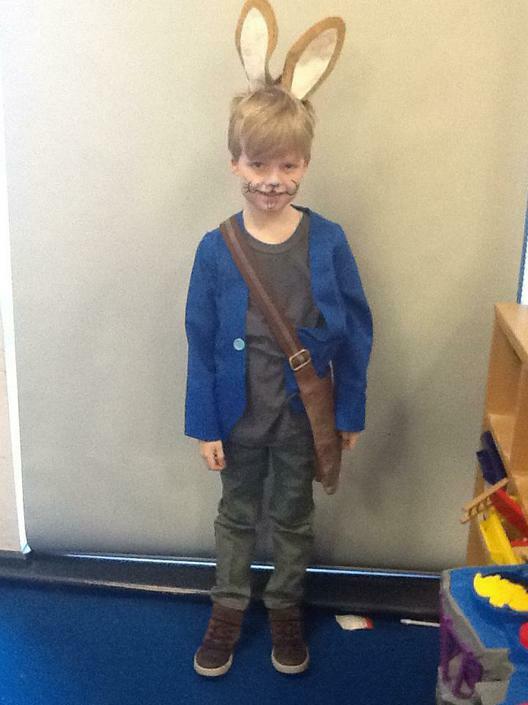 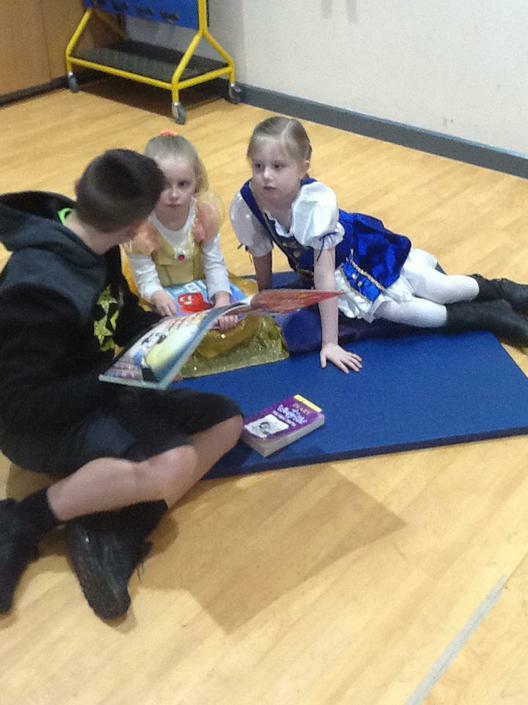 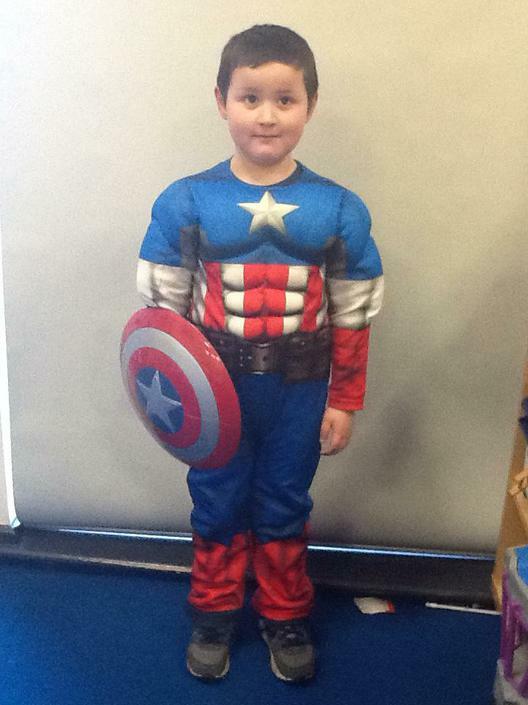 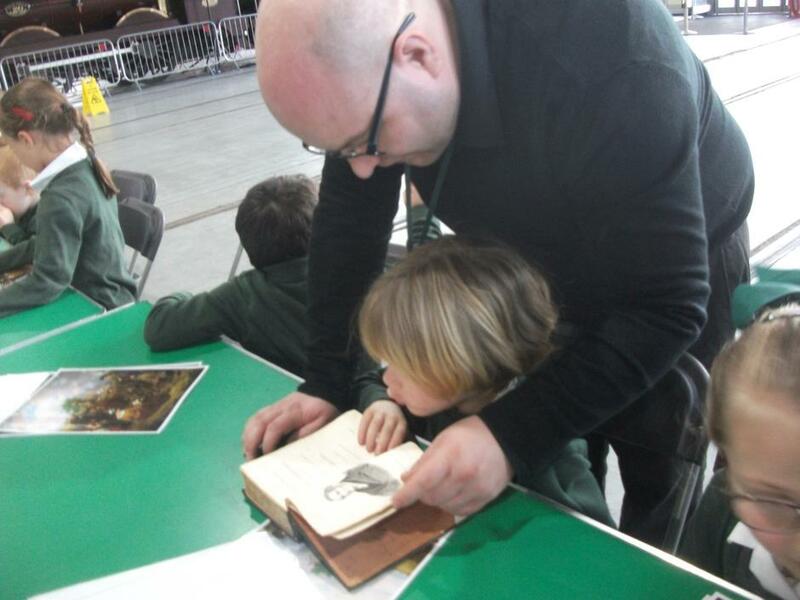 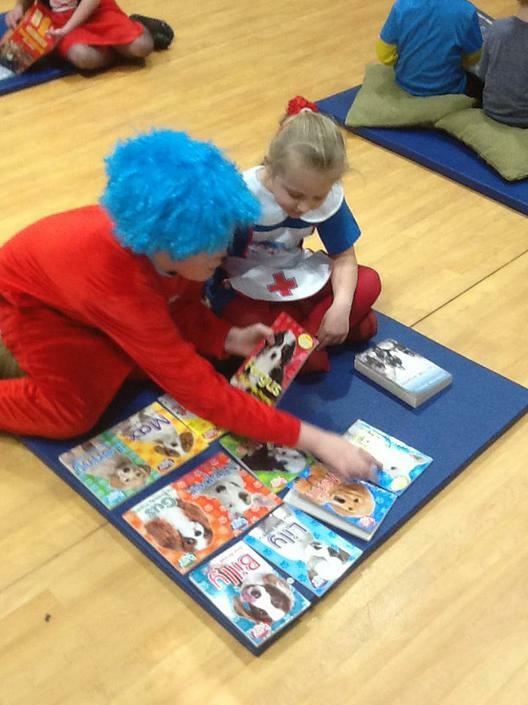 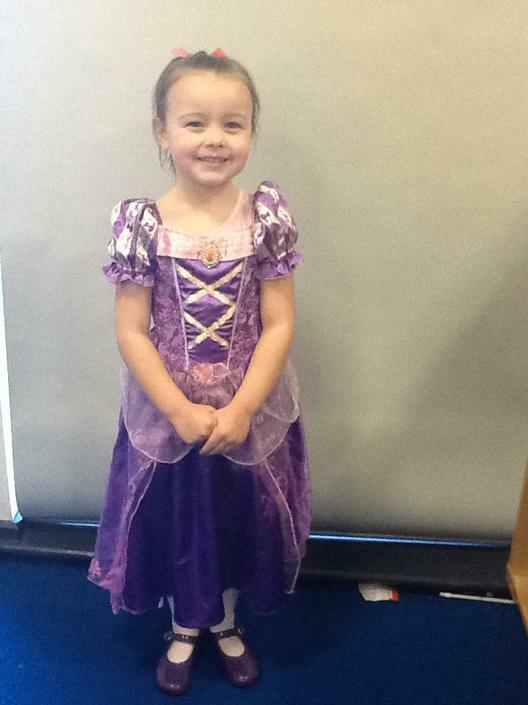 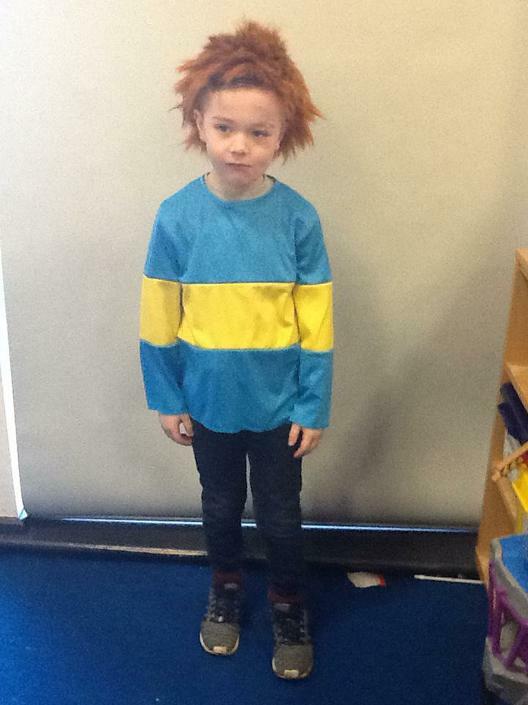 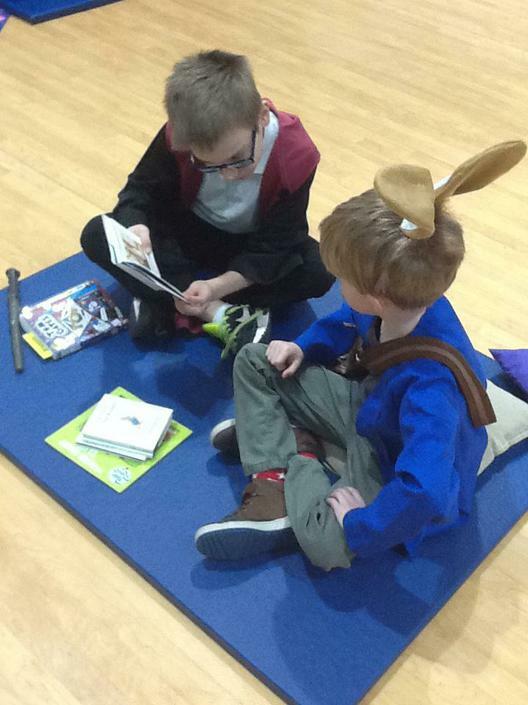 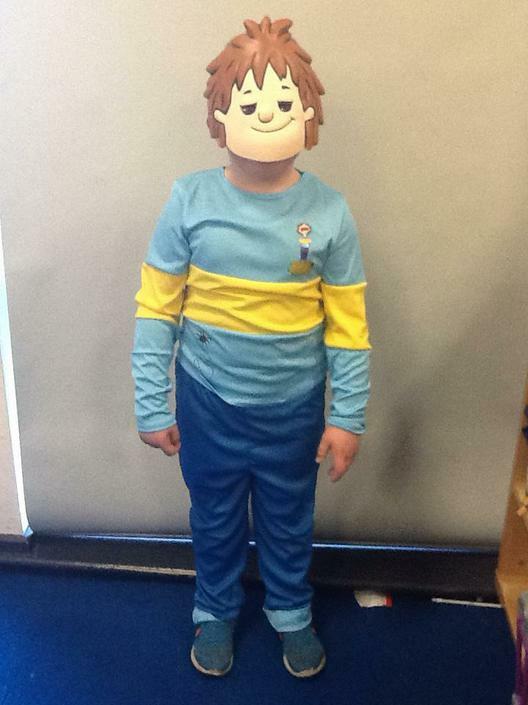 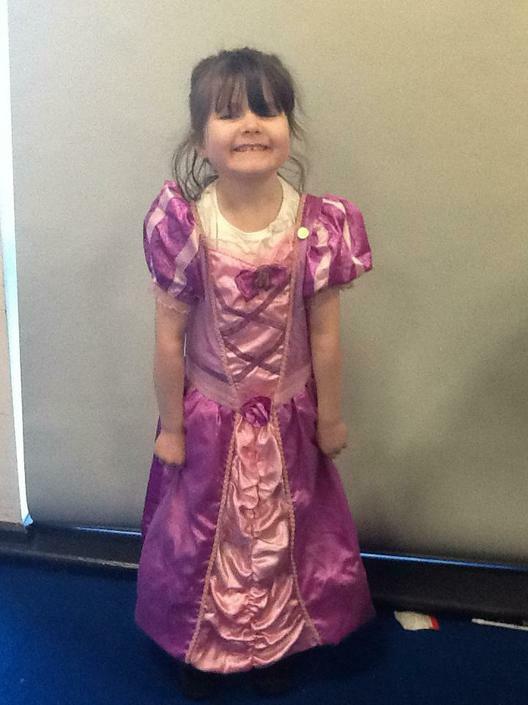 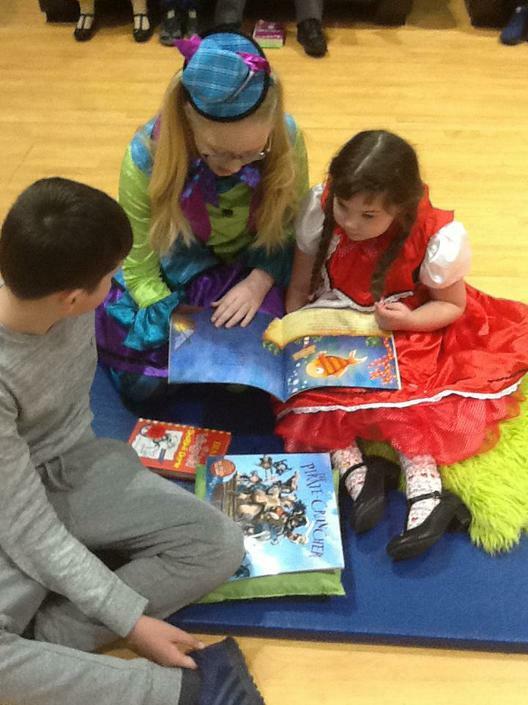 The children had a wonderful day, celebrating World Book Day. 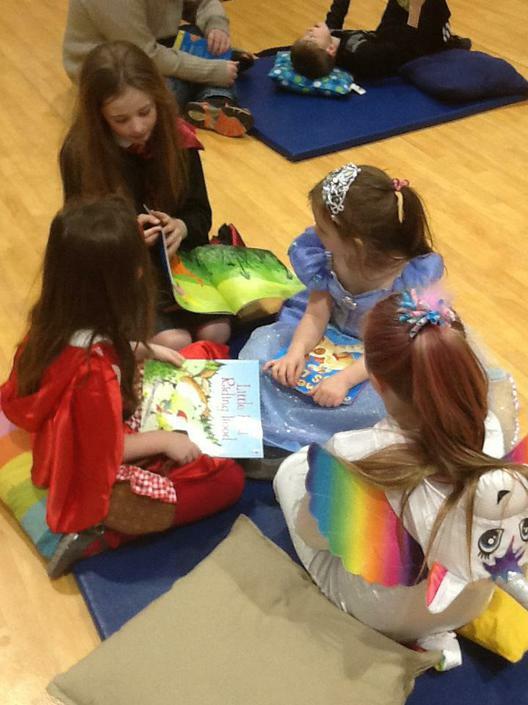 They all dressed as their favourite book characters. 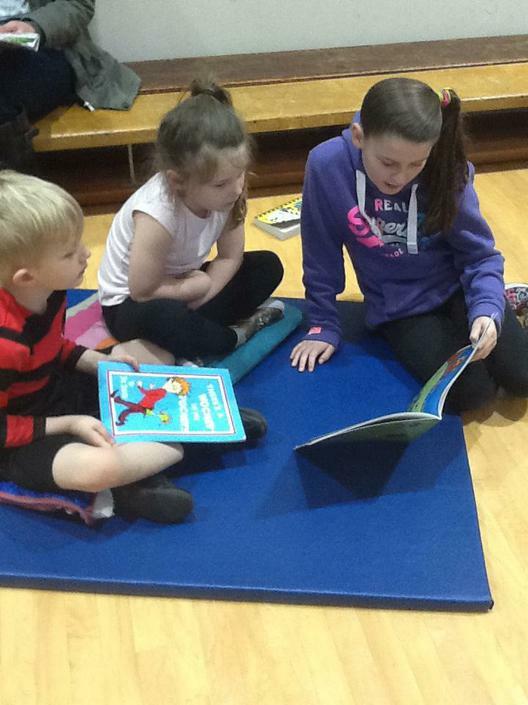 We read Giraffes Can't Dance by Giles Andreae. 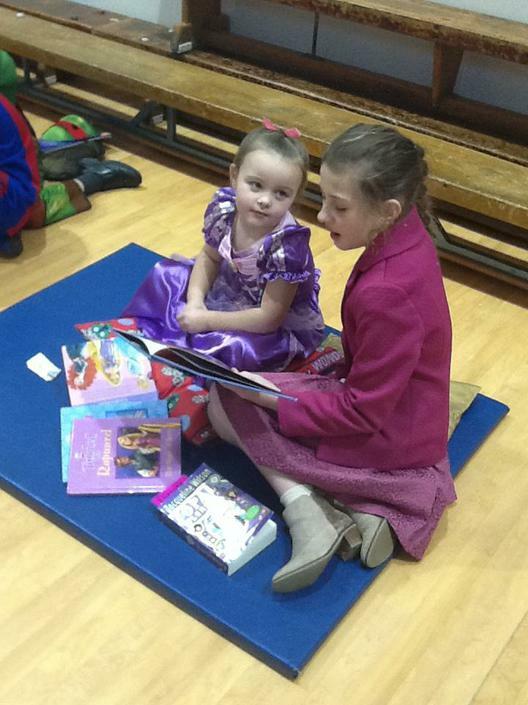 Enjoy the story yourself, by following the link below. 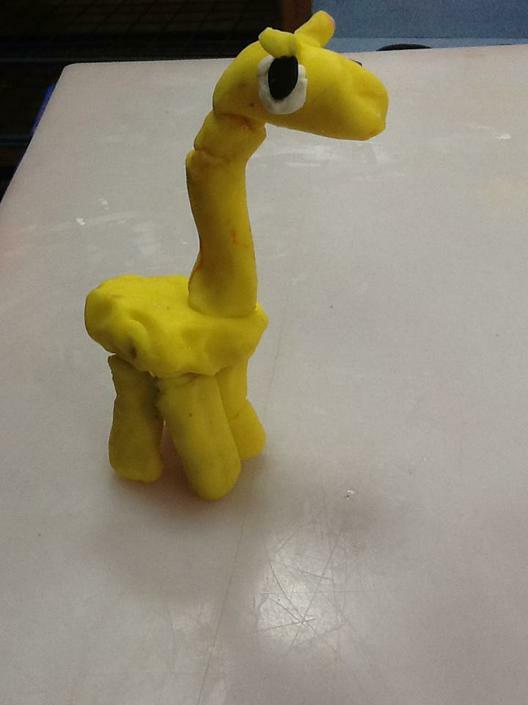 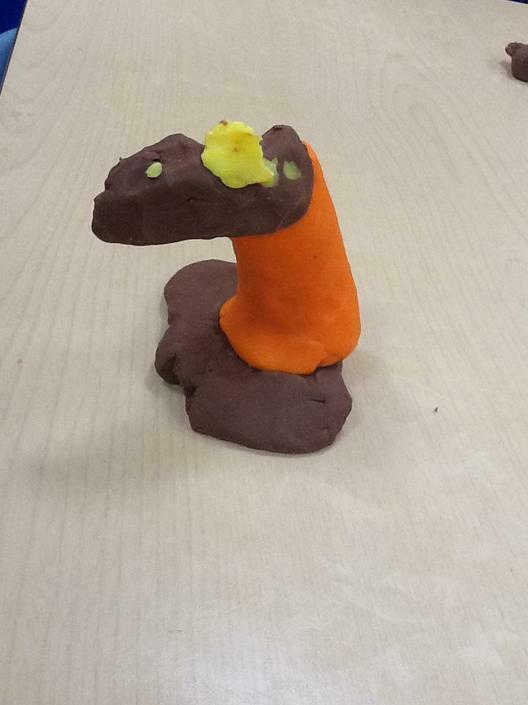 After reading the story, we made our own giraffes from plasticine; drew jungle animals; wrote invitations and made shopping lists for the Jungle Dance; and made trophies and prizes to show Gerald how much we loved his dancing. 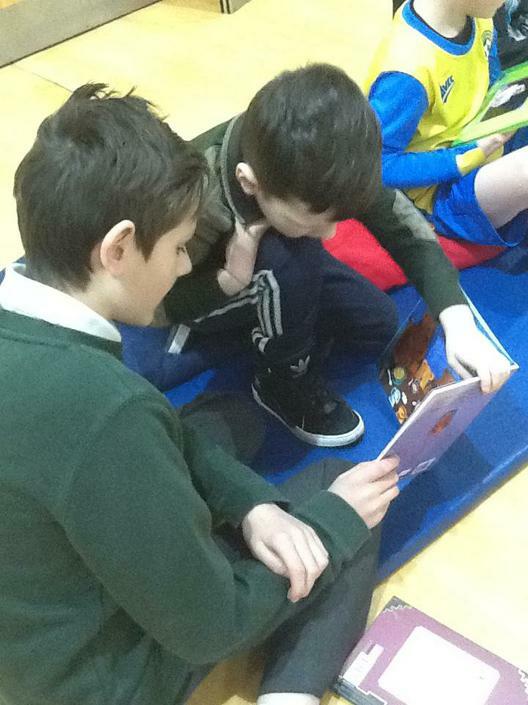 We finished the day by sharing some of our favourite stories with the Year 6 children. 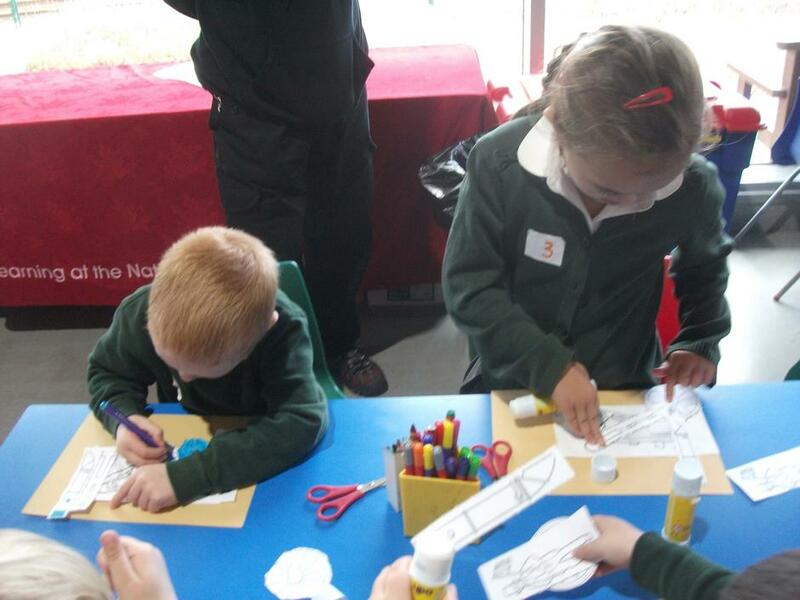 In order to learn how to stay safe when using the internet, we celebrated Safer Internet Day. 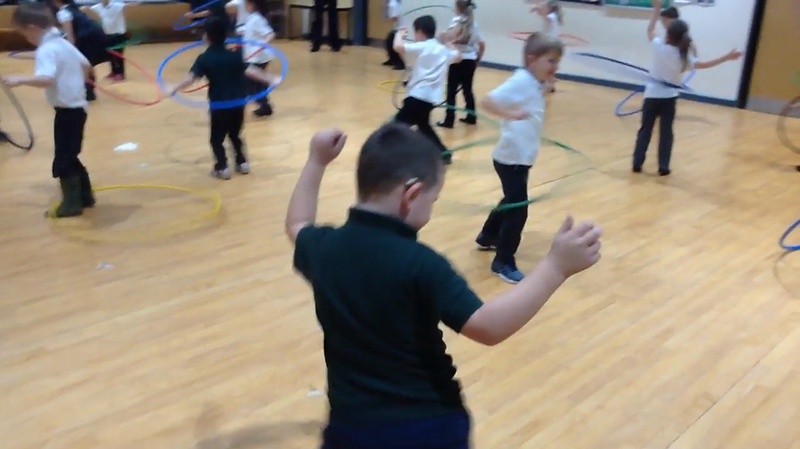 We watched videos, sang songs, read stories and completed lots of fun activities, which helped us understand why and how to stay safe online. 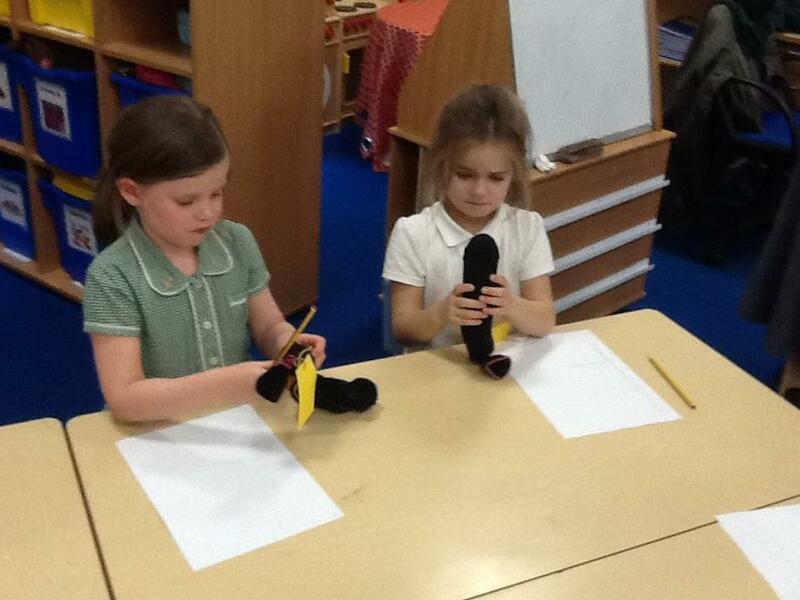 We presented what we found out to the rest of the school and to our parents and carers in a special assembly. 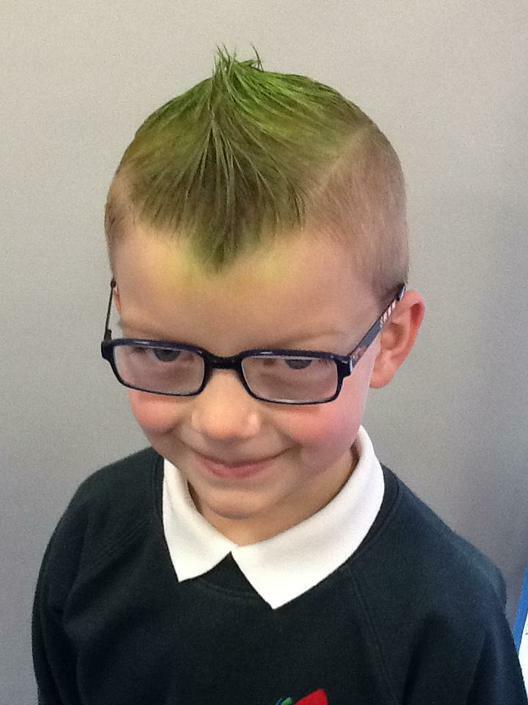 Follow the links below so you can find out more about how to keep your child safe online. 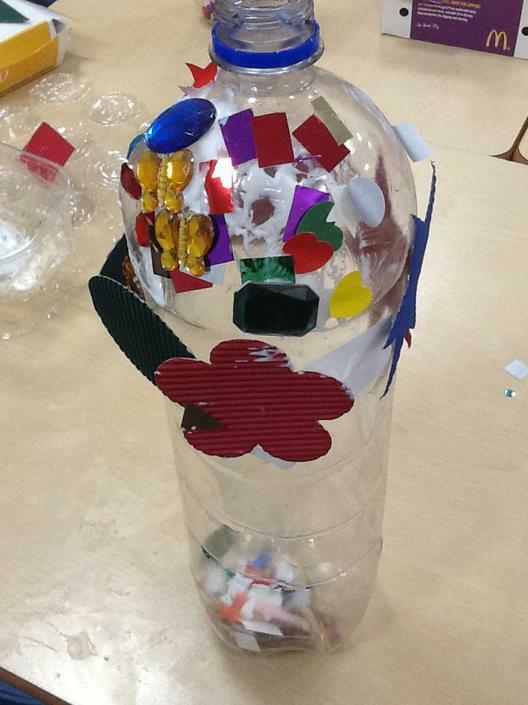 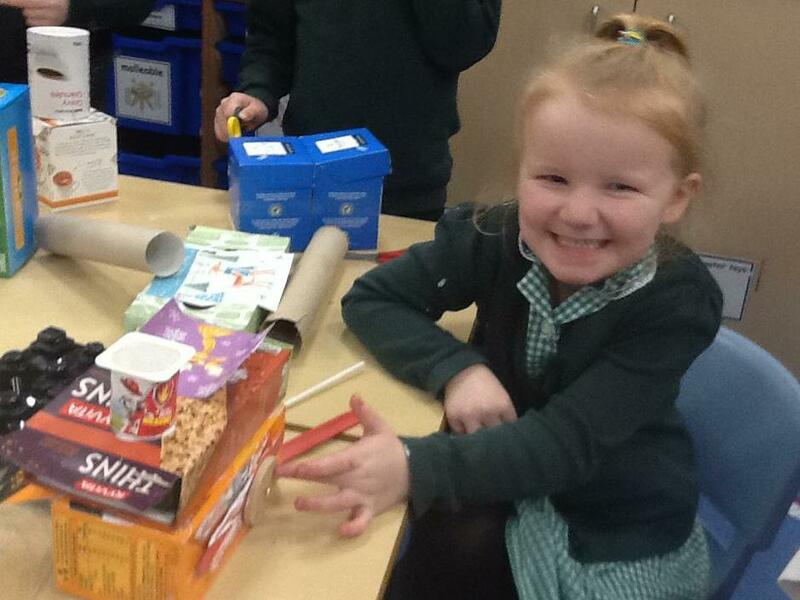 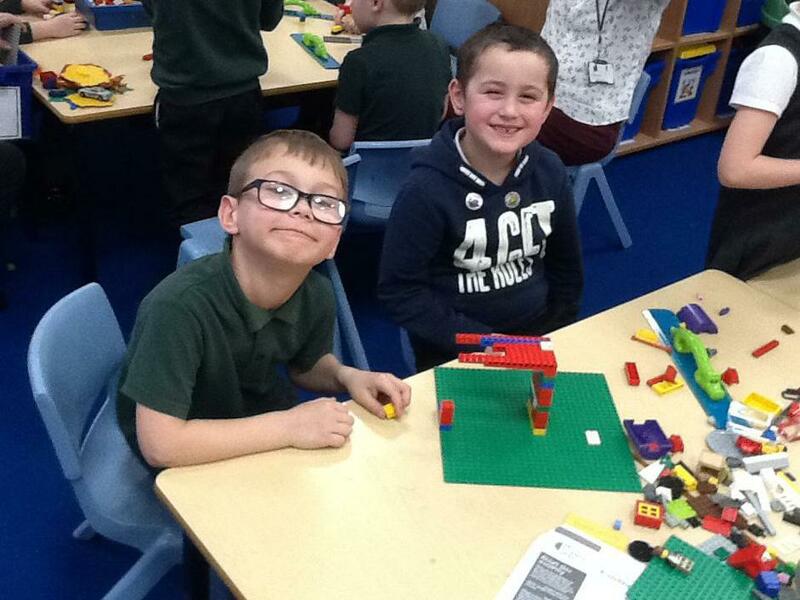 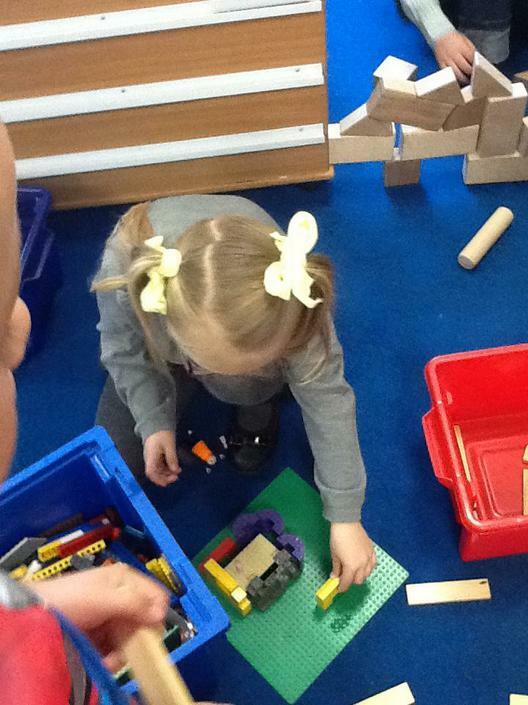 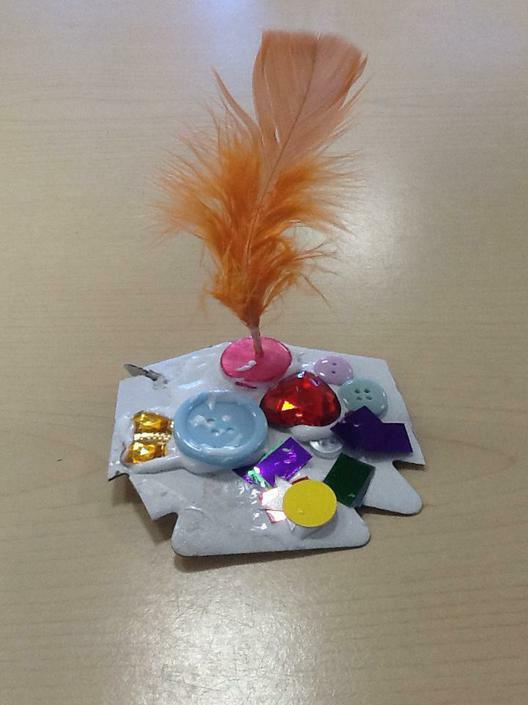 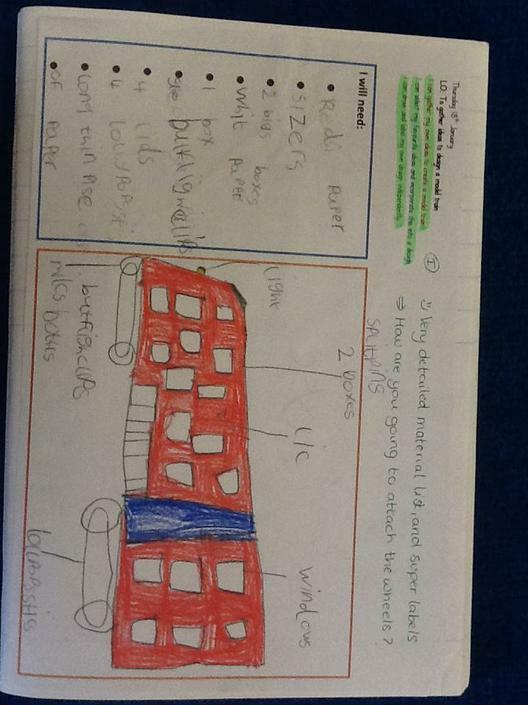 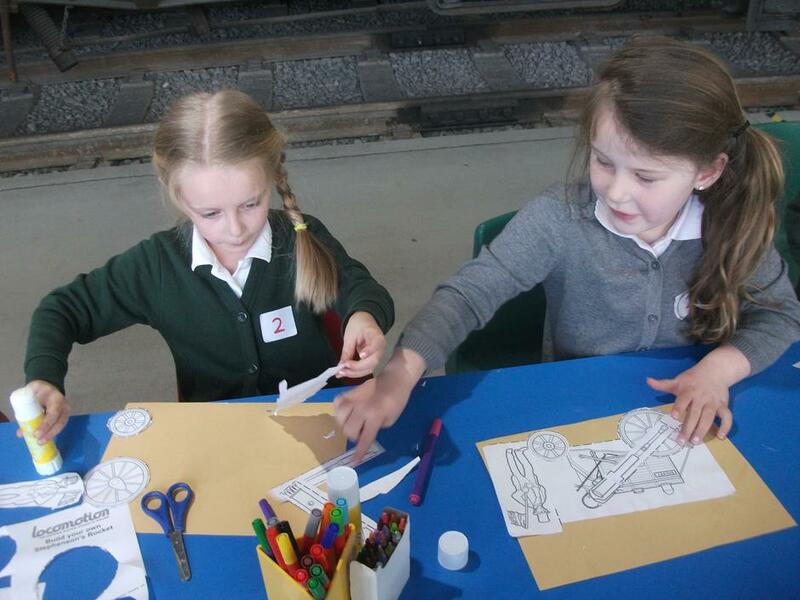 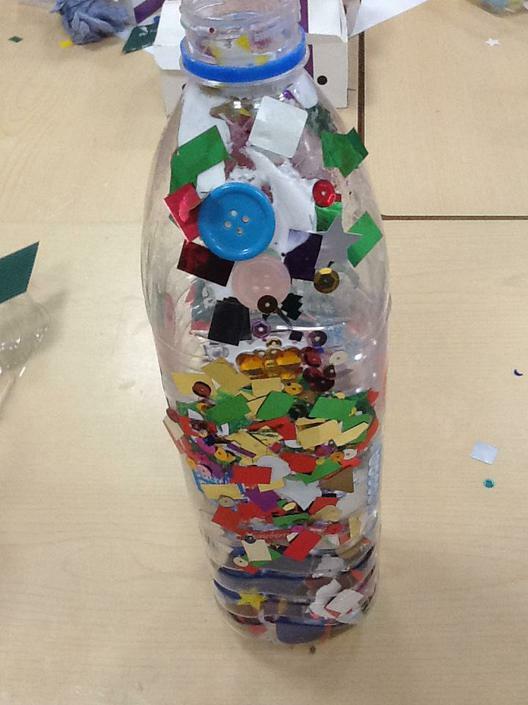 During our Design Technology lessons, we have designed, built and decorated our own trains using recycled materials. 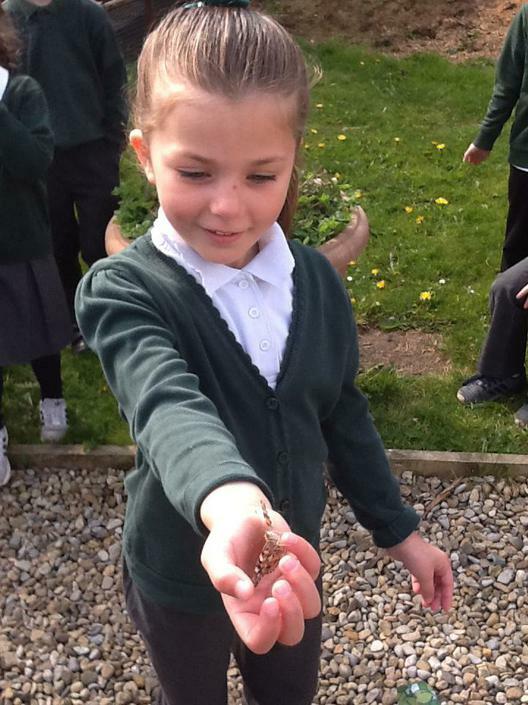 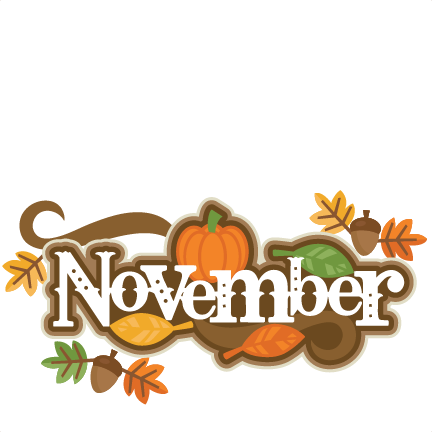 Our Science topic has been Seasonal Change and we have investigated the changes that take place between Autumn and Winter. 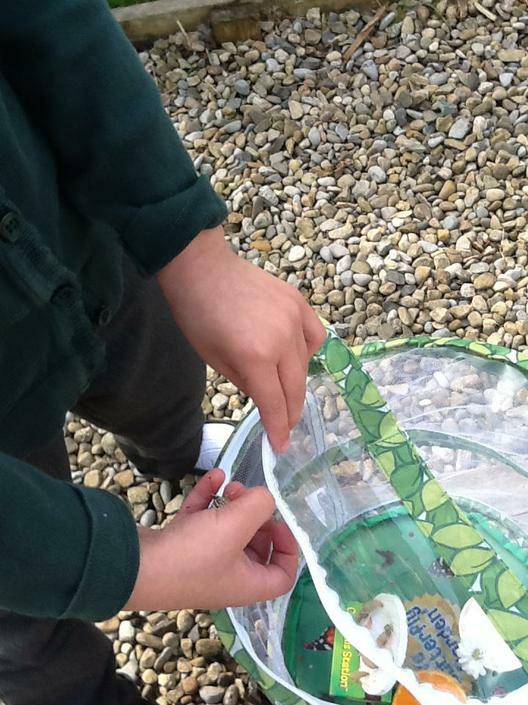 After observing and measuring changes in the weather, the children decided they wanted to create somewhere safe for hedgehogs to hibernate over the Winter. 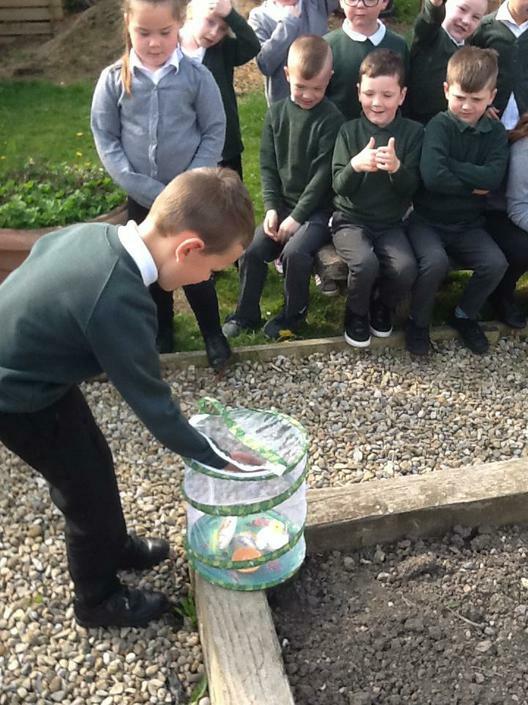 Which hedgehog home would you choose...? 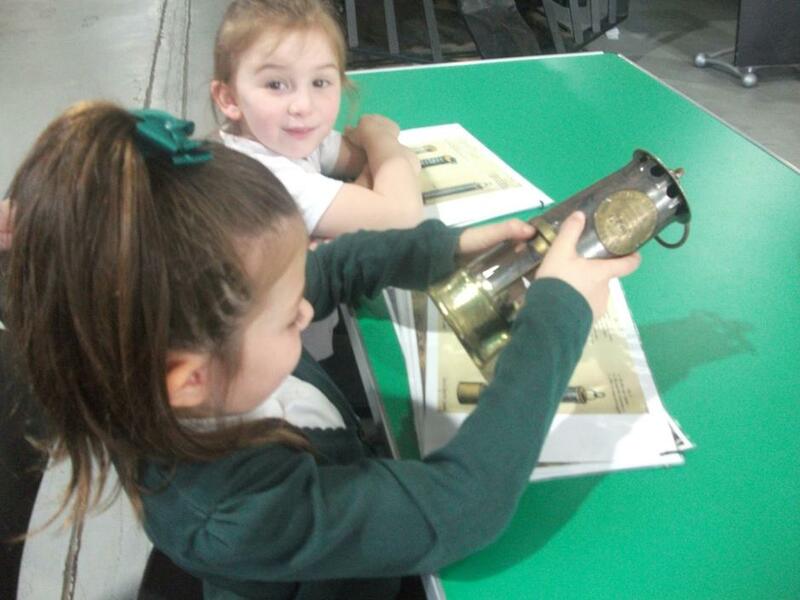 The children were lucky enough to have a chat with paralympic gold medalist, Tim Prendergast. 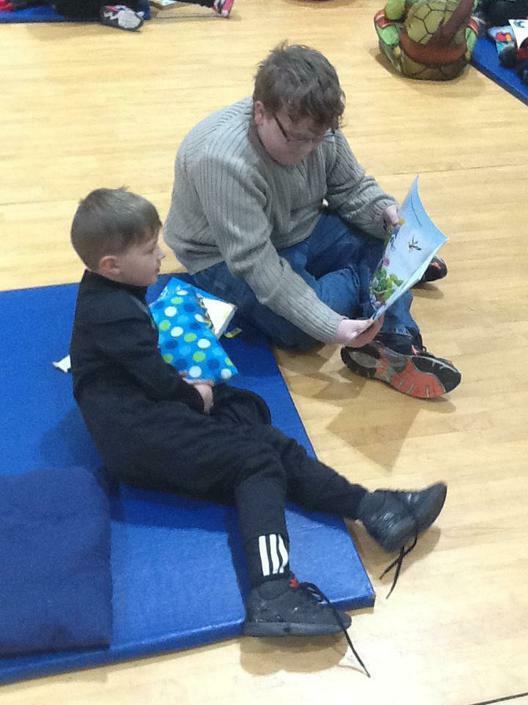 He inspired us all with his life story and encouraged the children to reach for their dreams. 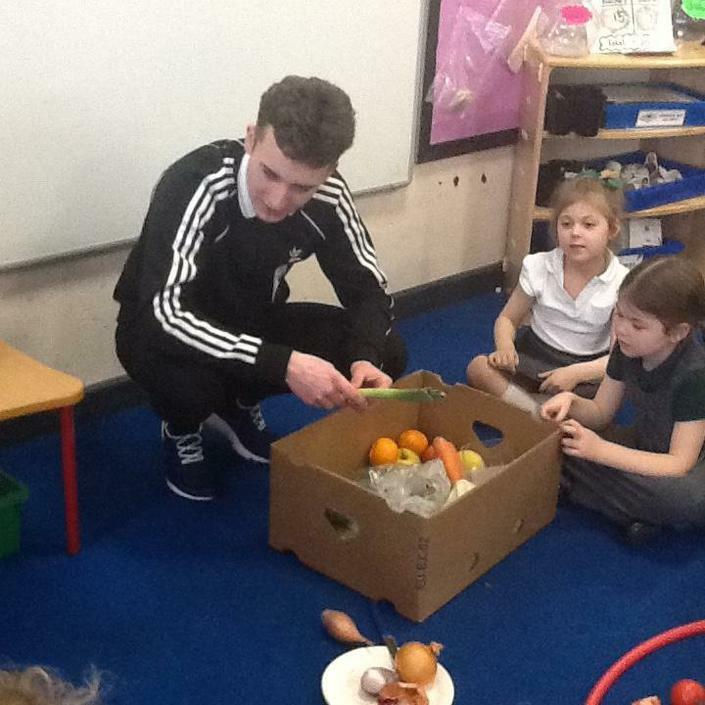 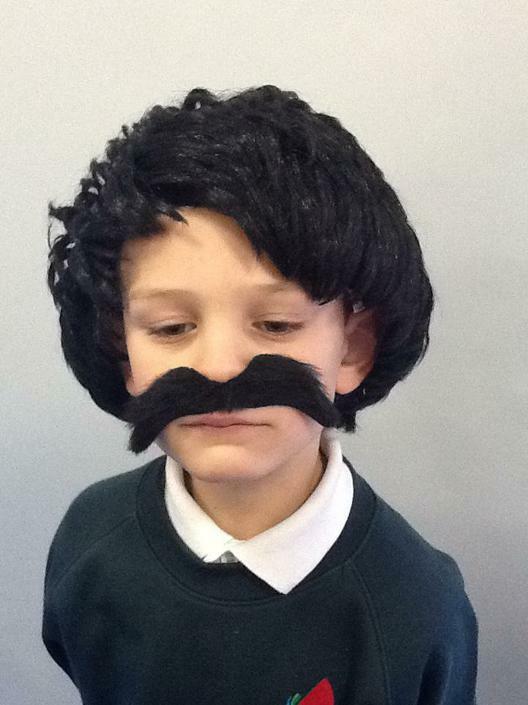 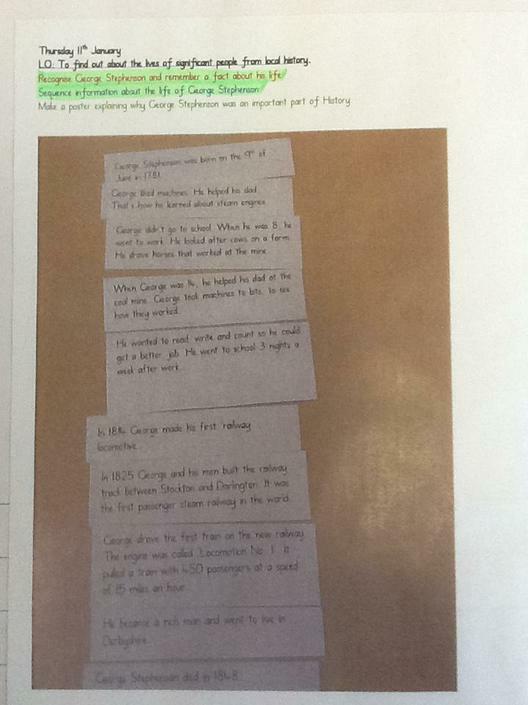 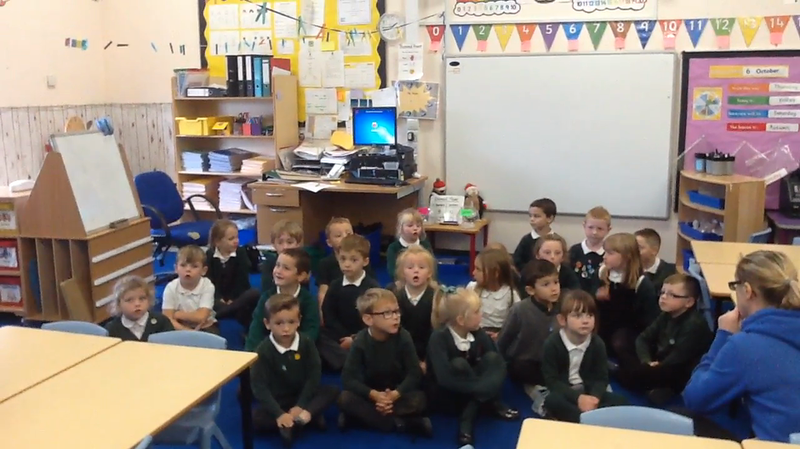 Catch a snippet of him talking to the Year One children during the Channel 5 News report below. 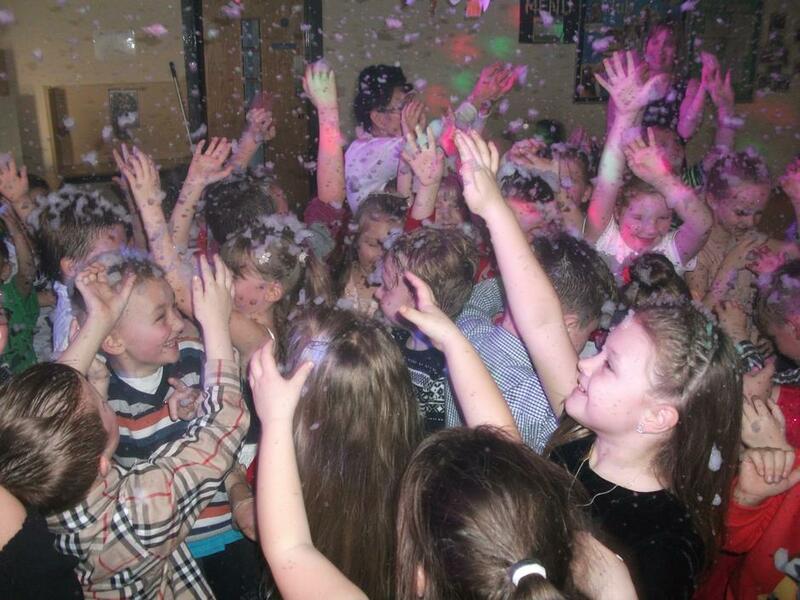 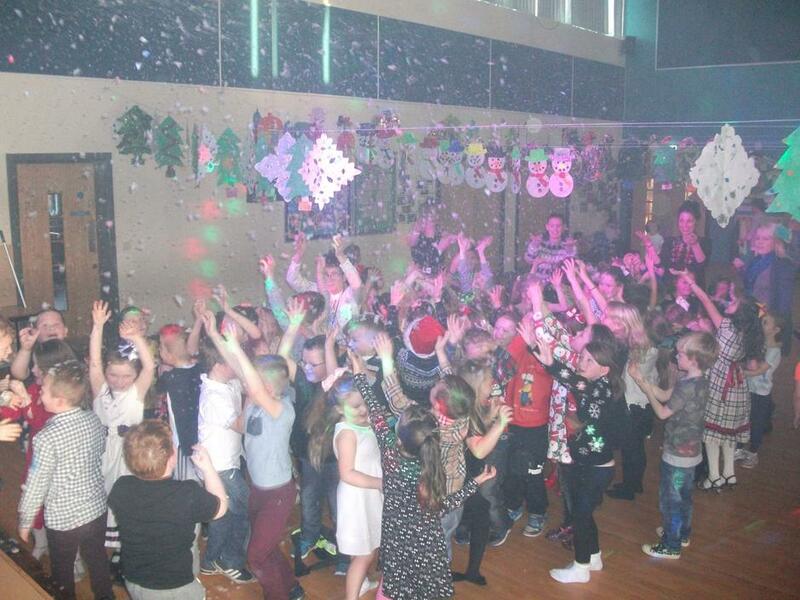 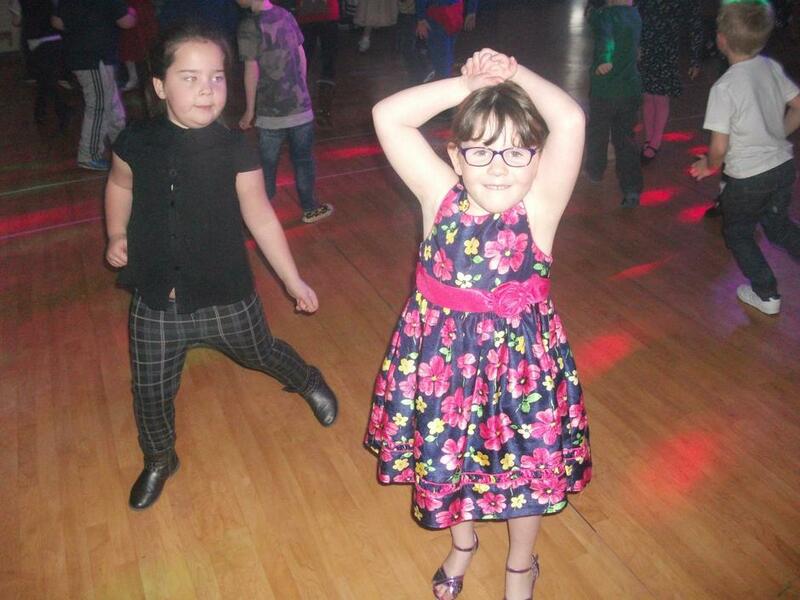 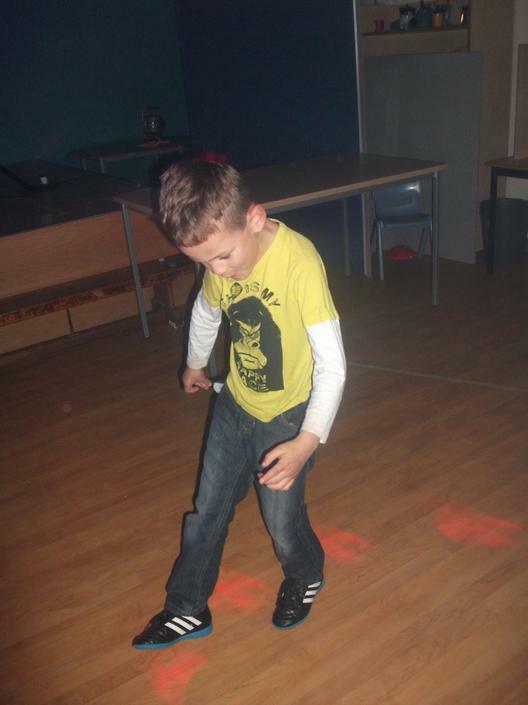 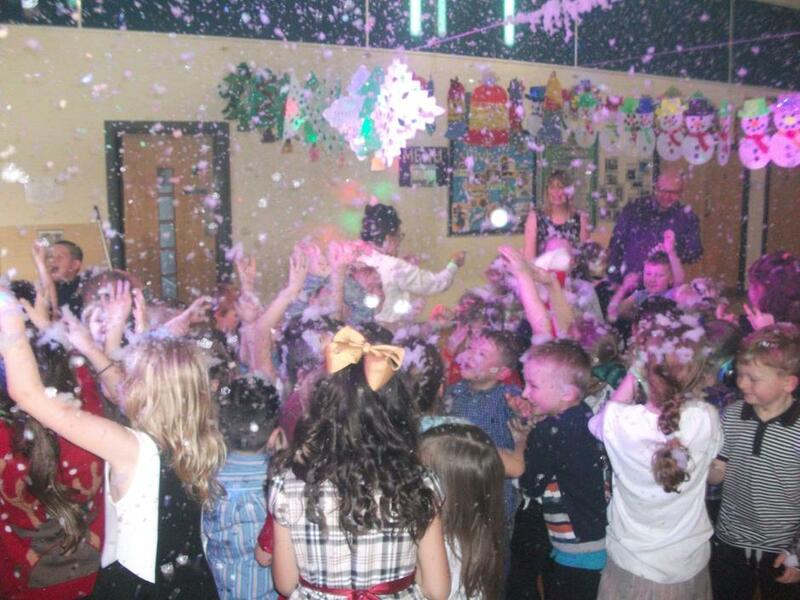 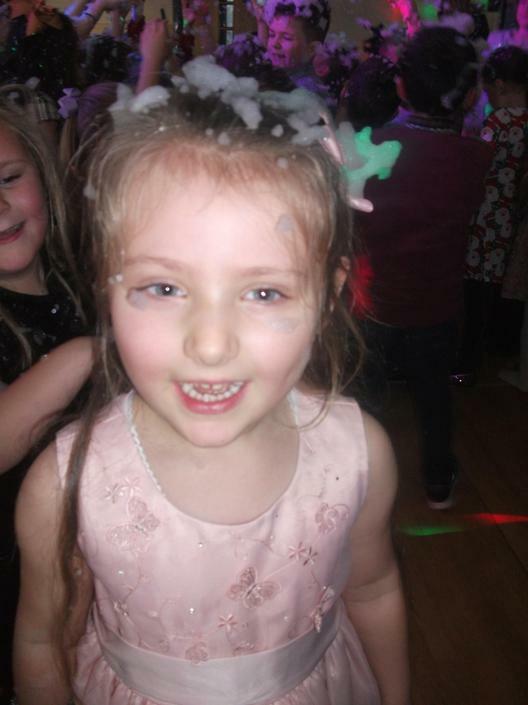 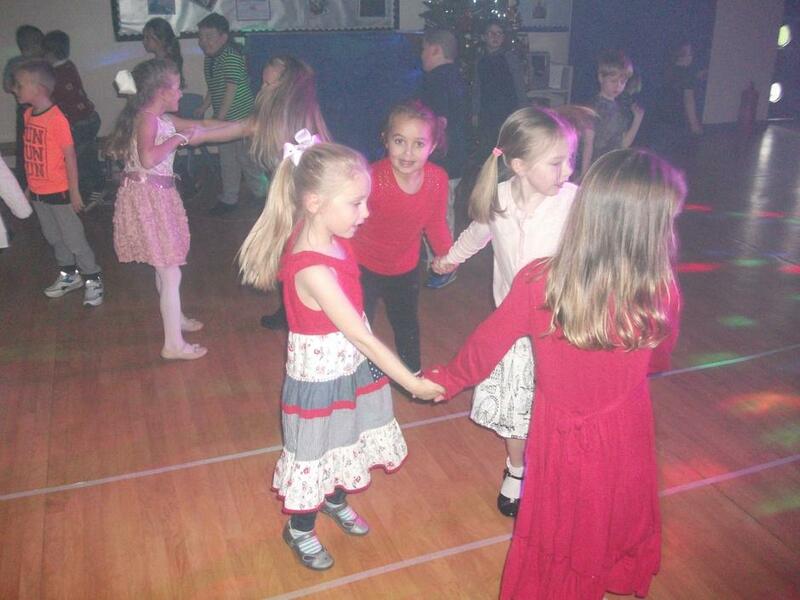 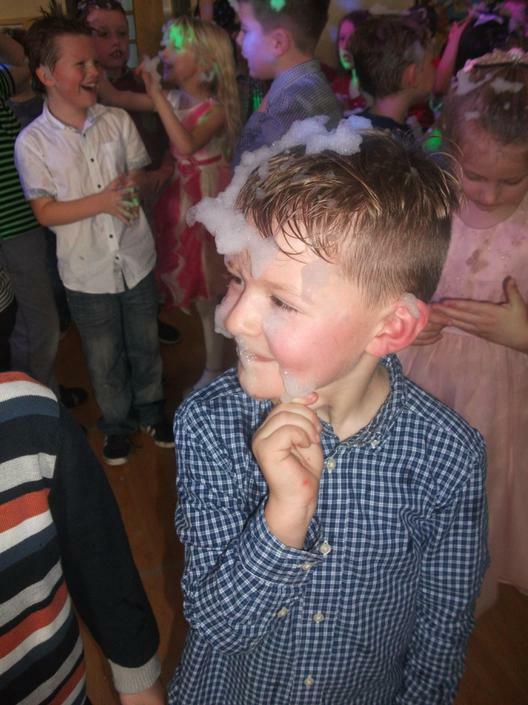 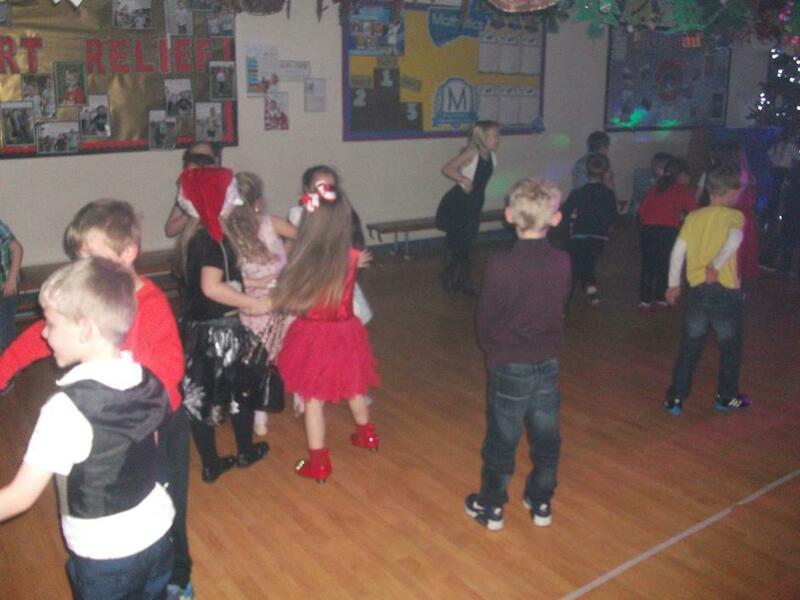 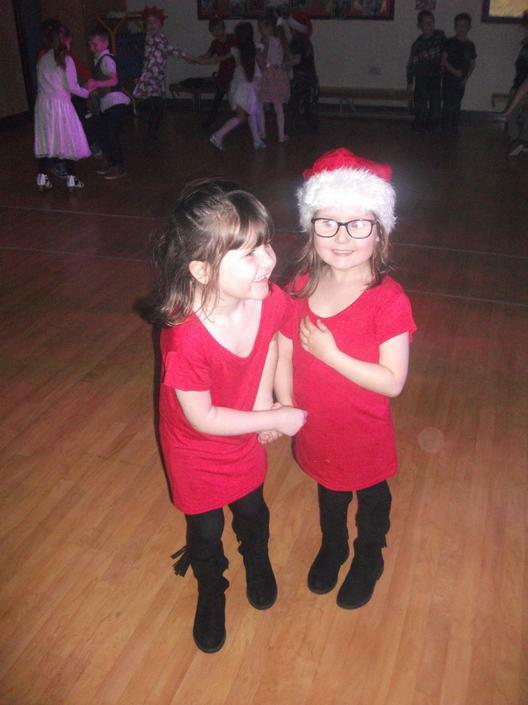 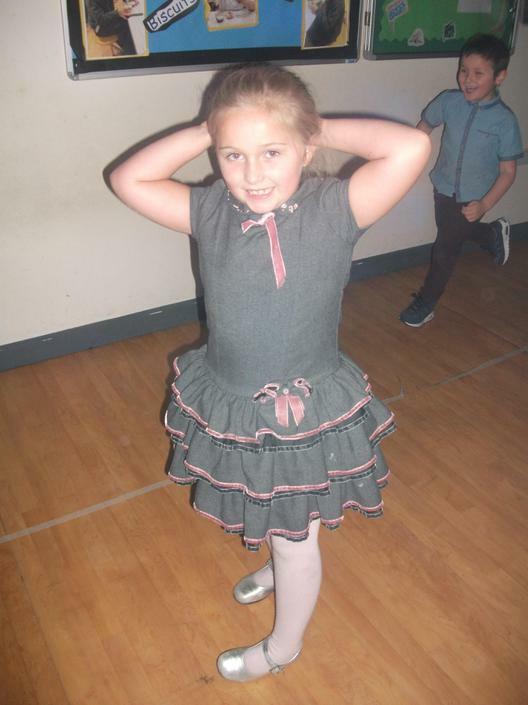 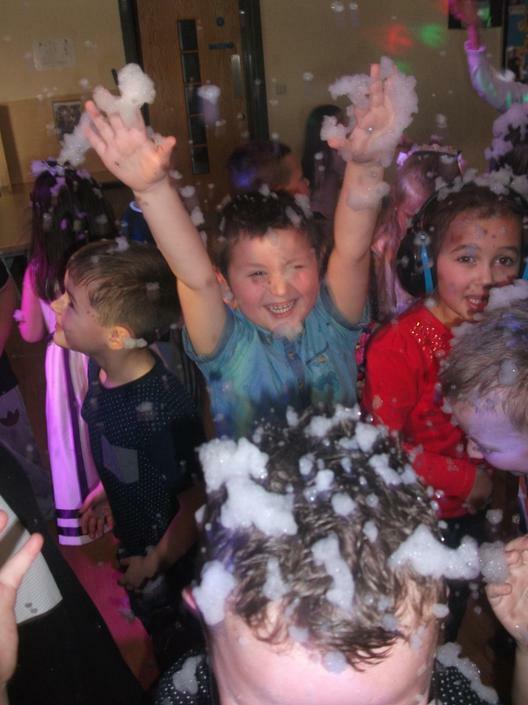 A well-deserved disco to reward our hard work and excellent attitudes throughout the term! 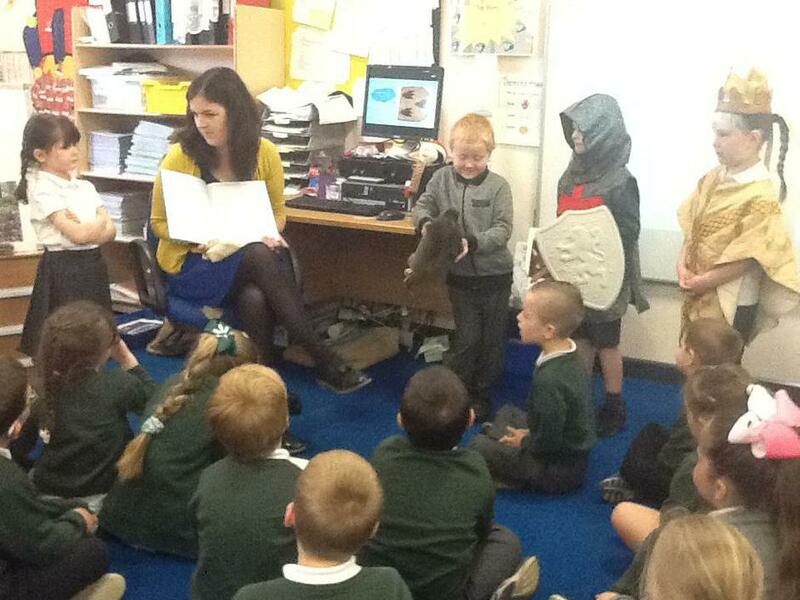 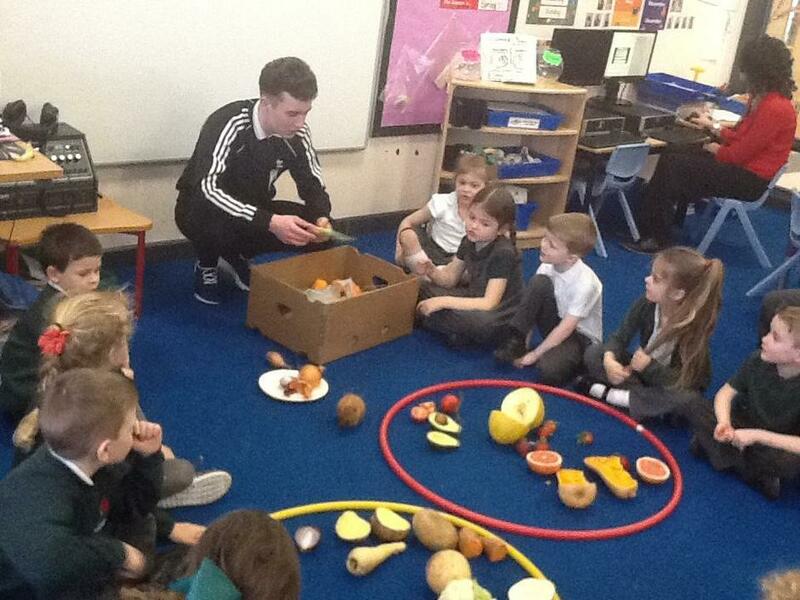 Children talked about the history behind Bonfire Night and ways to stay safe. 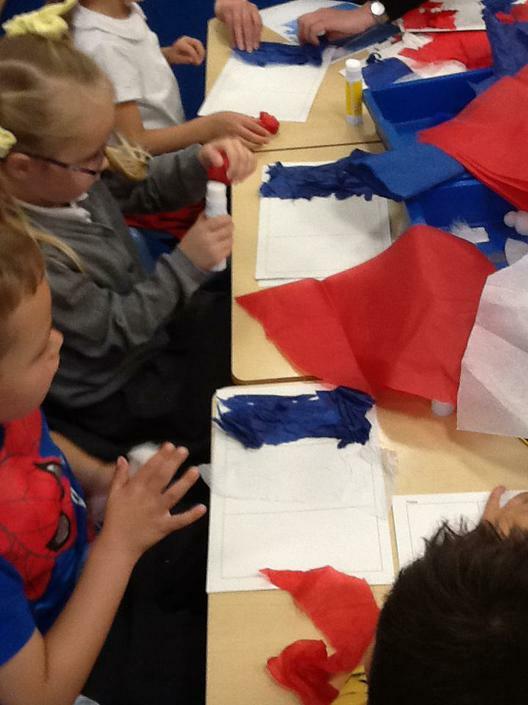 They shared their experiences from home and explored using oil pastels and a variety of different mark making techniques to create representations of the fireworks they saw. 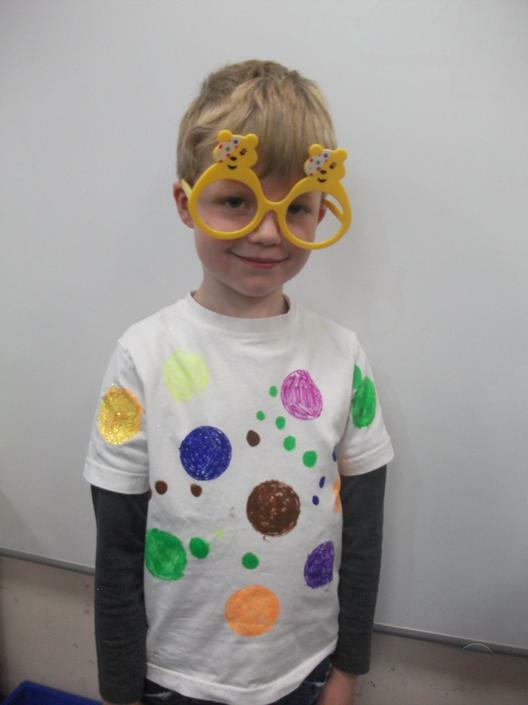 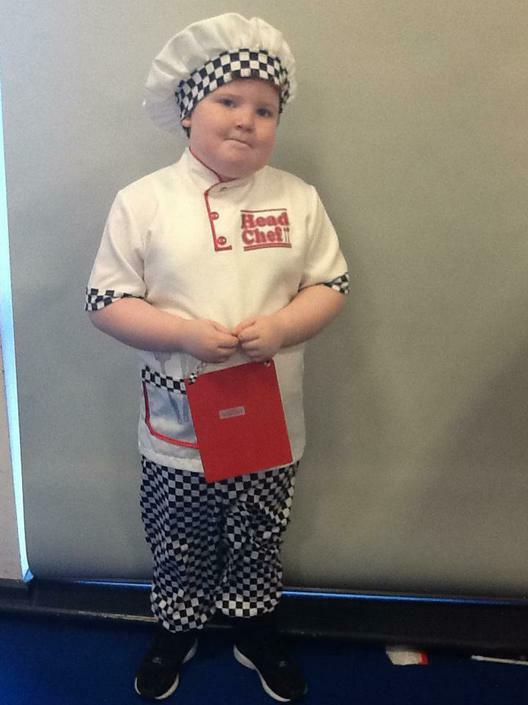 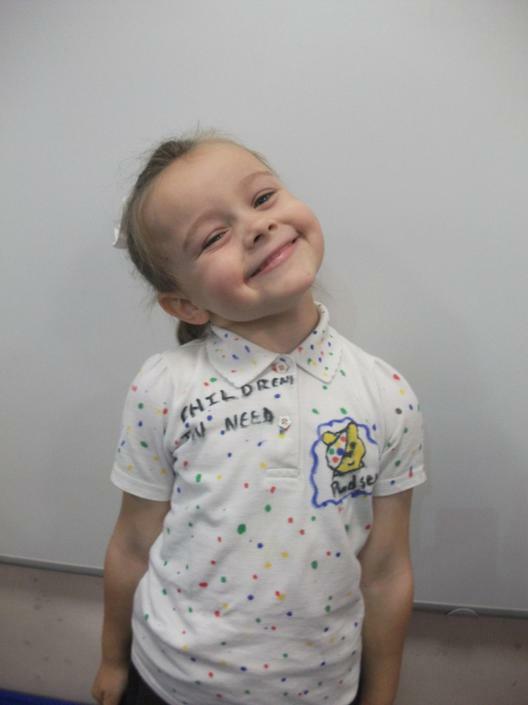 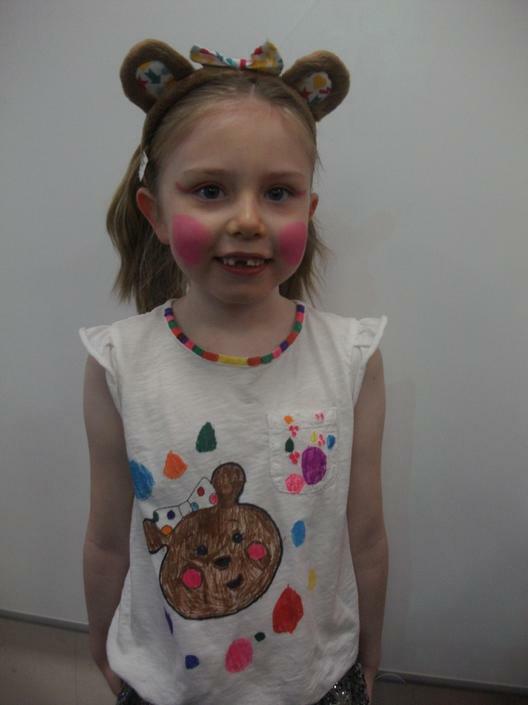 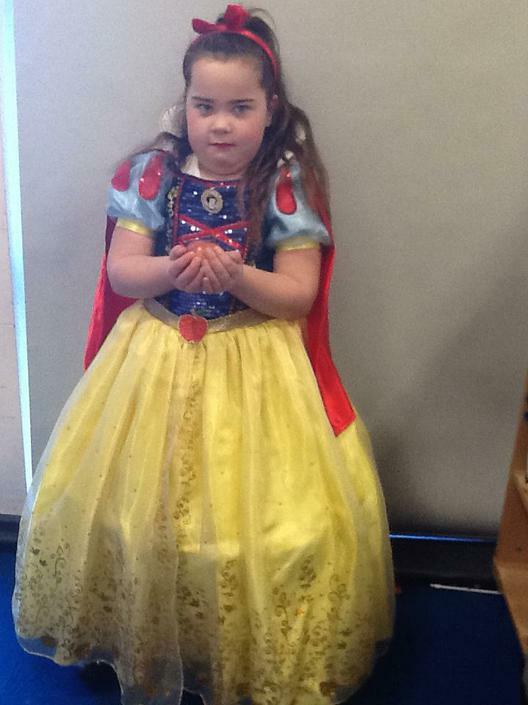 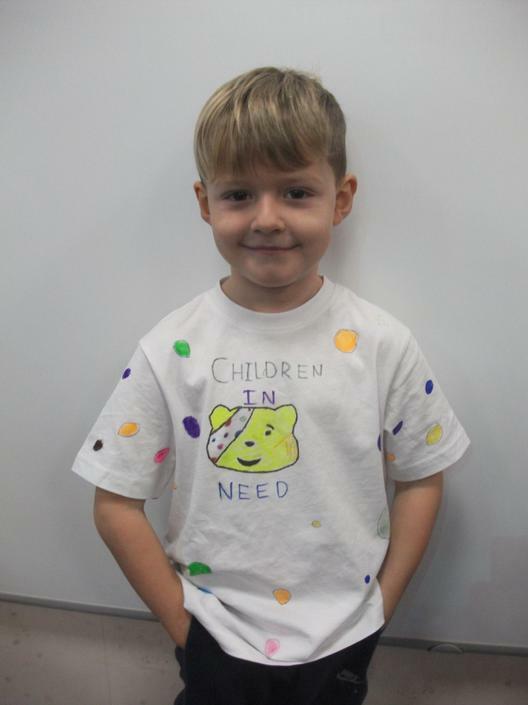 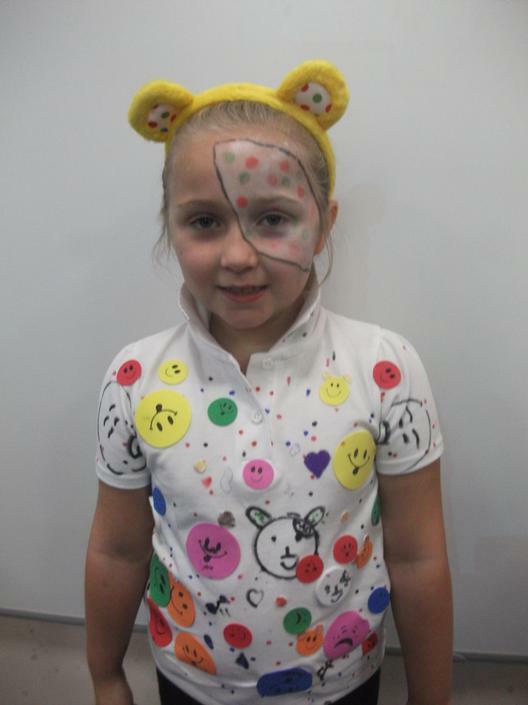 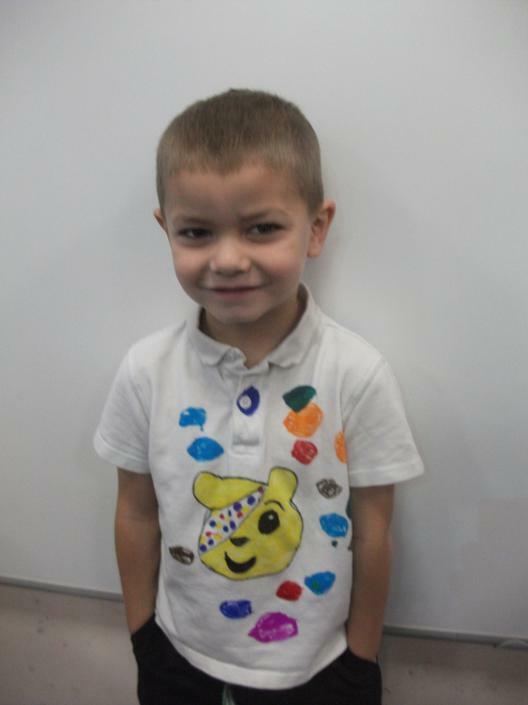 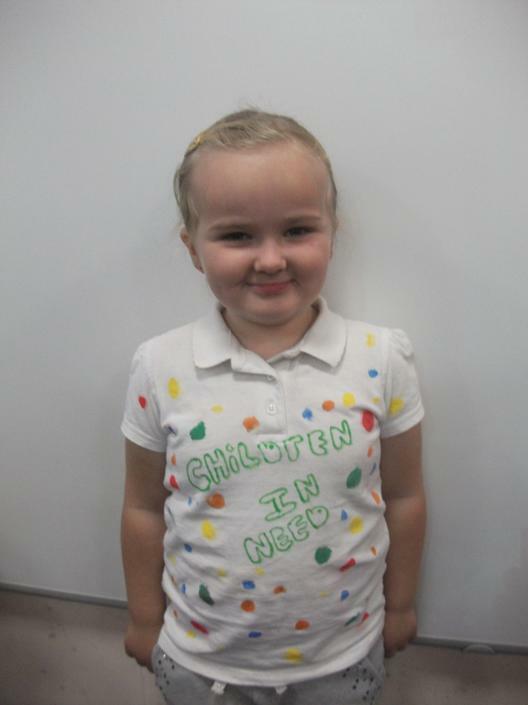 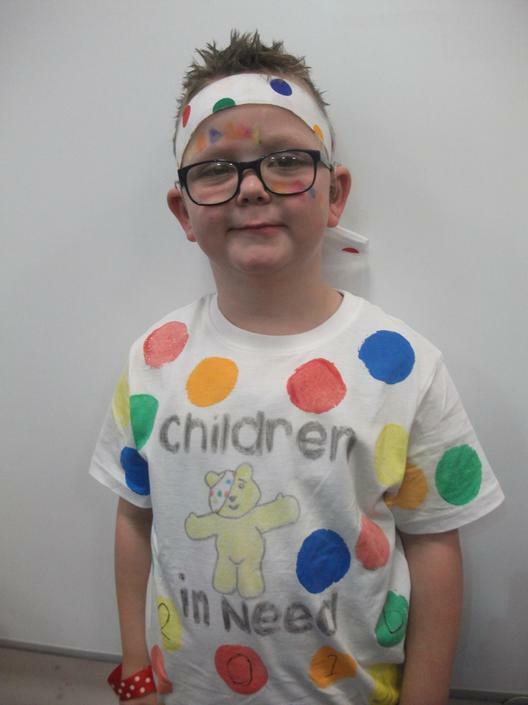 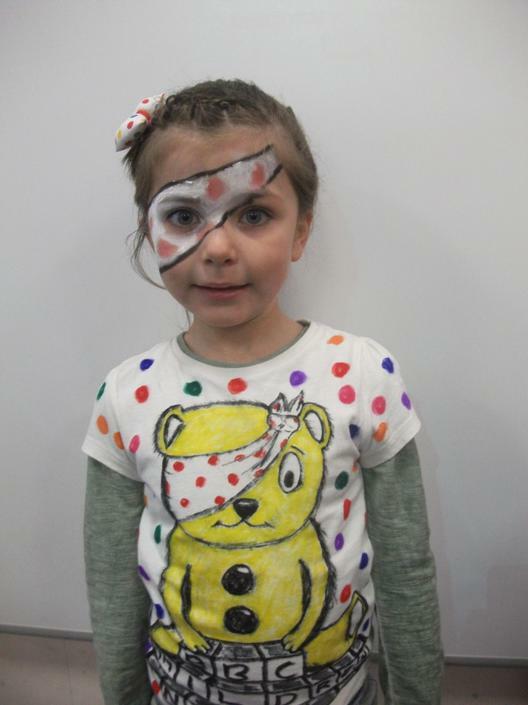 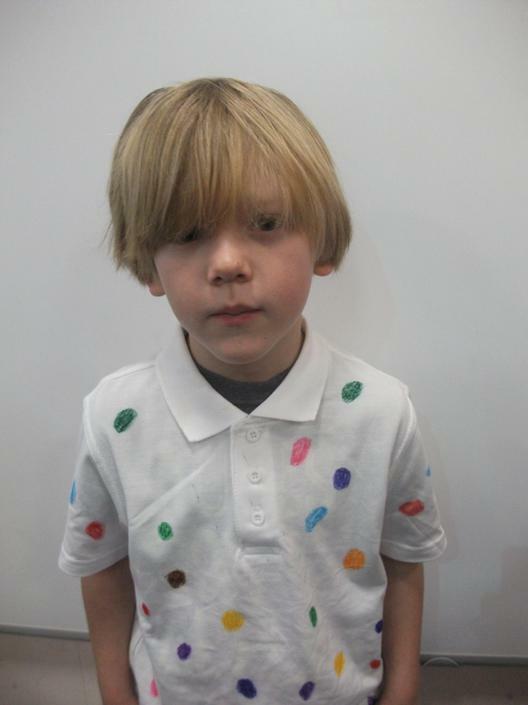 The children helped raise money and awareness for Children in Need and explored their creative sides by designing their own spotty fancy dress. 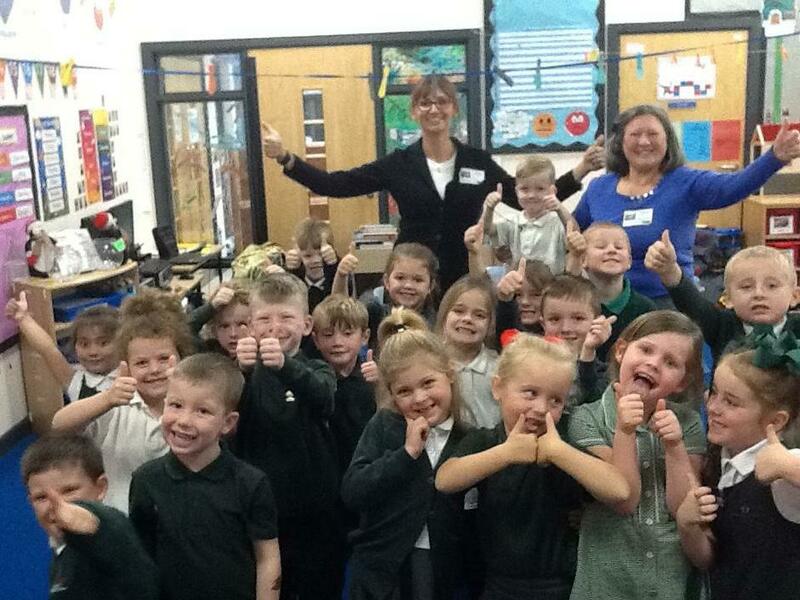 Well done Year One (and parents/carers)! 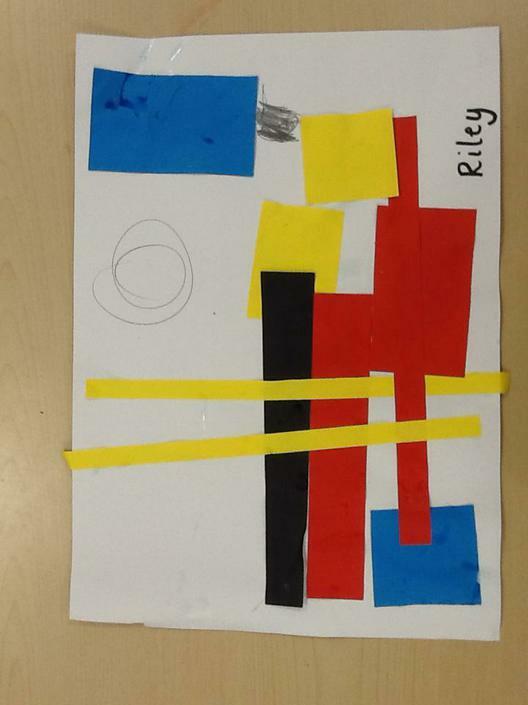 In Art, we have been exploring primary colours and the way that different artists use them in their work. 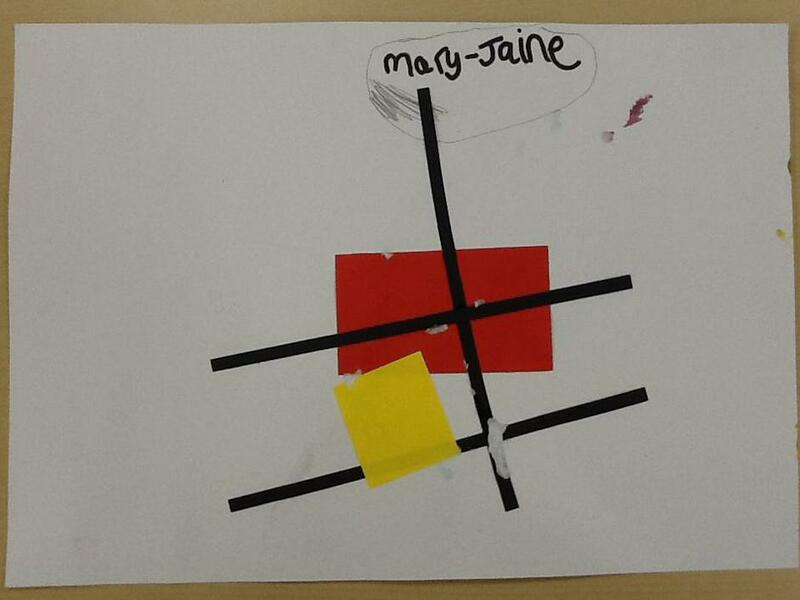 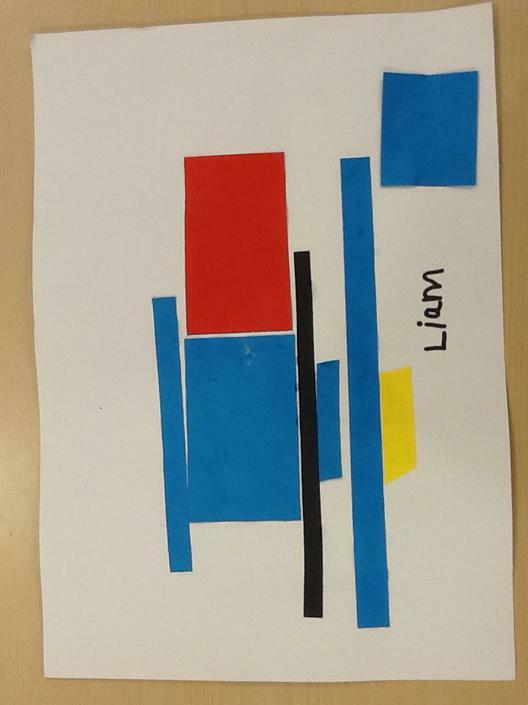 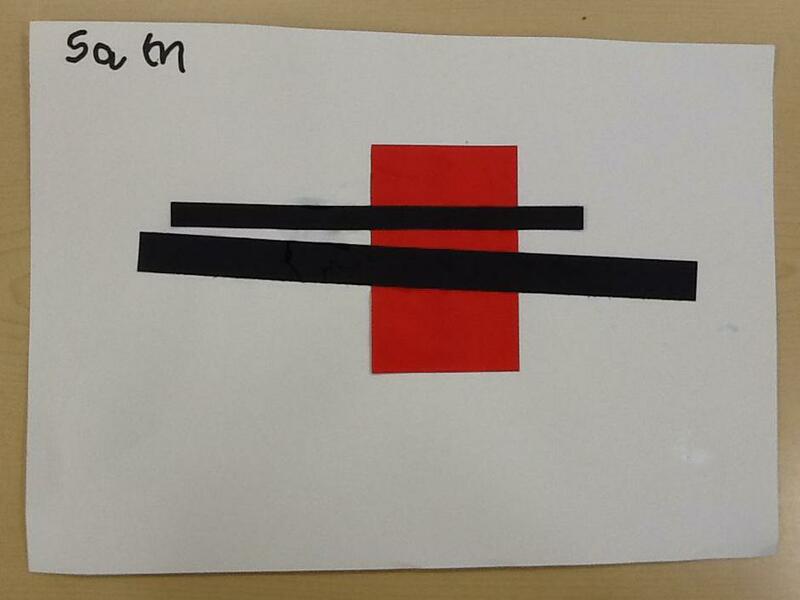 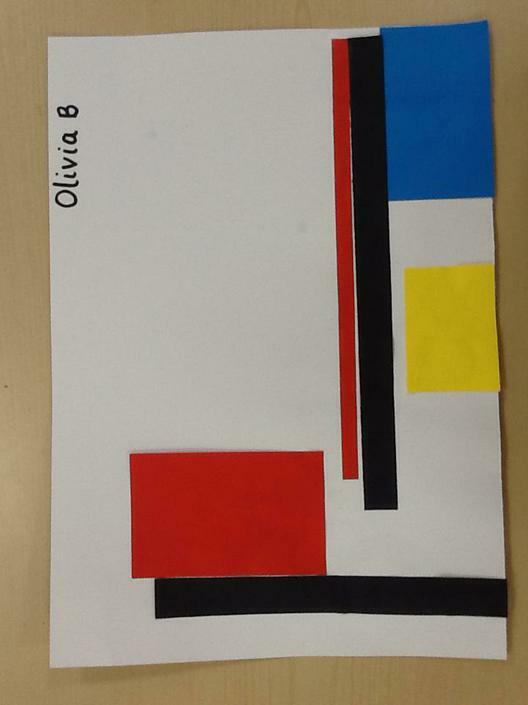 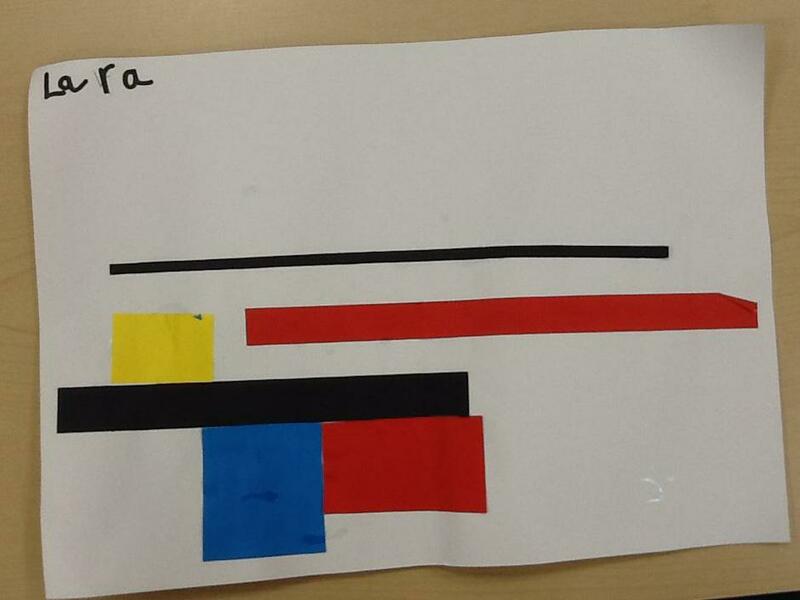 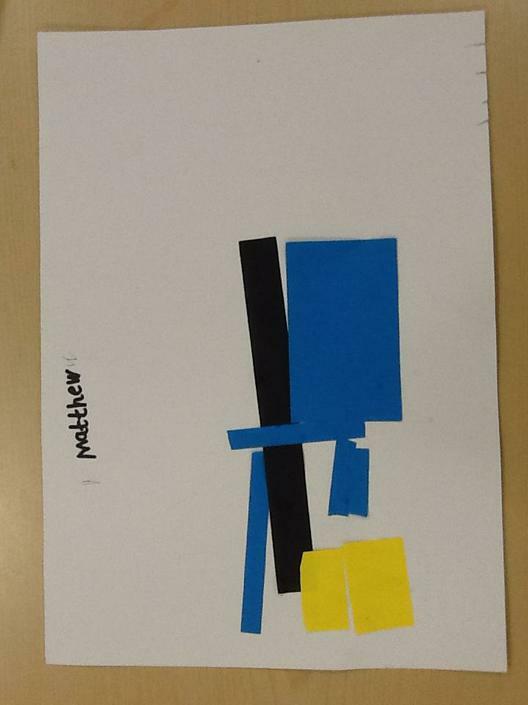 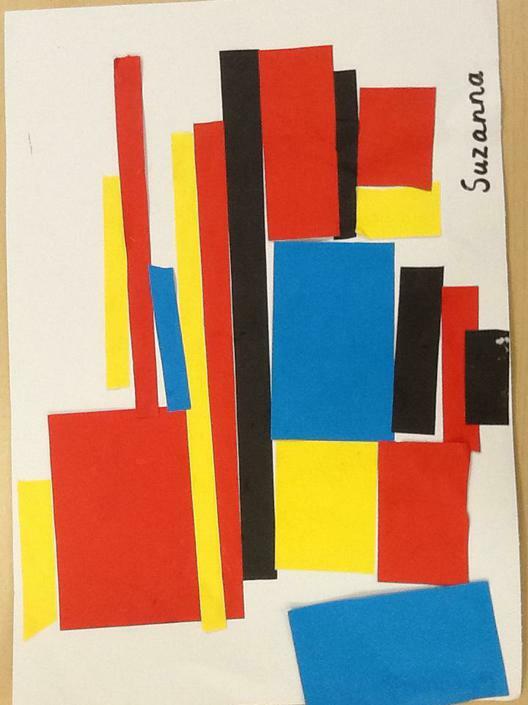 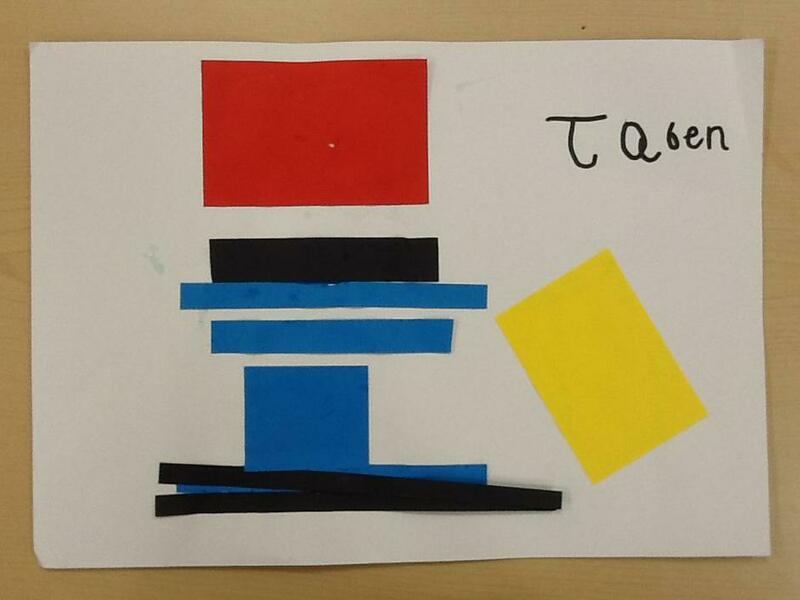 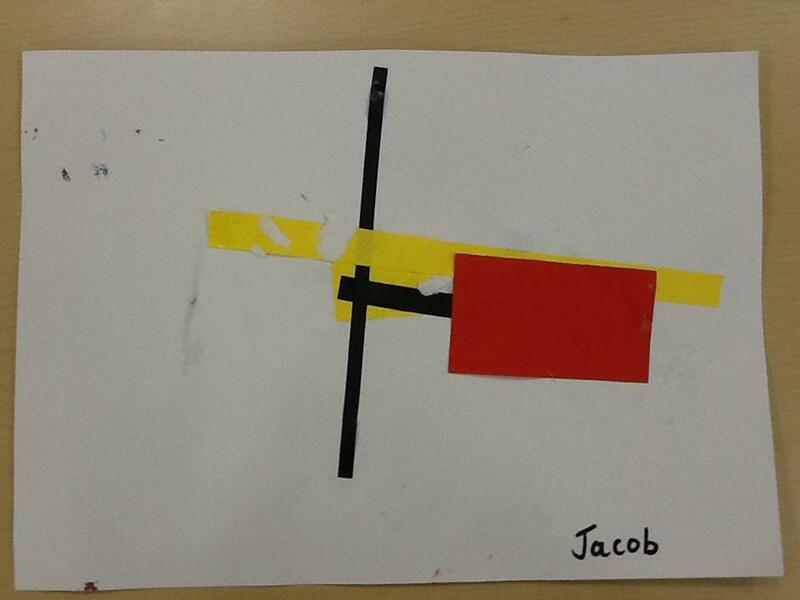 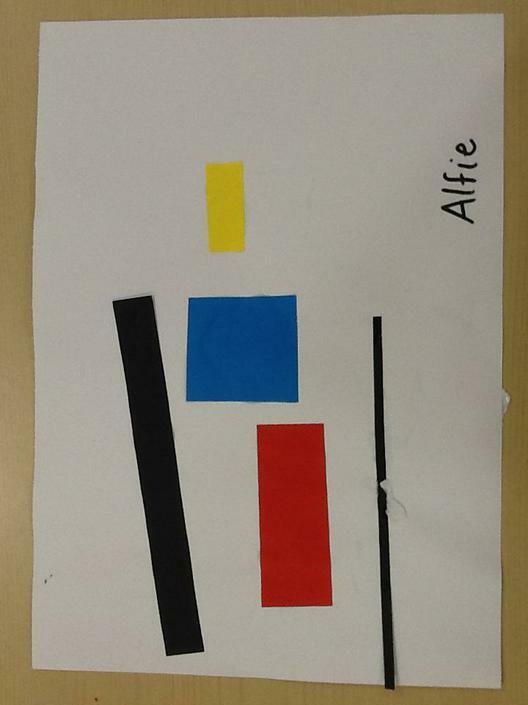 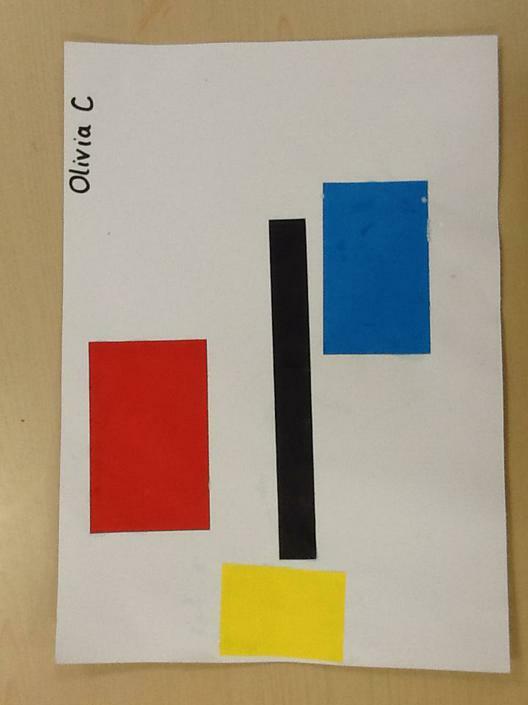 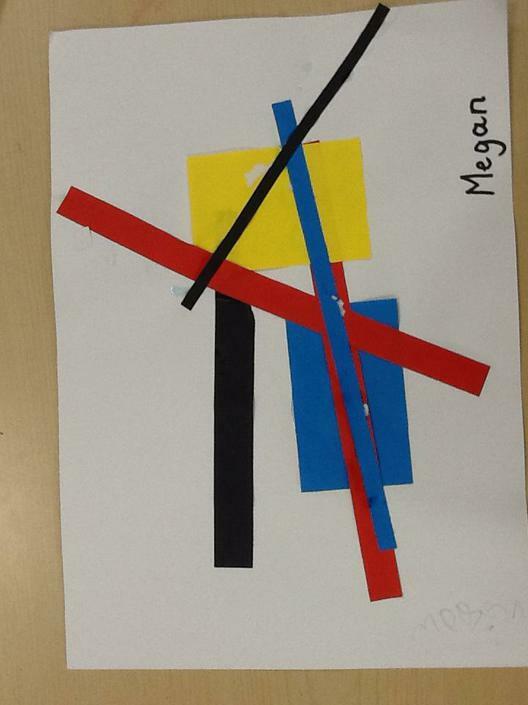 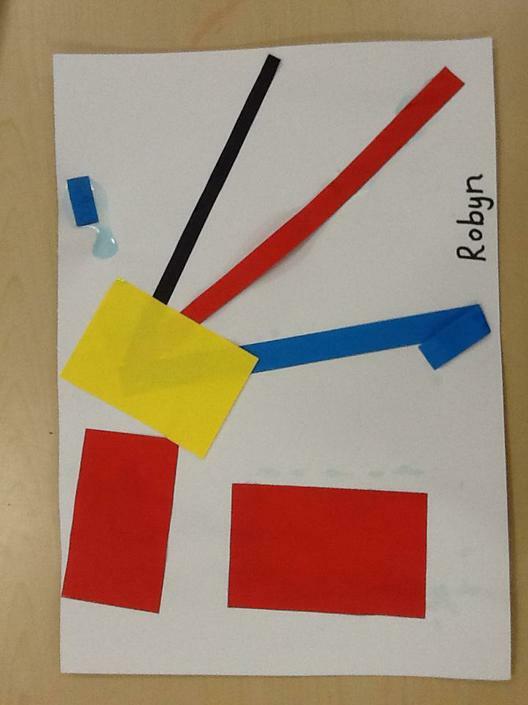 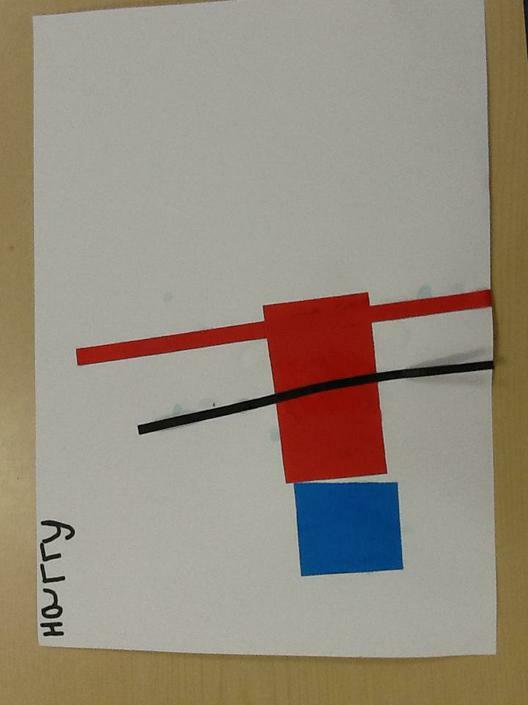 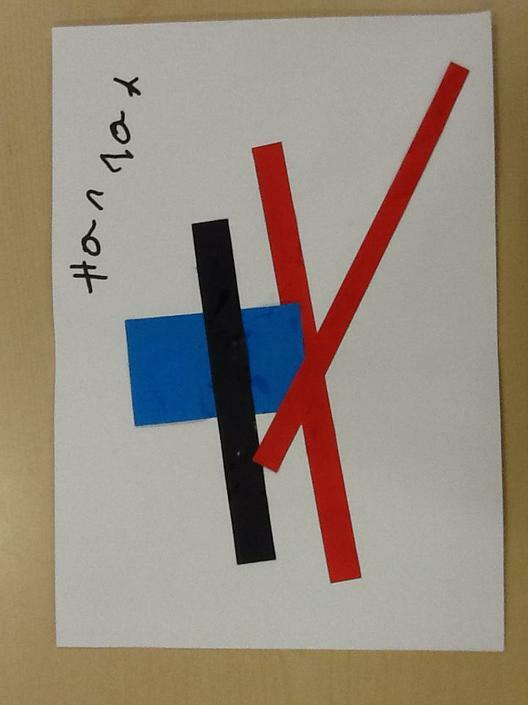 The children have enjoyed creating their own primary-coloured art in the style of the artist, Piet Mondrian. 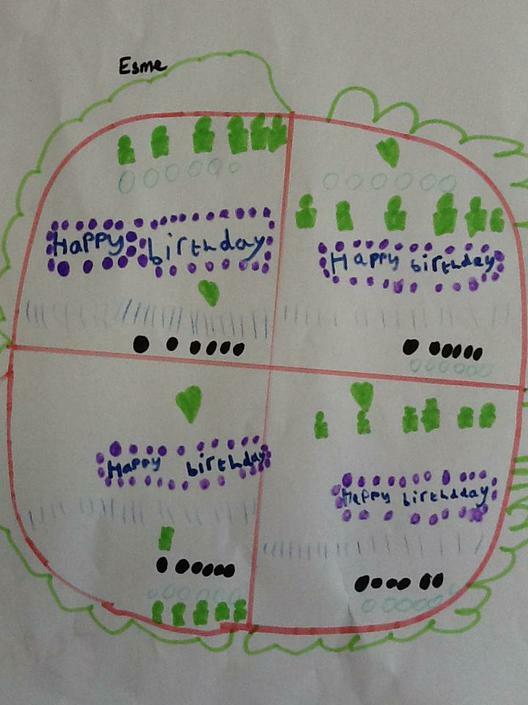 Have fun teaching counting down from 20 in ones. 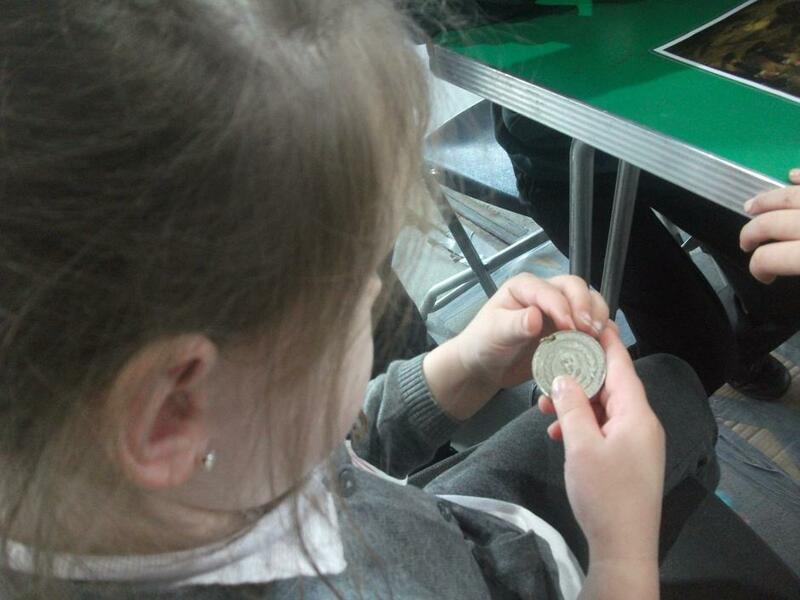 Maths Games Fun games and activities to develop mental maths skills. 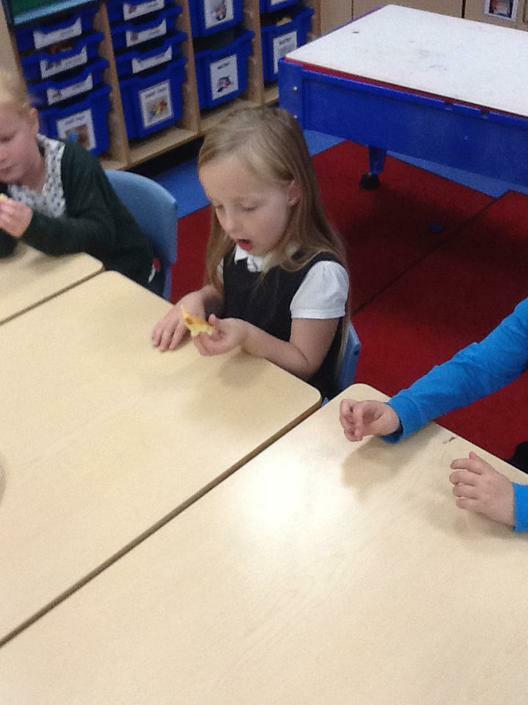 Phonics Games Fun games to reinforce reading and writing the sounds learnt at school. 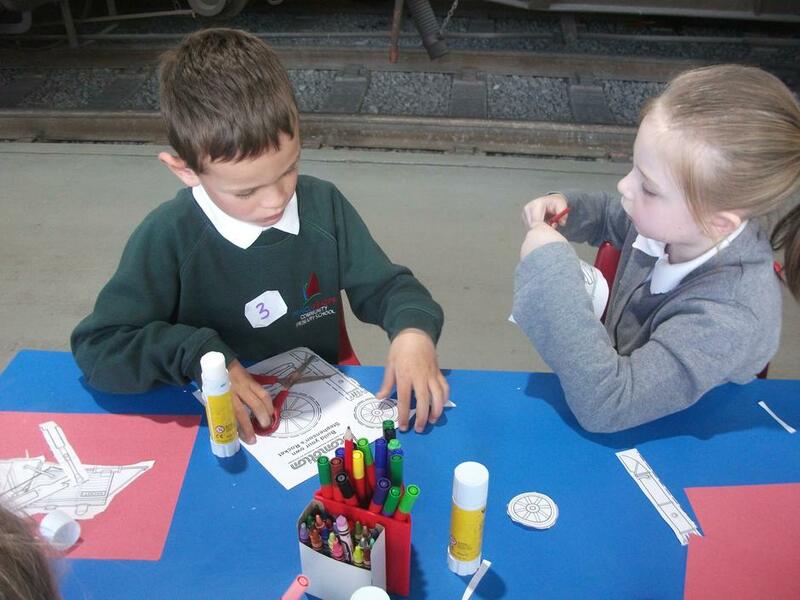 Educational Activities Games and activities linked to all areas of the curriculum.